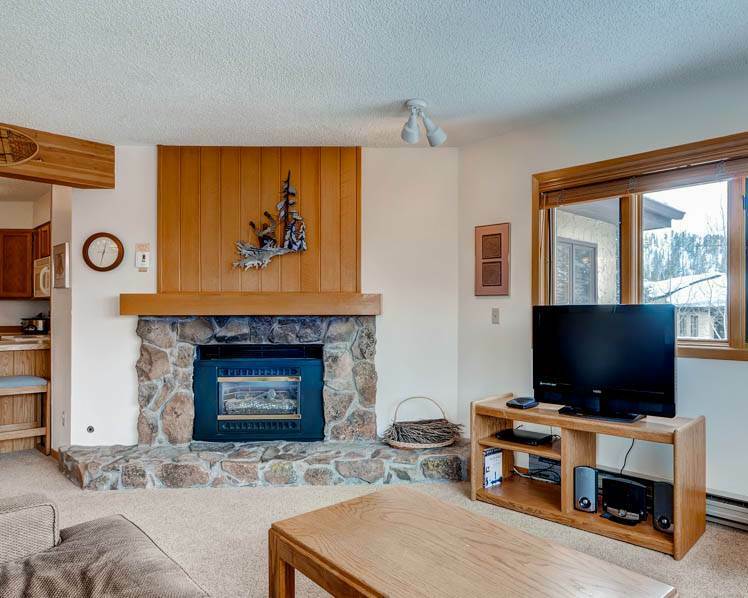 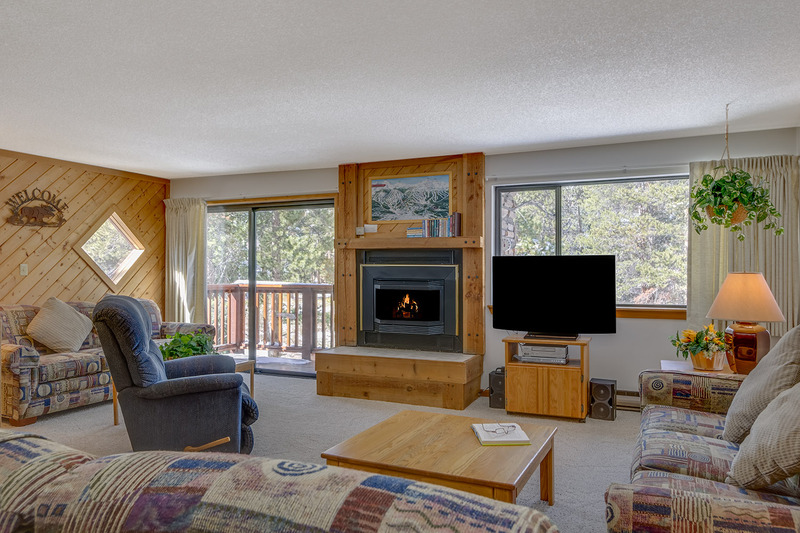 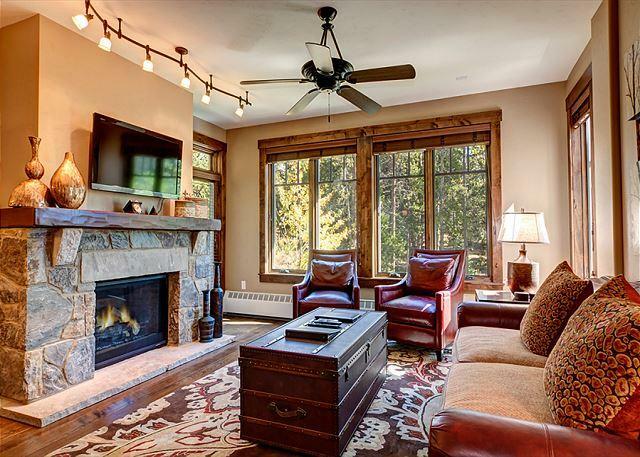 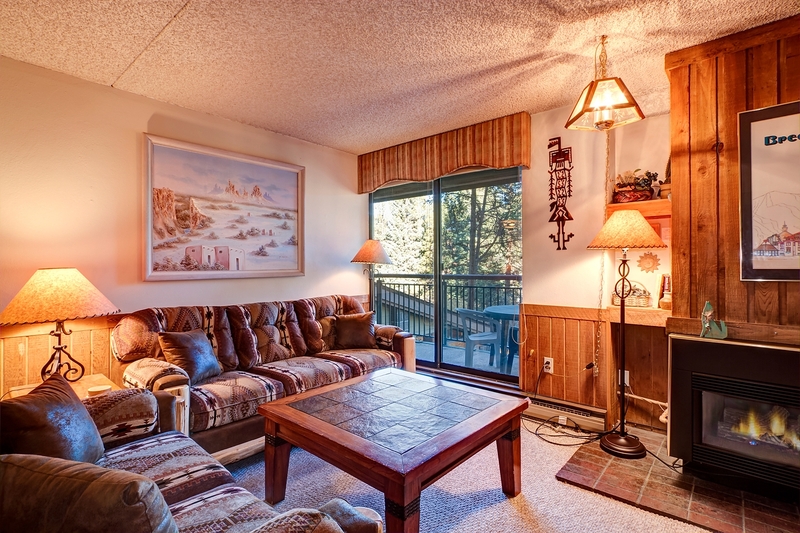 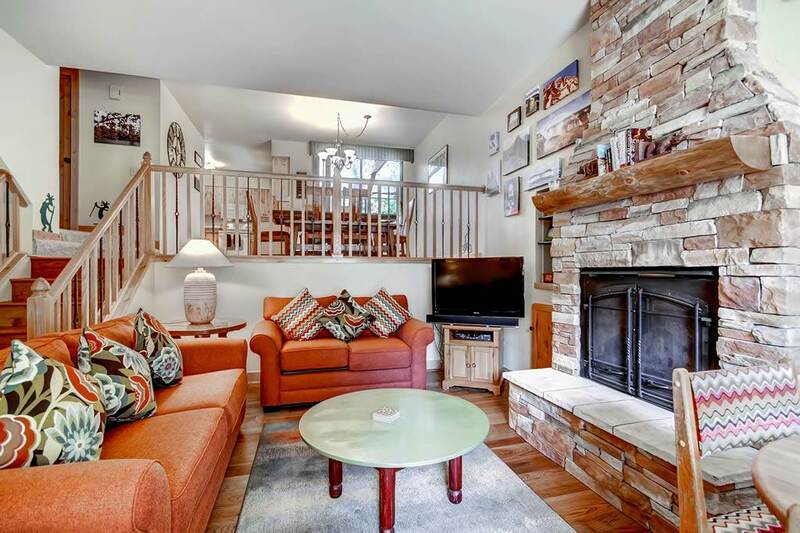 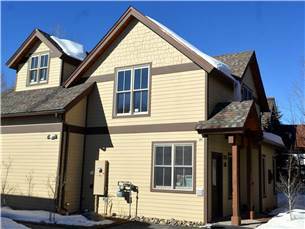 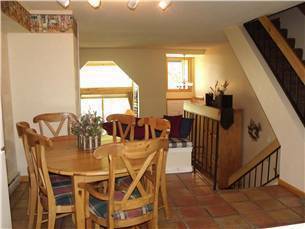 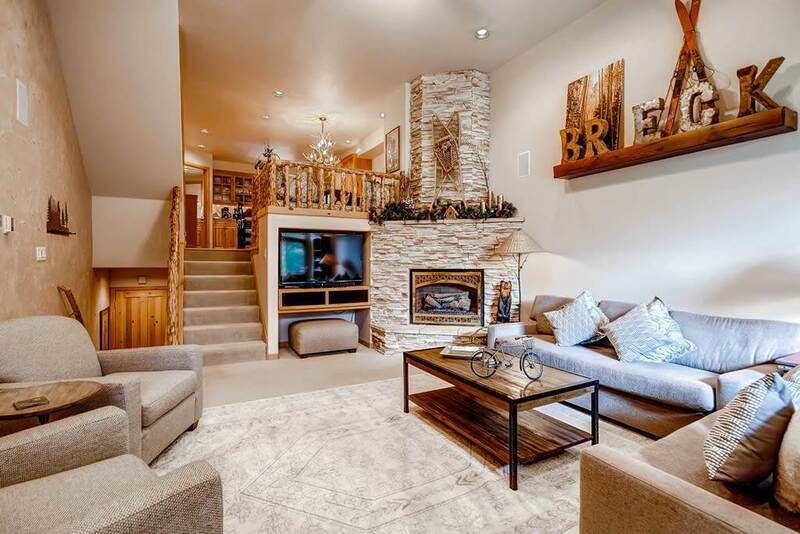 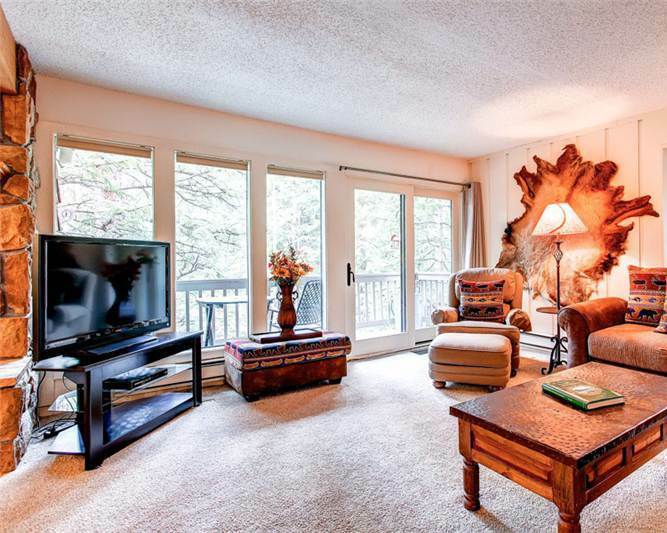 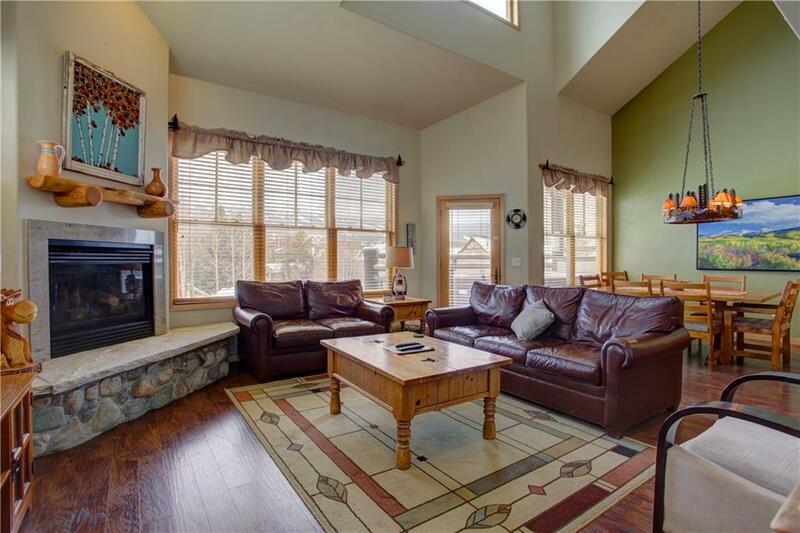 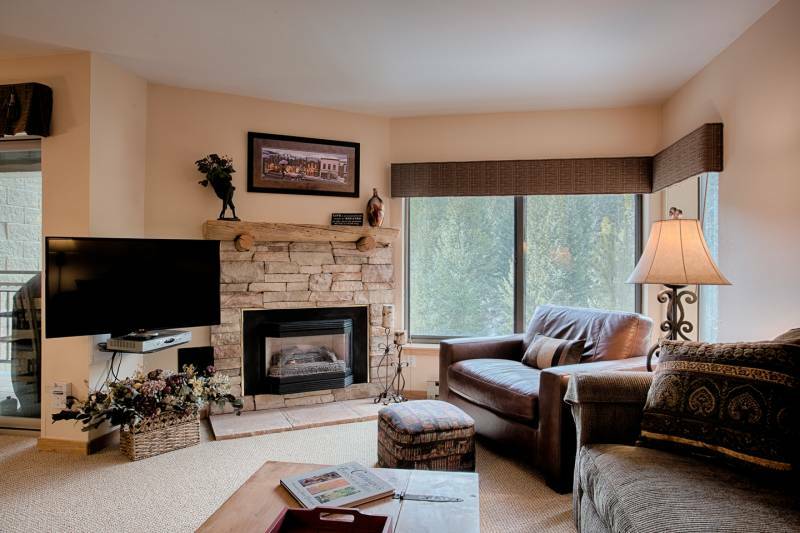 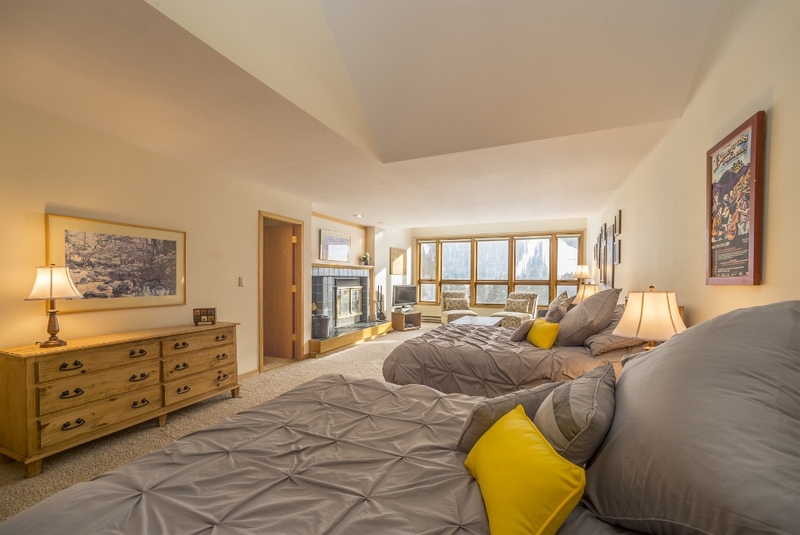 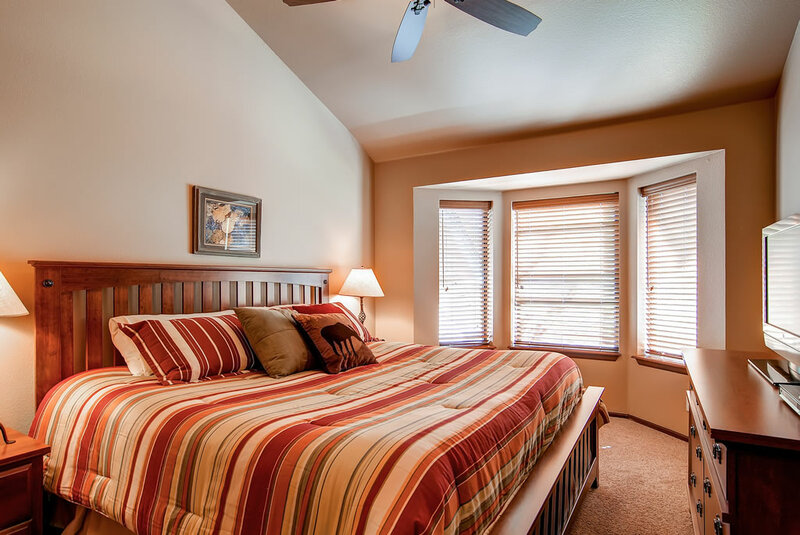 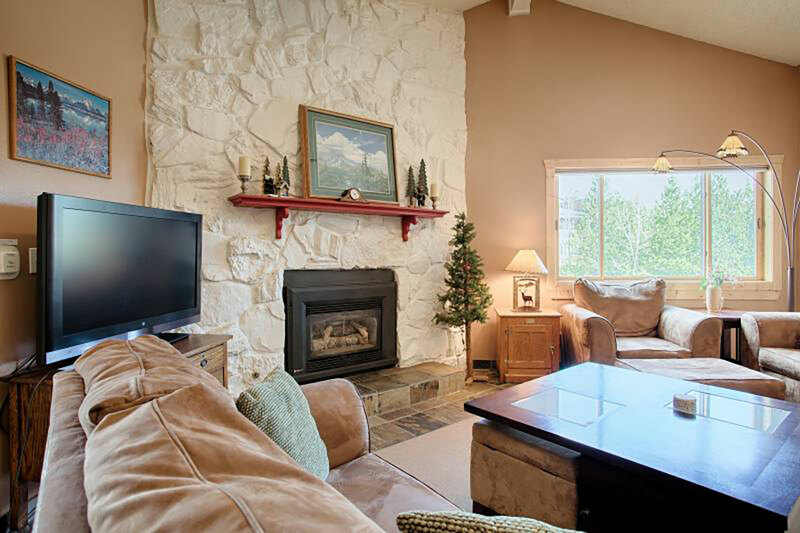 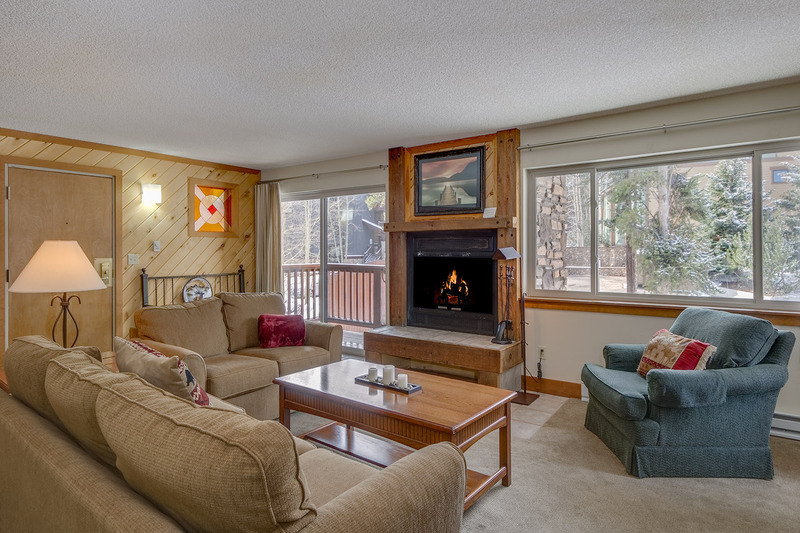 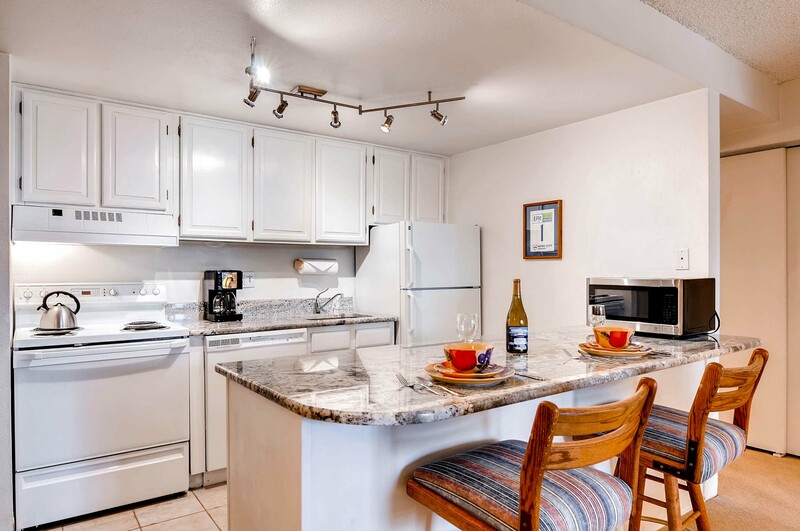 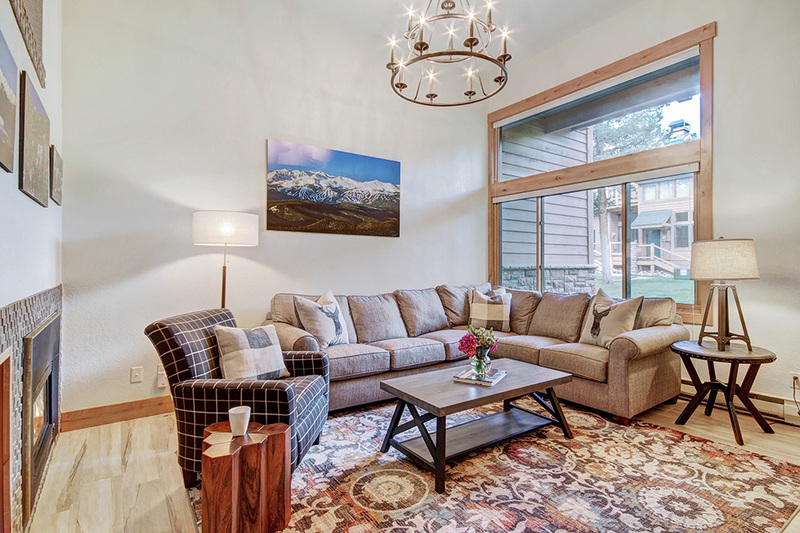 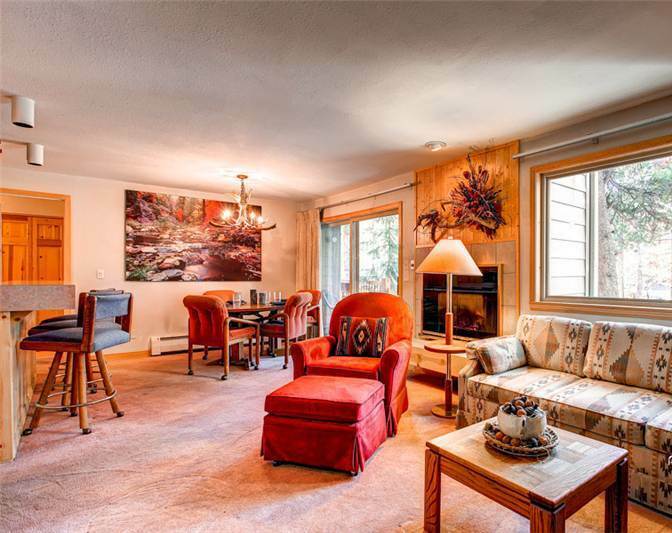 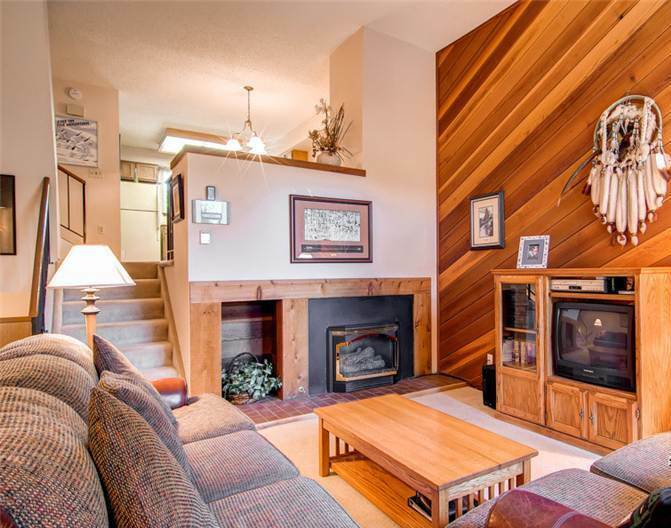 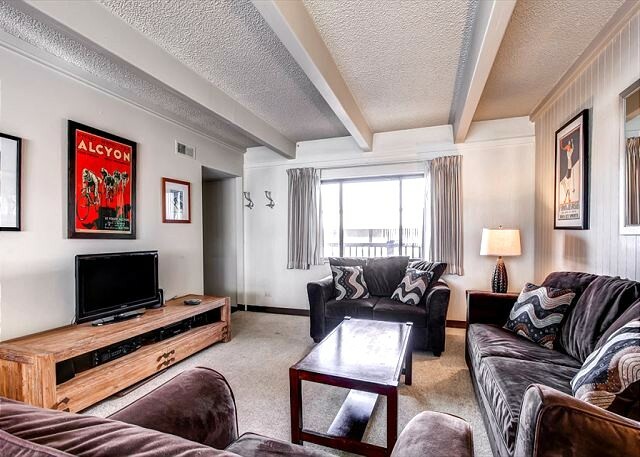 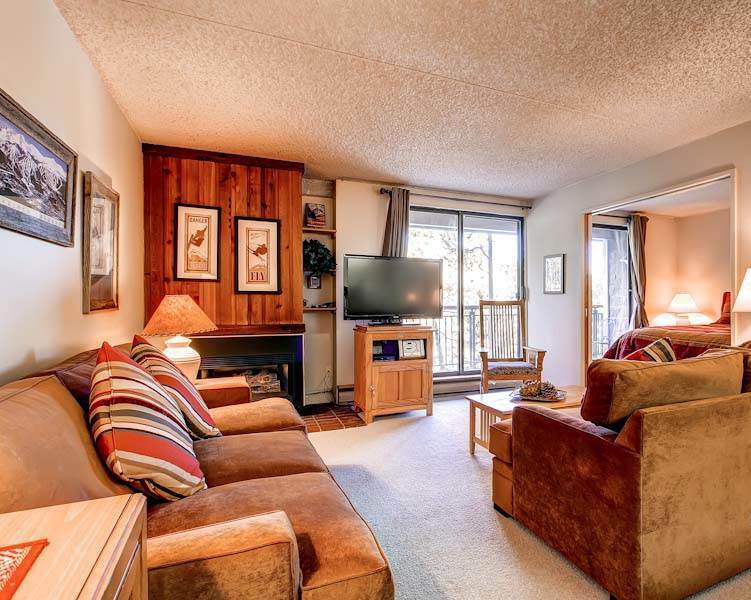 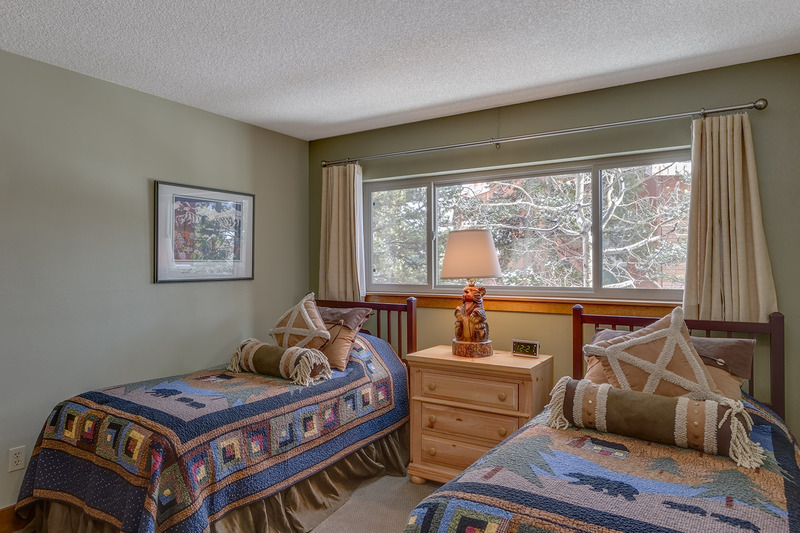 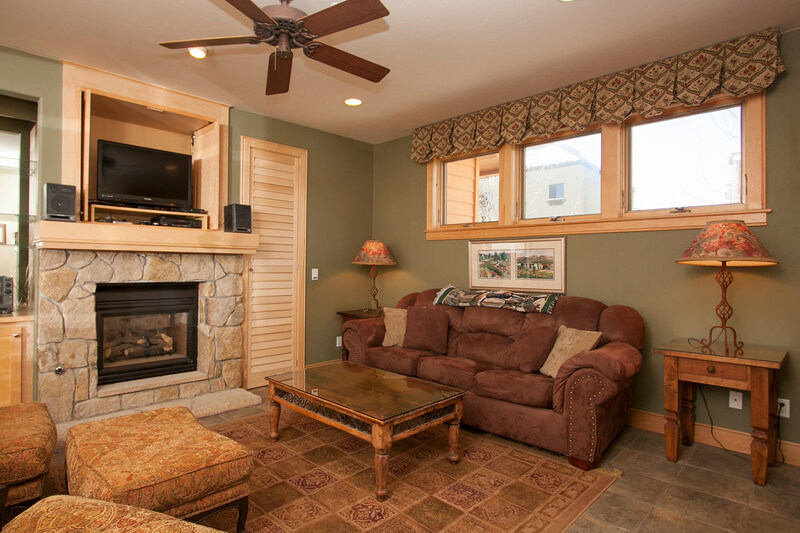 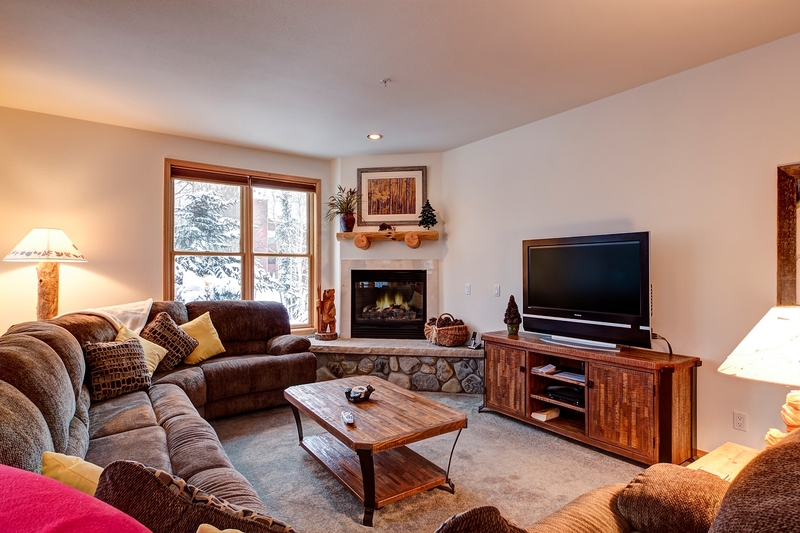 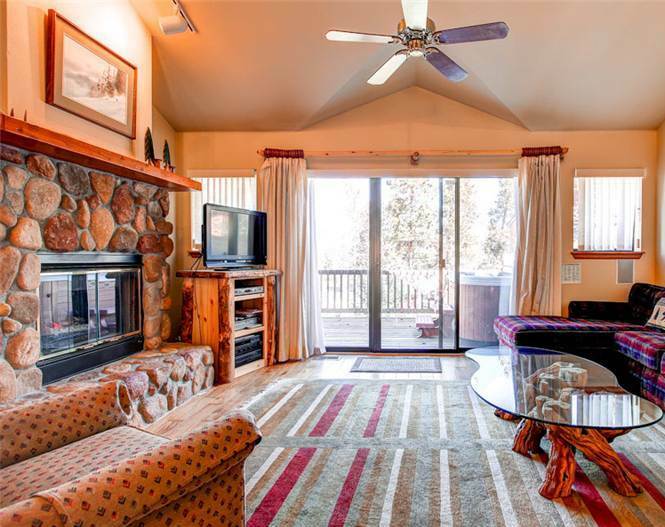 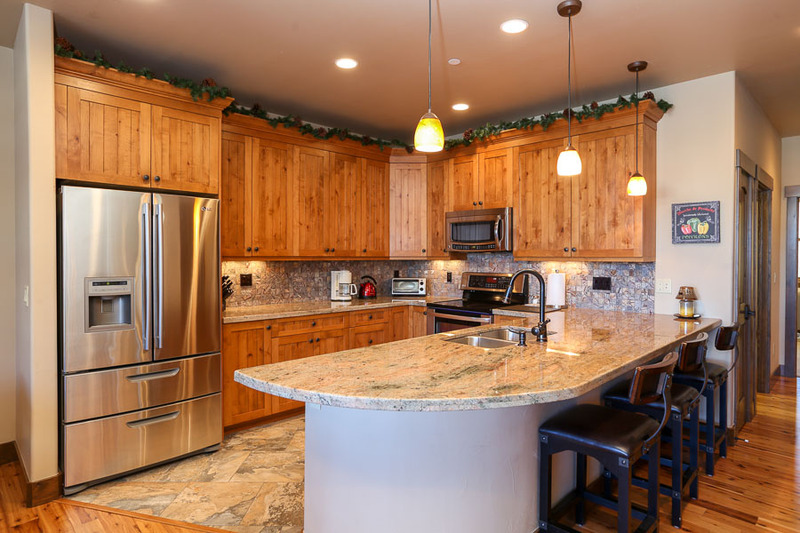 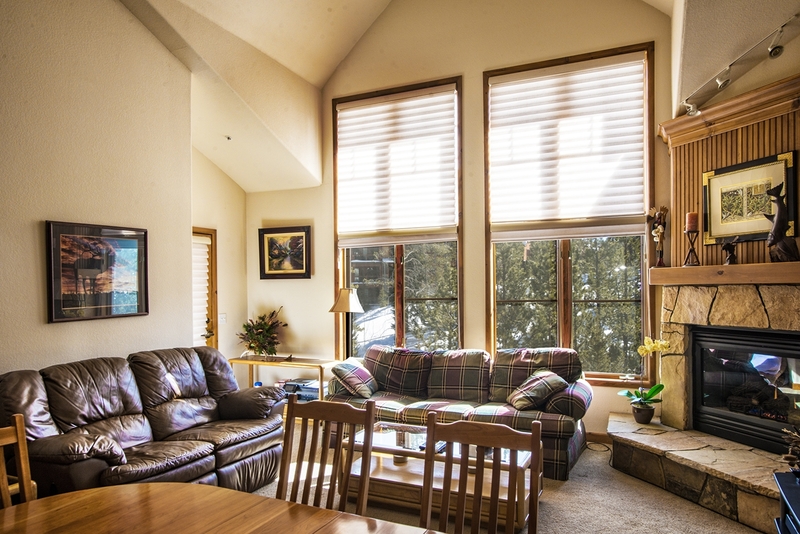 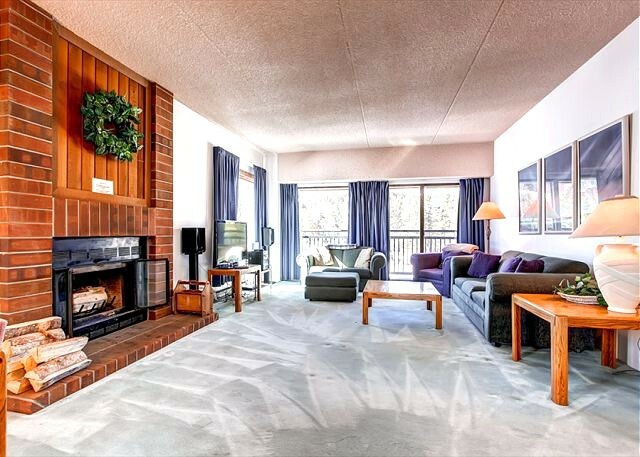 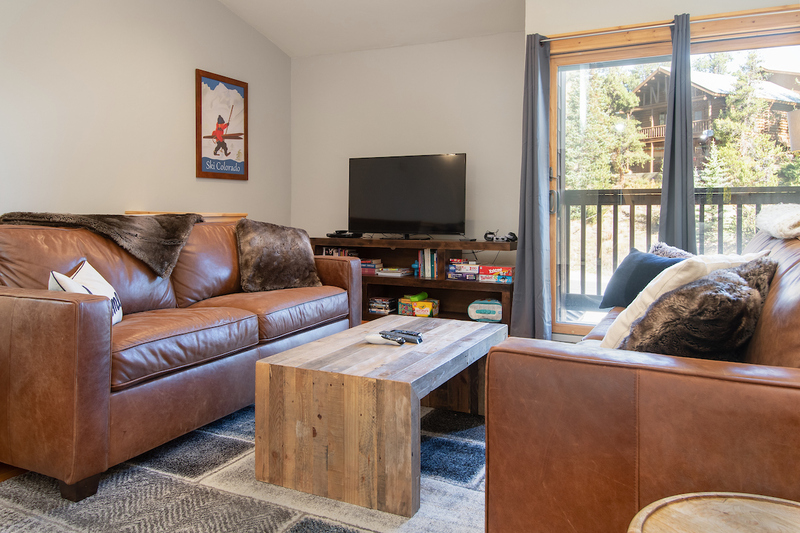 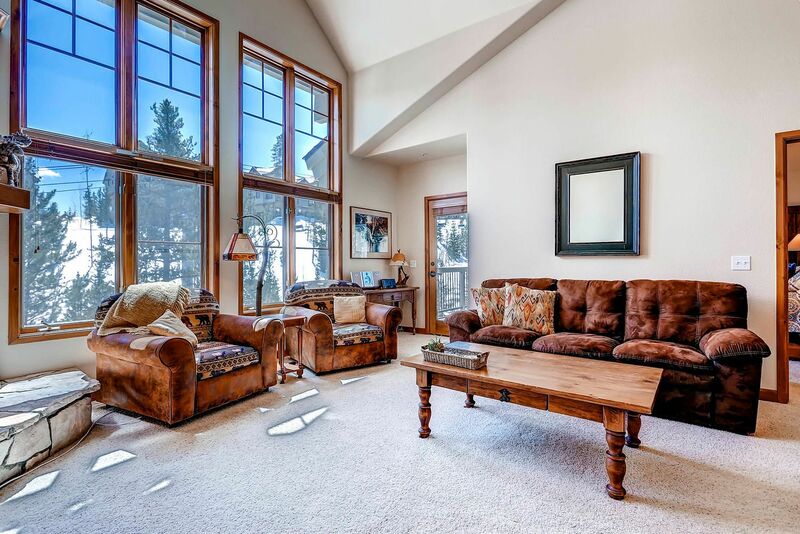 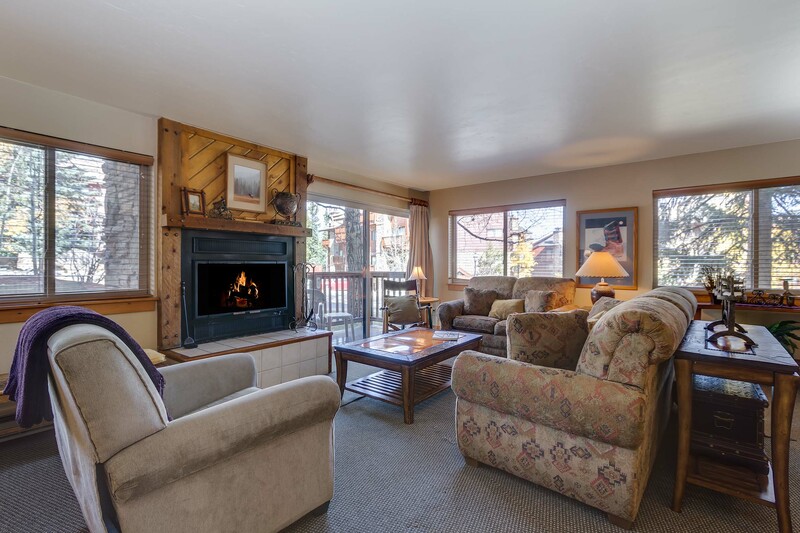 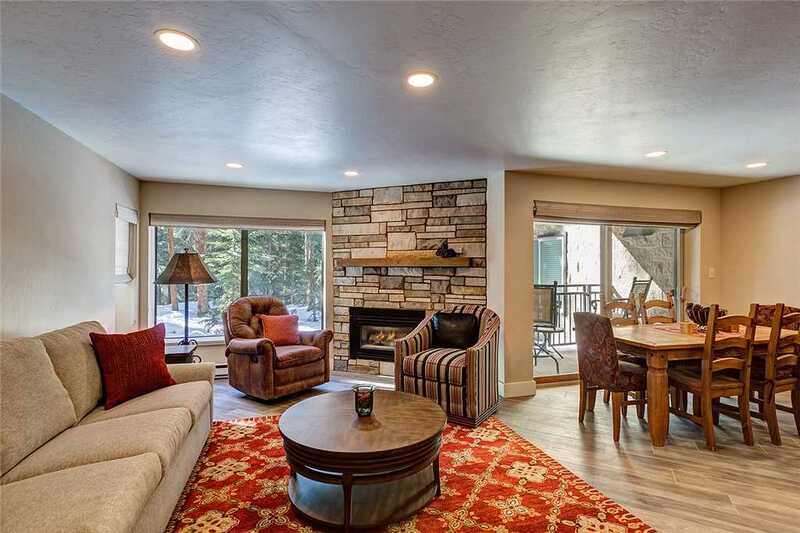 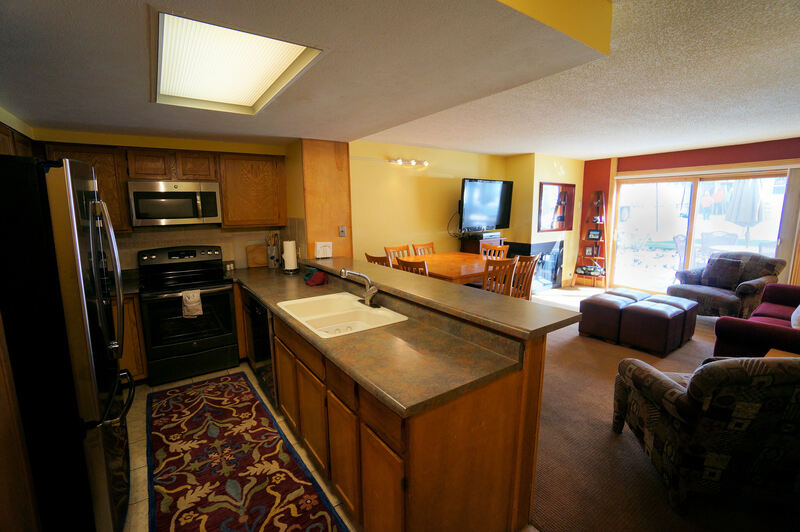 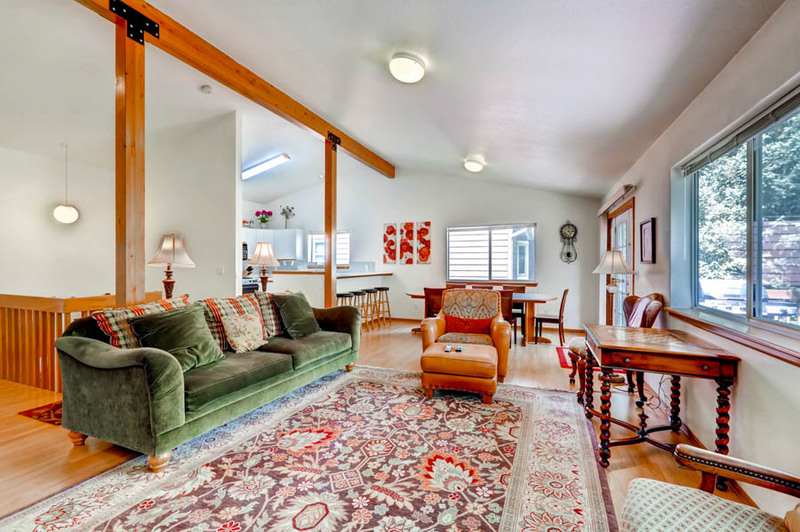 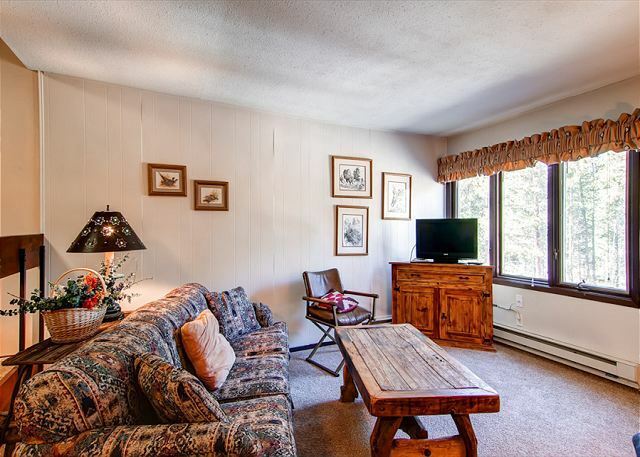 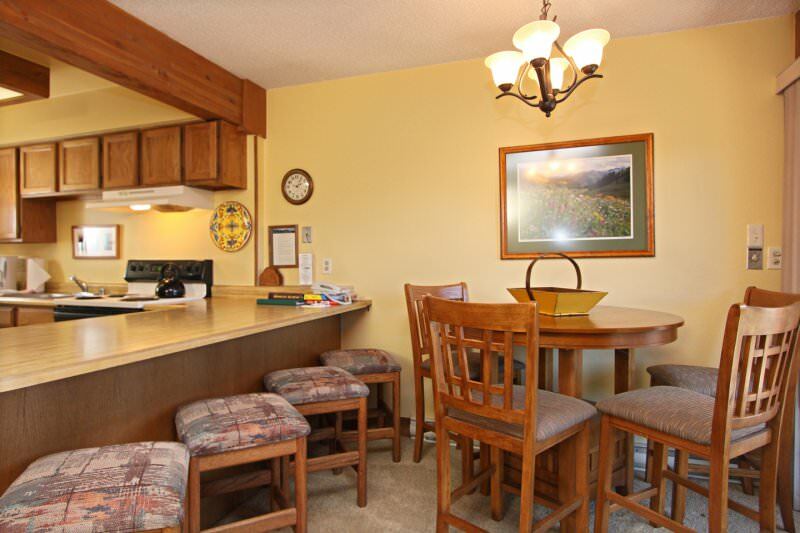 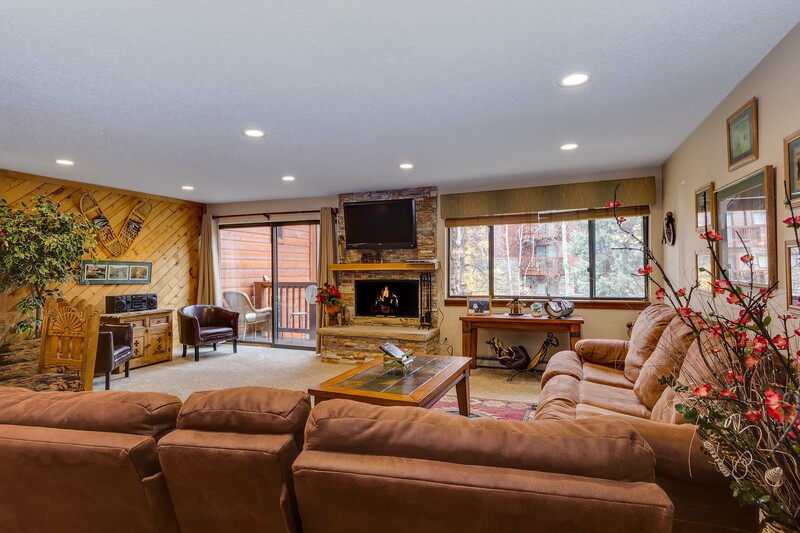 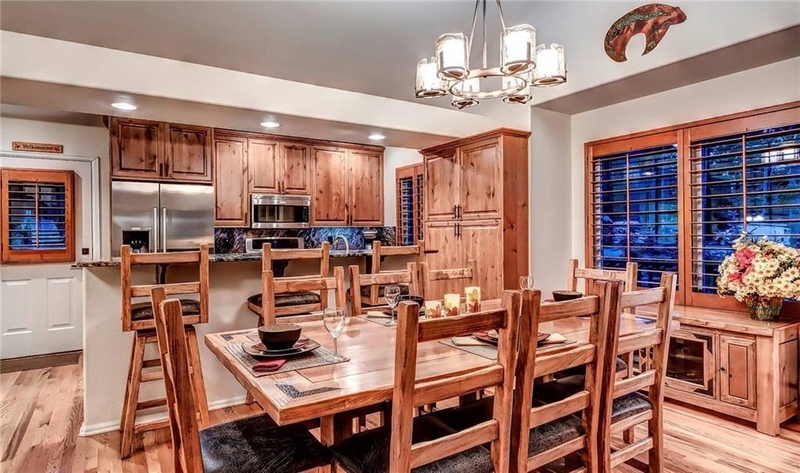 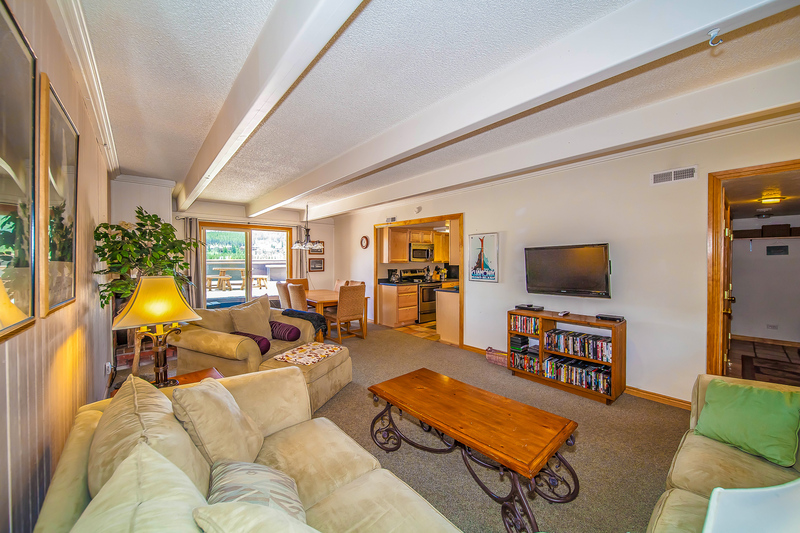 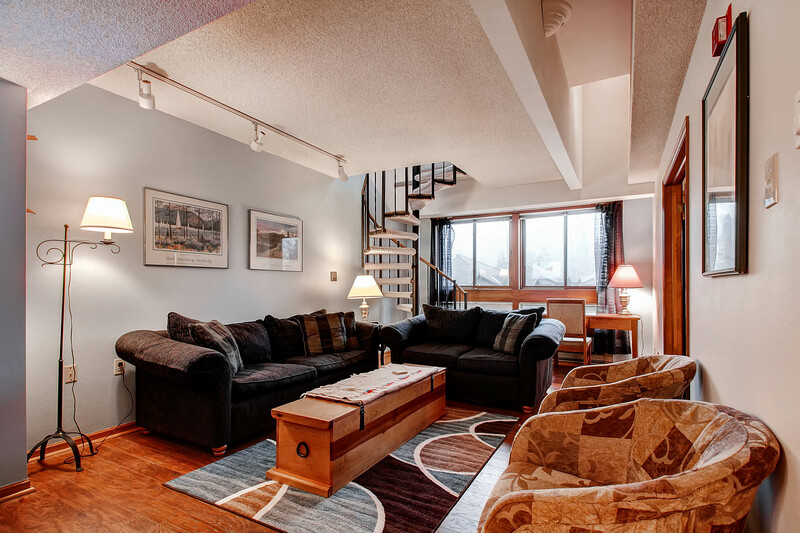 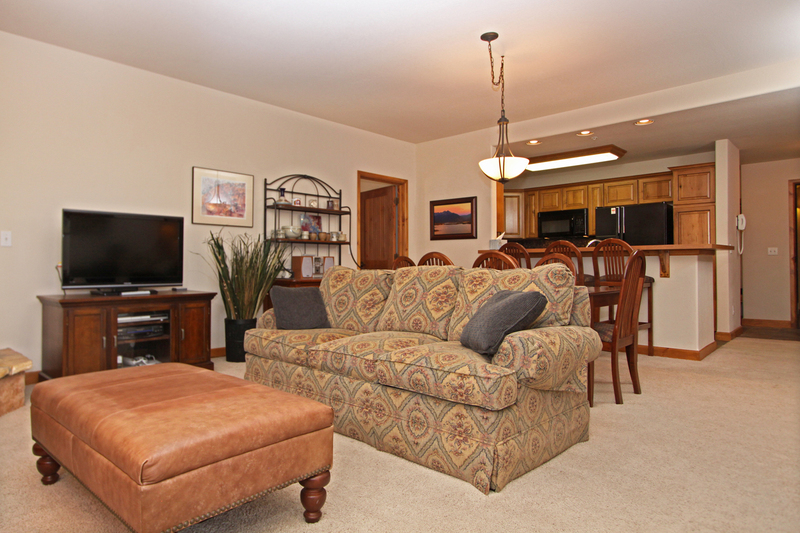 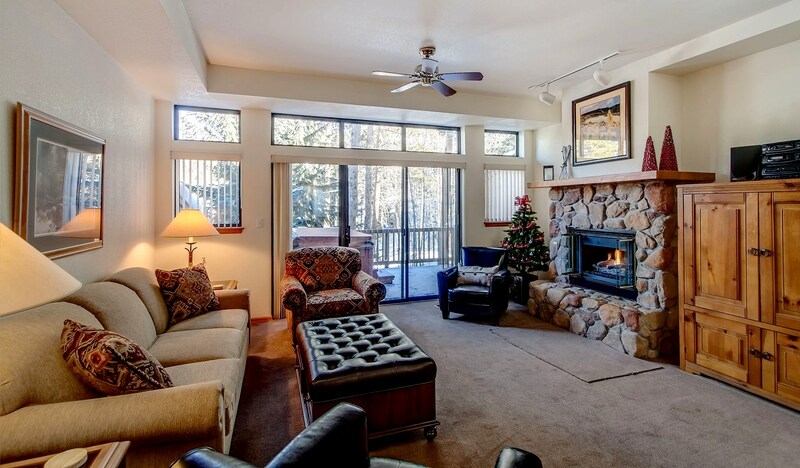 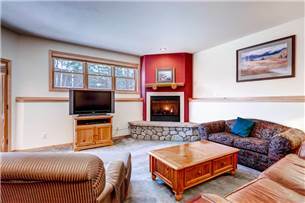 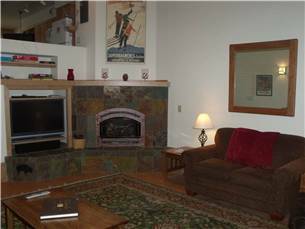 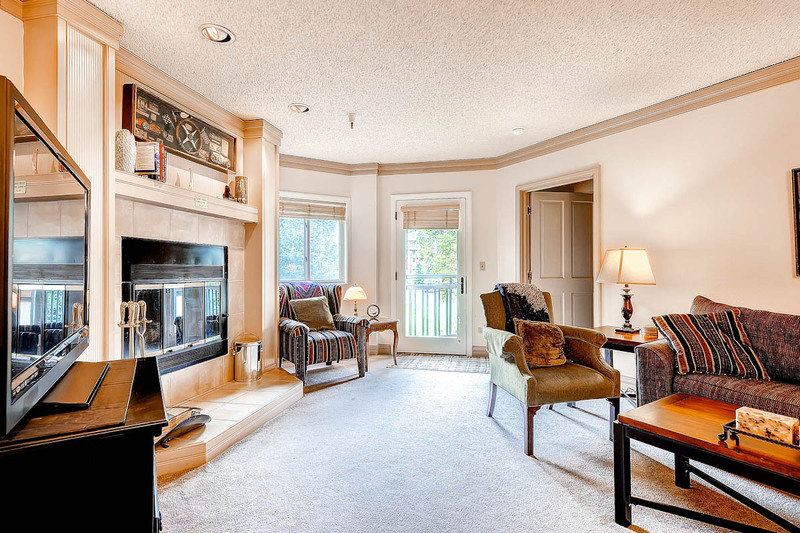 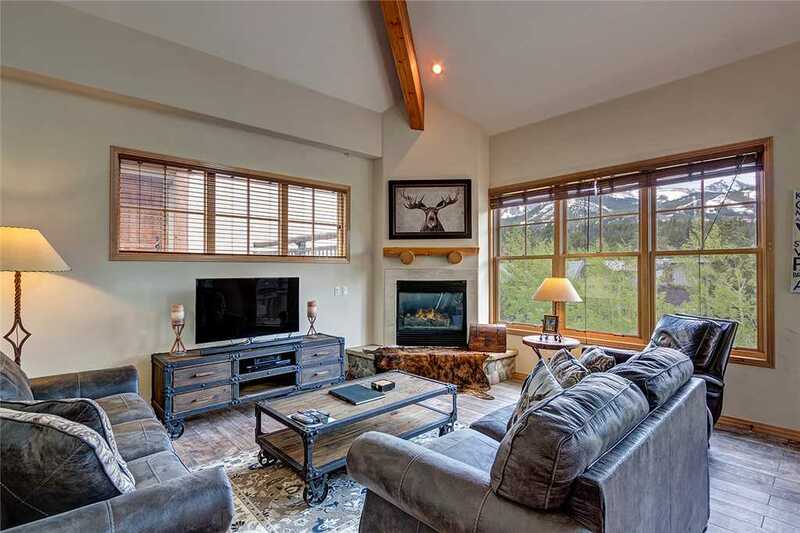 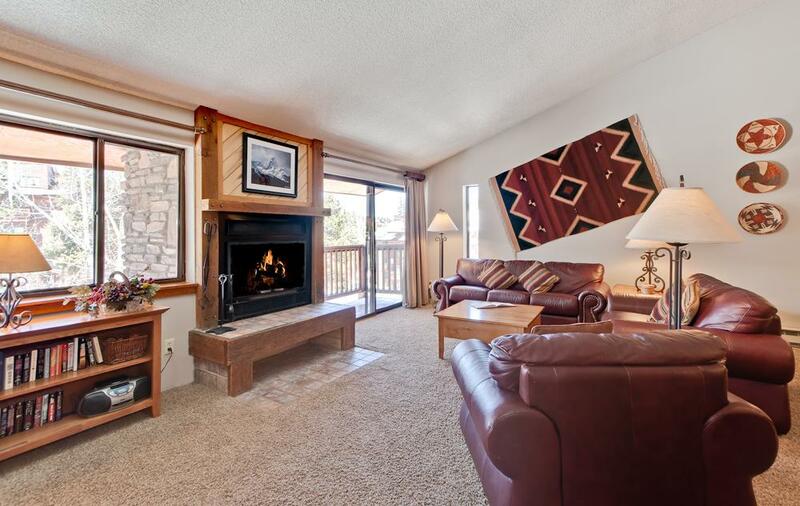 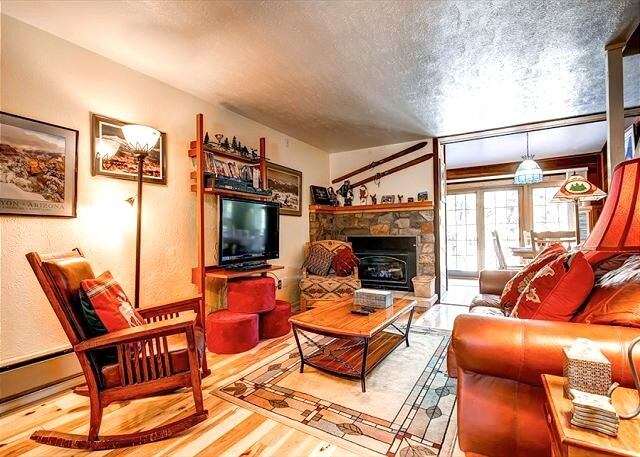 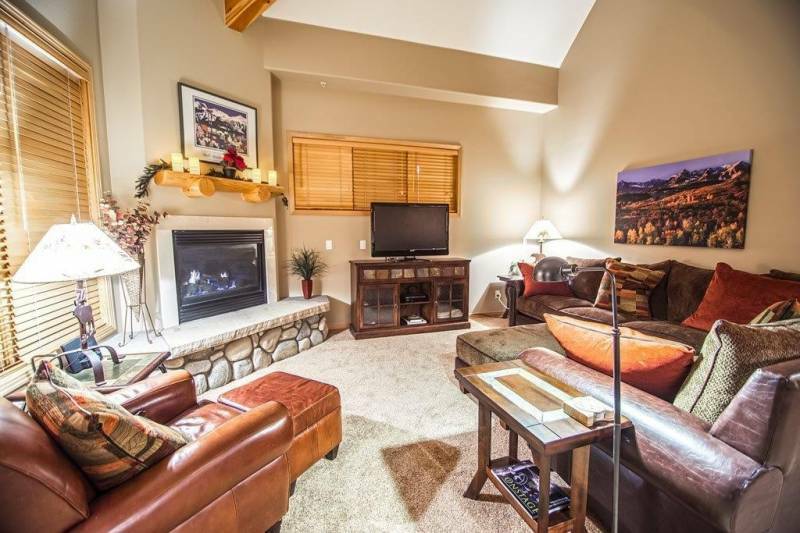 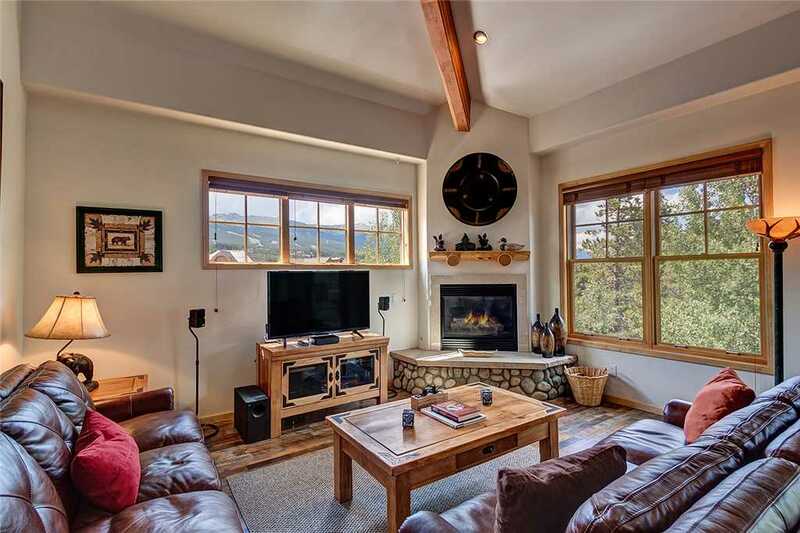 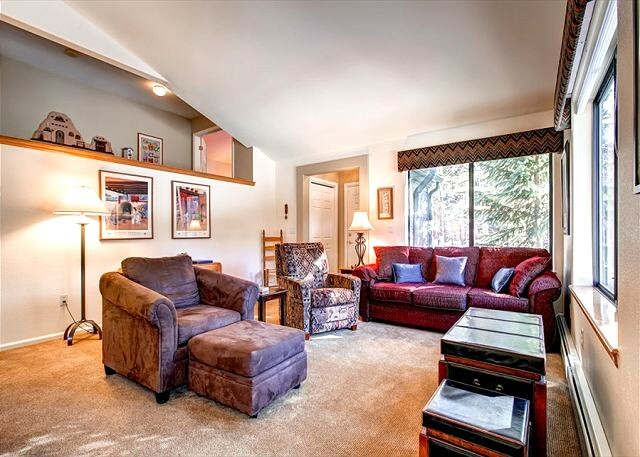 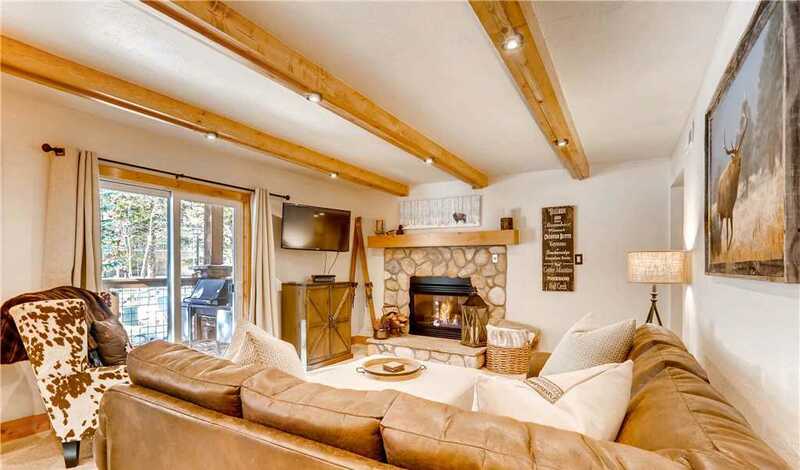 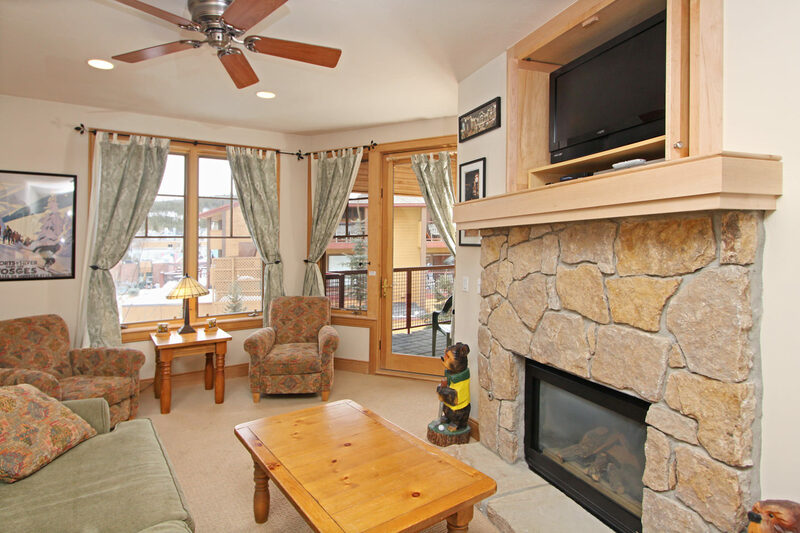 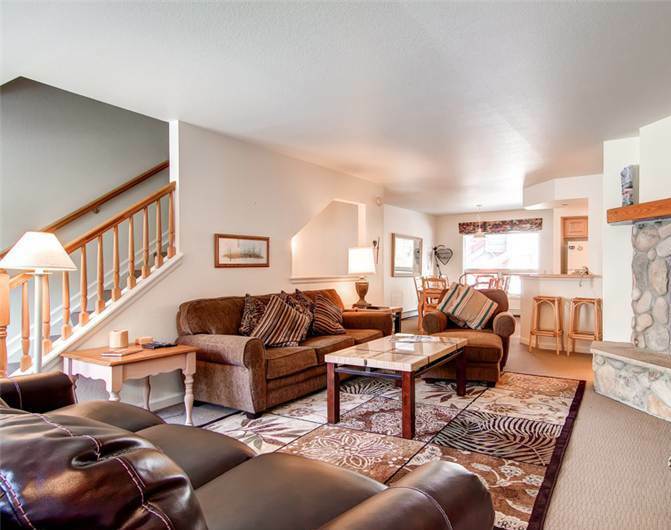 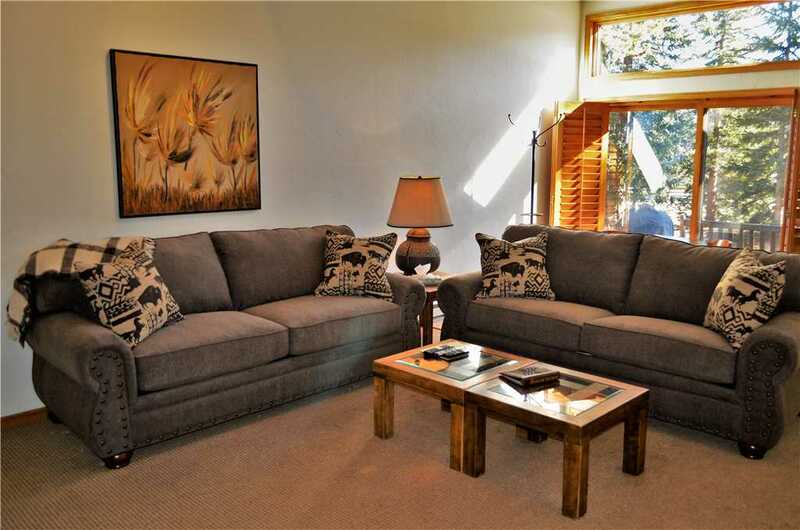 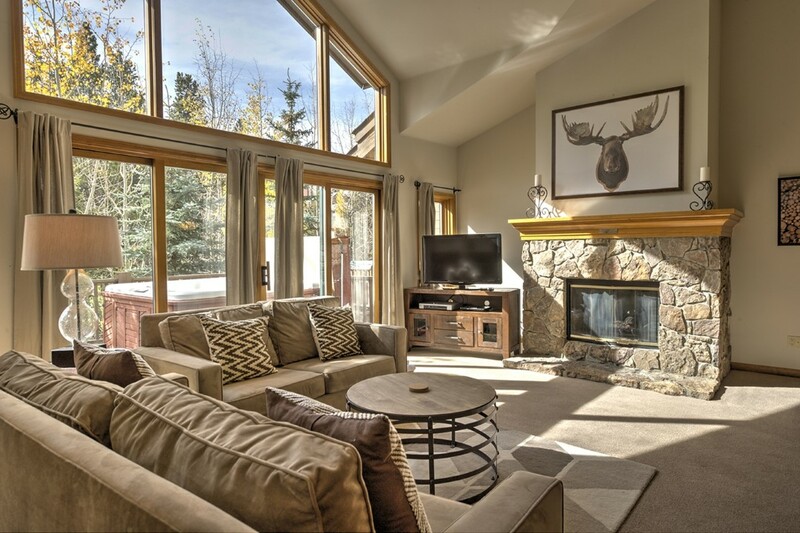 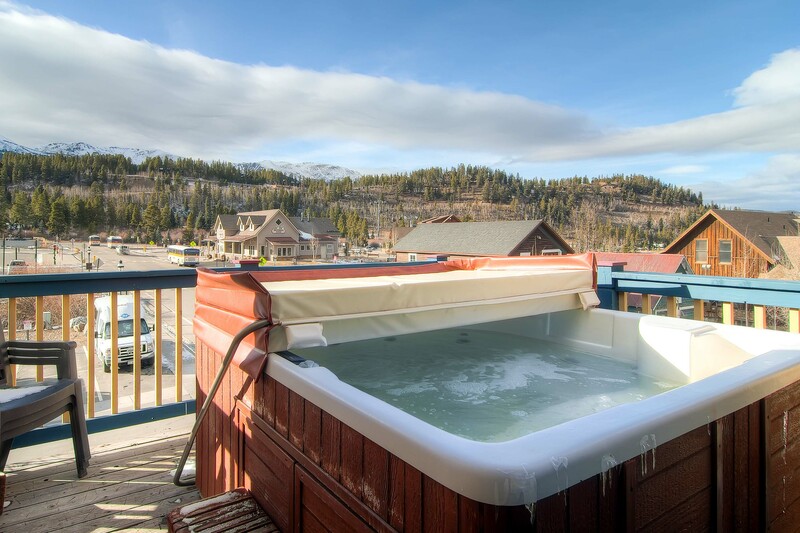 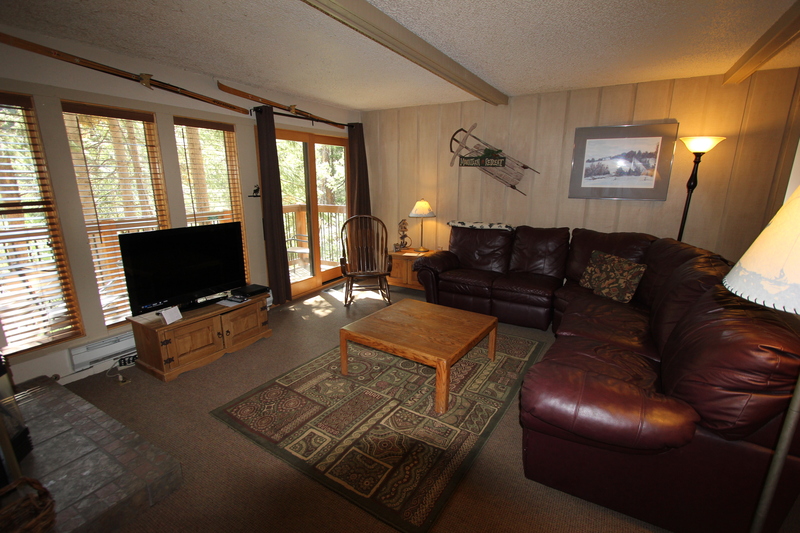 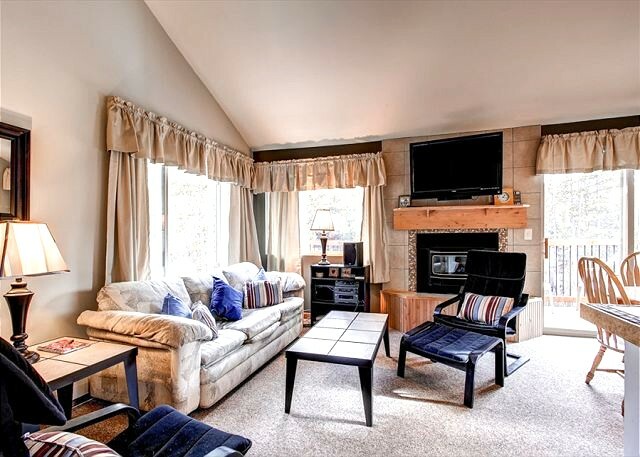 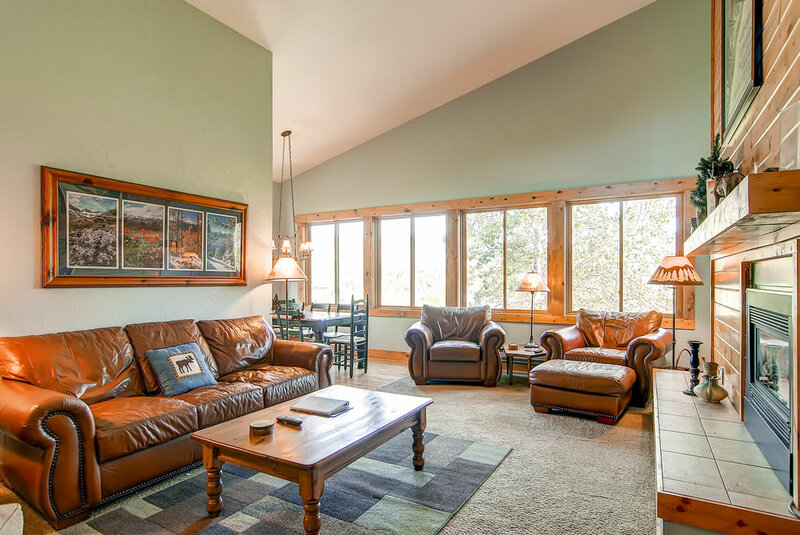 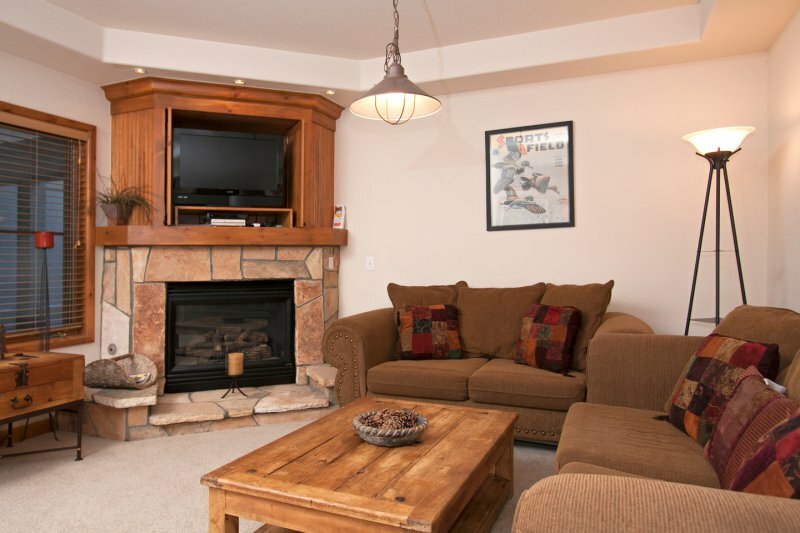 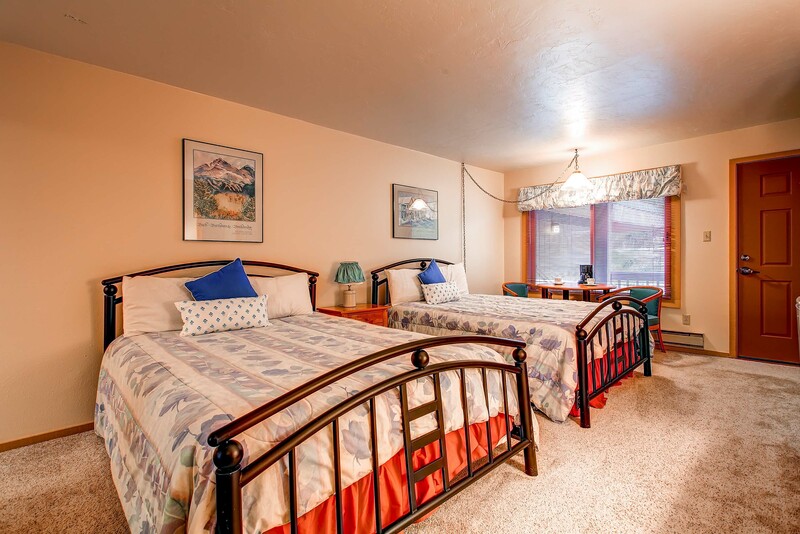 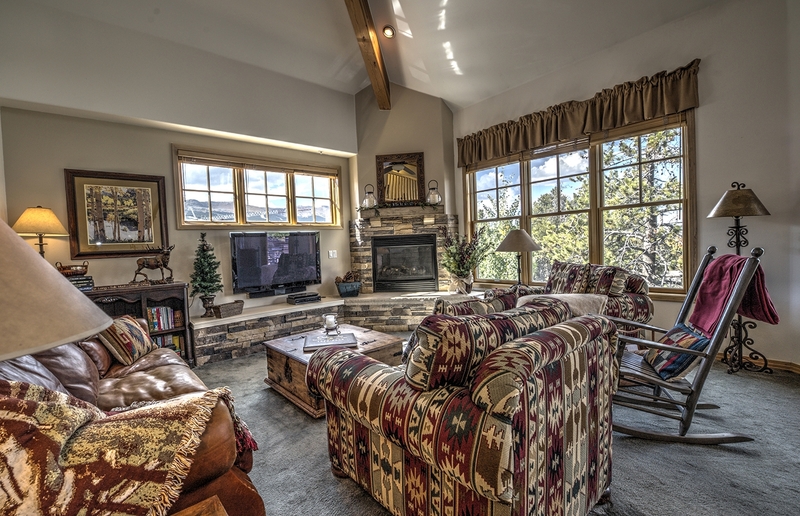 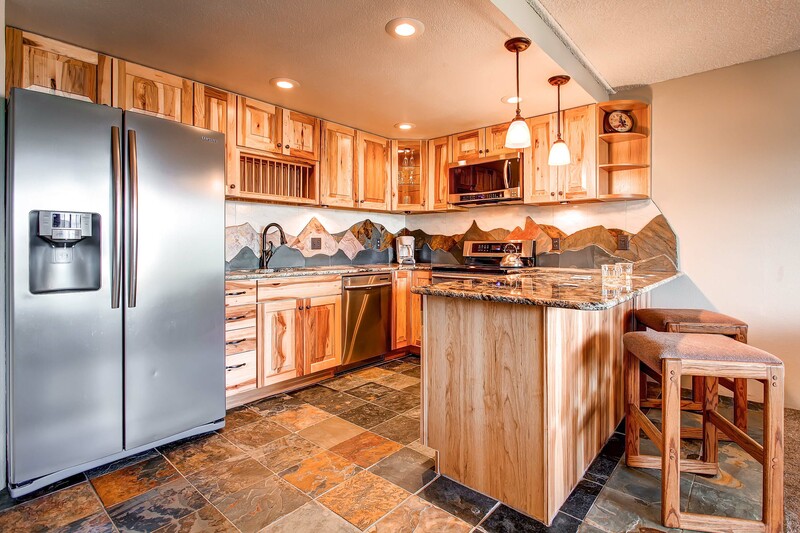 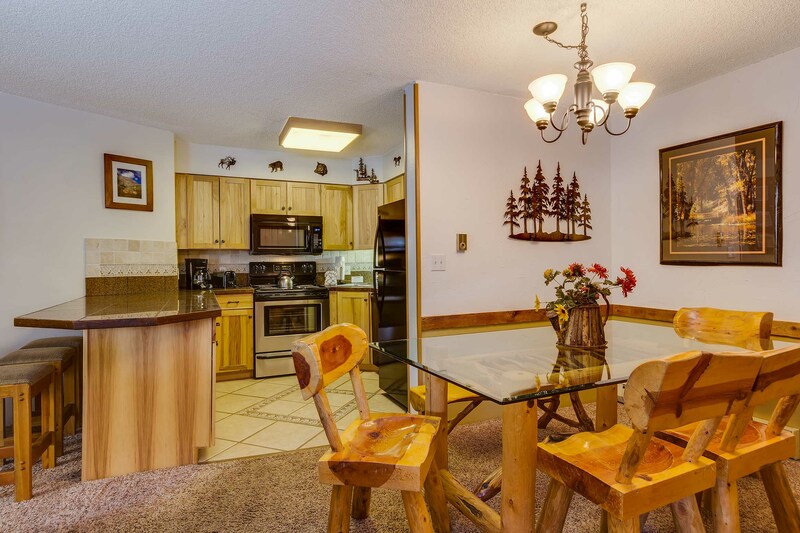 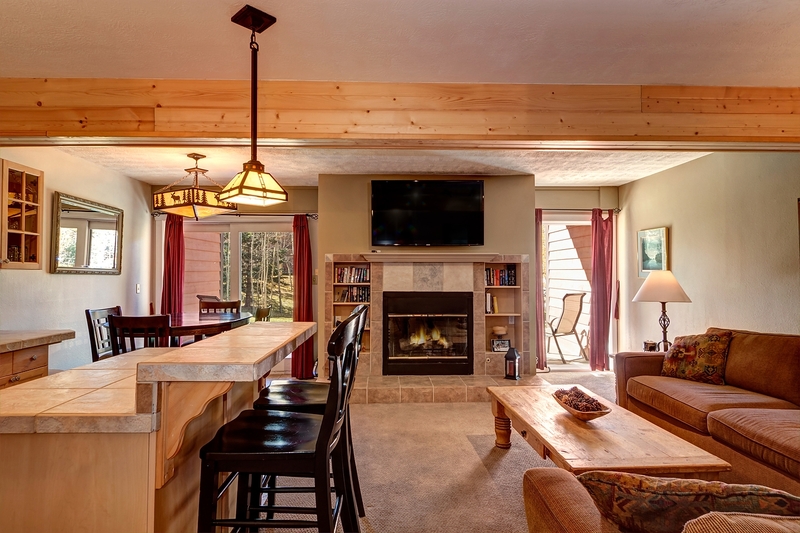 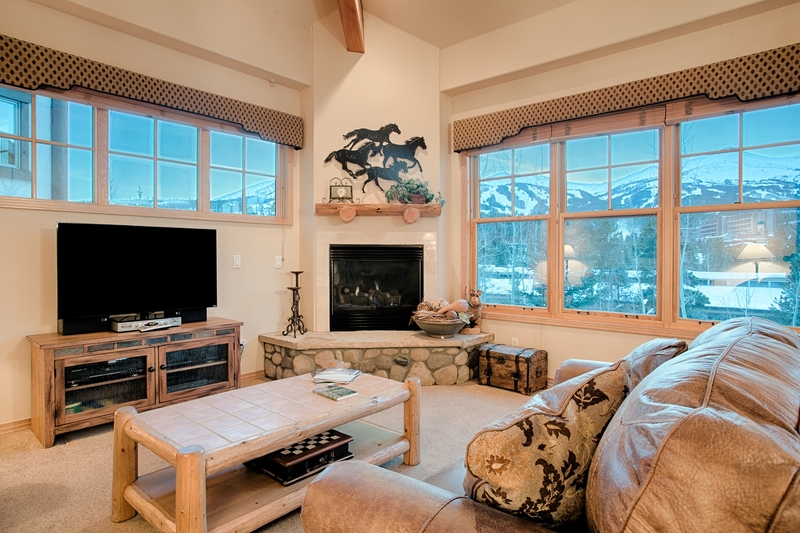 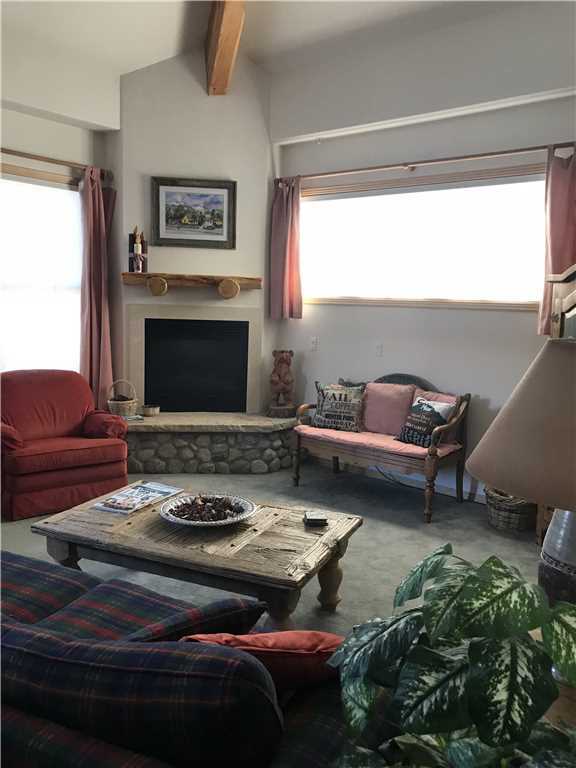 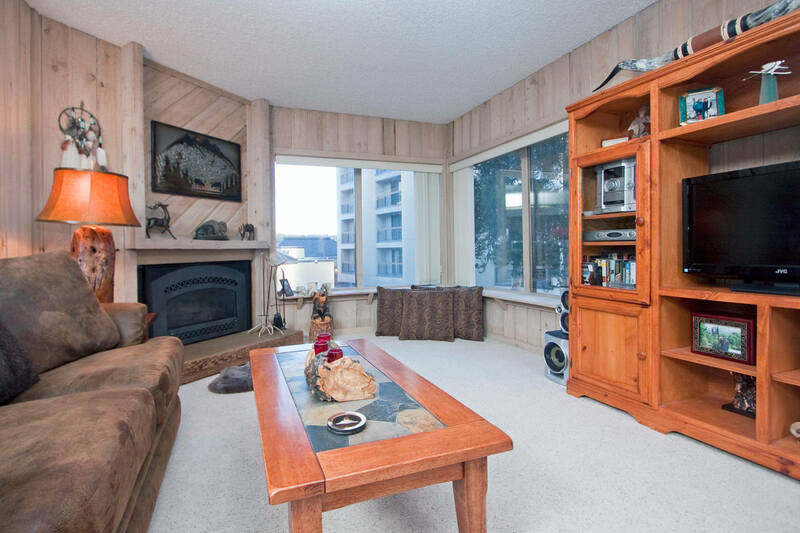 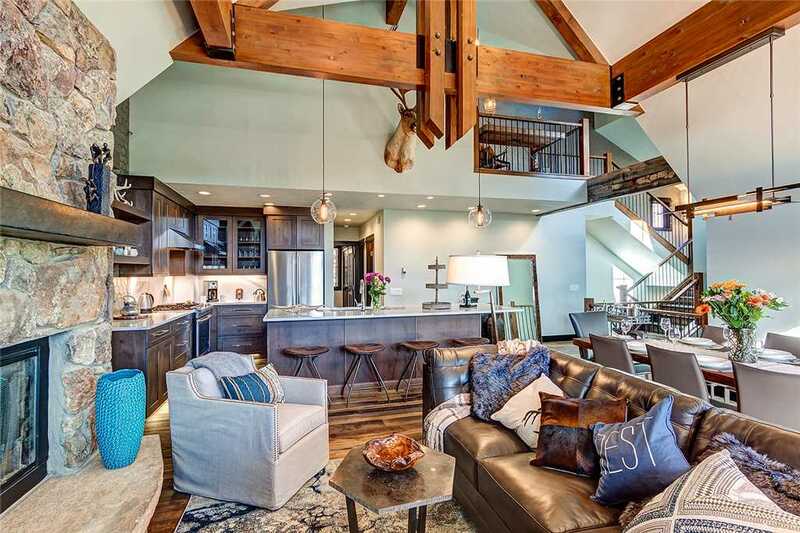 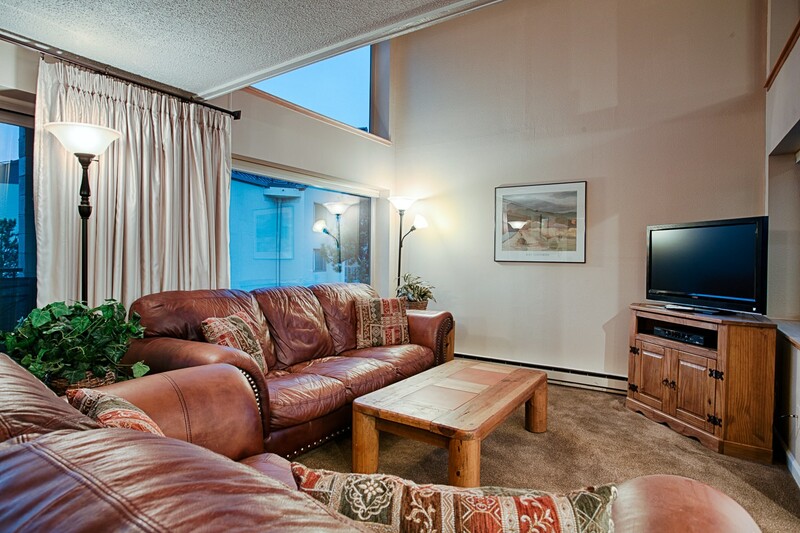 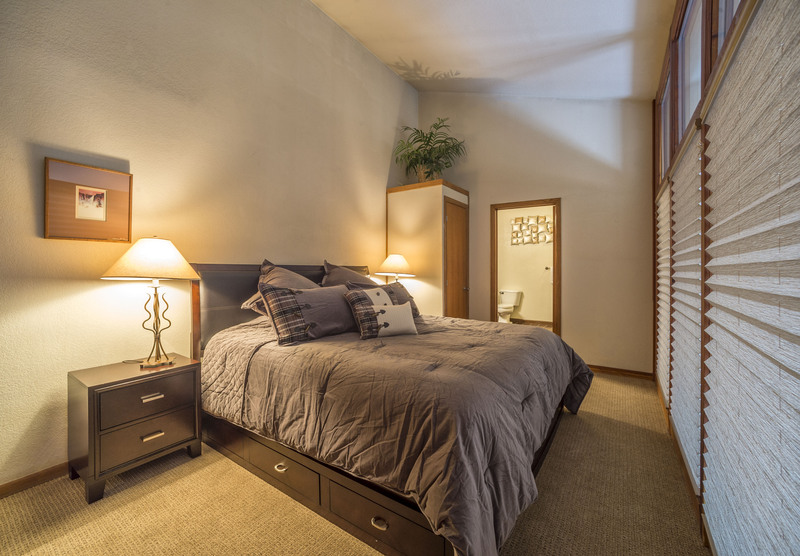 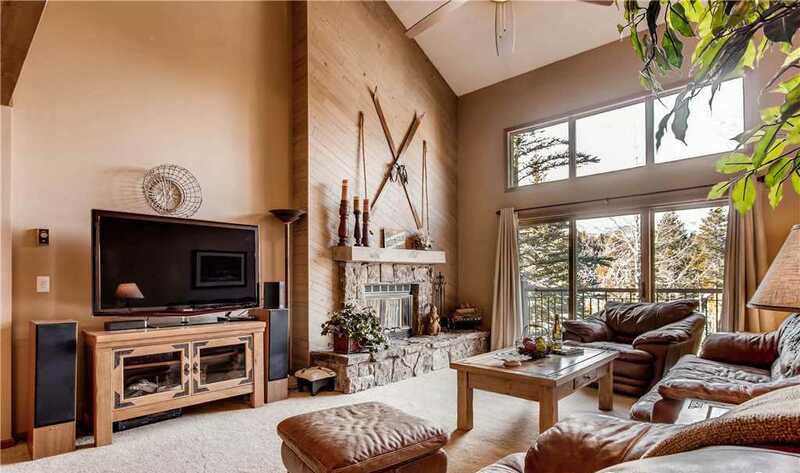 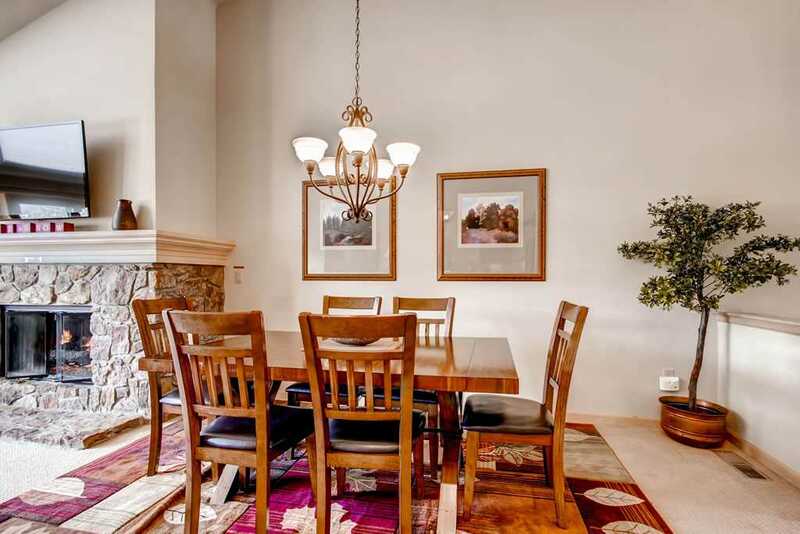 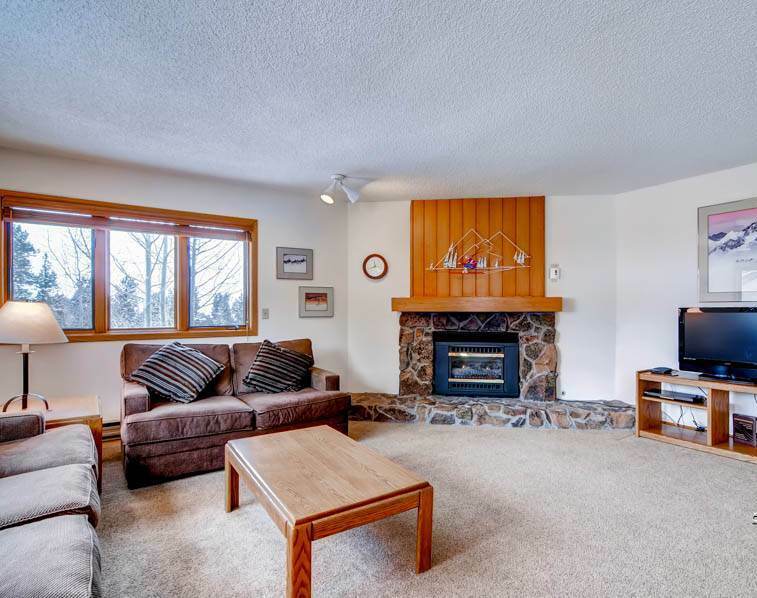 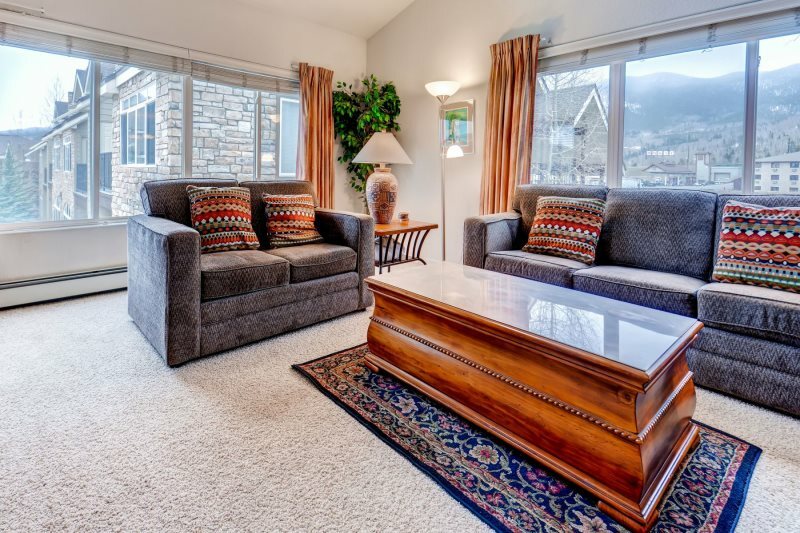 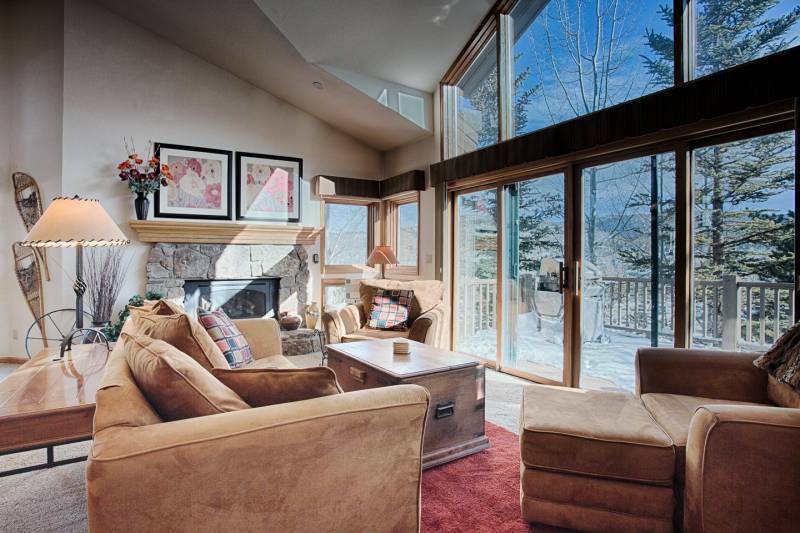 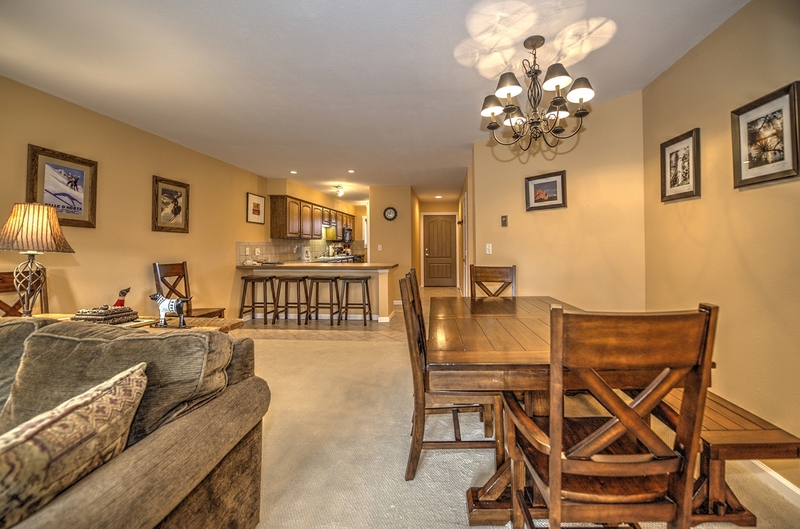 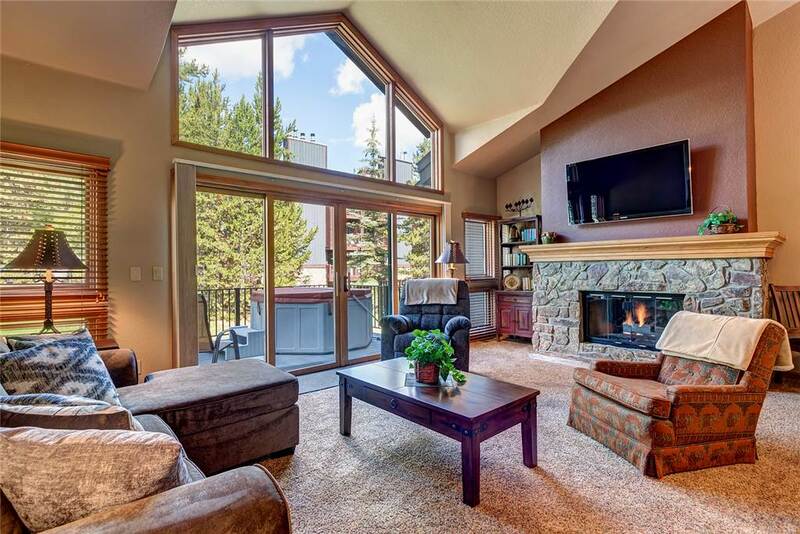 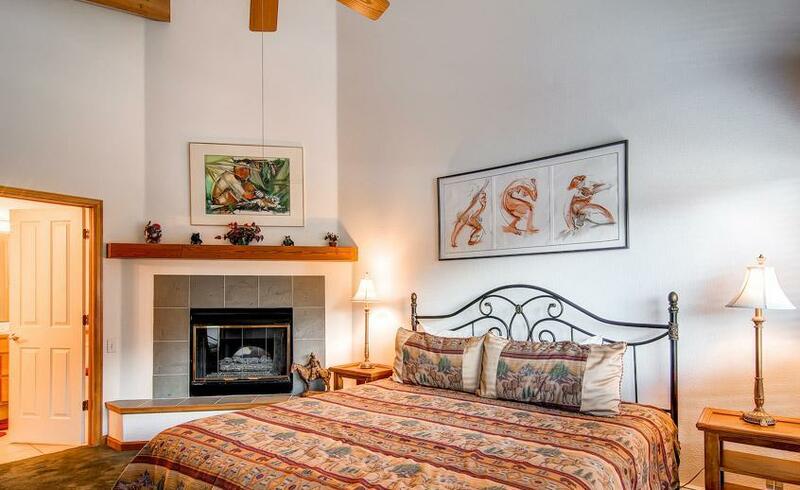 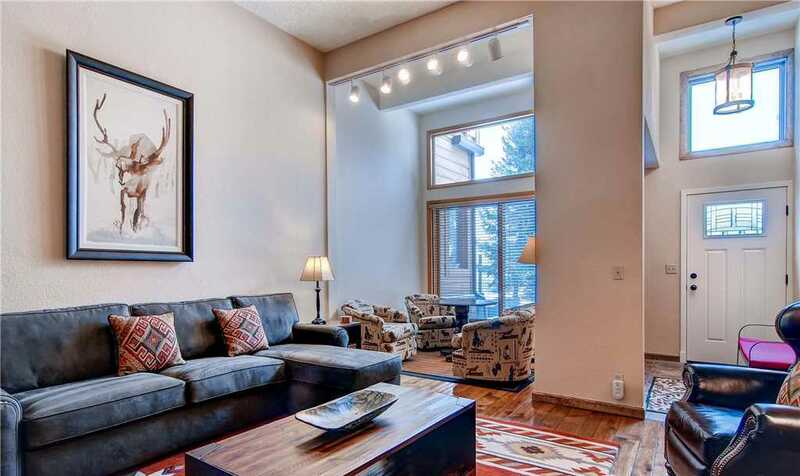 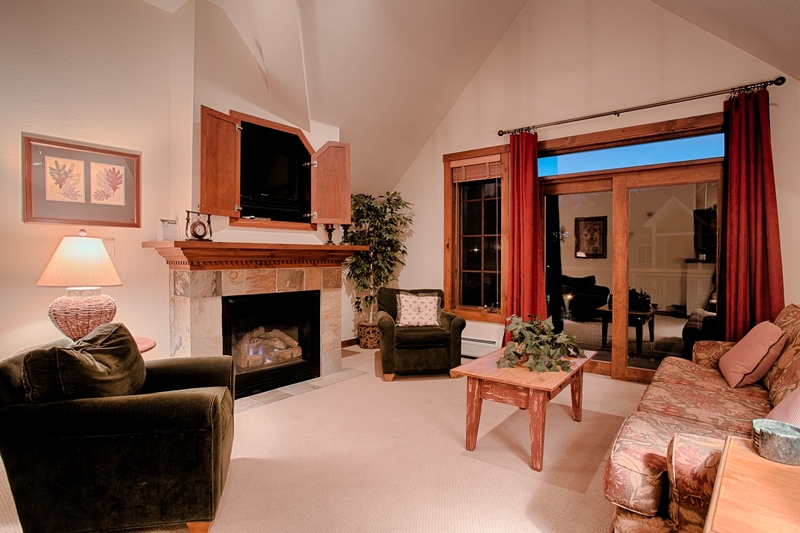 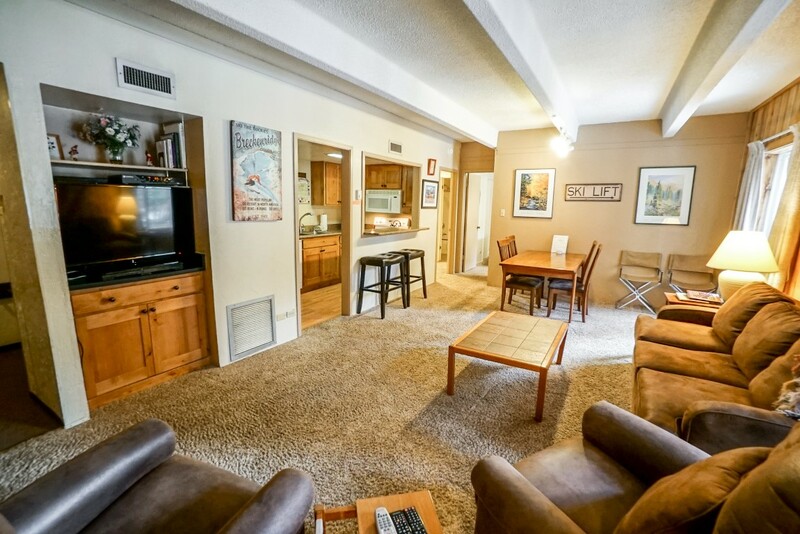 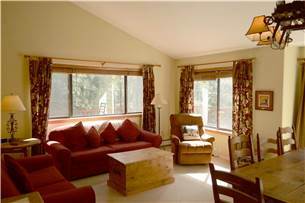 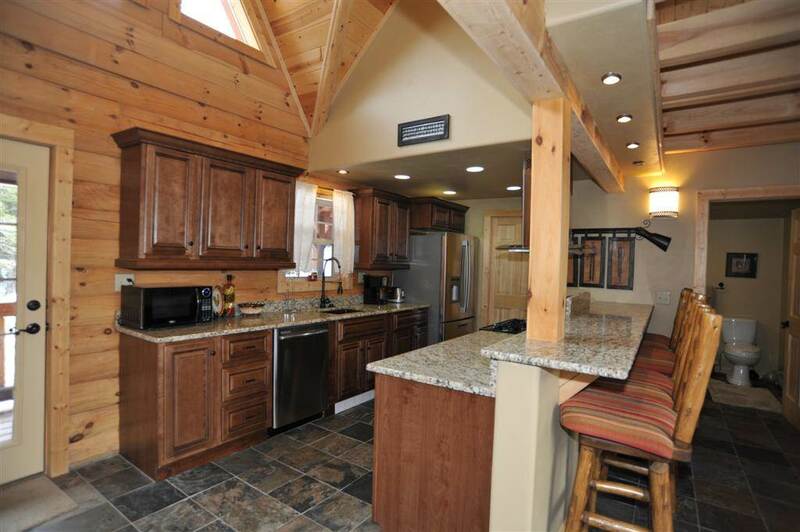 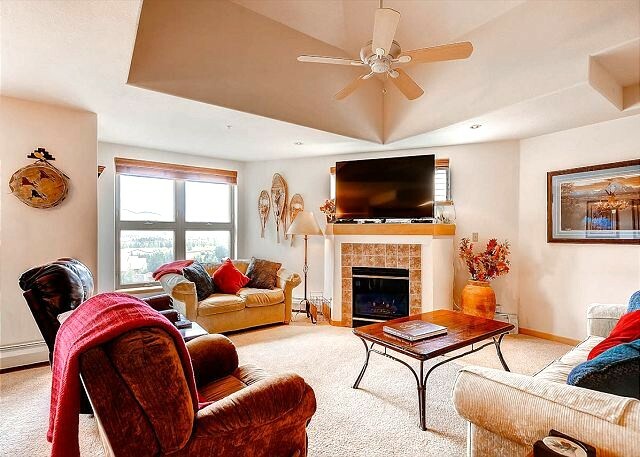 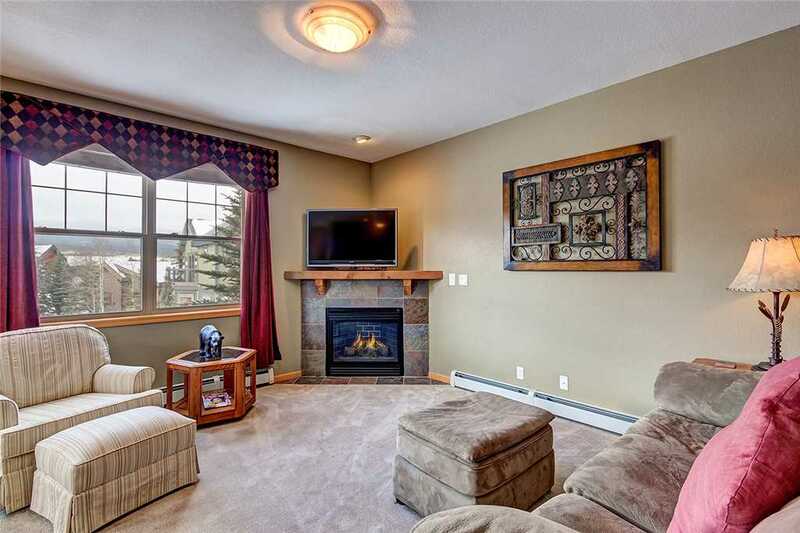 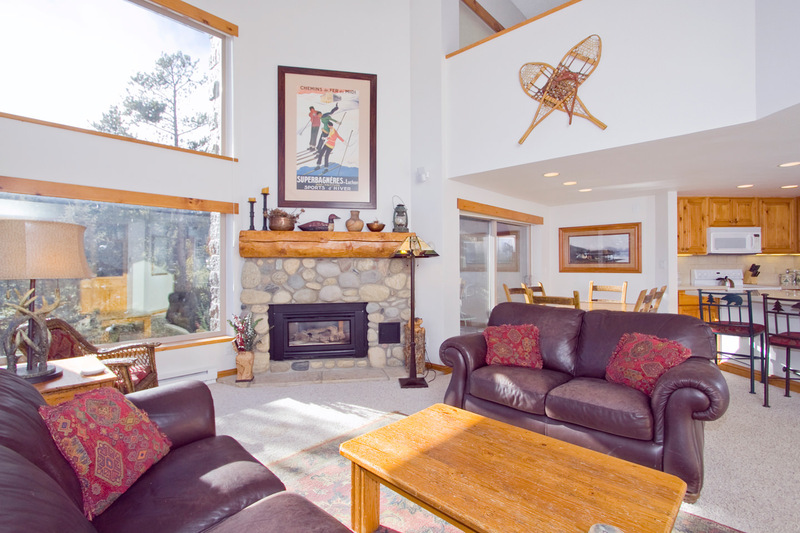 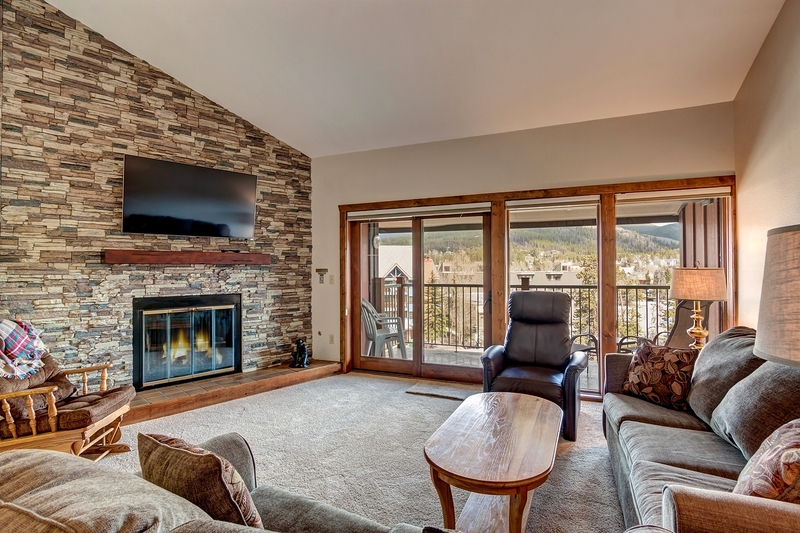 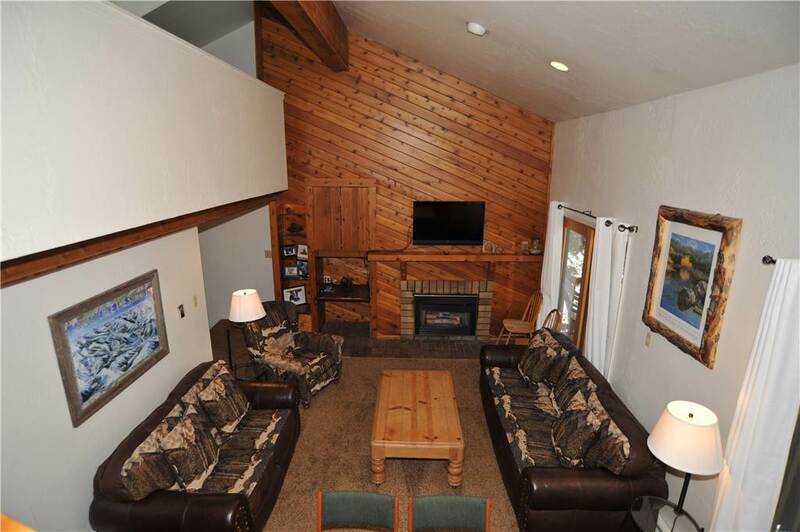 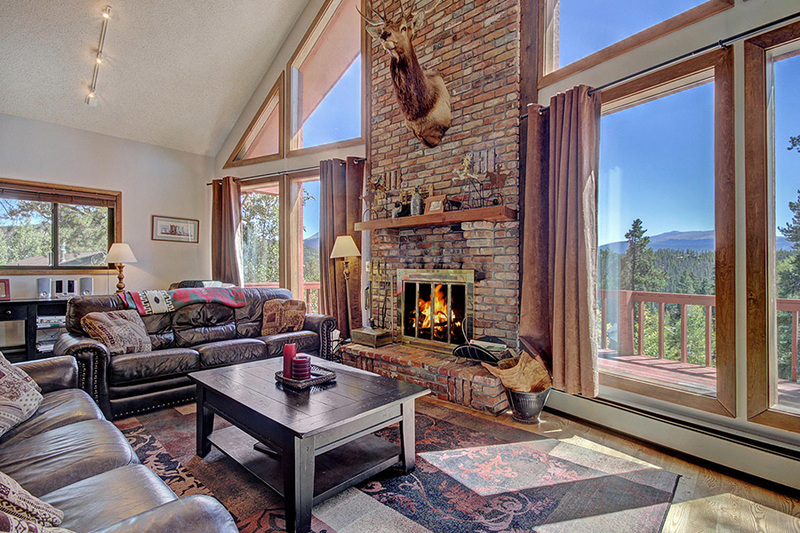 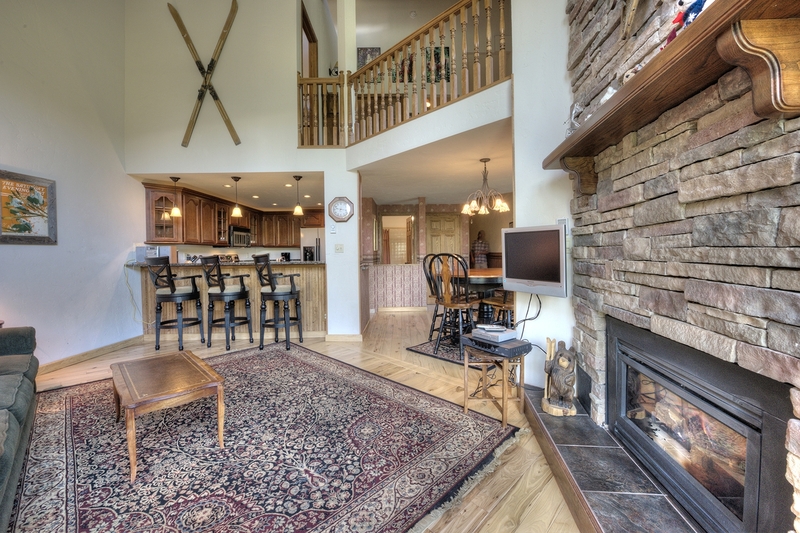 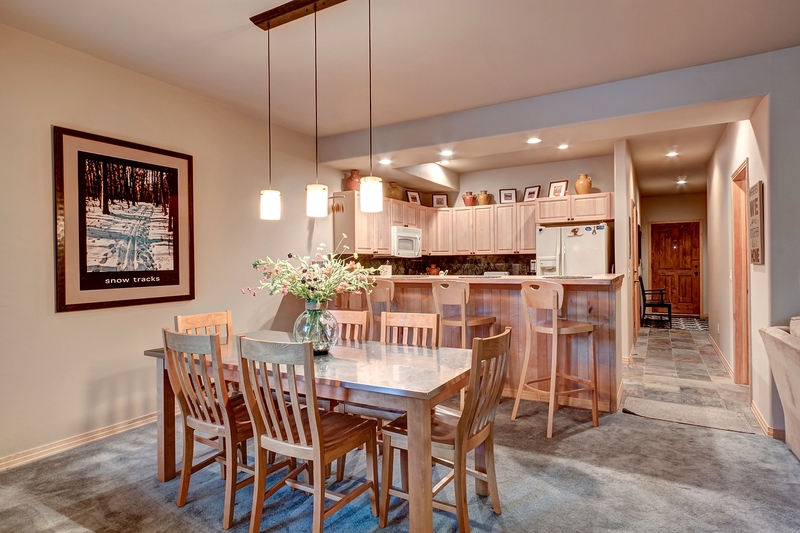 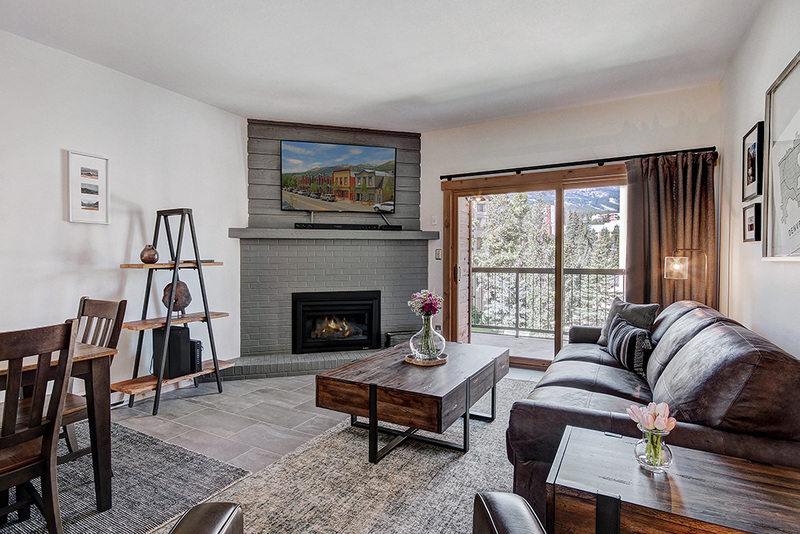 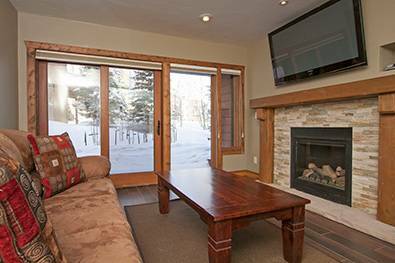 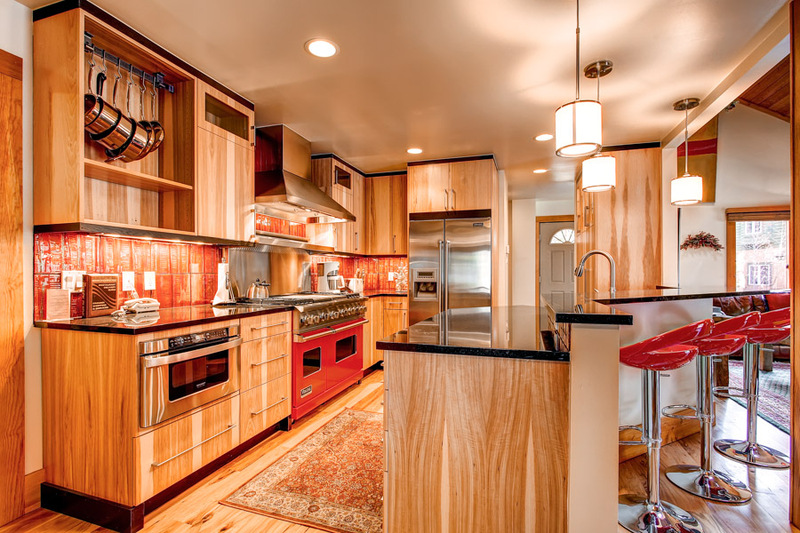 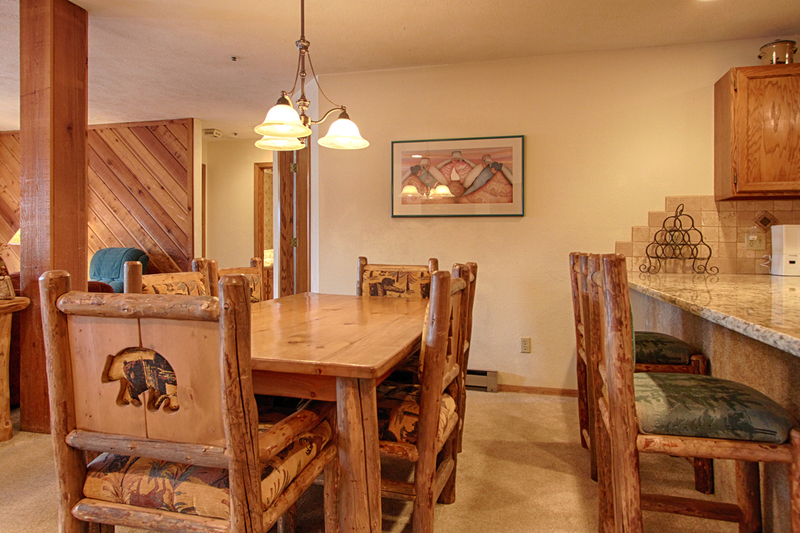 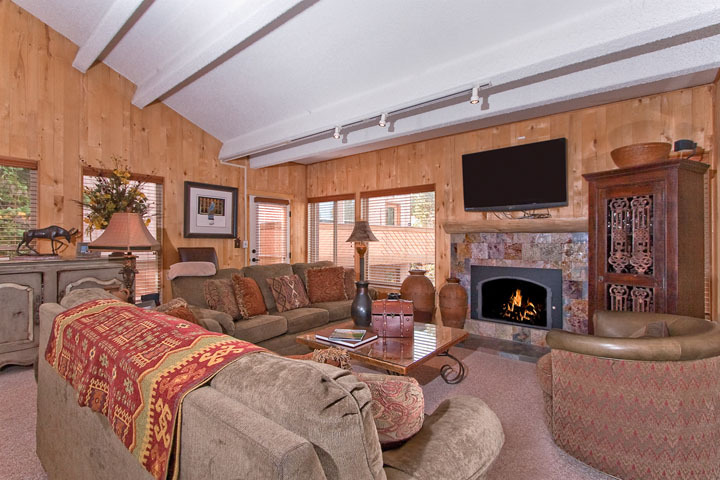 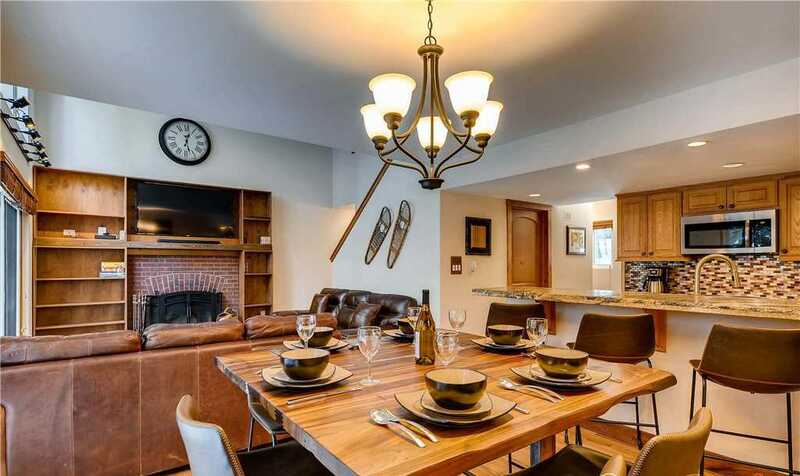 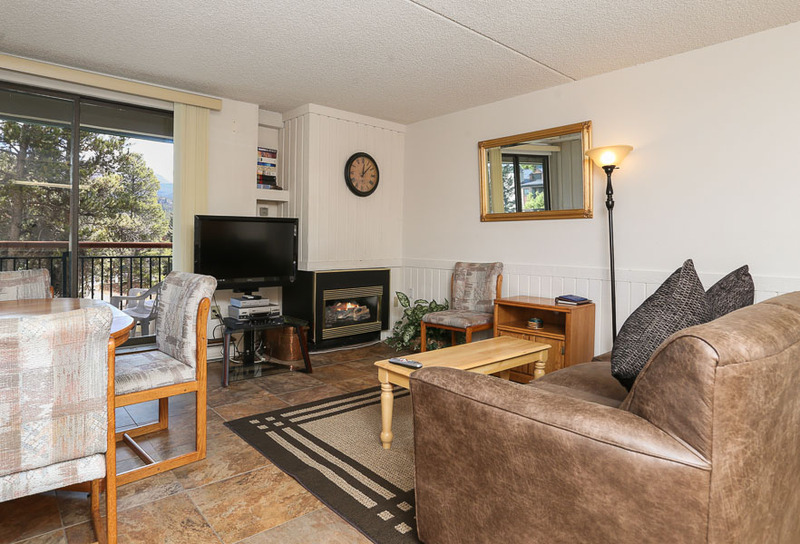 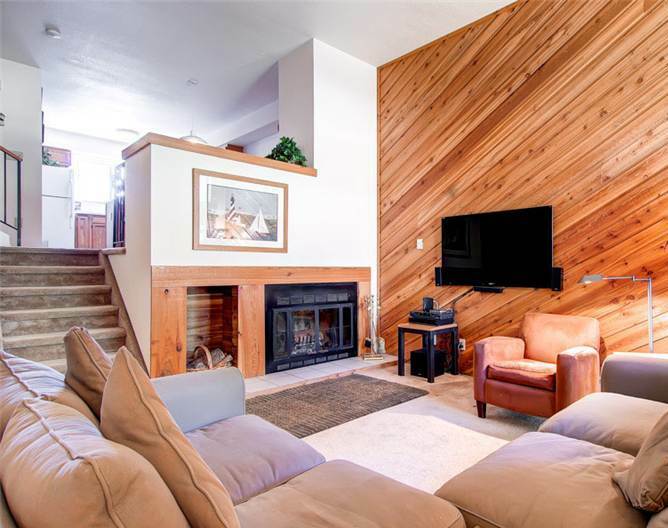 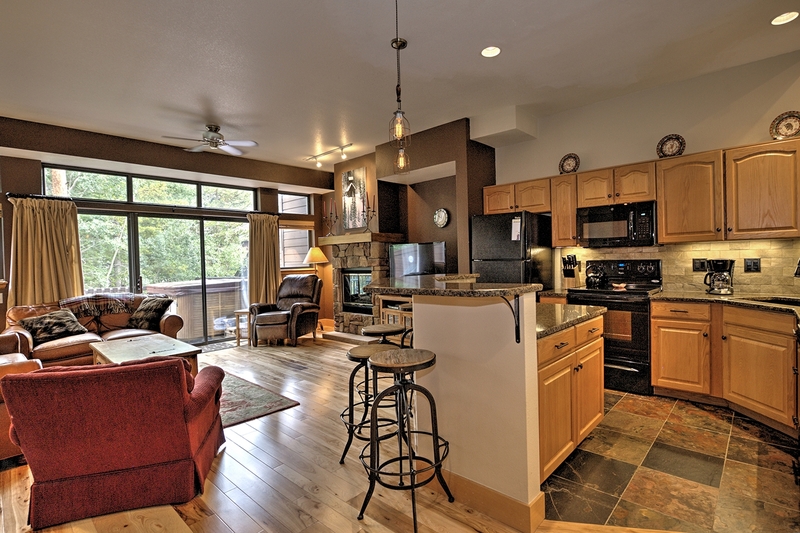 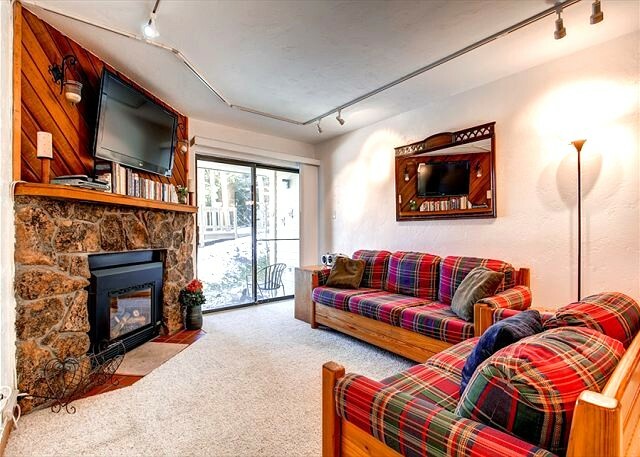 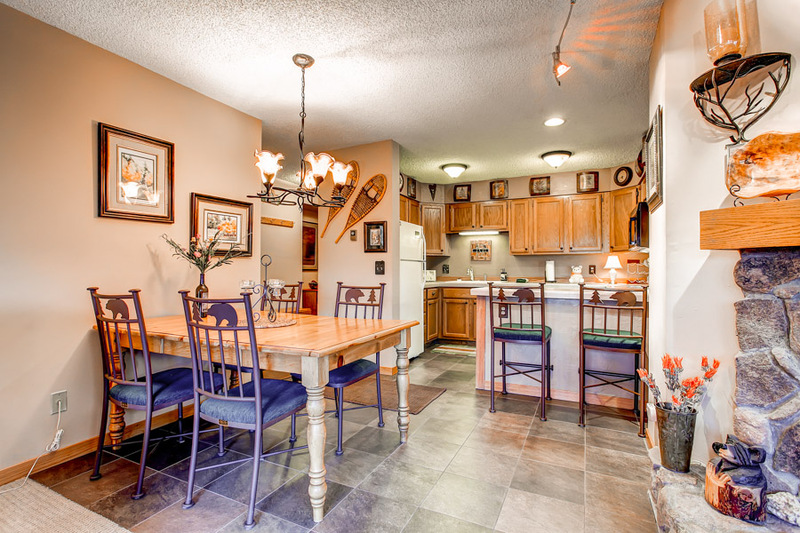 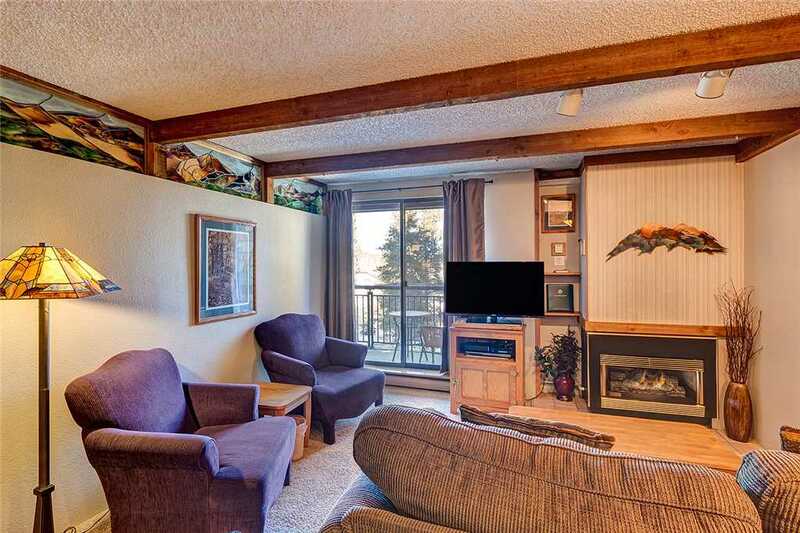 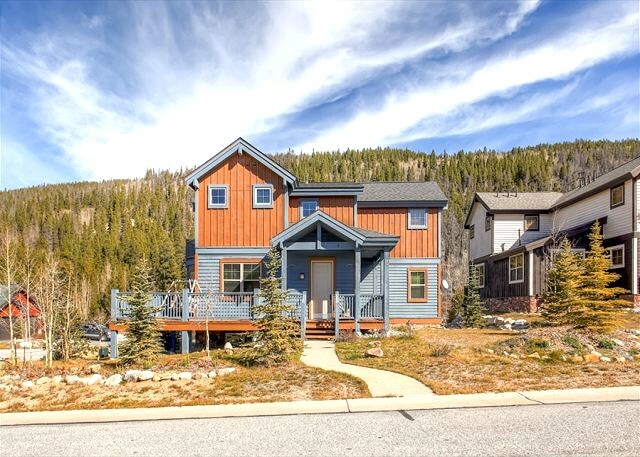 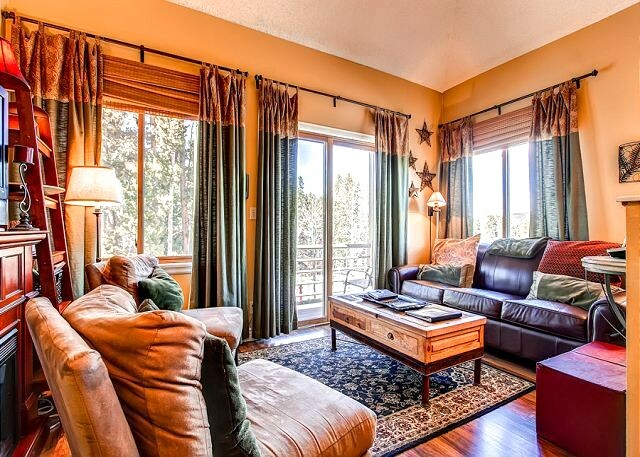 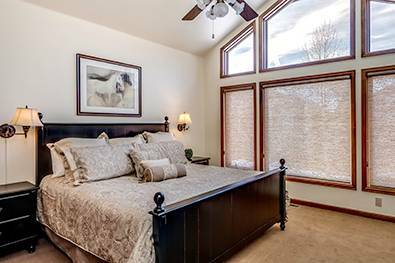 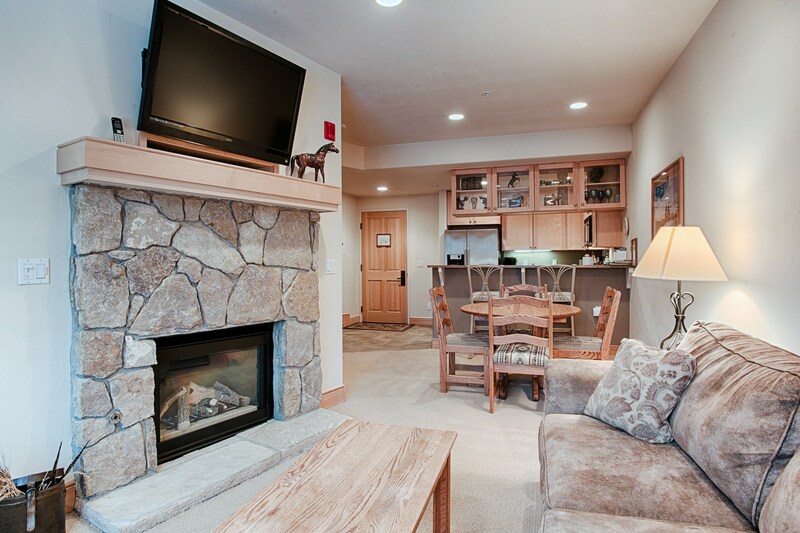 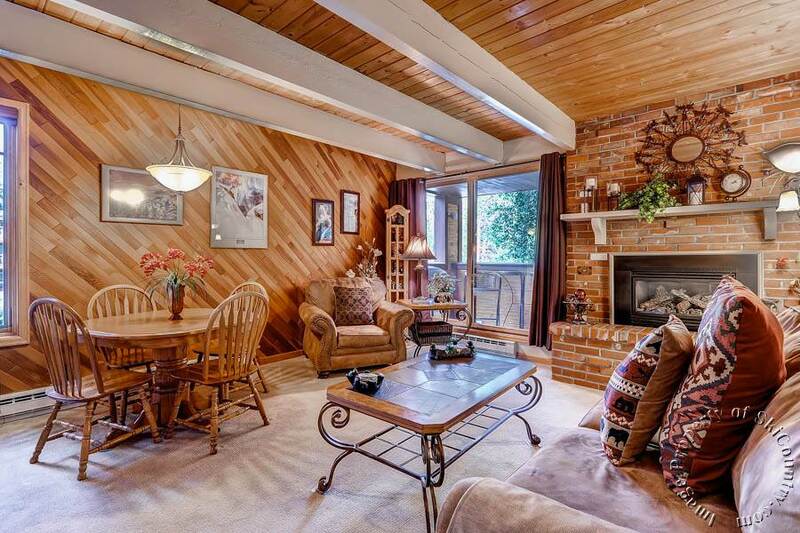 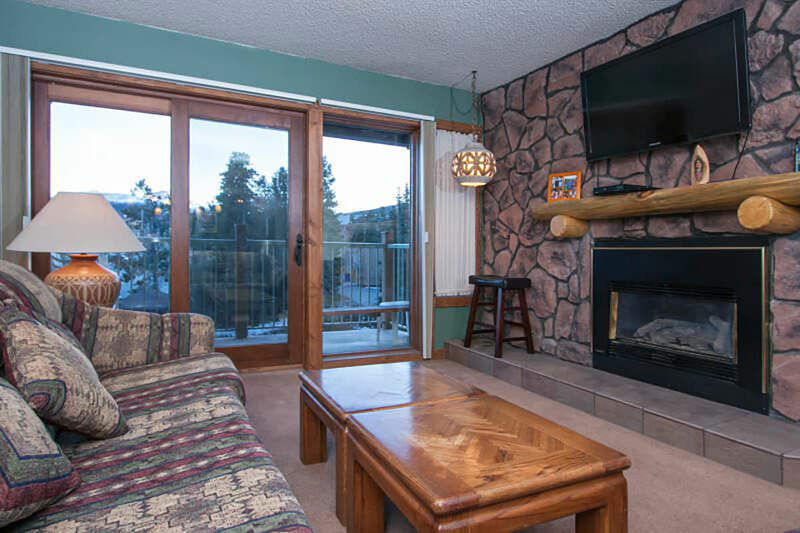 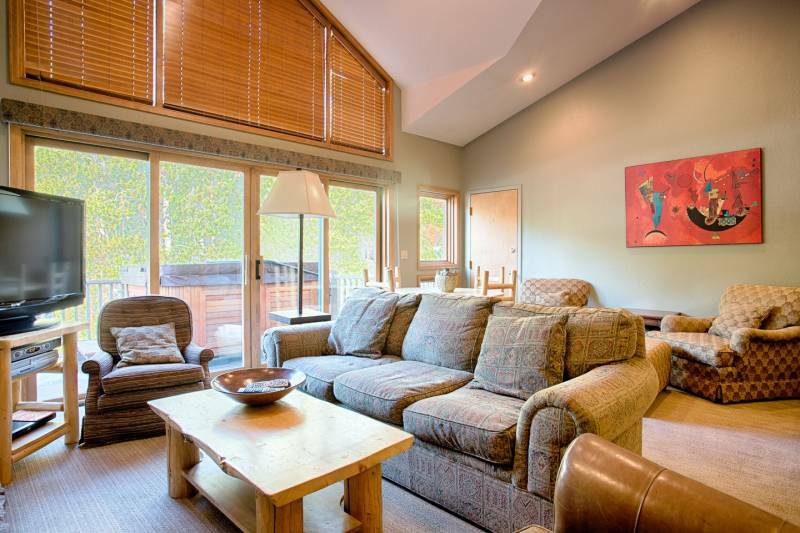 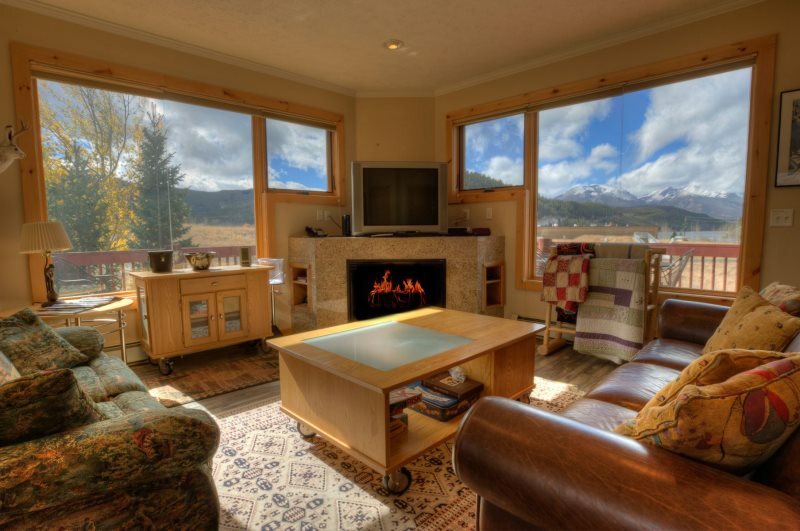 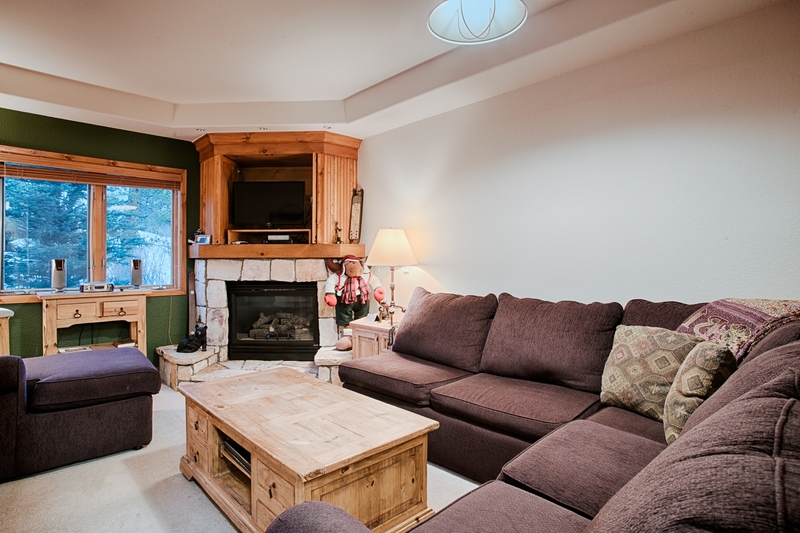 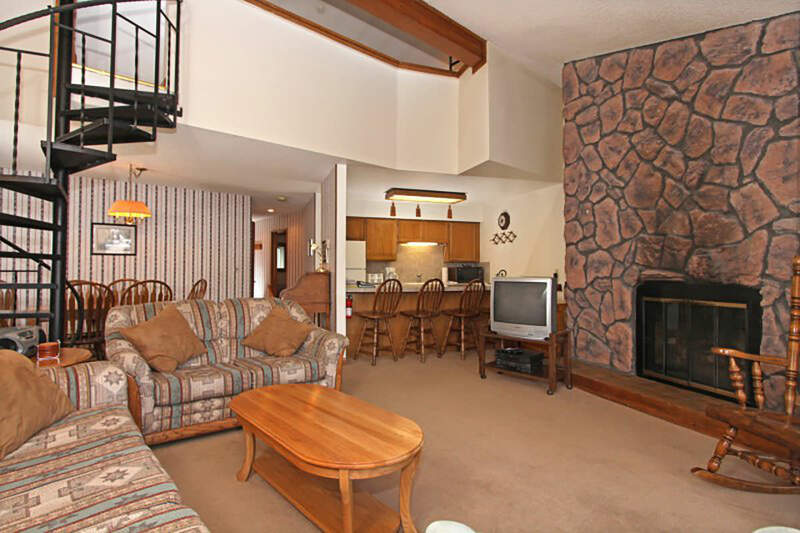 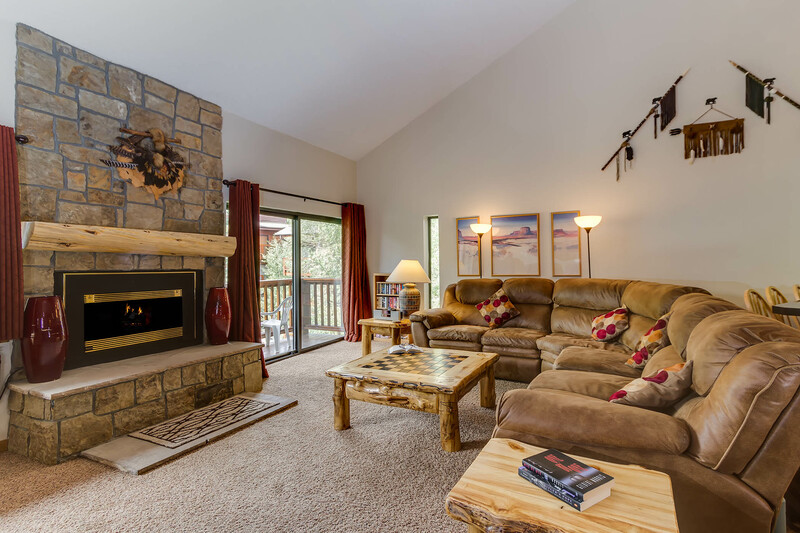 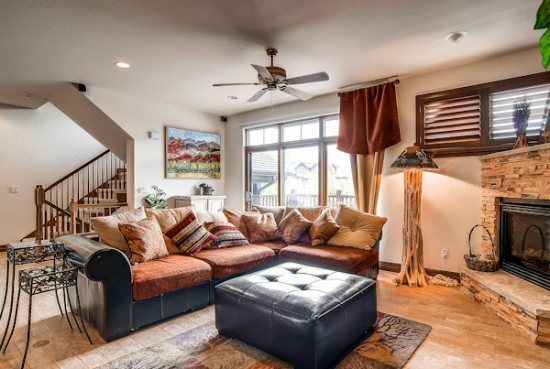 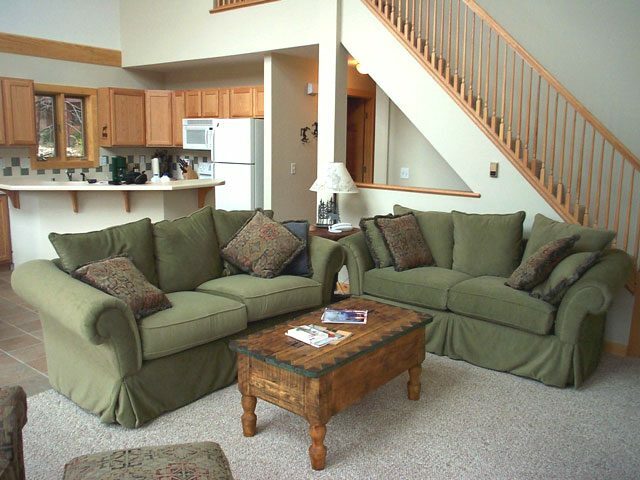 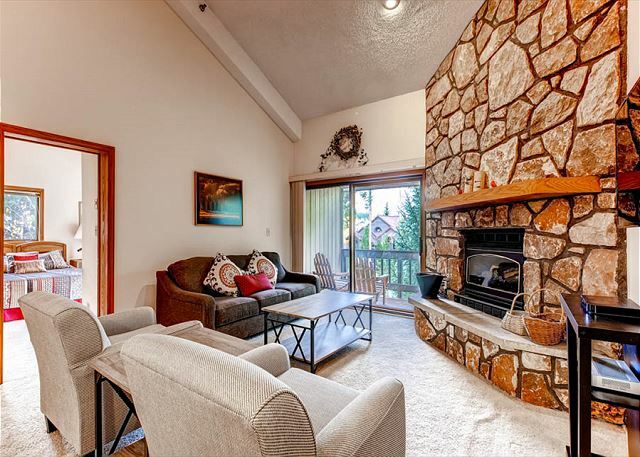 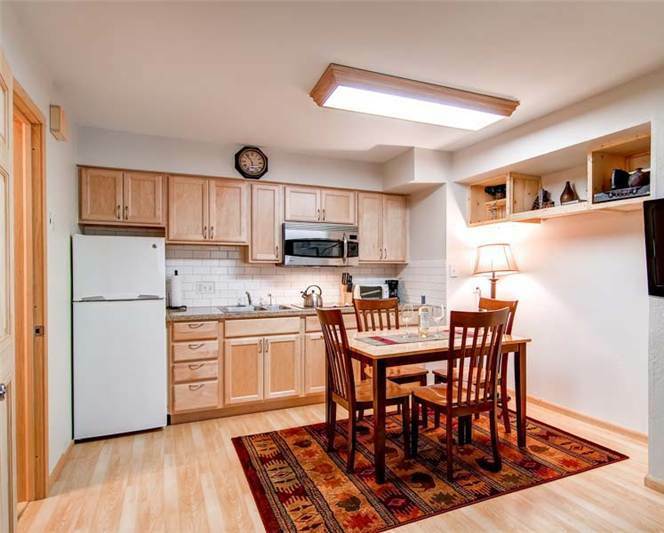 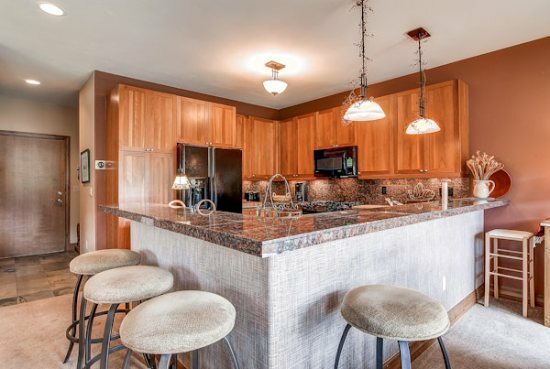 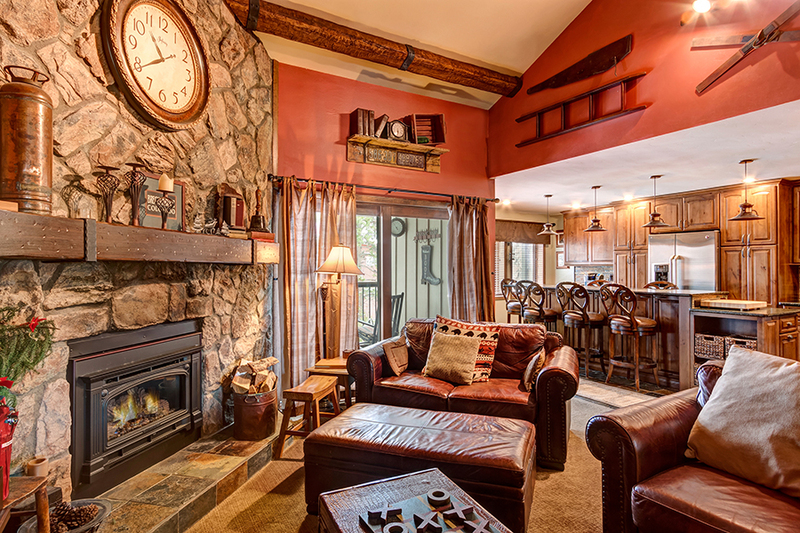 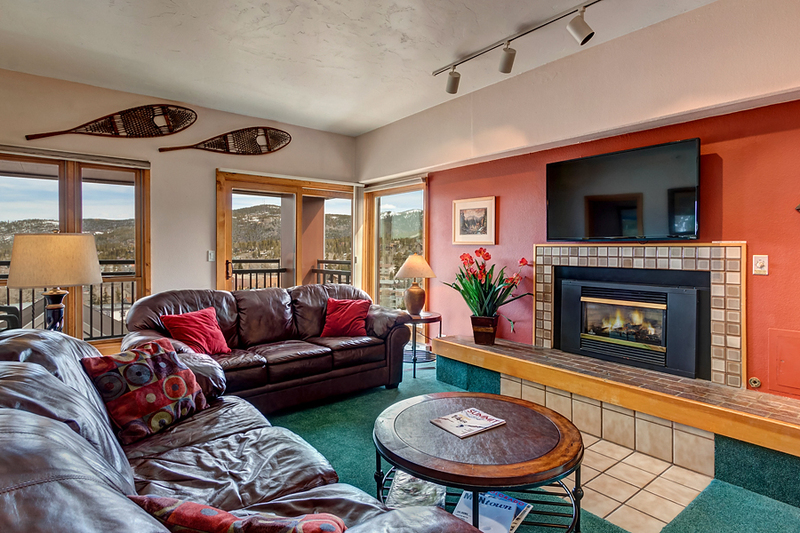 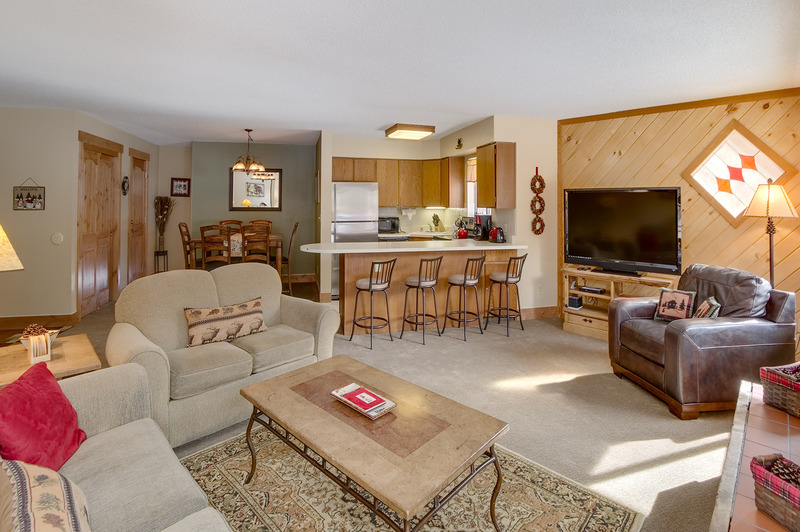 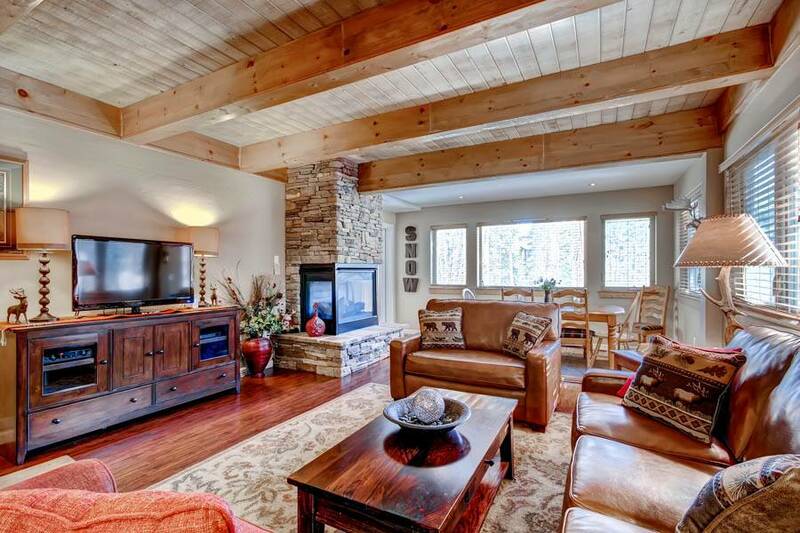 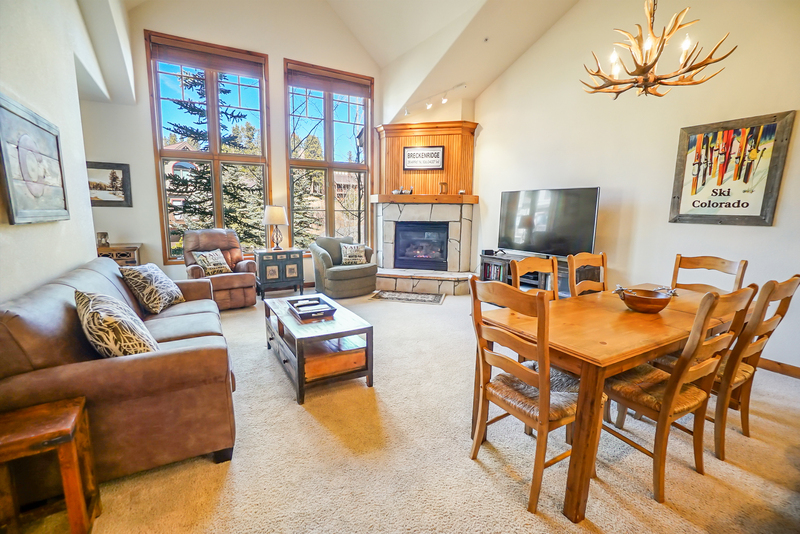 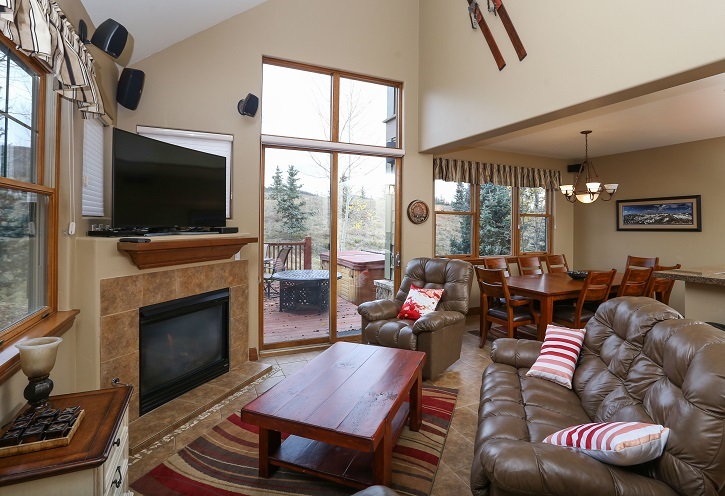 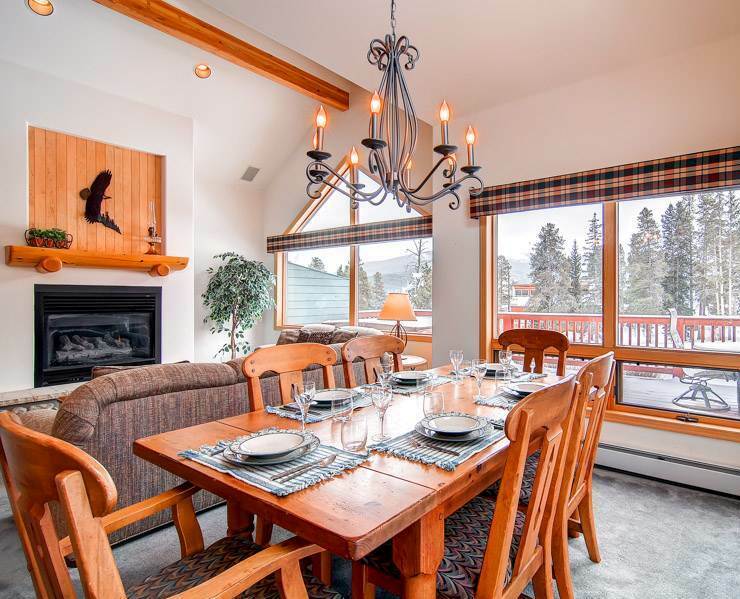 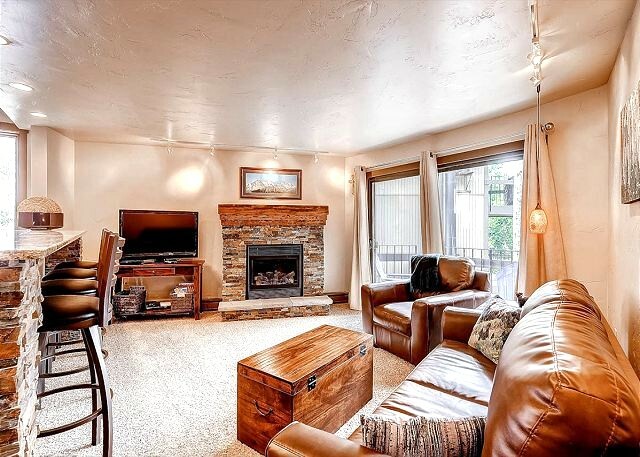 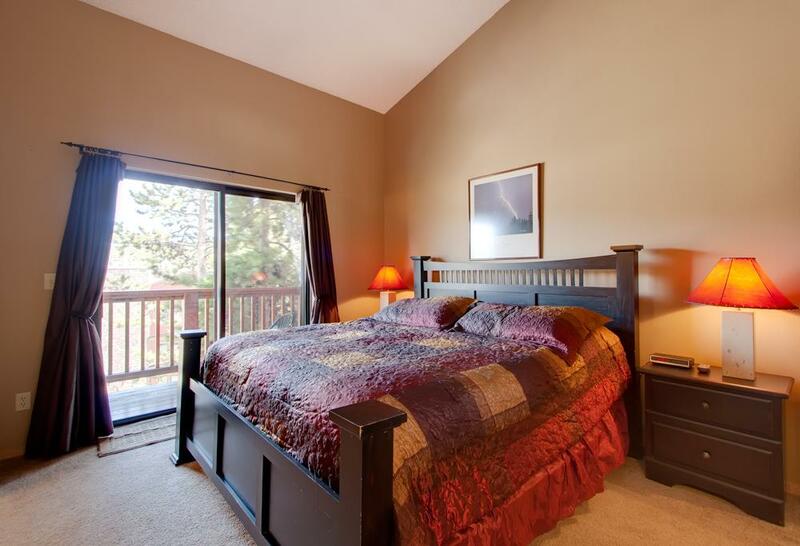 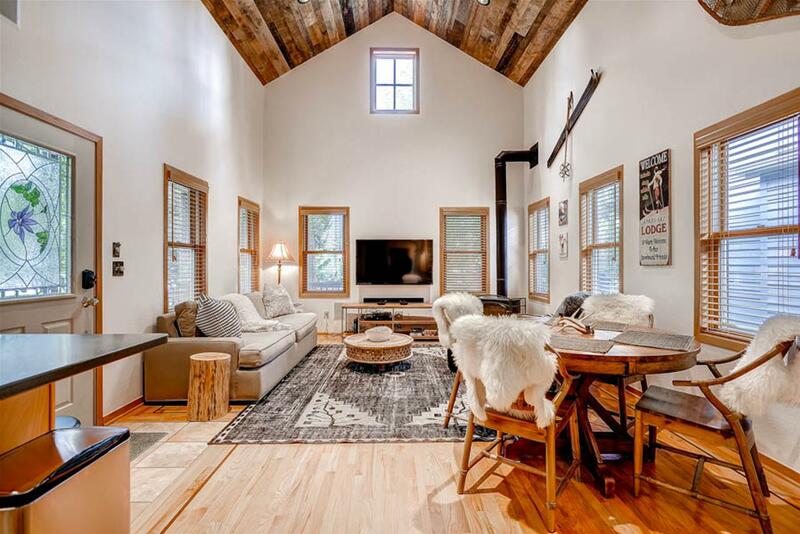 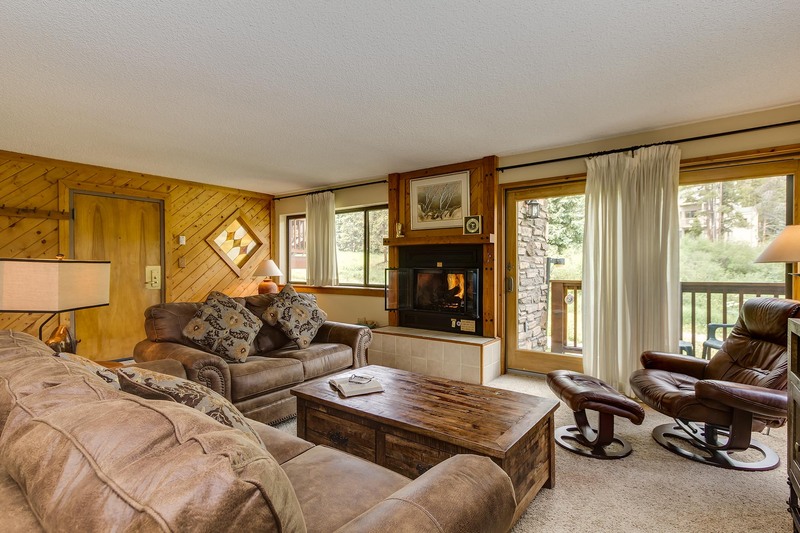 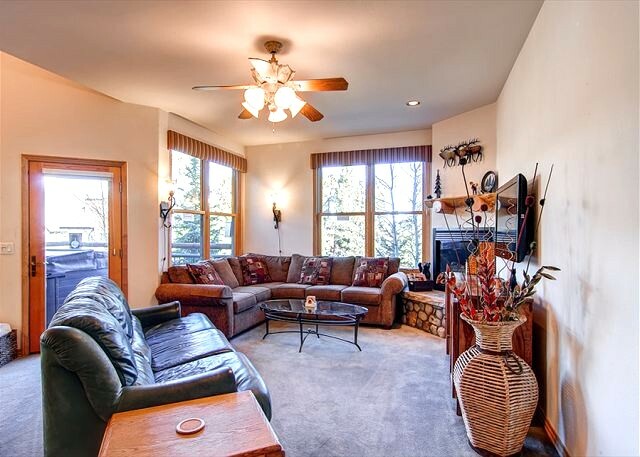 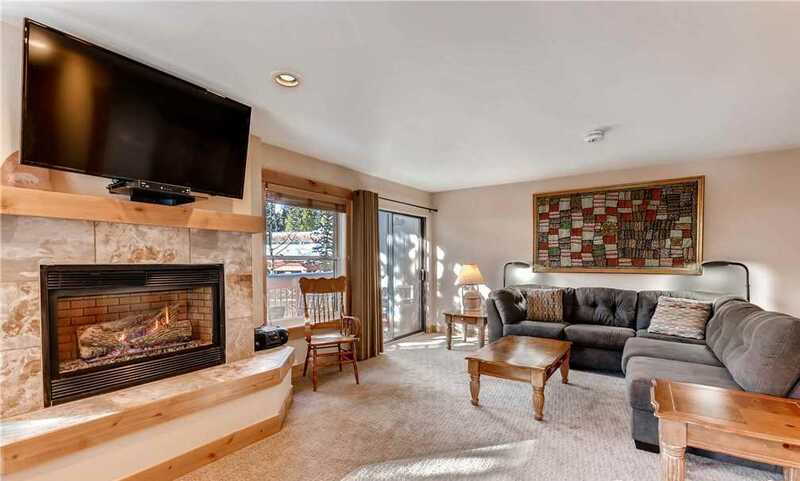 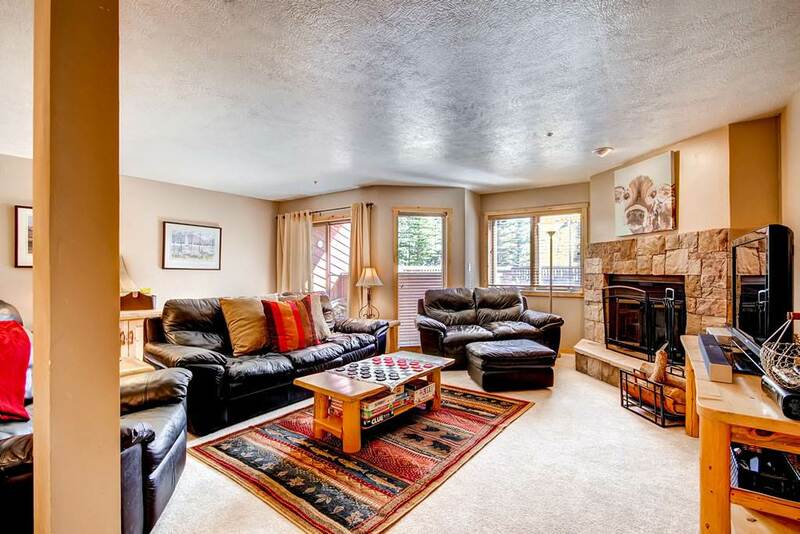 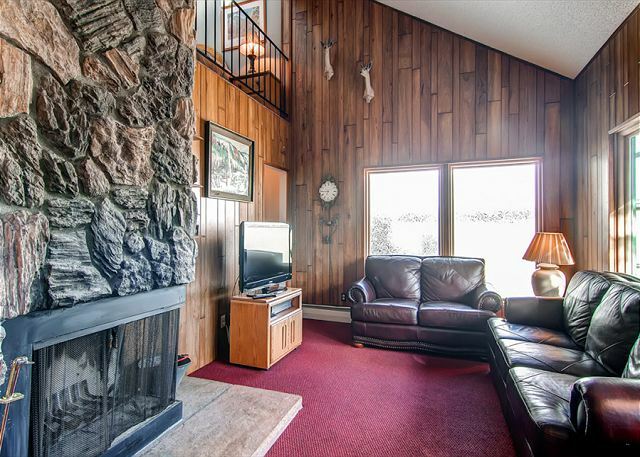 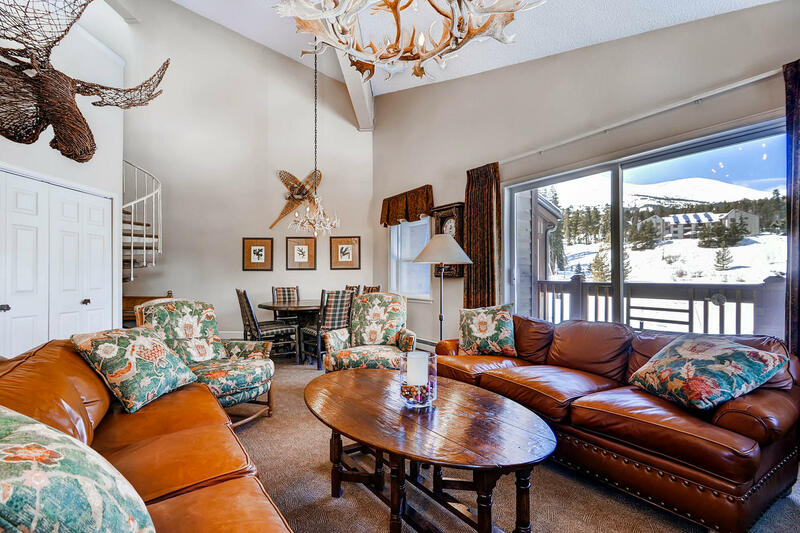 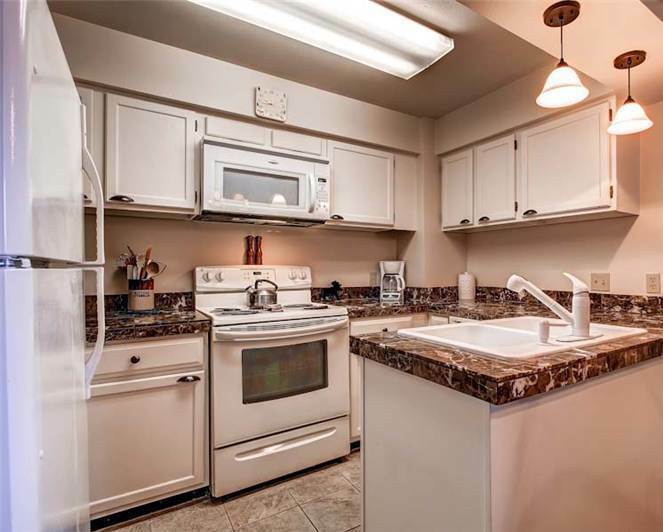 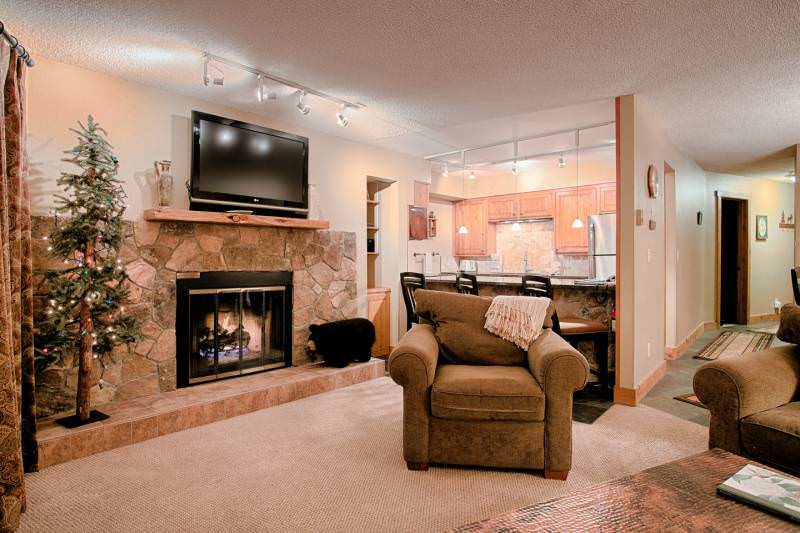 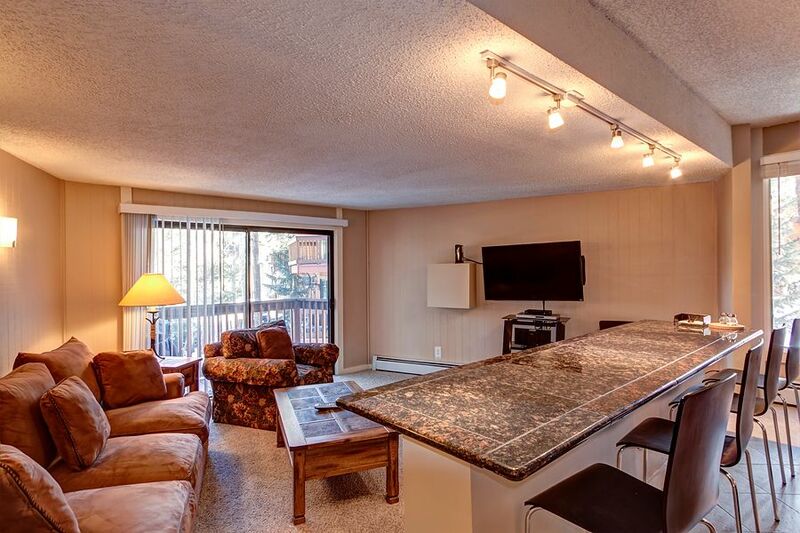 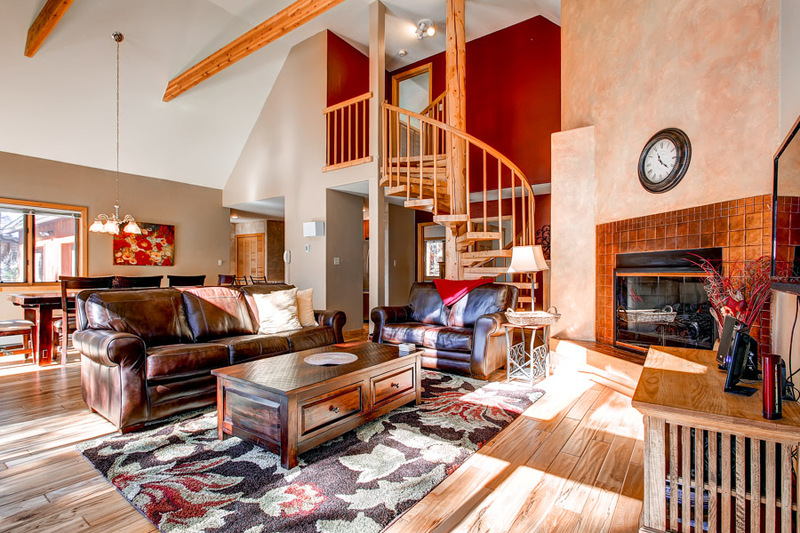 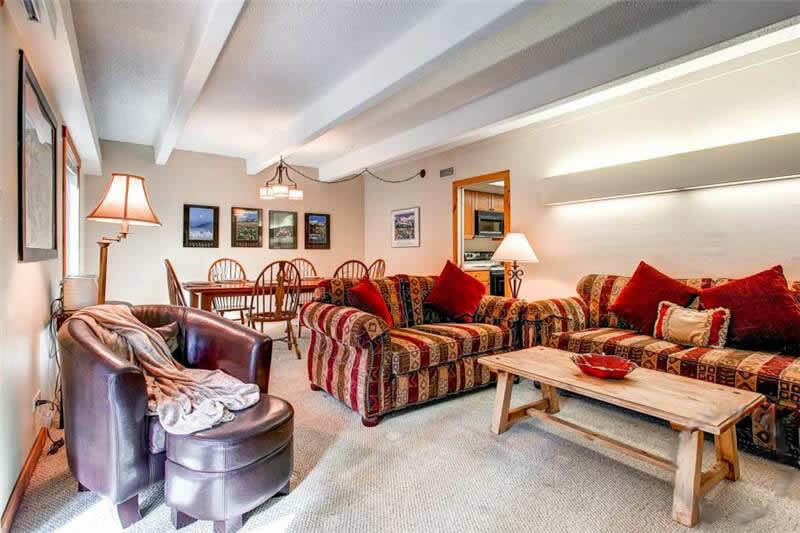 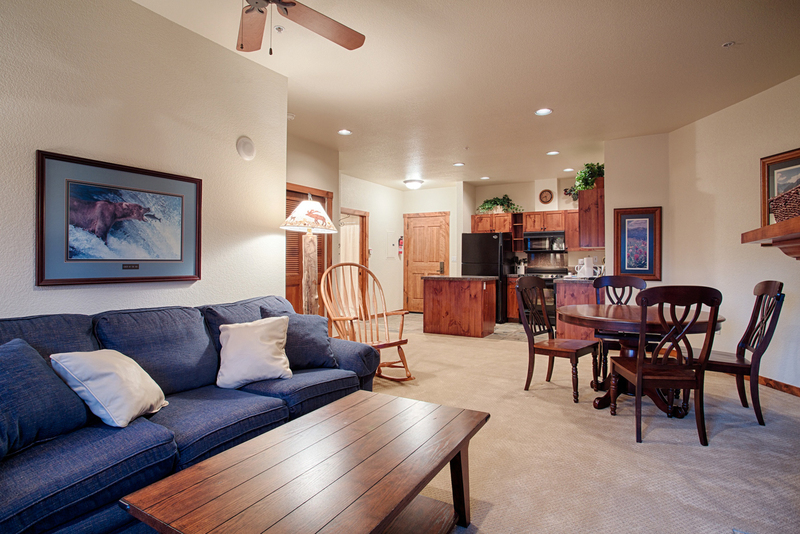 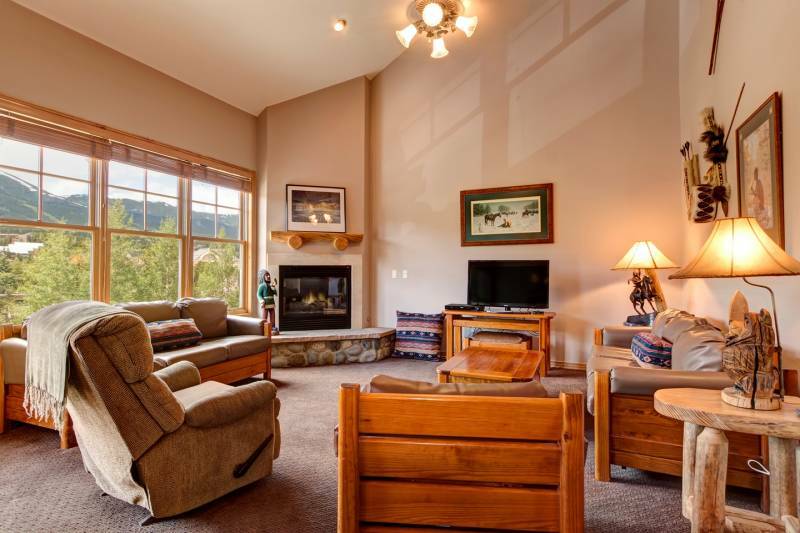 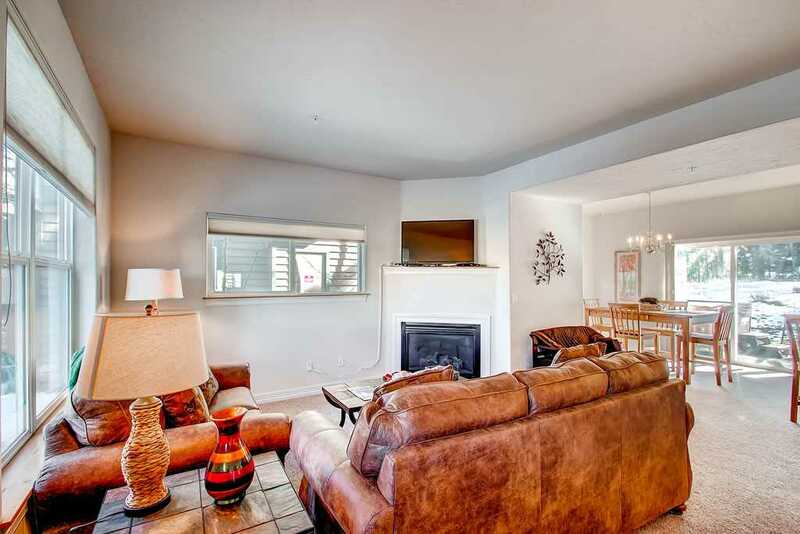 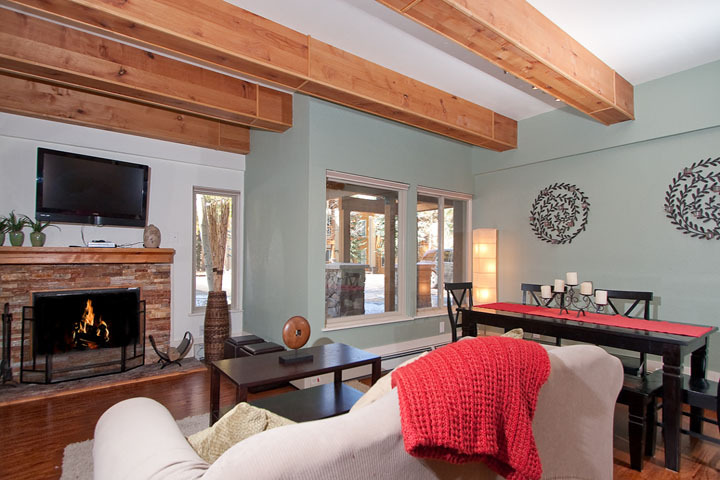 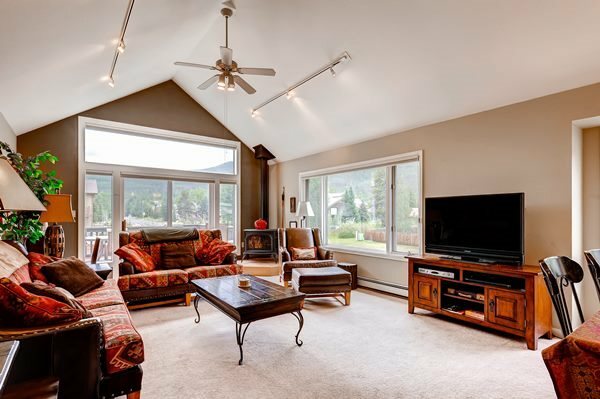 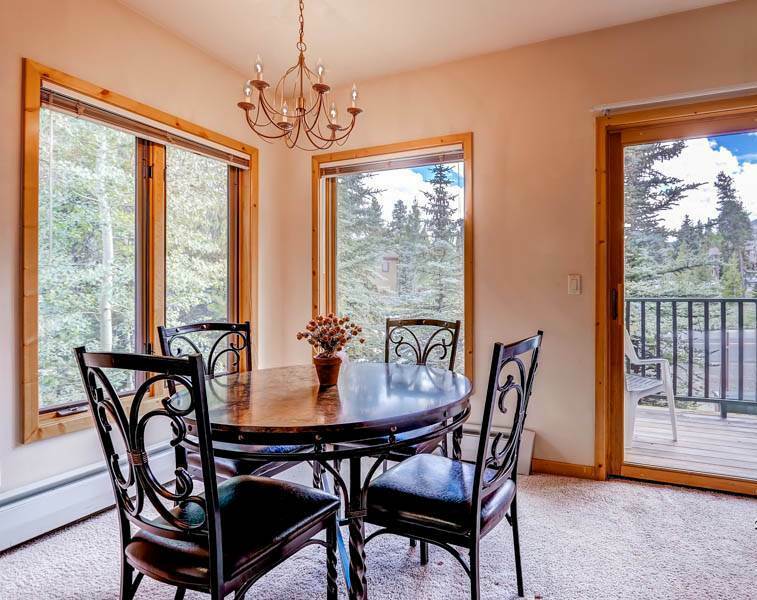 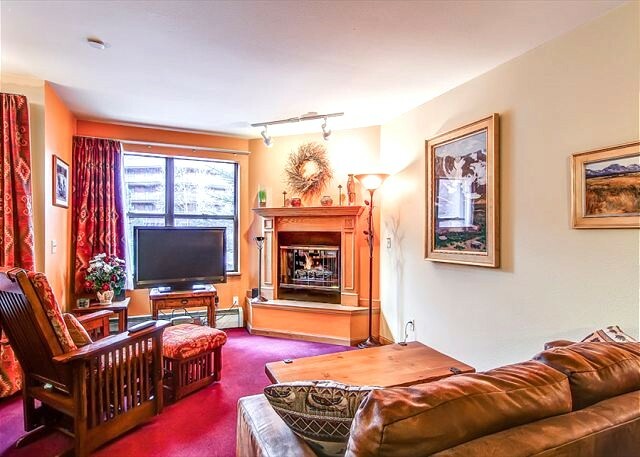 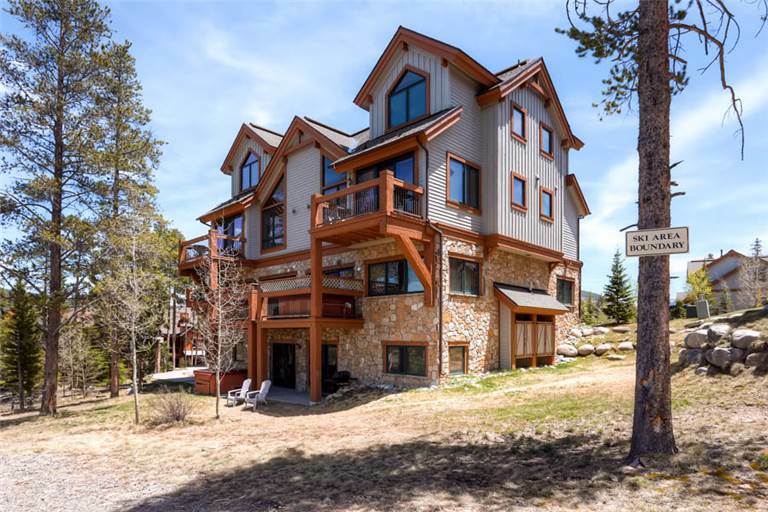 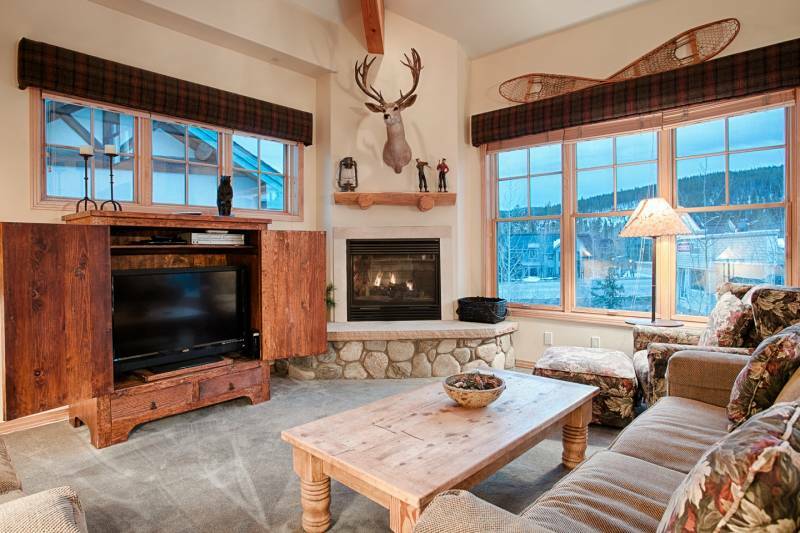 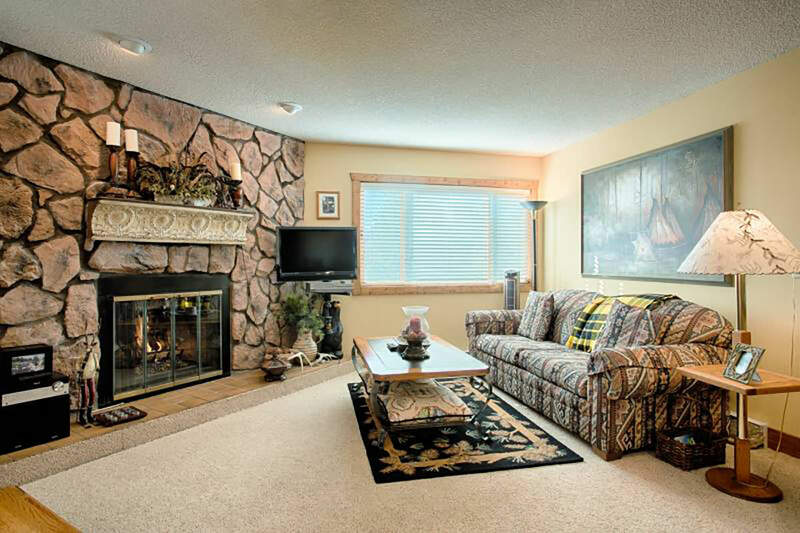 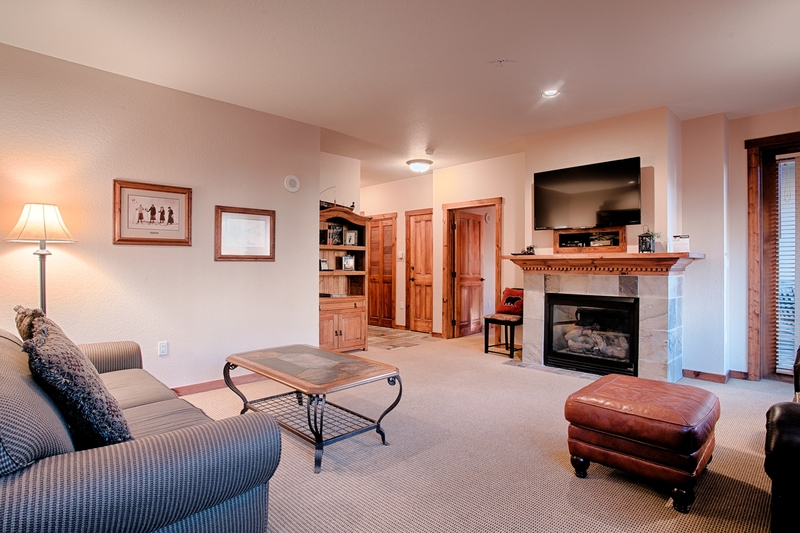 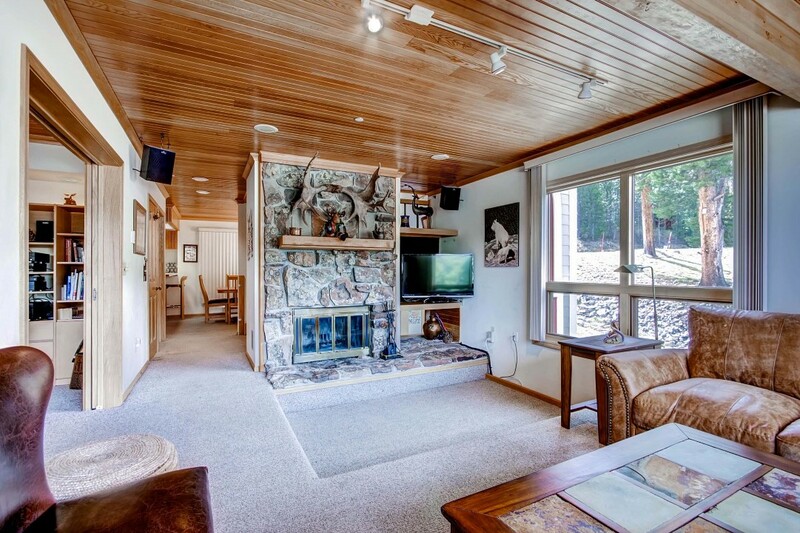 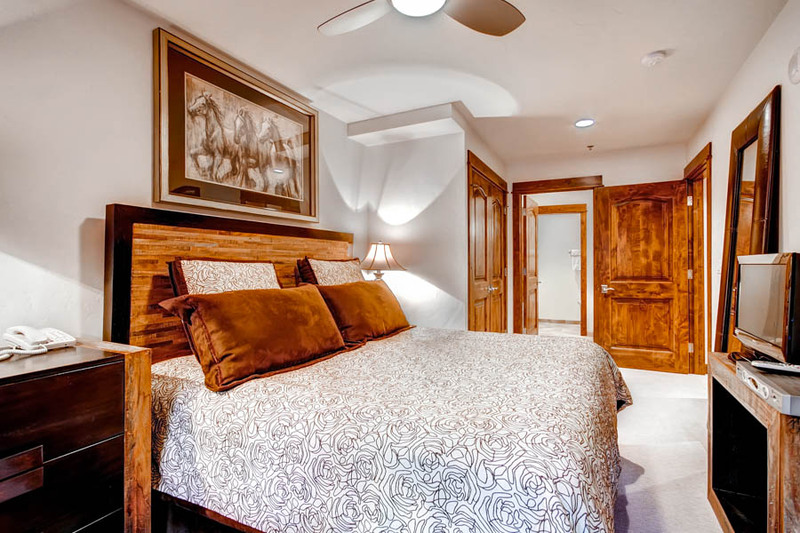 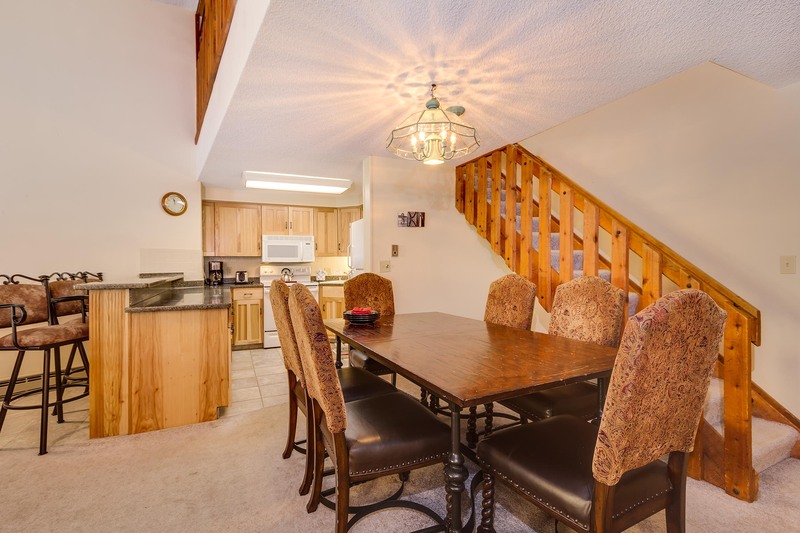 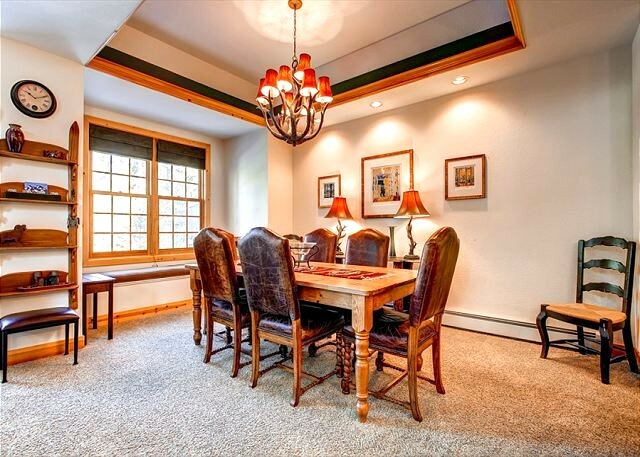 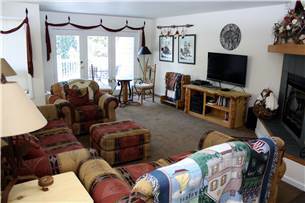 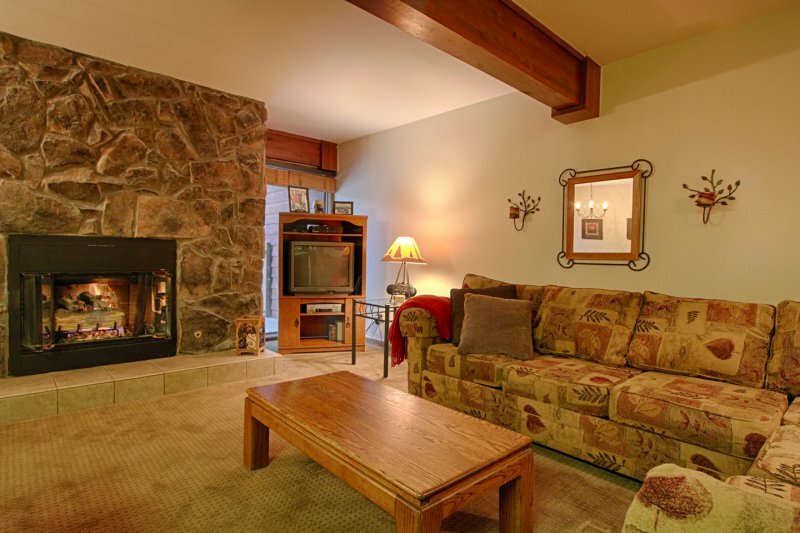 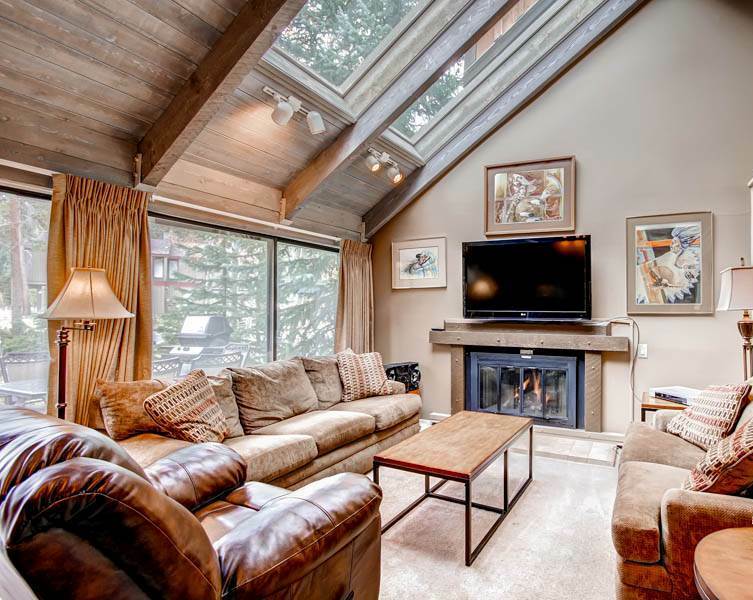 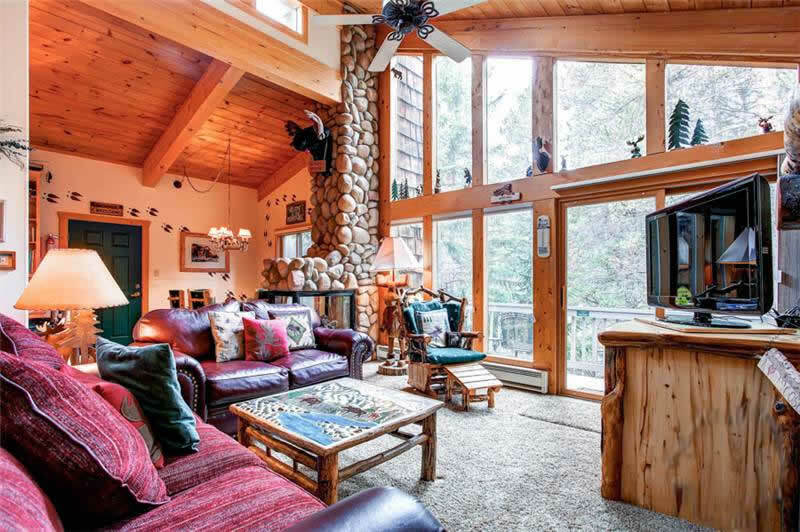 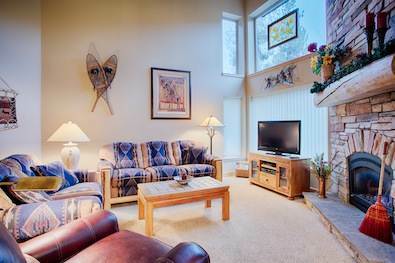 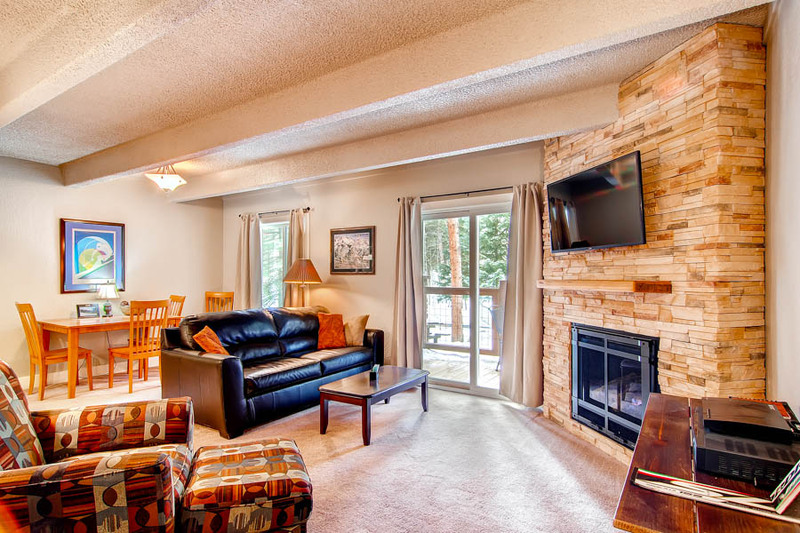 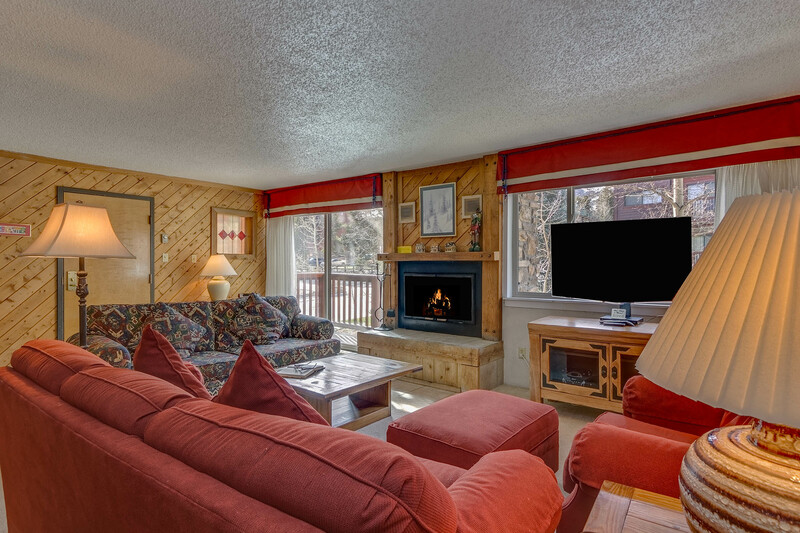 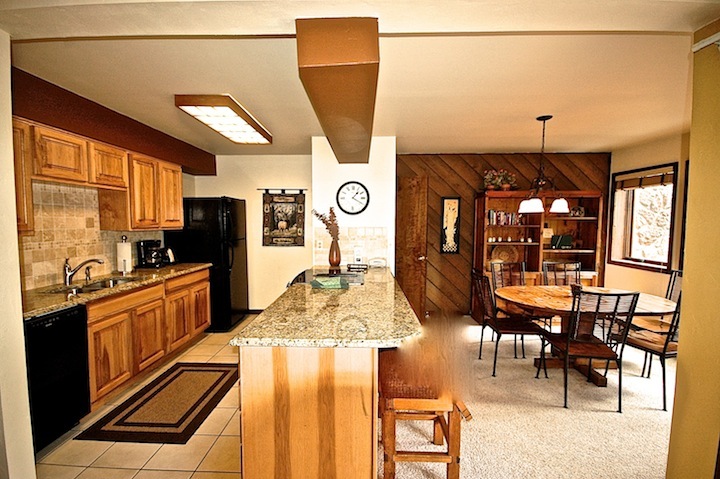 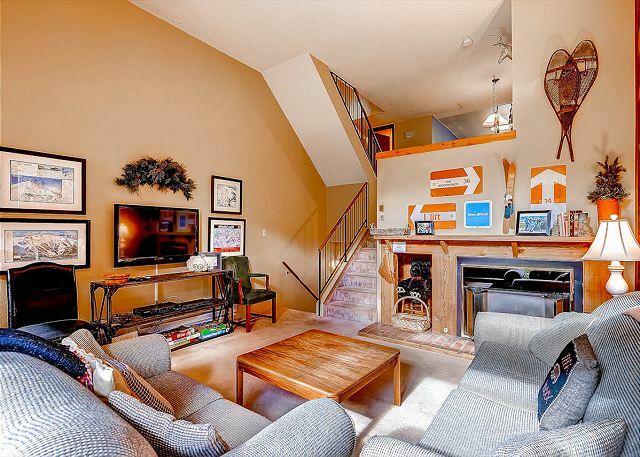 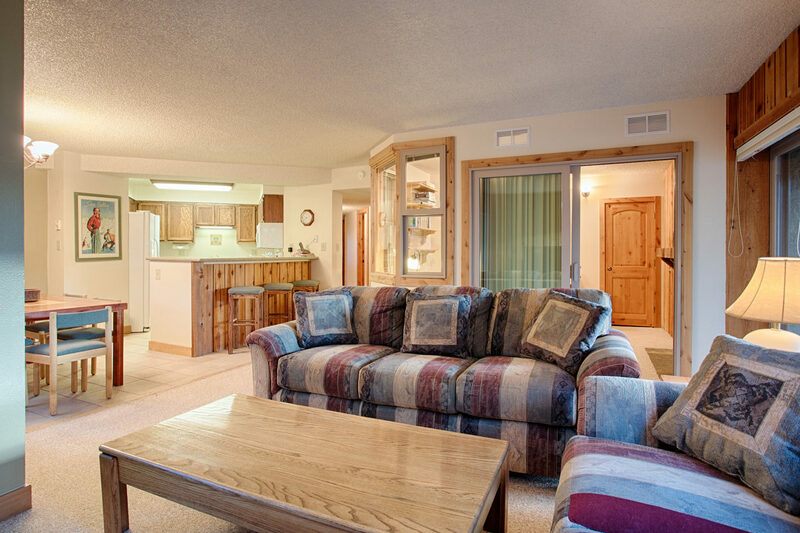 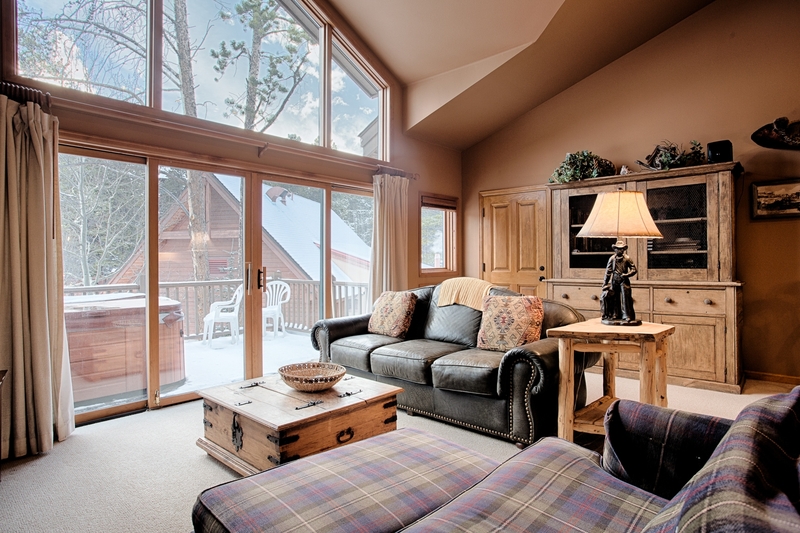 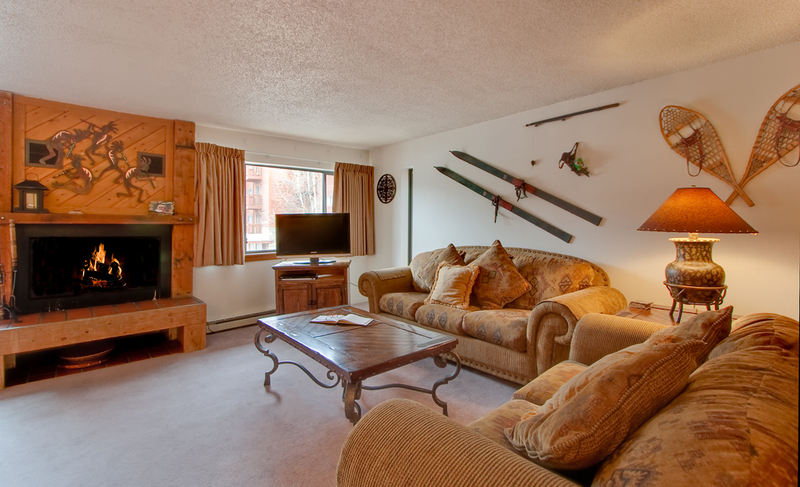 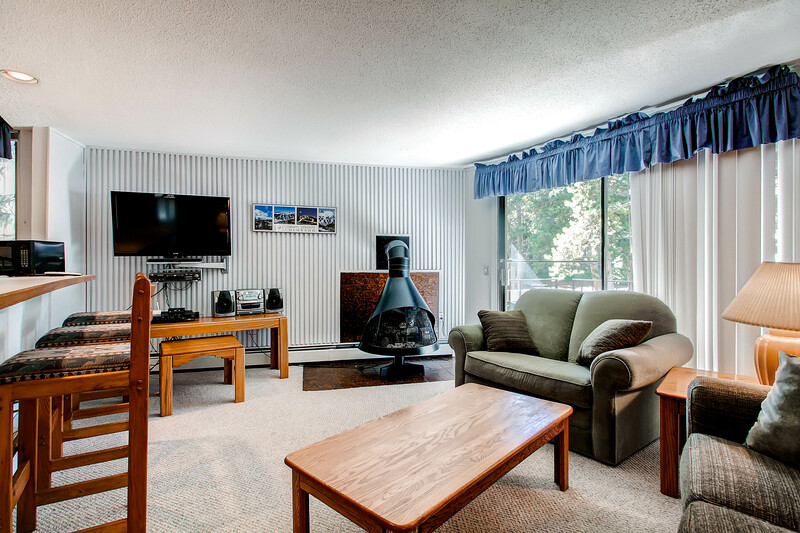 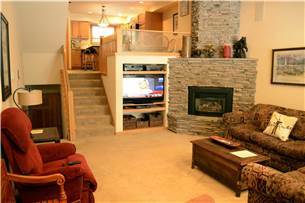 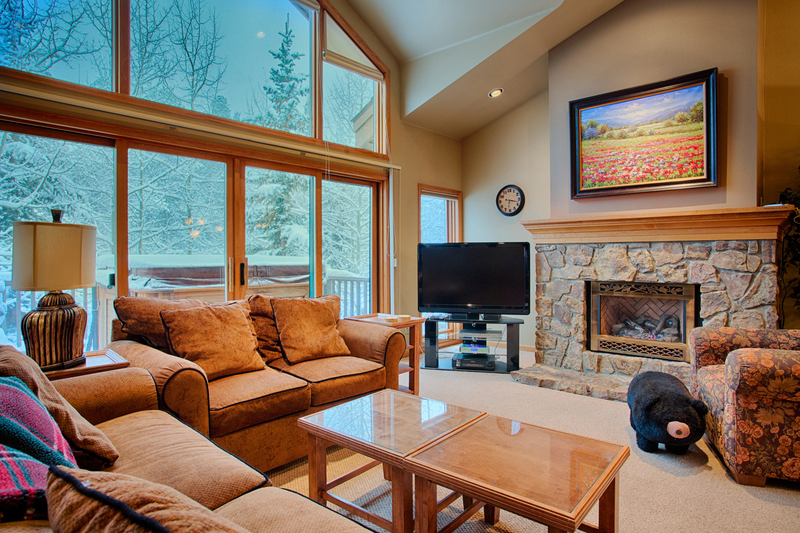 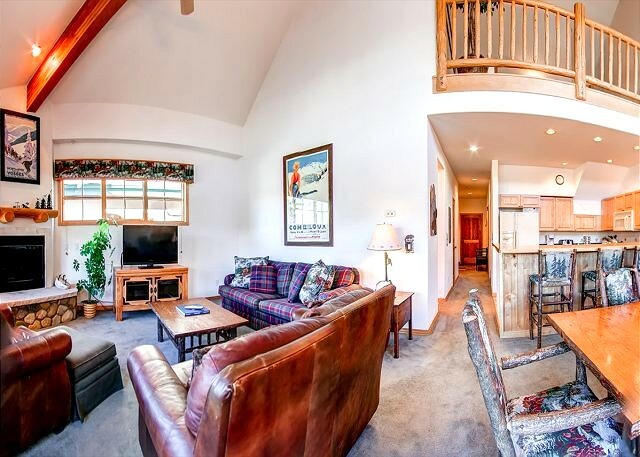 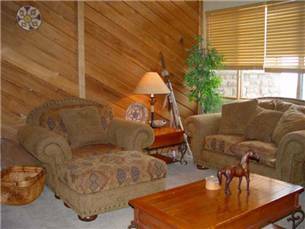 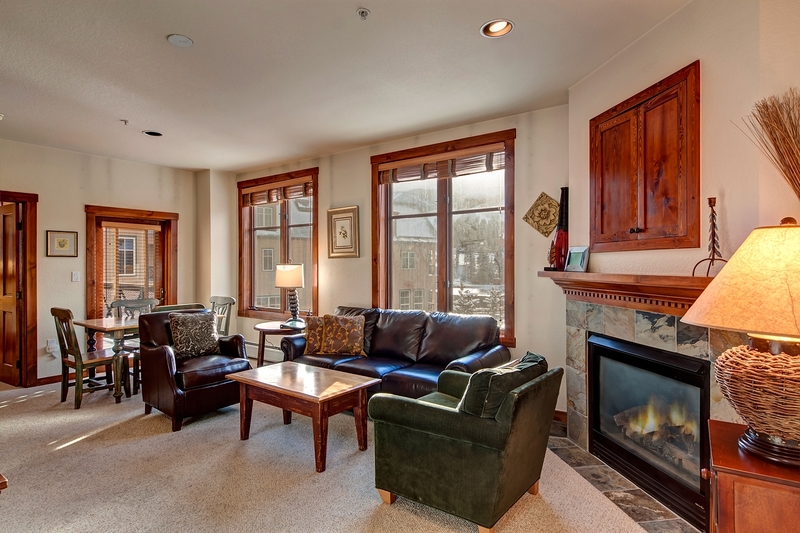 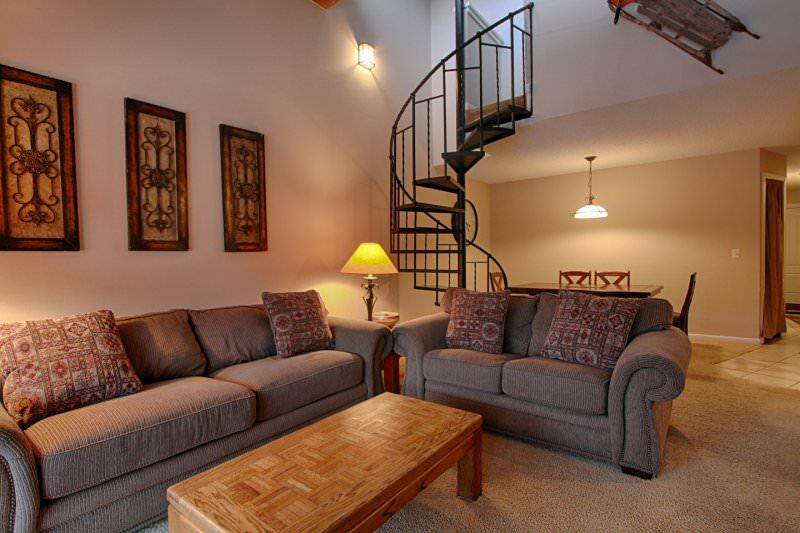 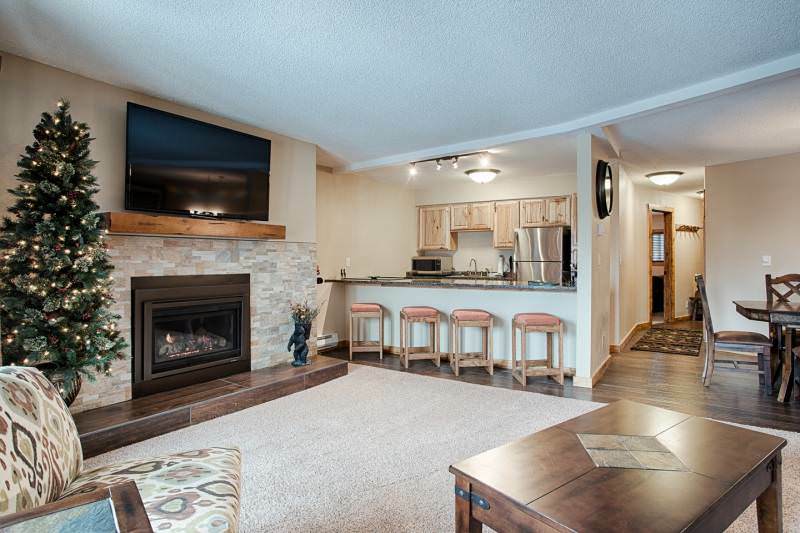 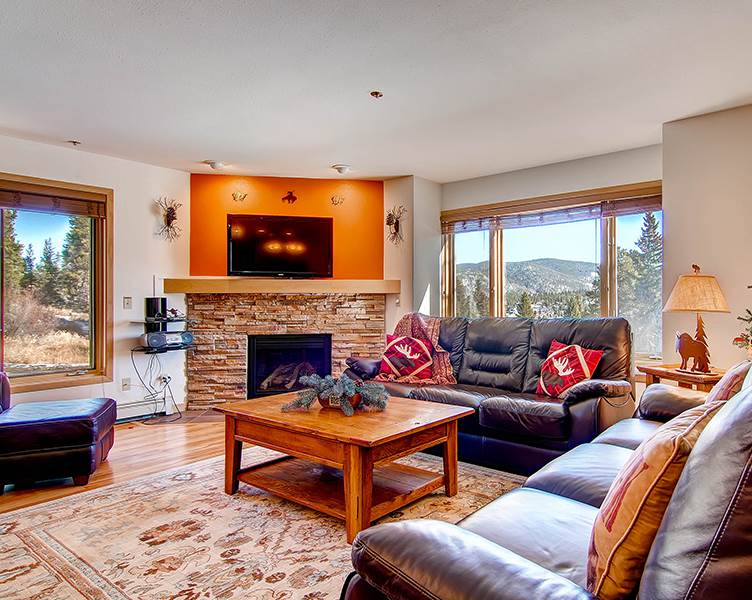 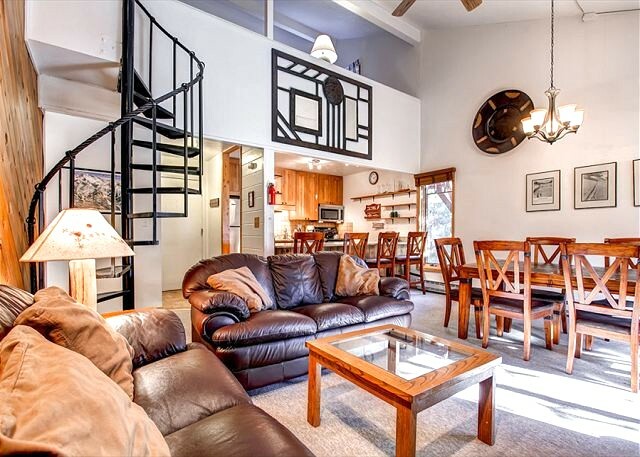 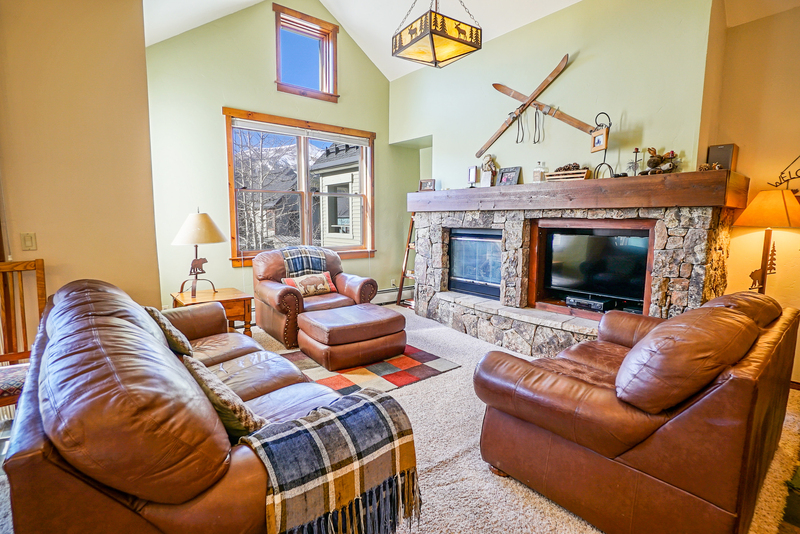 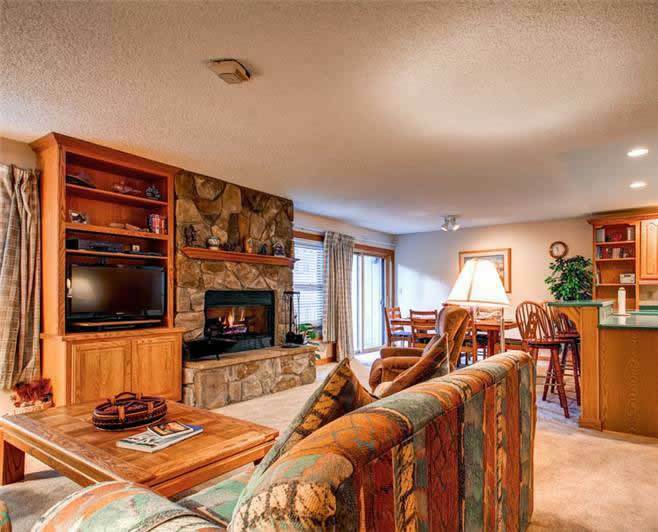 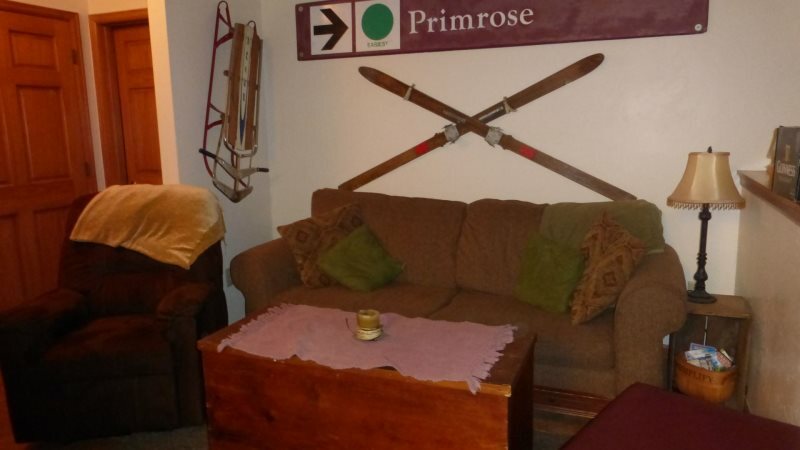 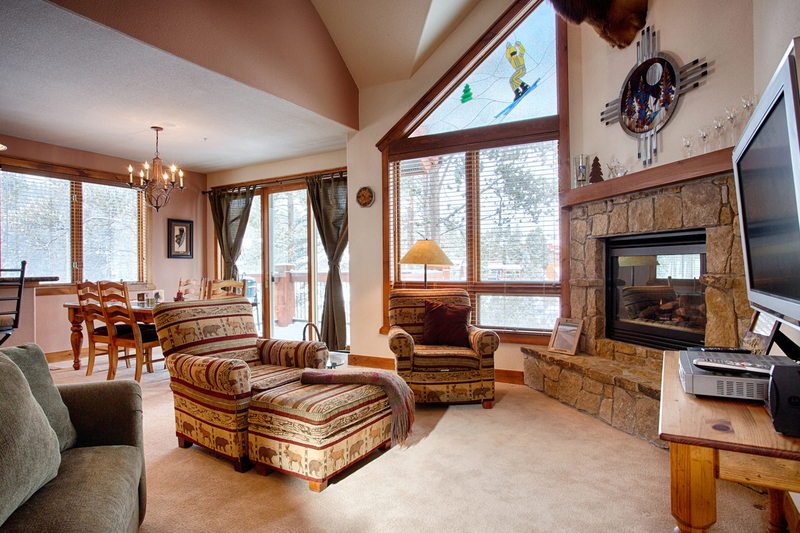 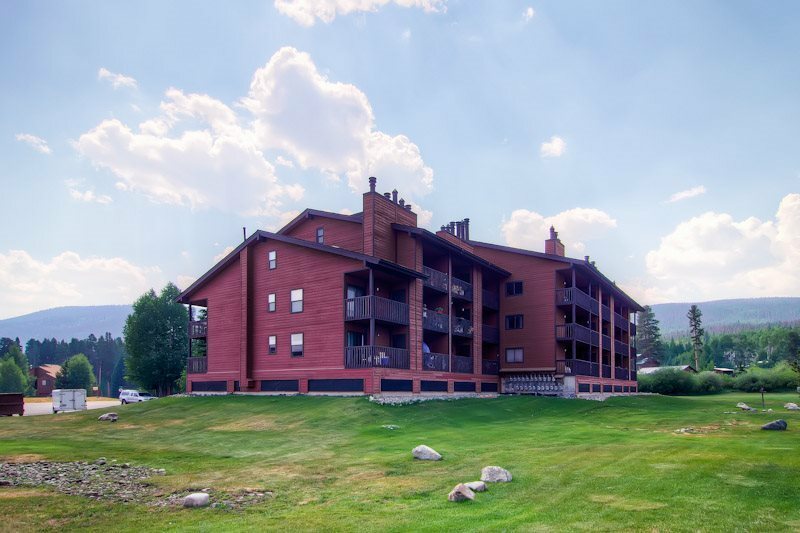 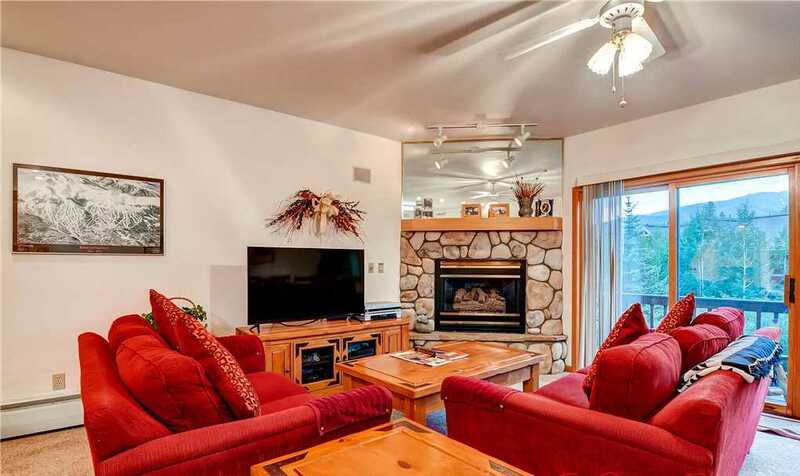 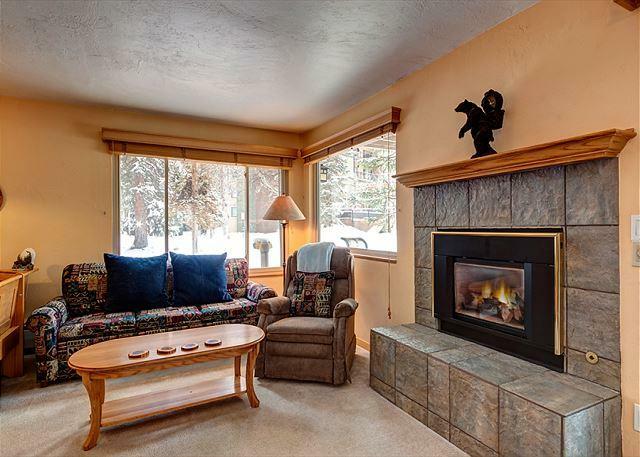 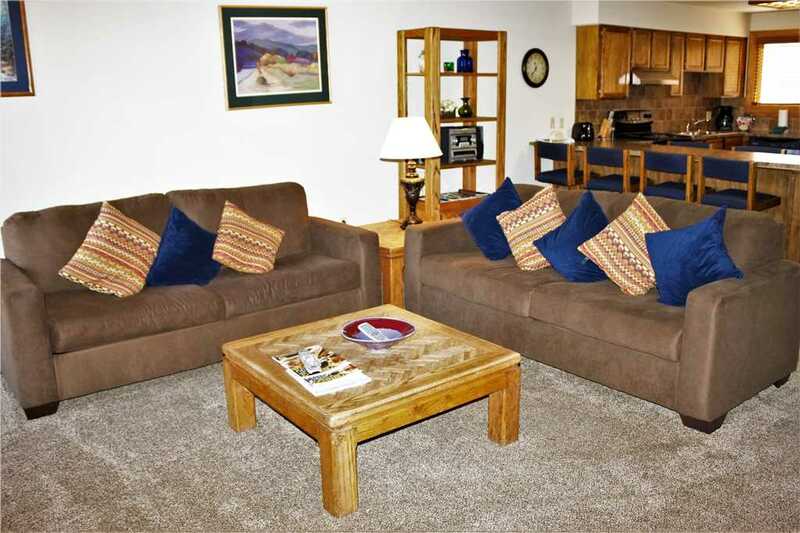 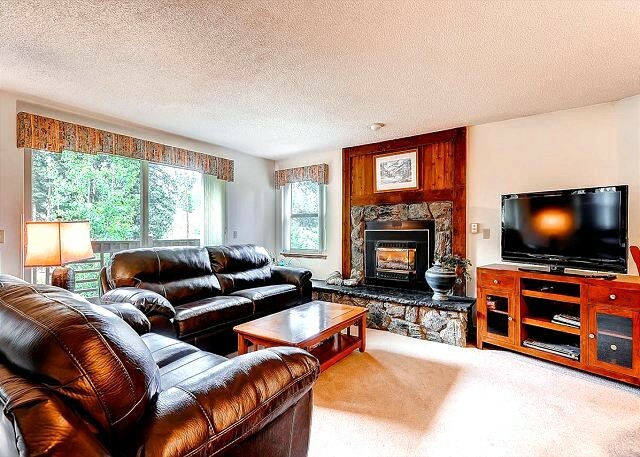 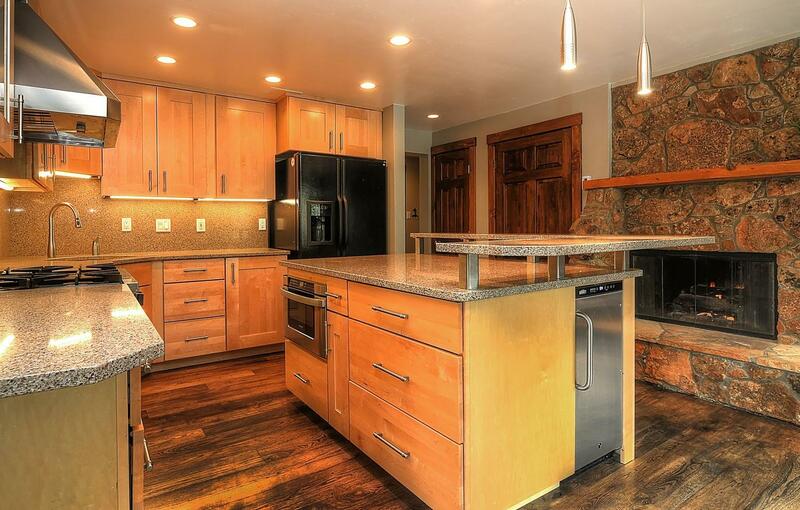 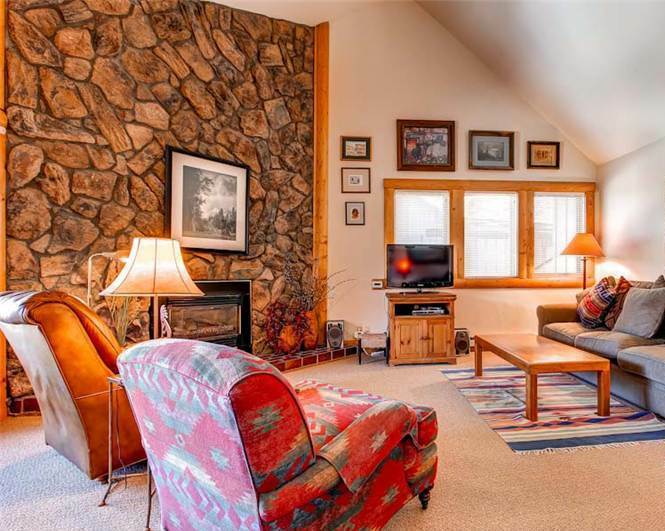 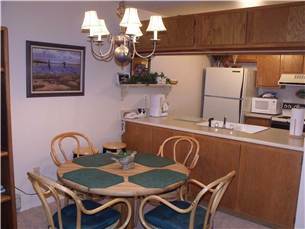 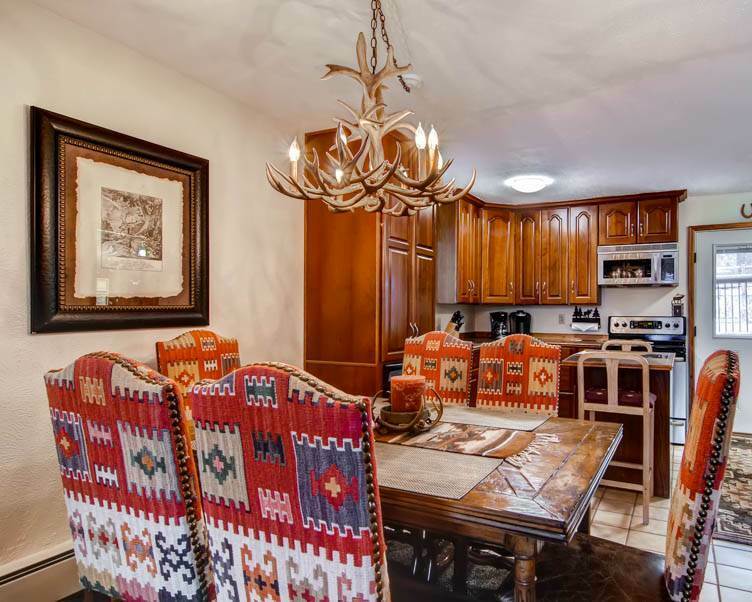 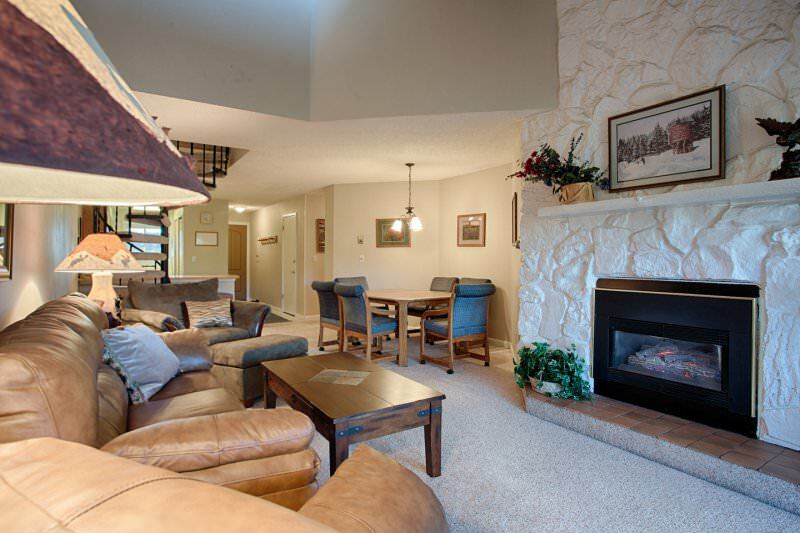 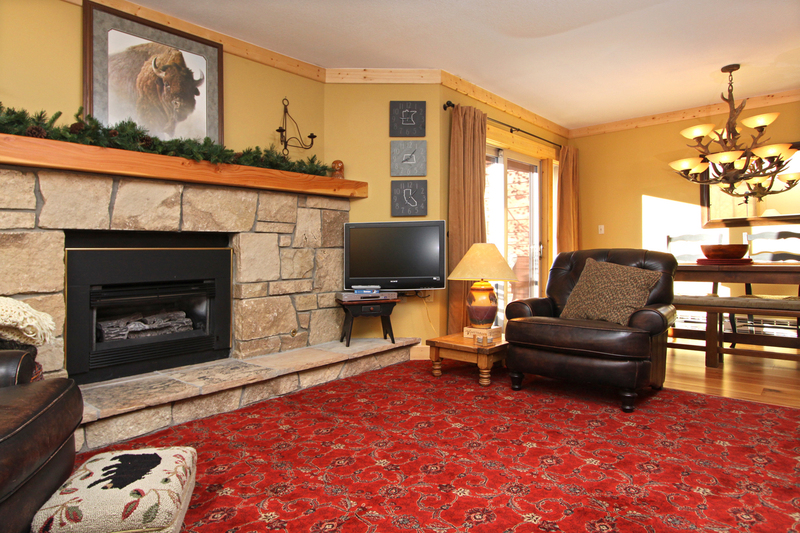 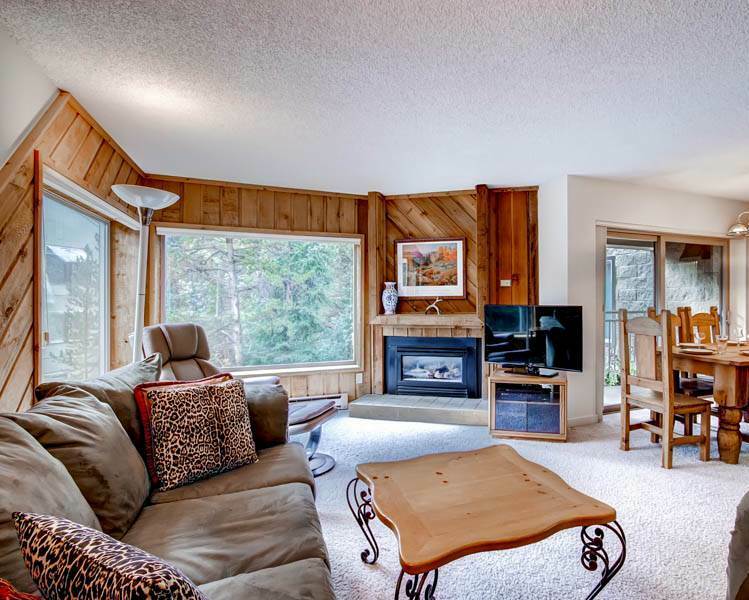 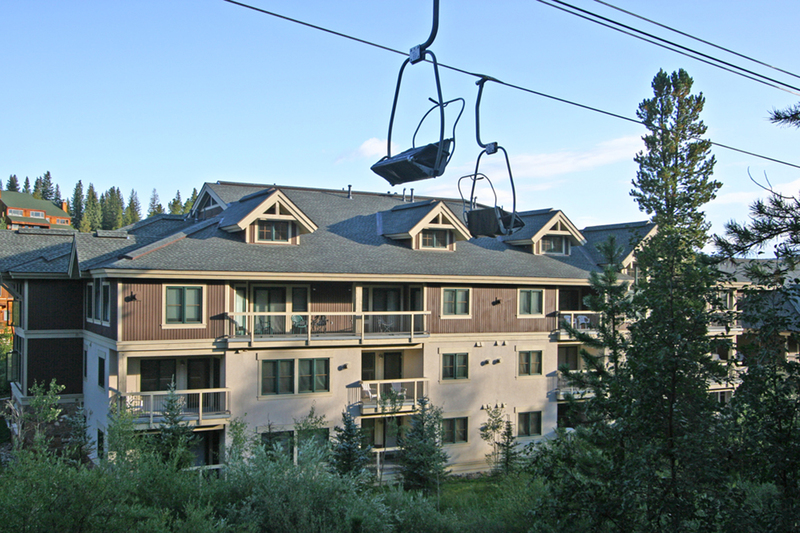 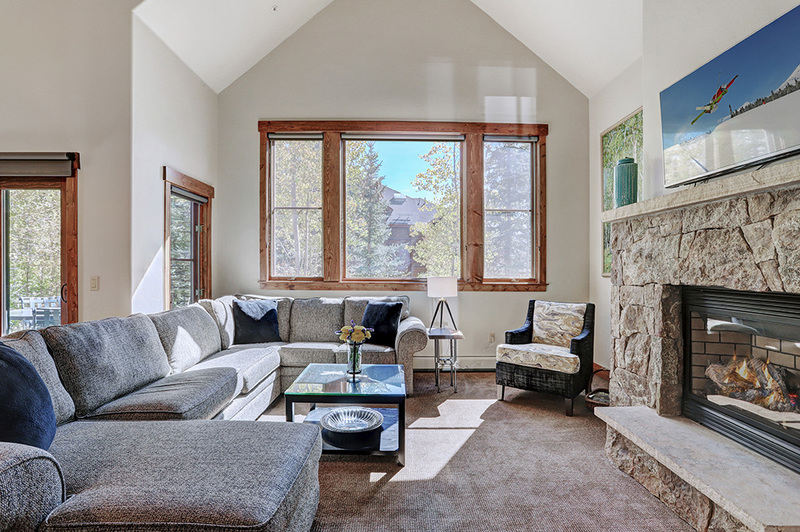 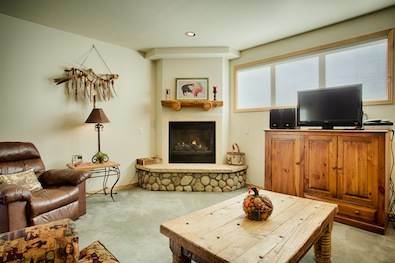 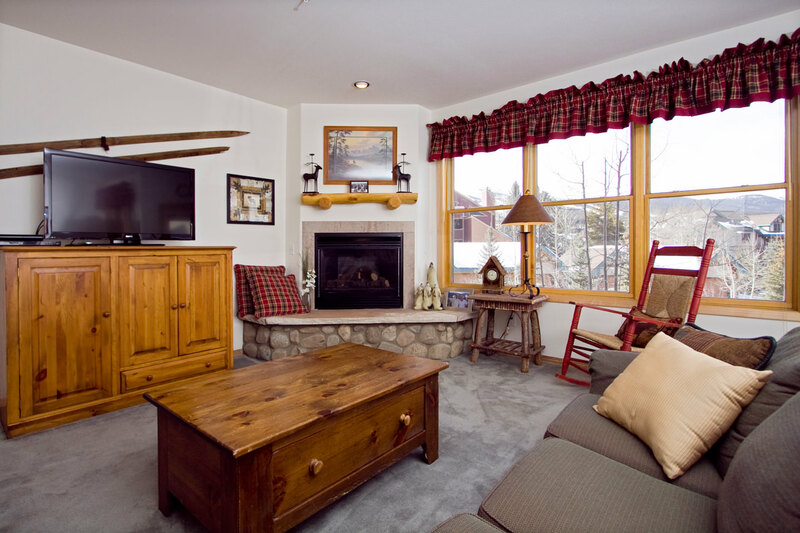 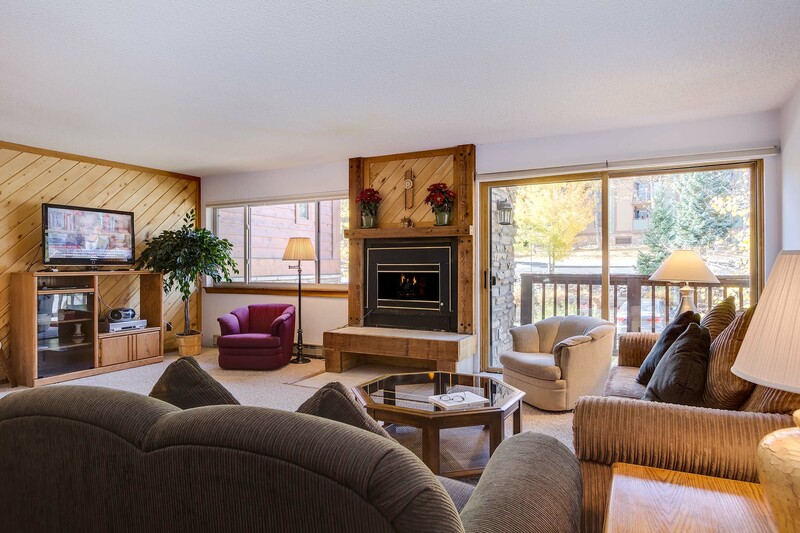 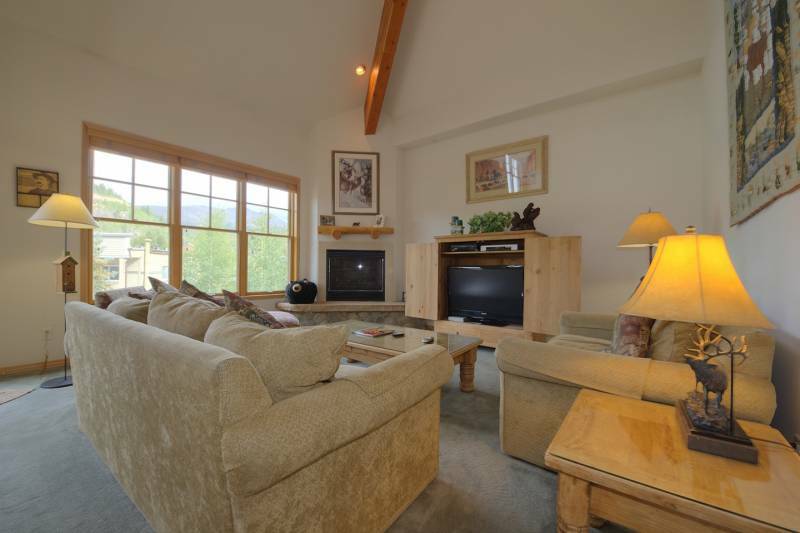 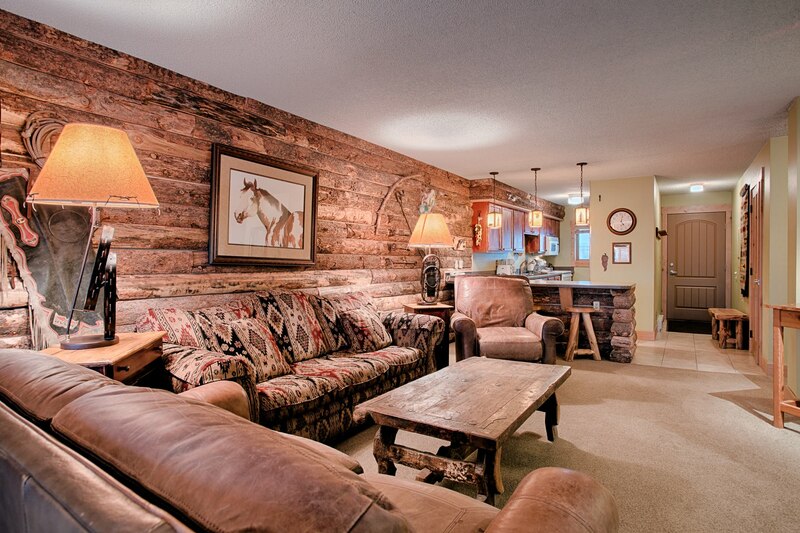 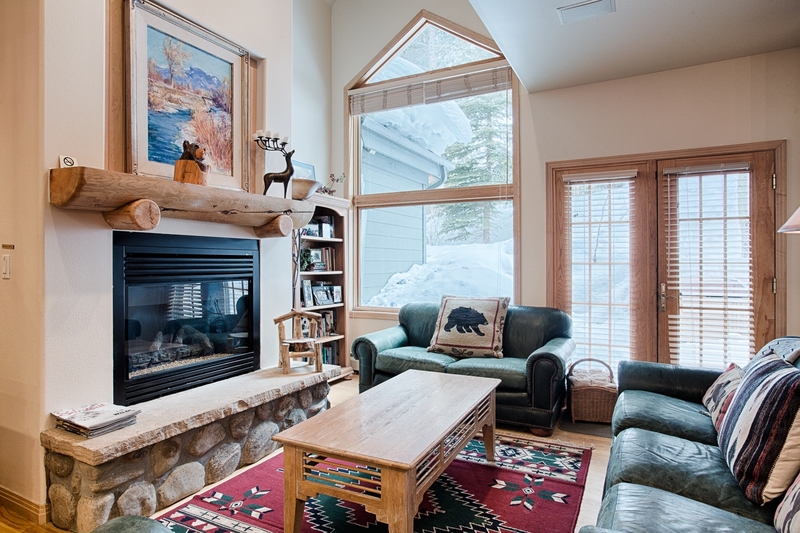 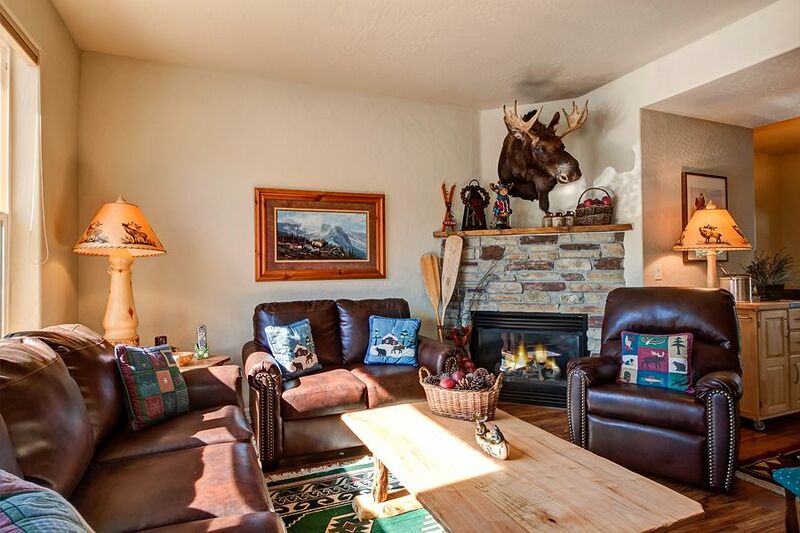 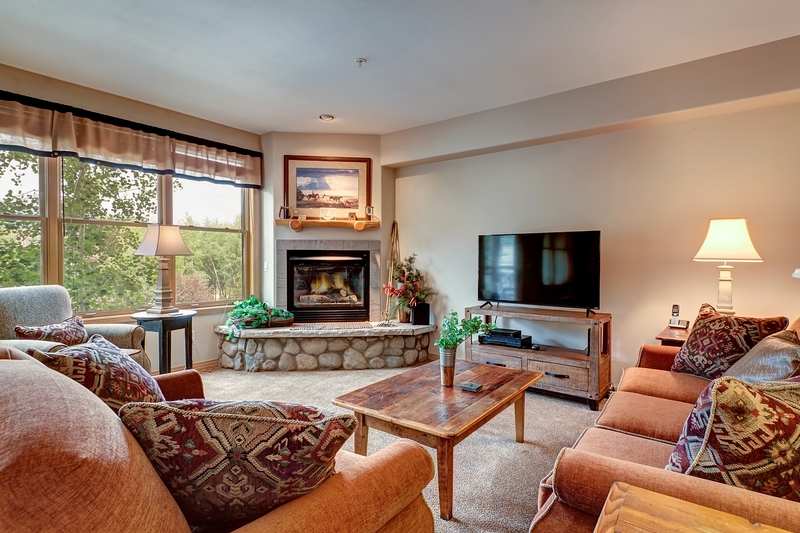 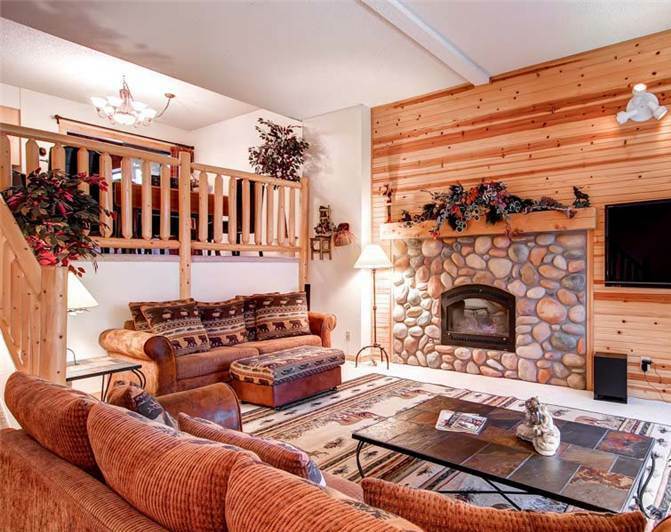 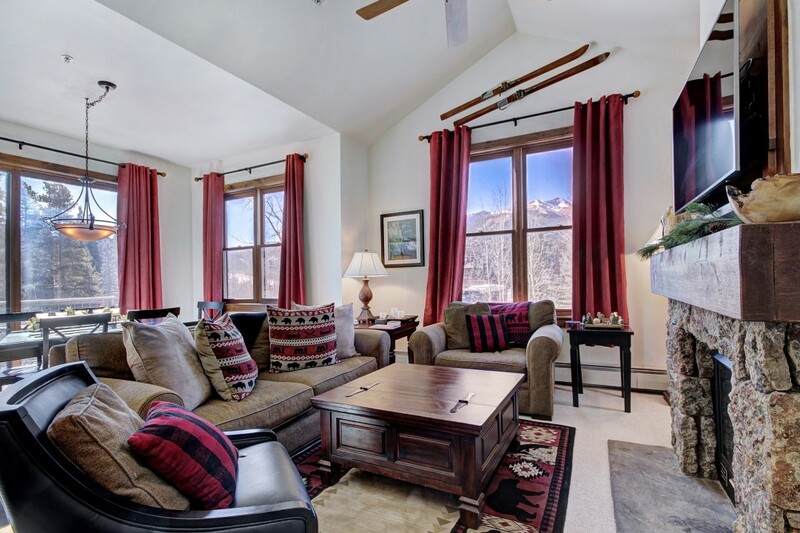 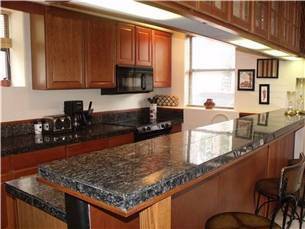 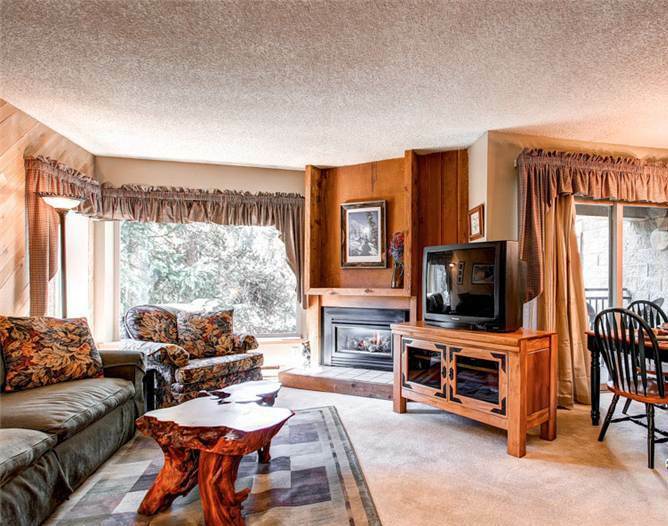 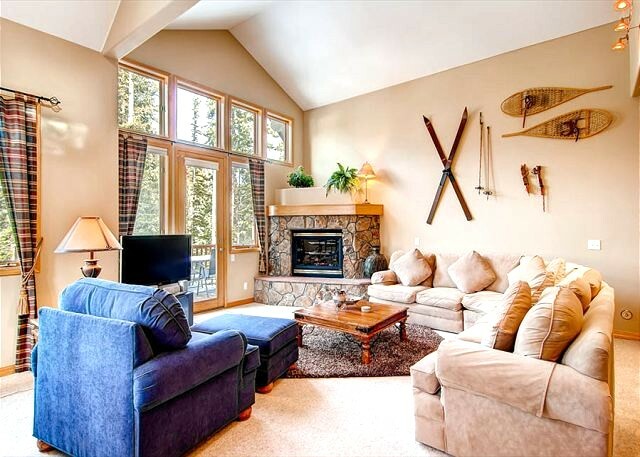 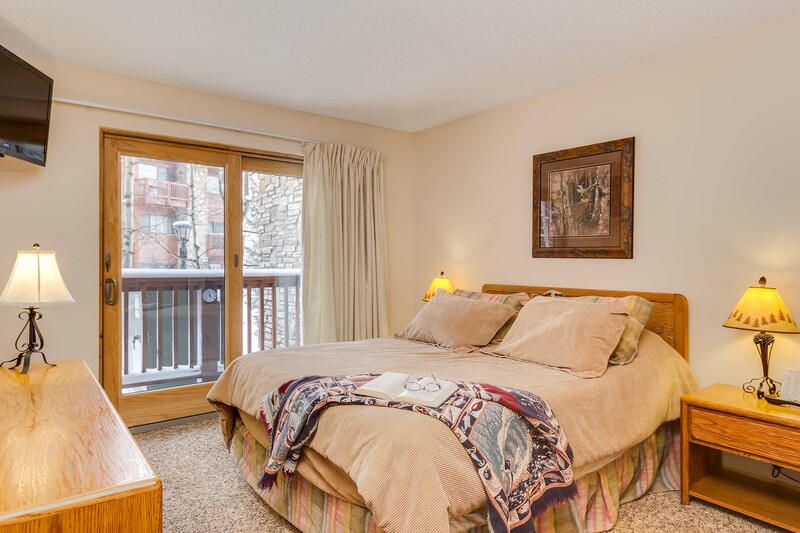 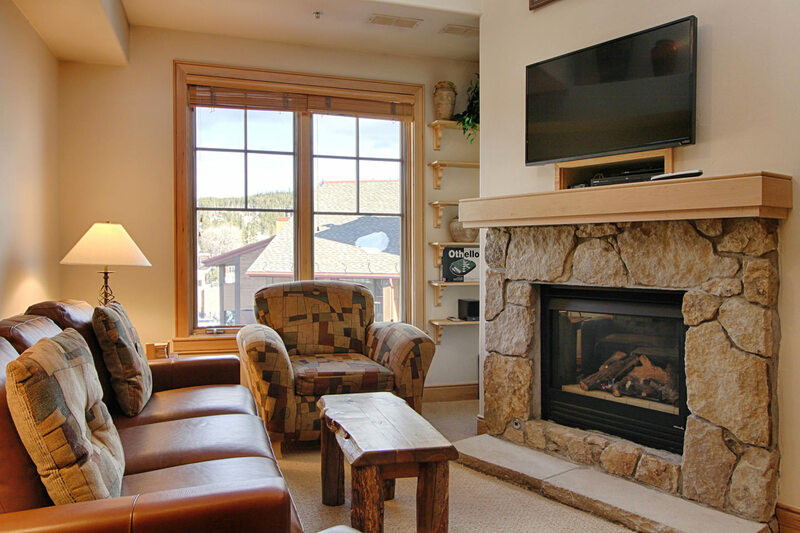 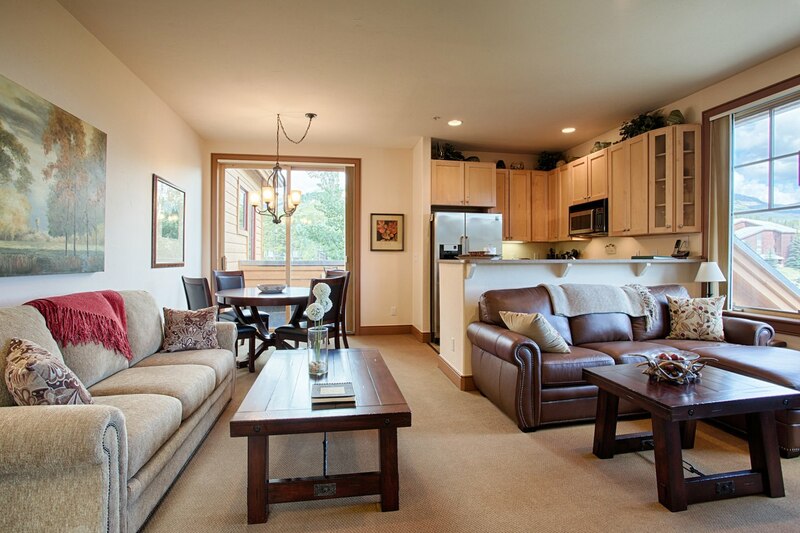 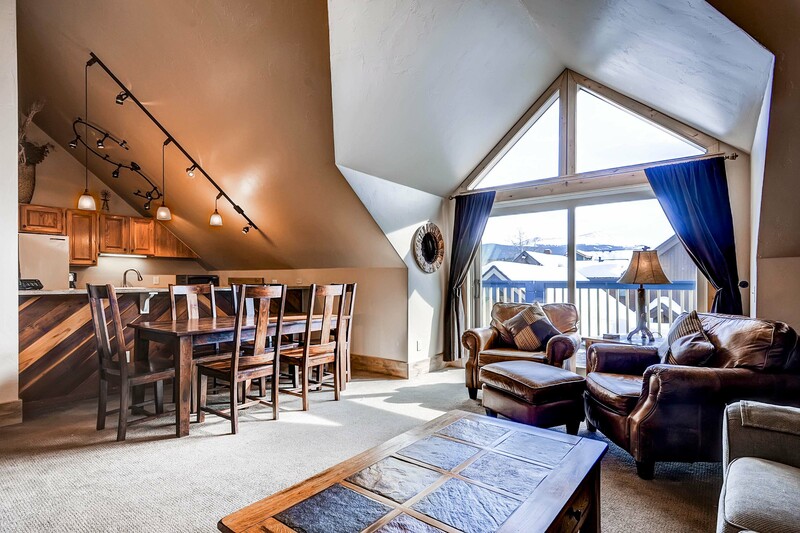 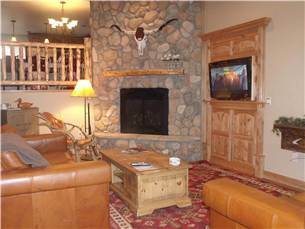 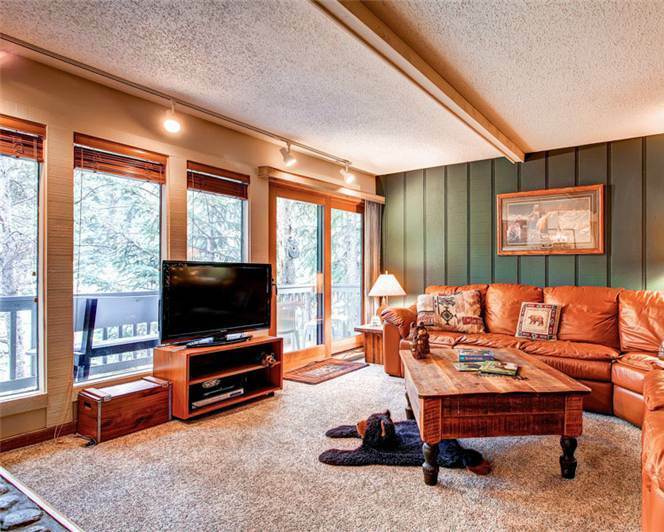 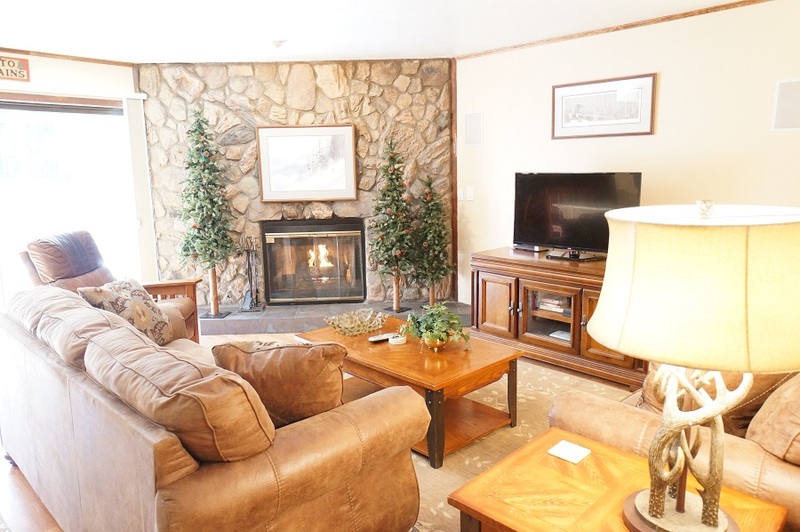 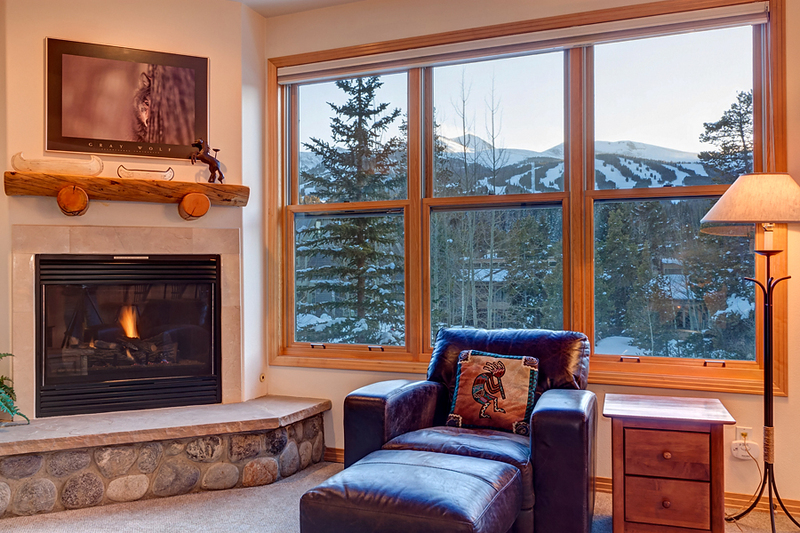 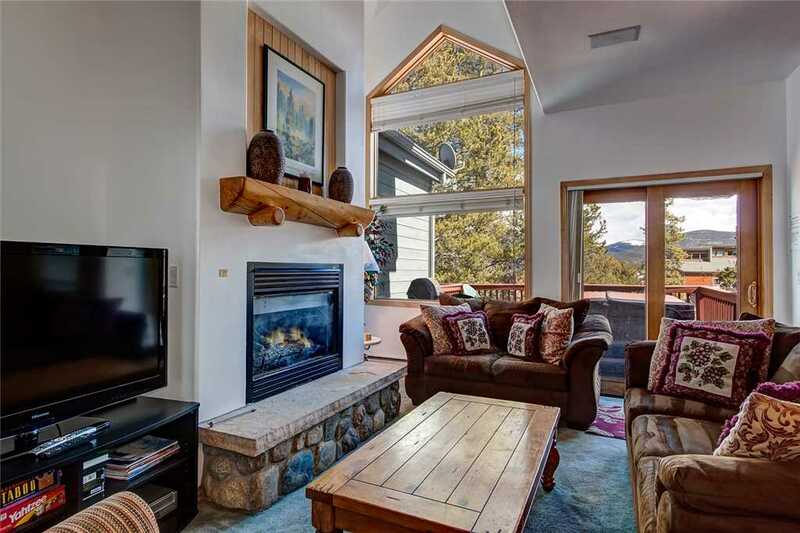 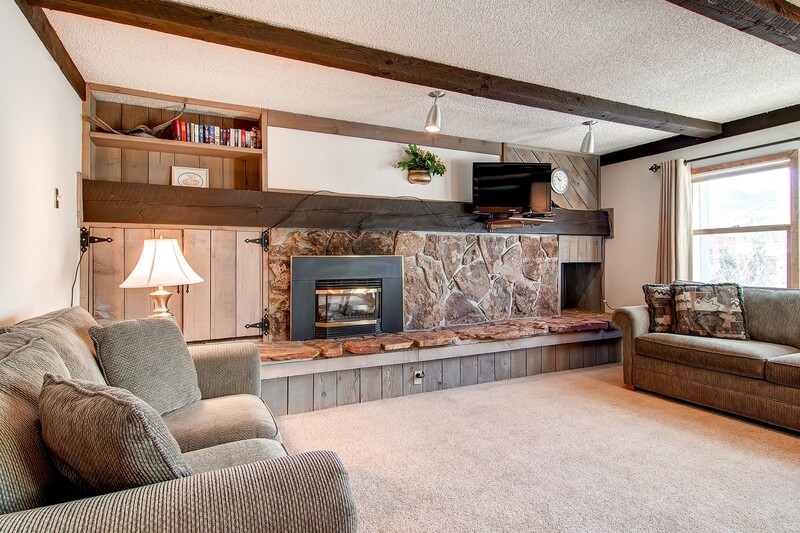 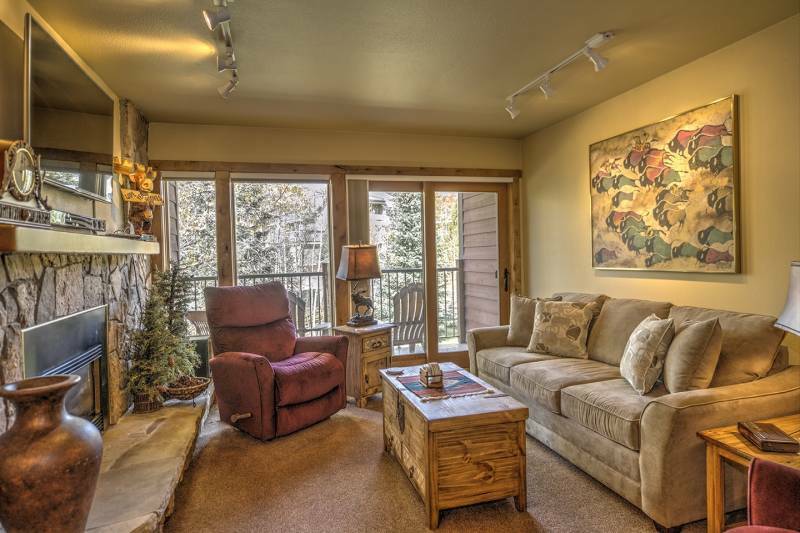 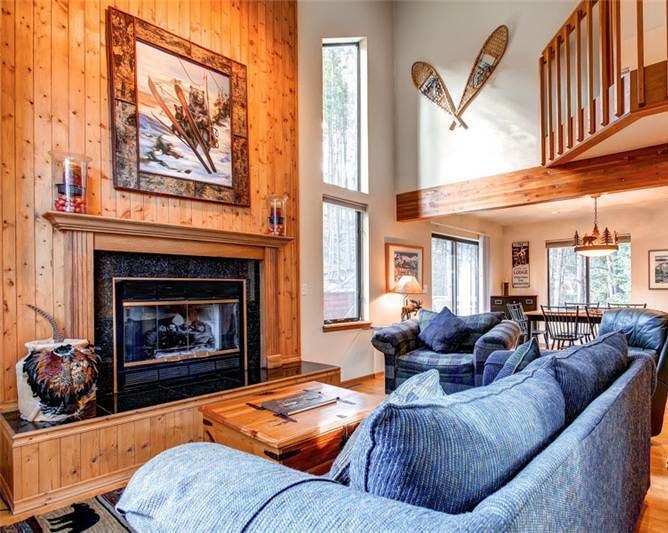 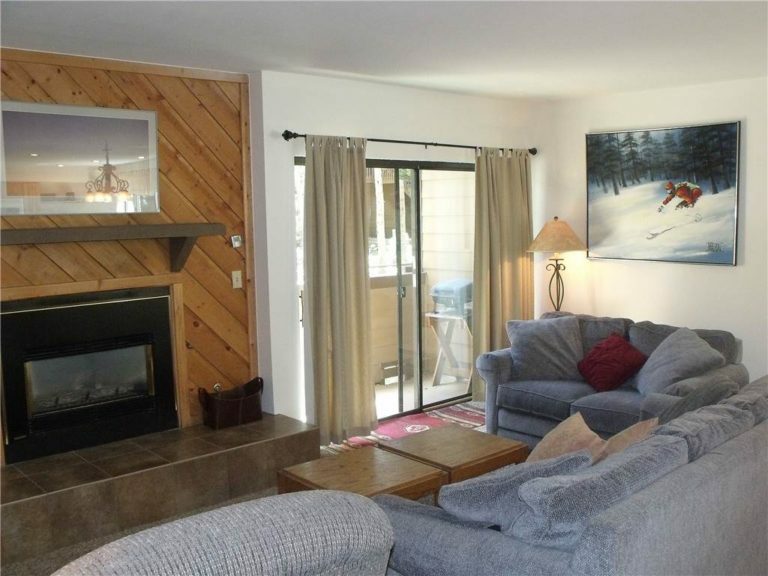 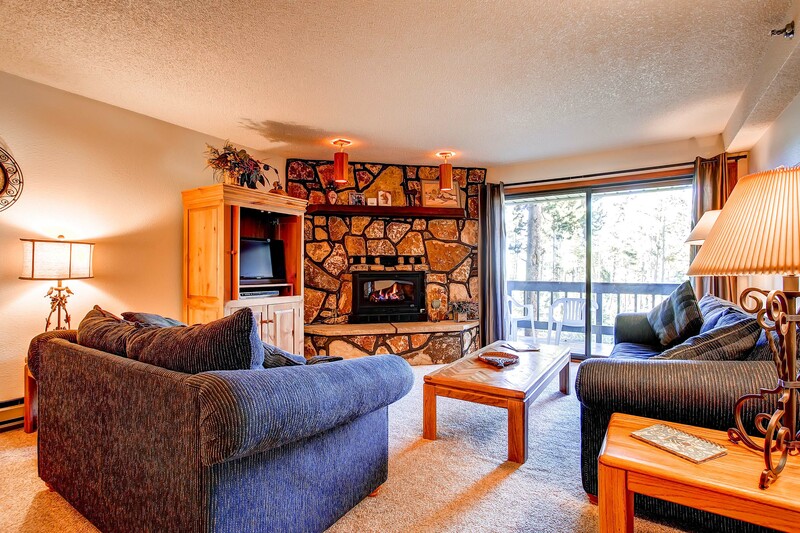 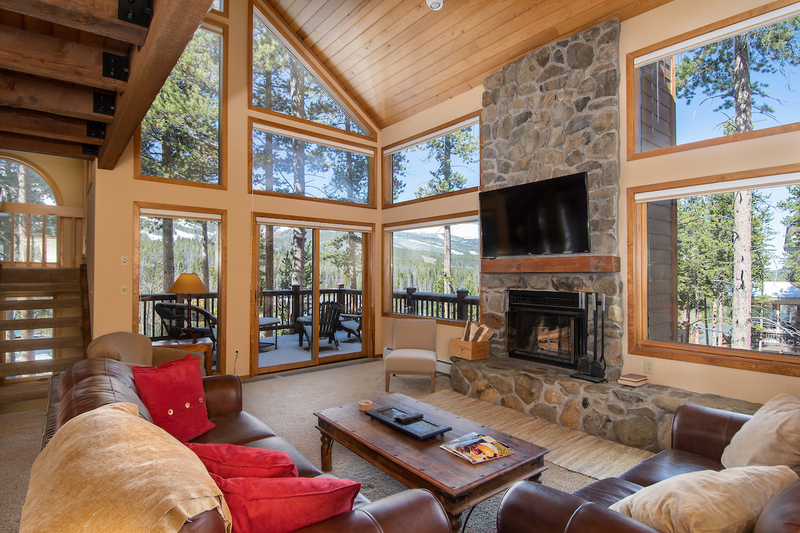 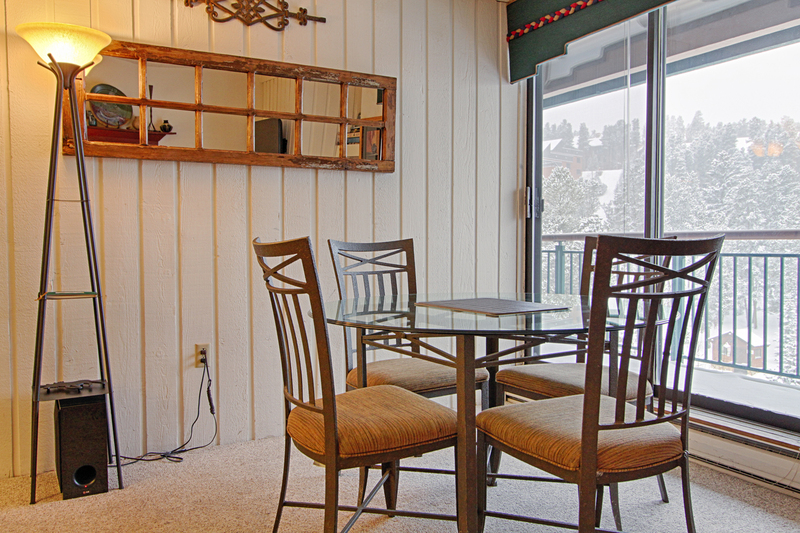 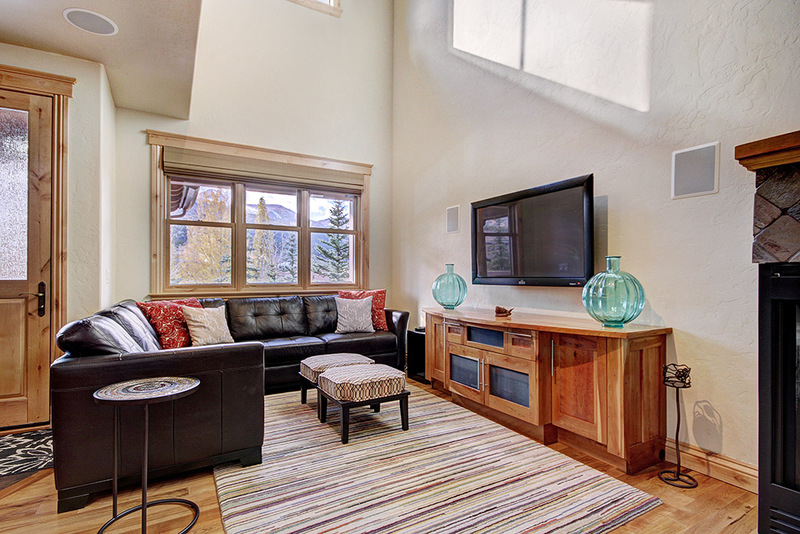 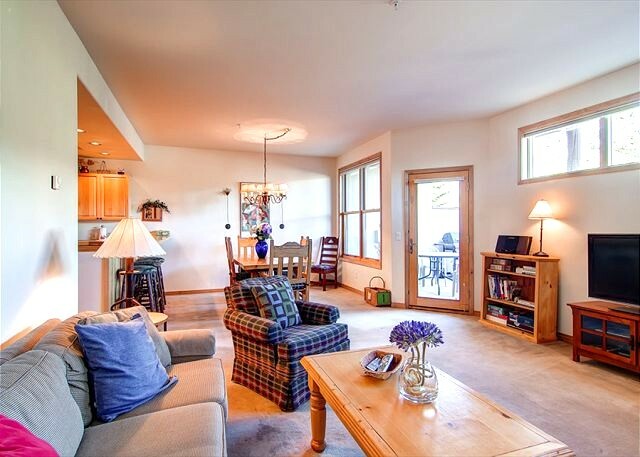 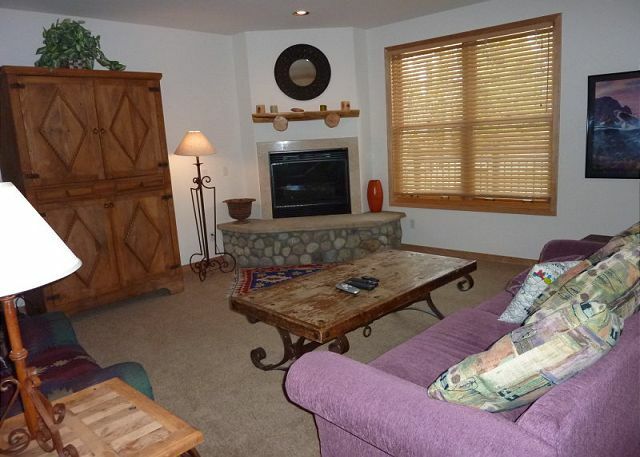 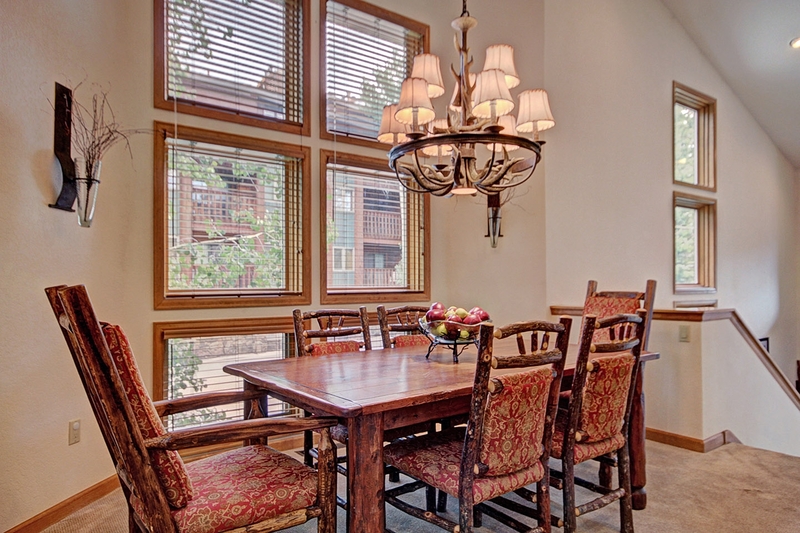 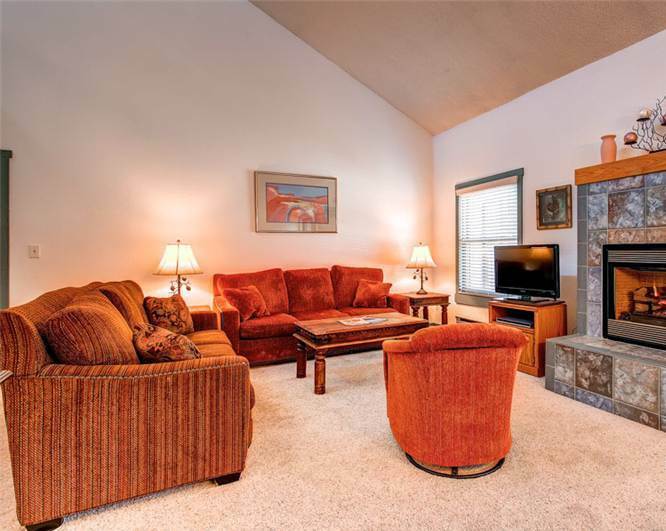 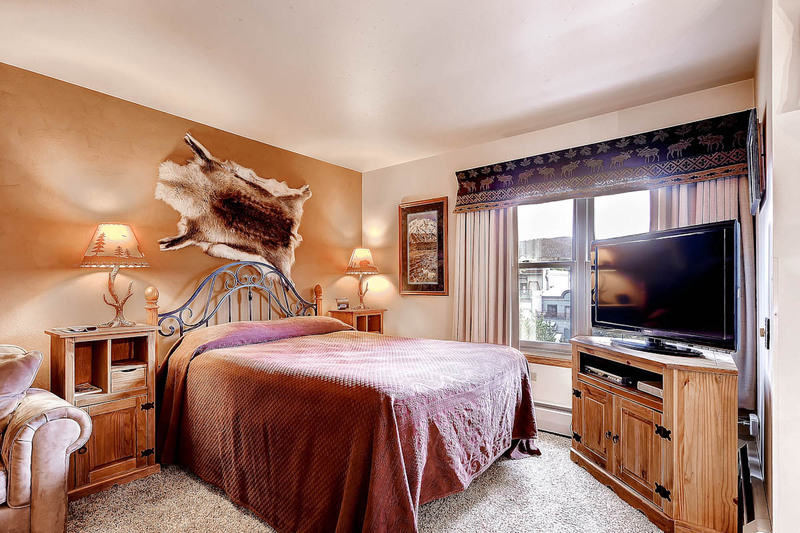 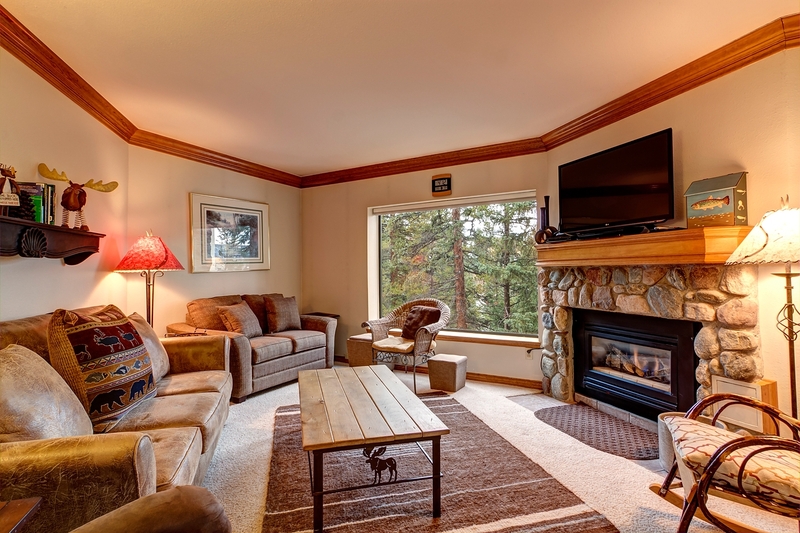 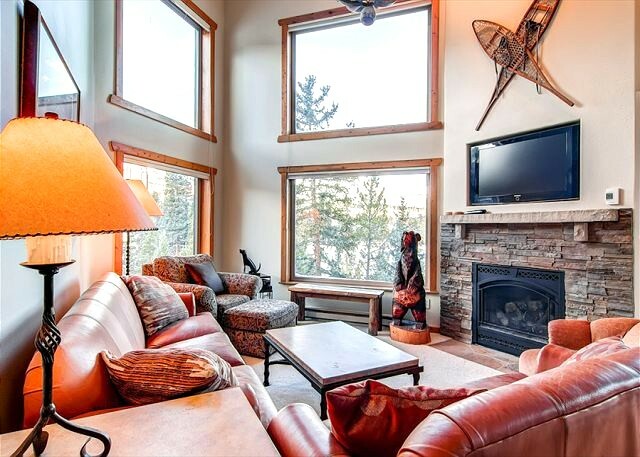 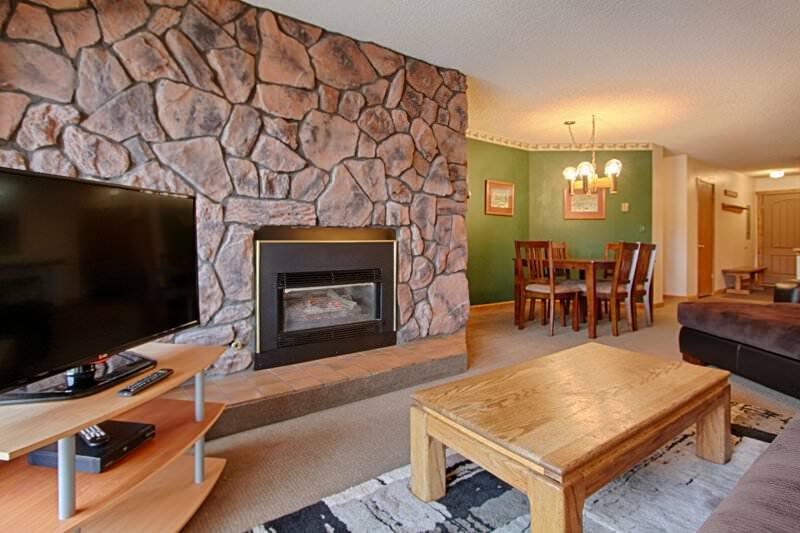 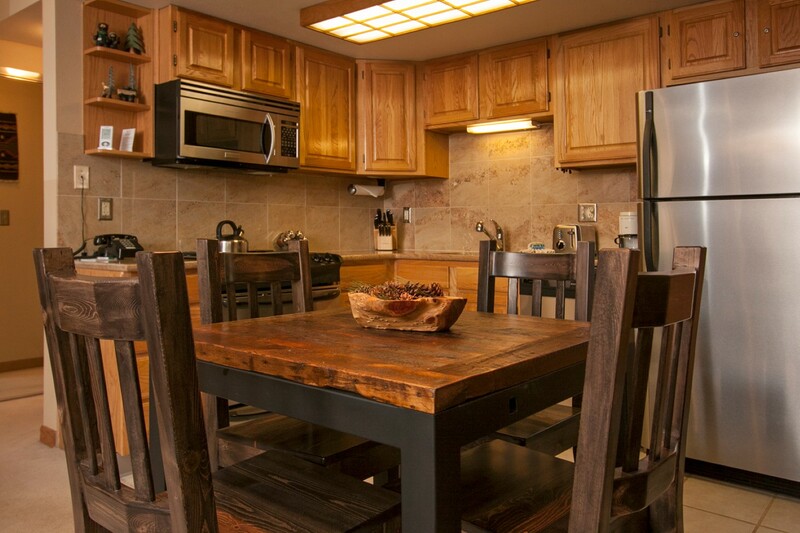 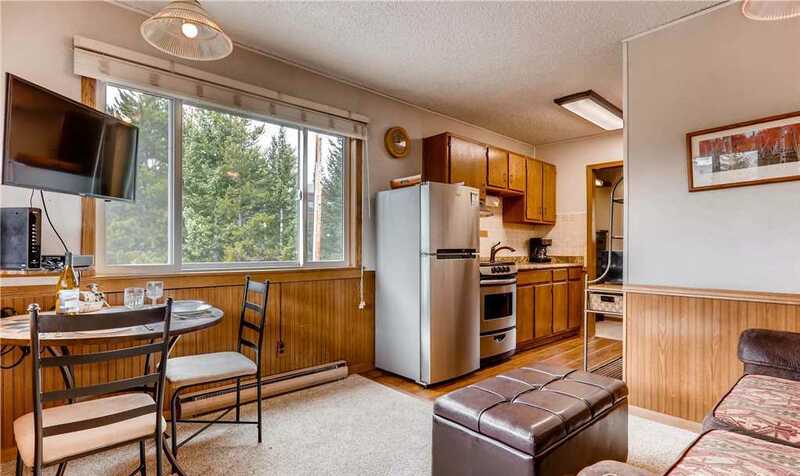 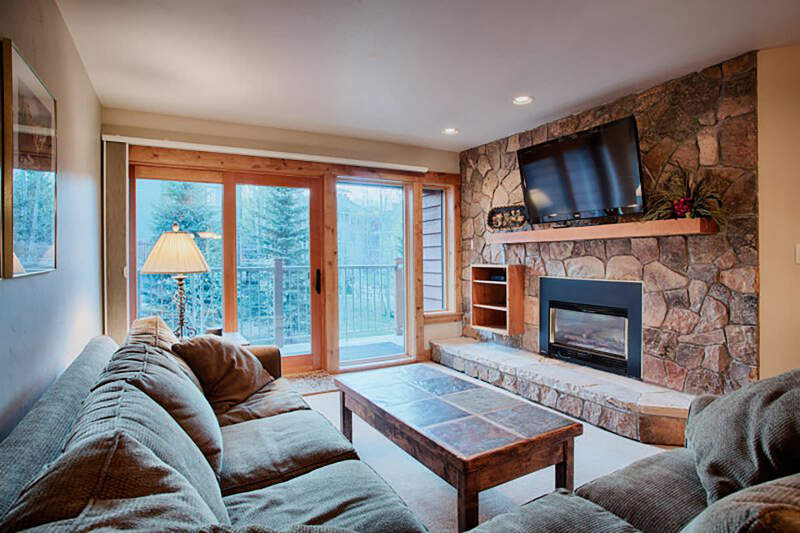 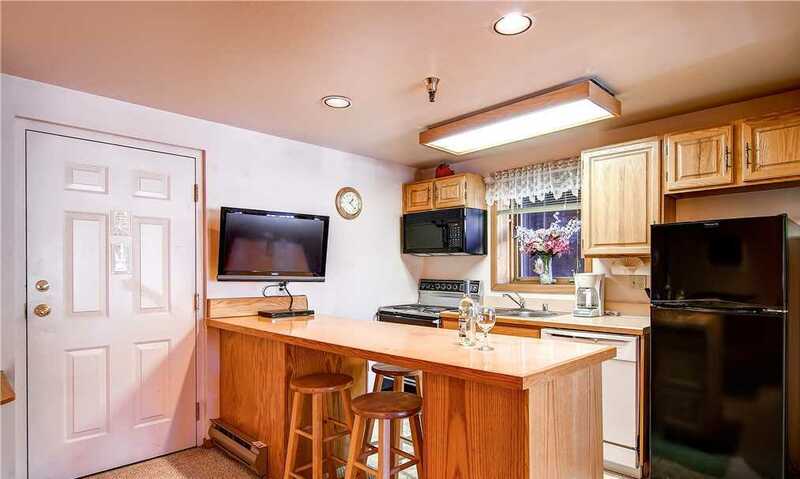 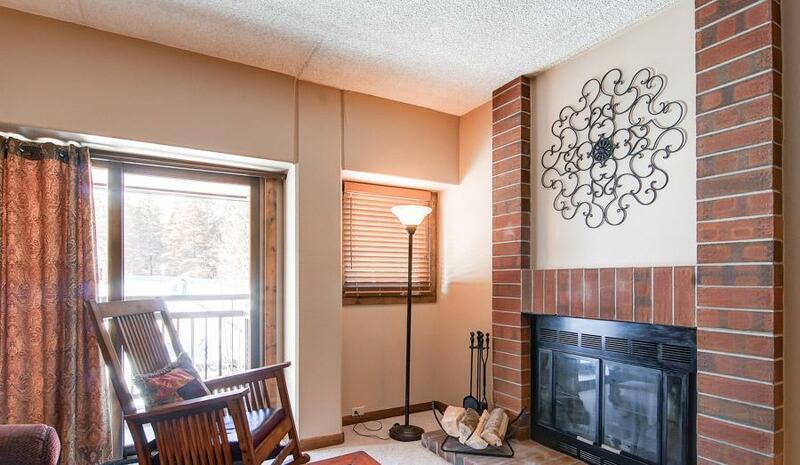 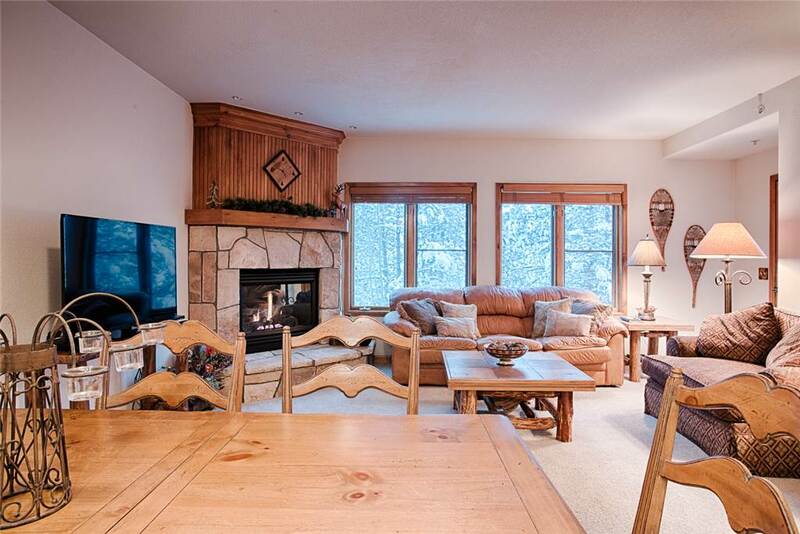 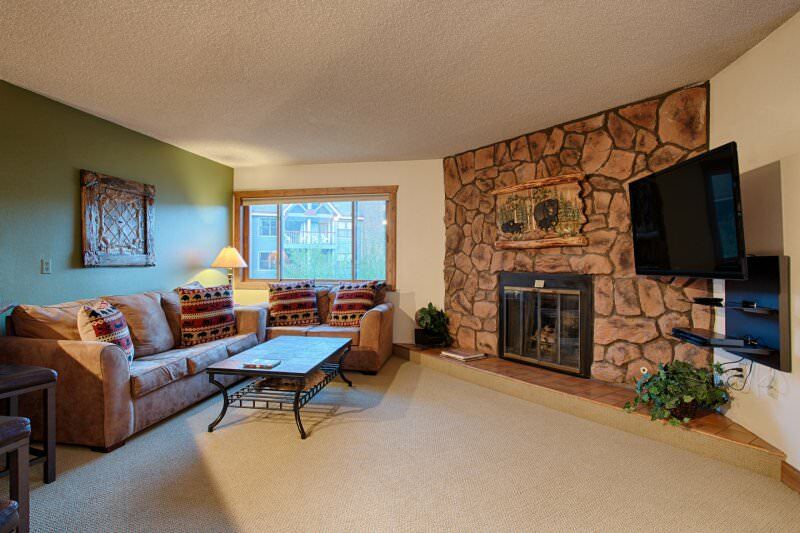 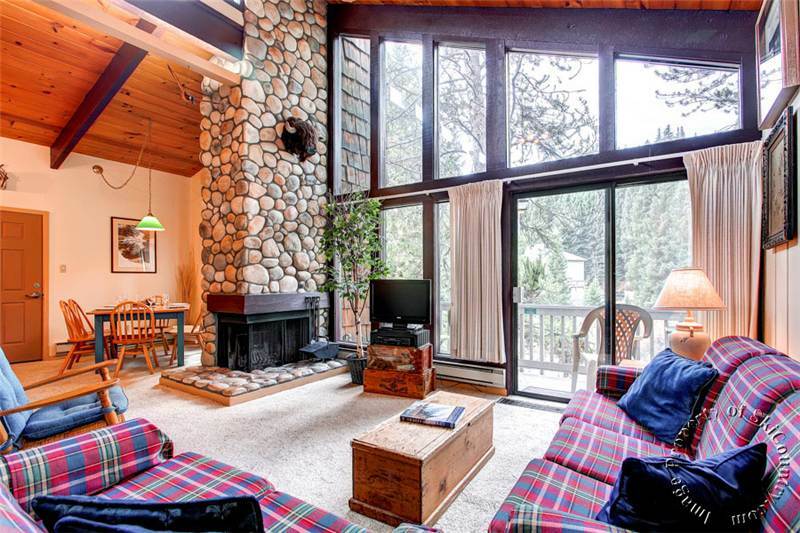 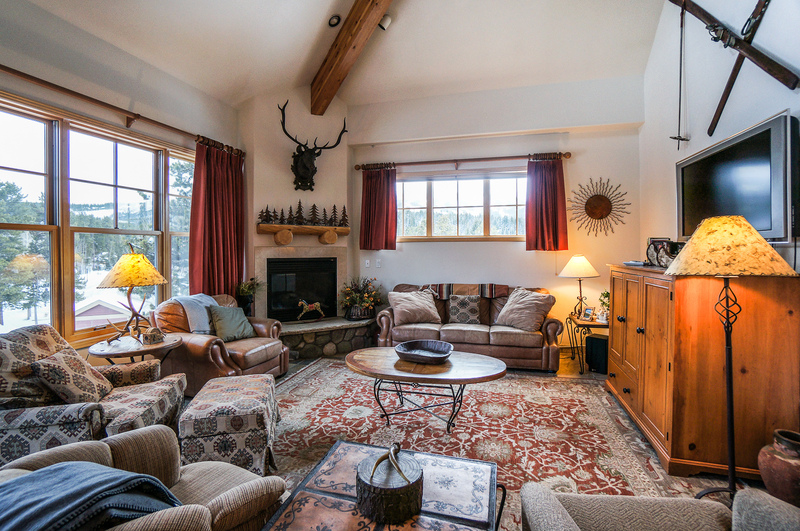 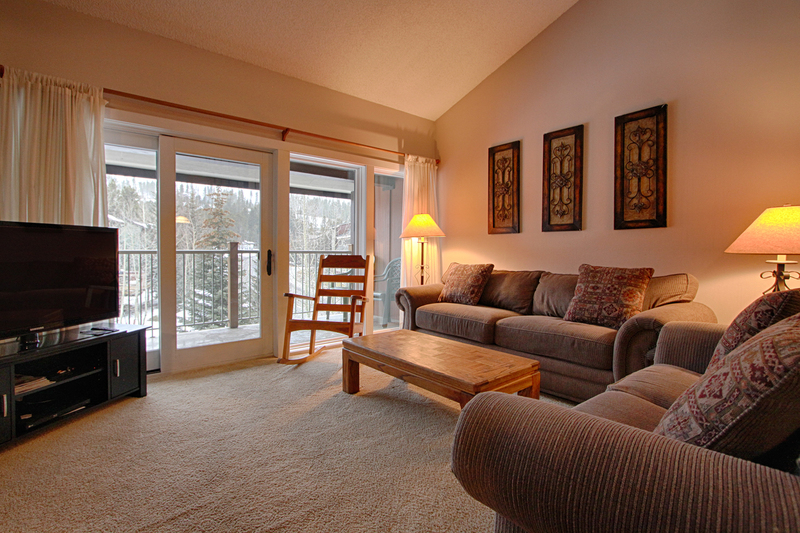 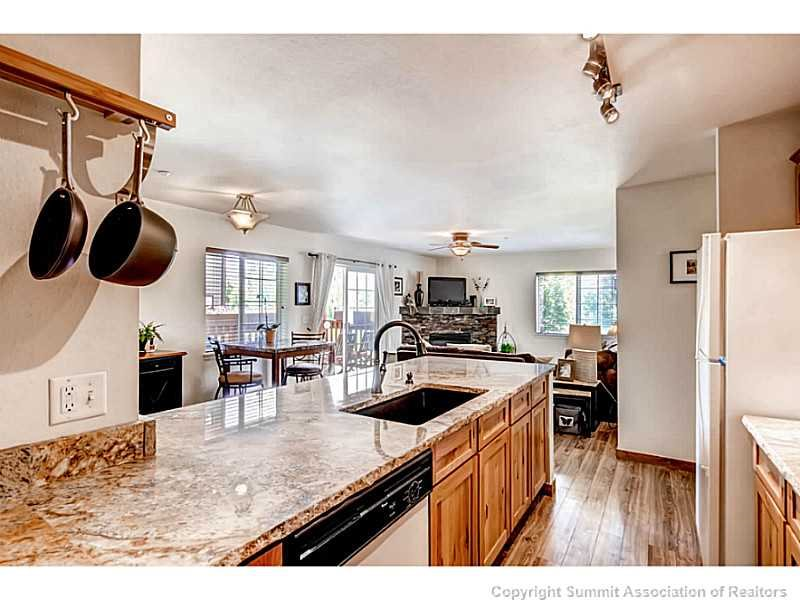 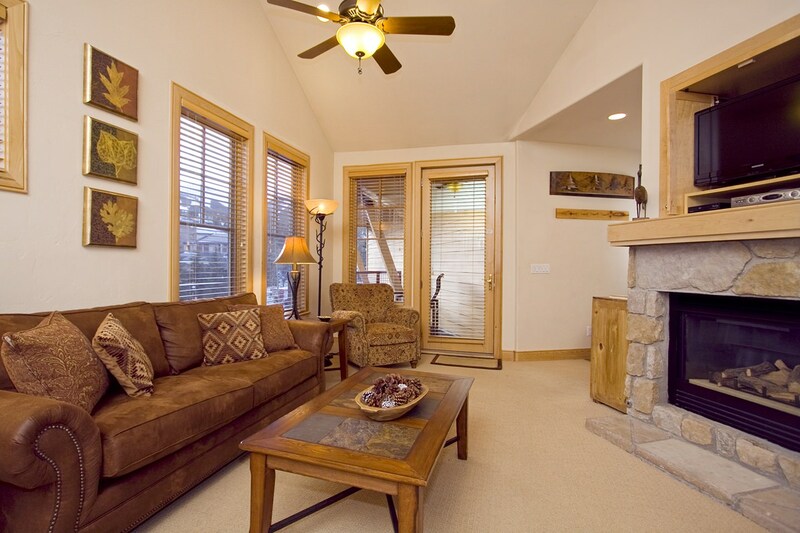 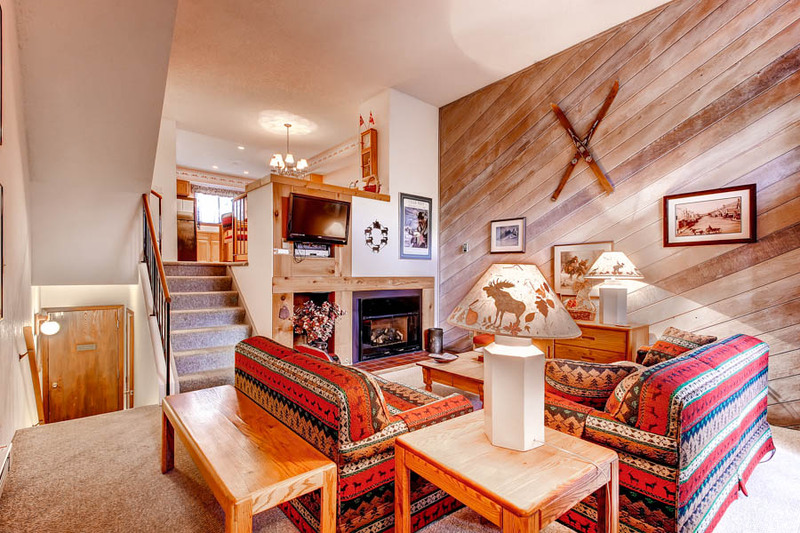 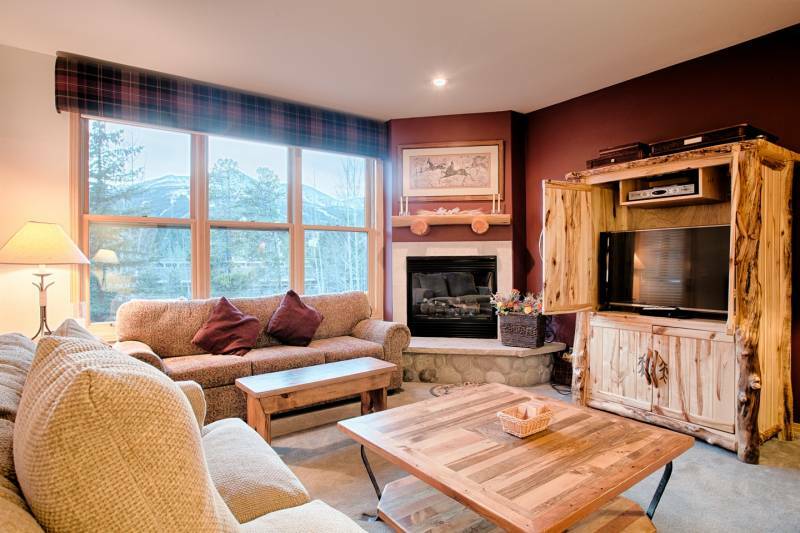 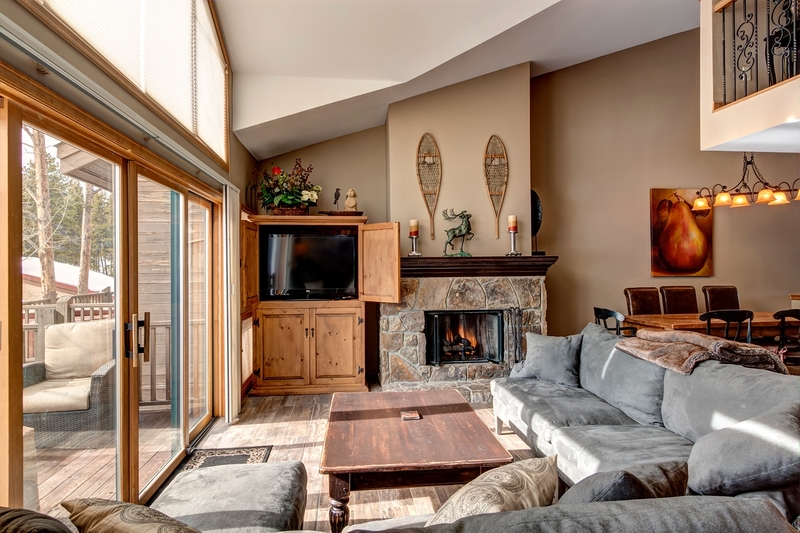 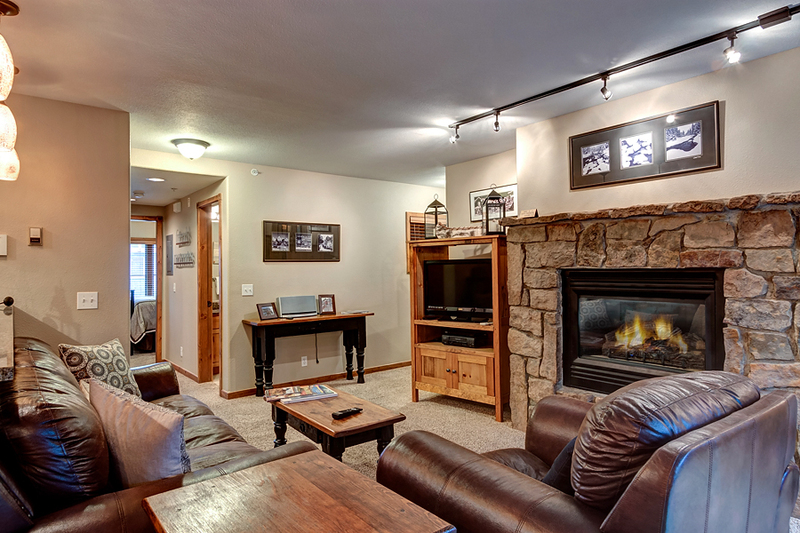 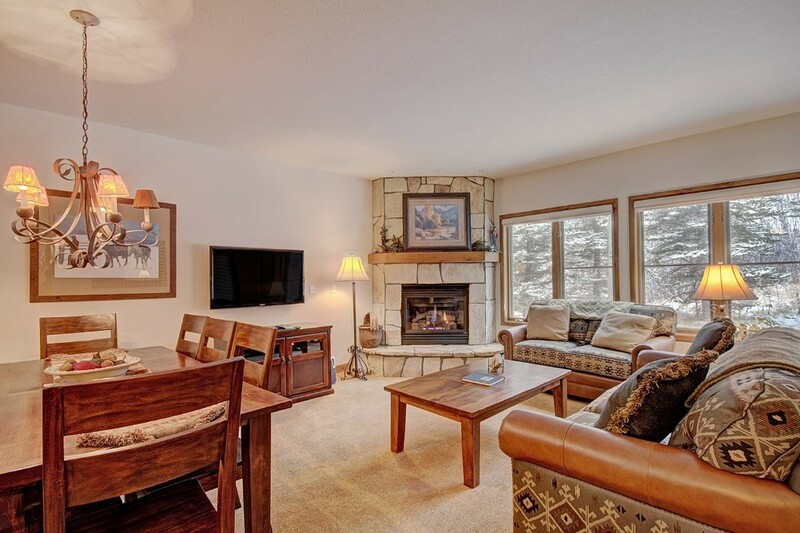 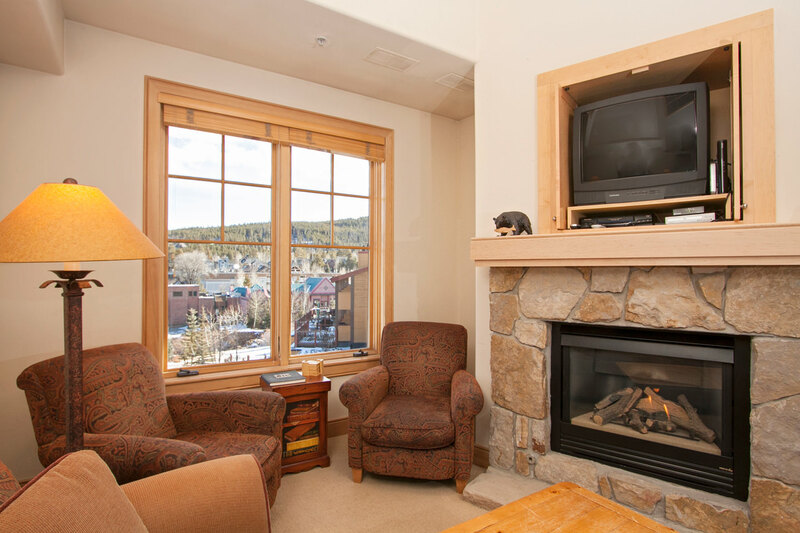 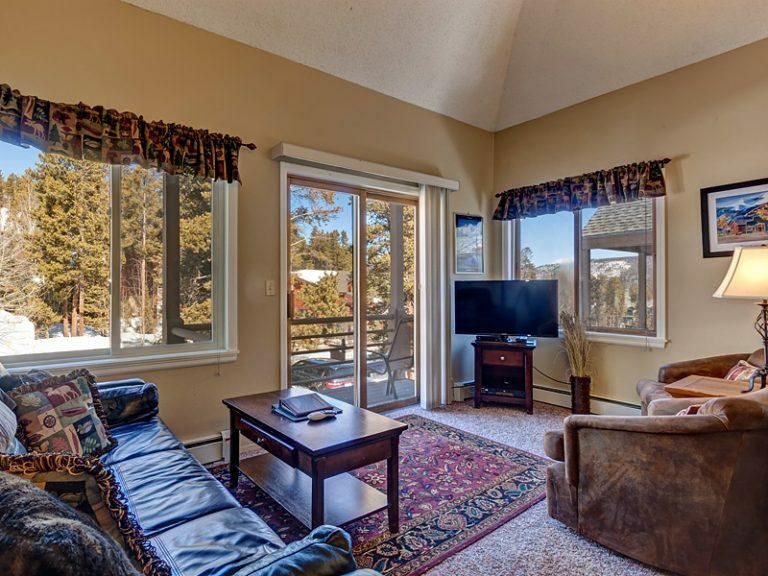 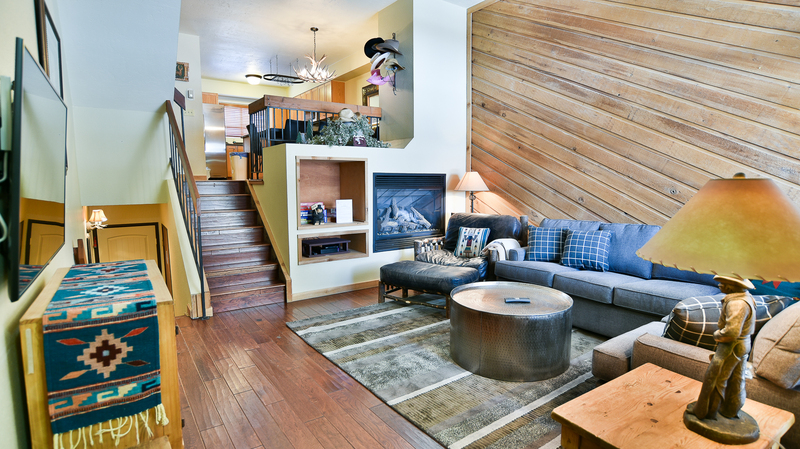 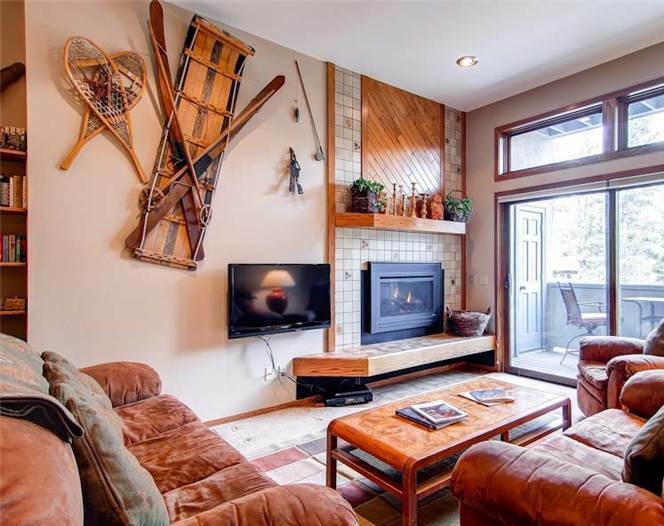 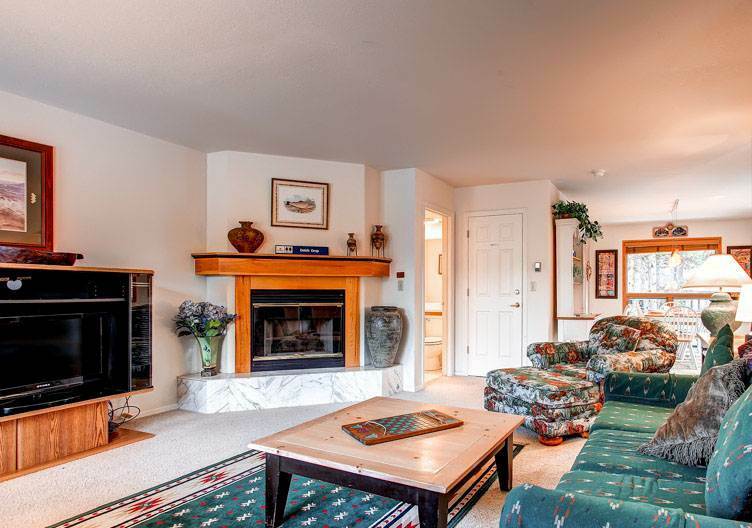 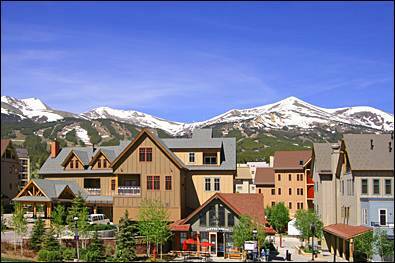 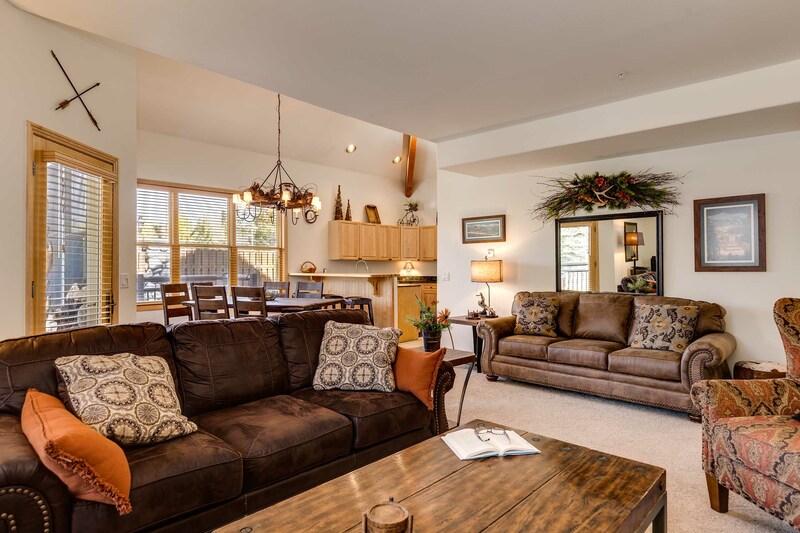 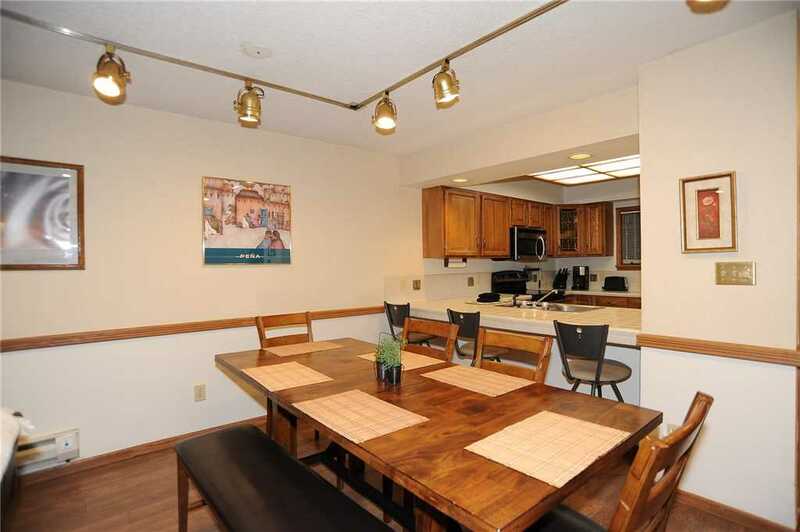 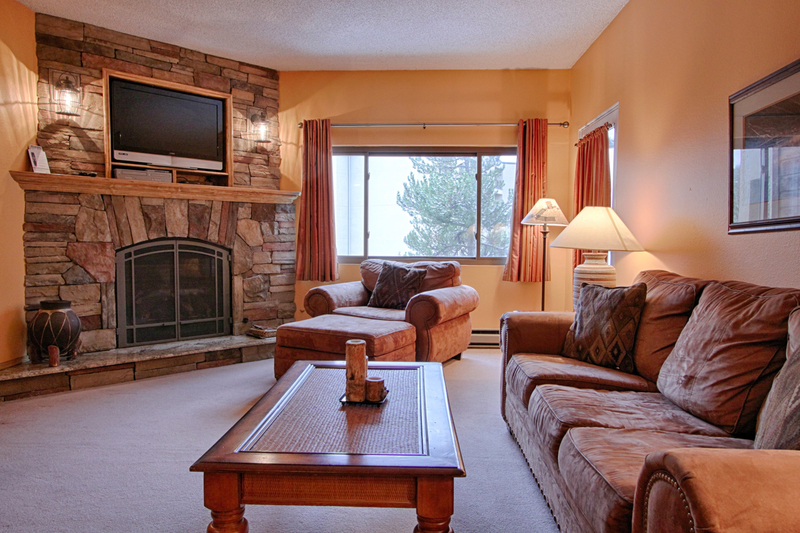 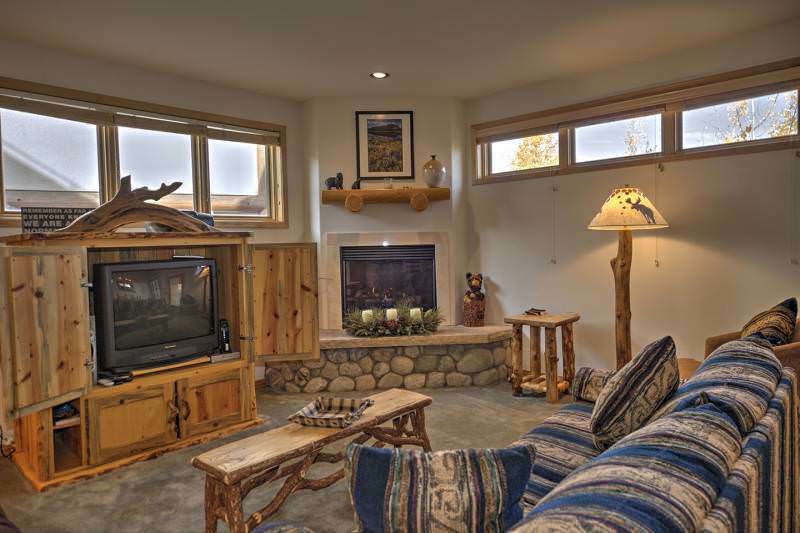 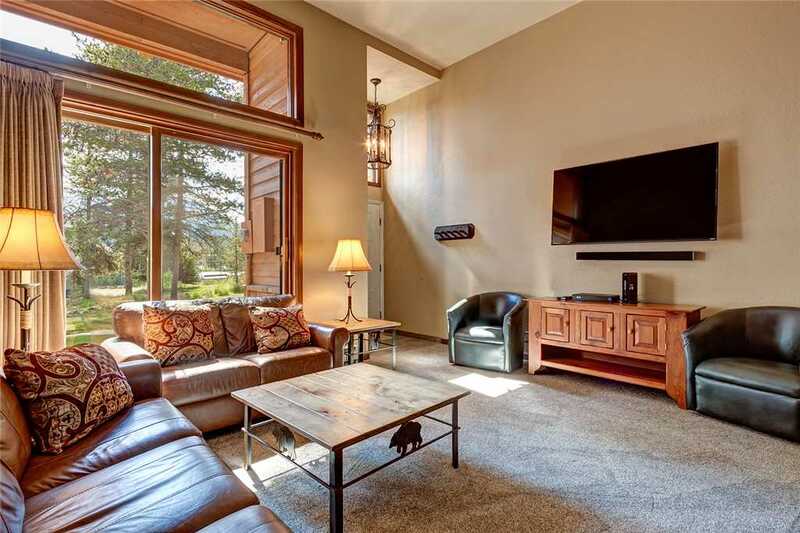 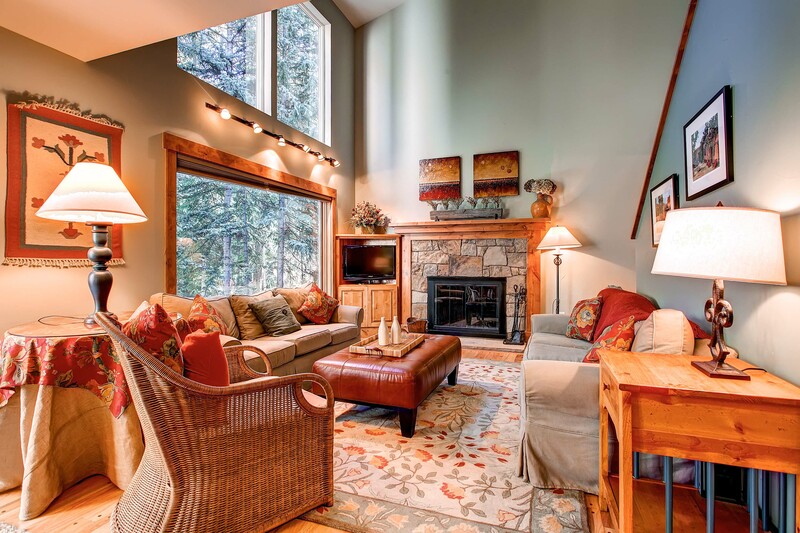 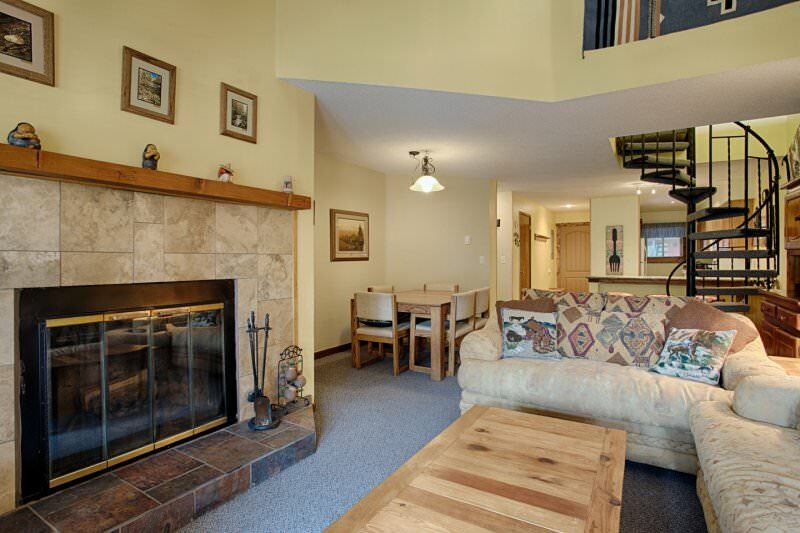 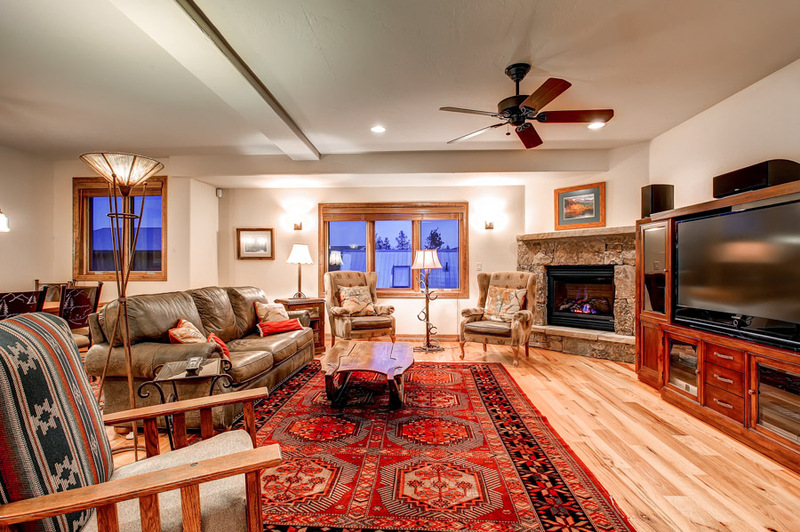 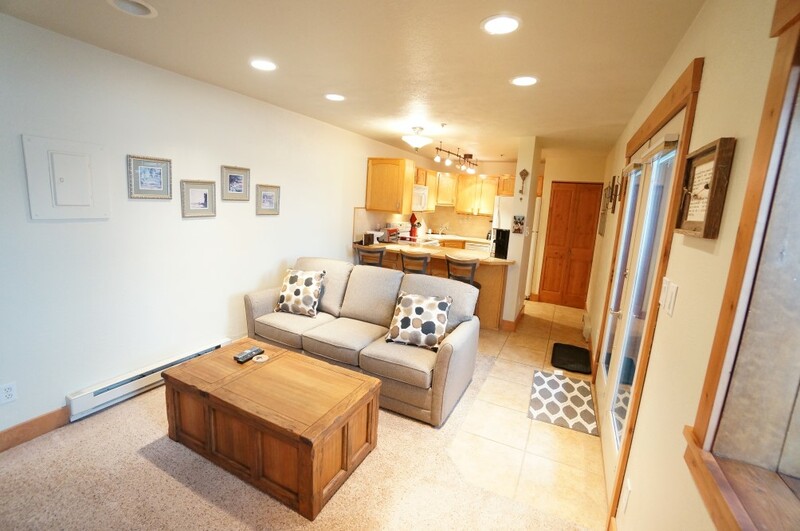 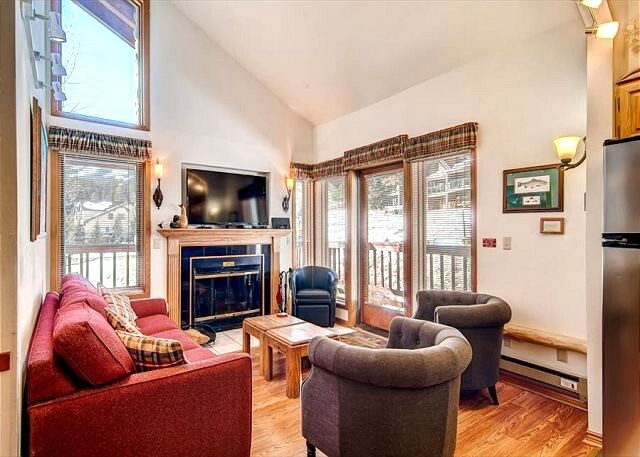 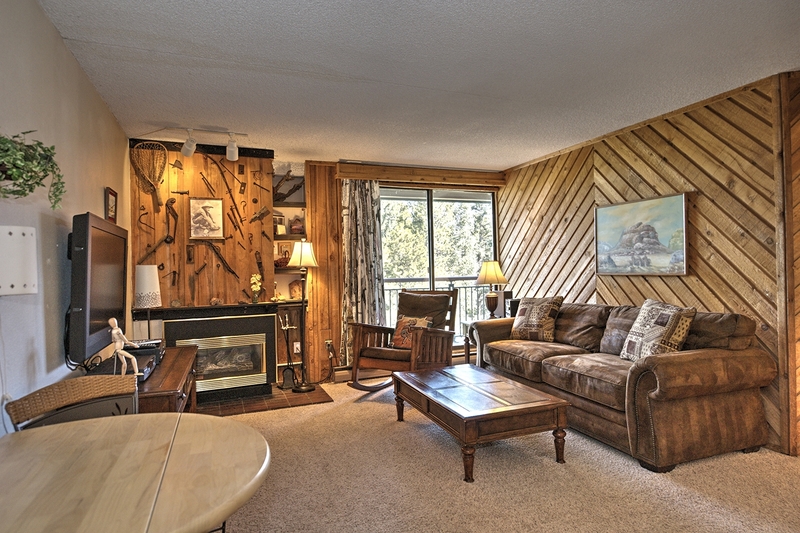 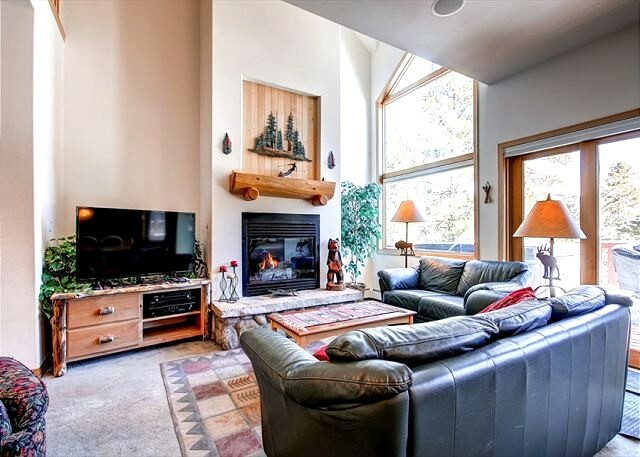 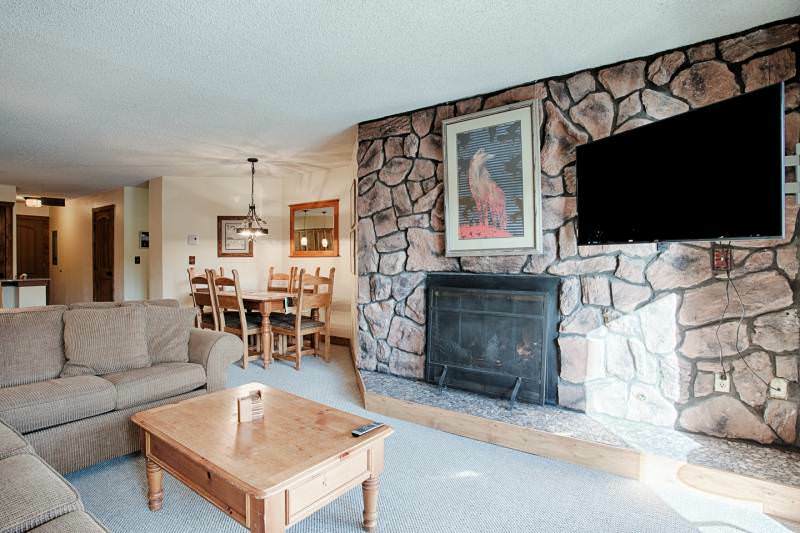 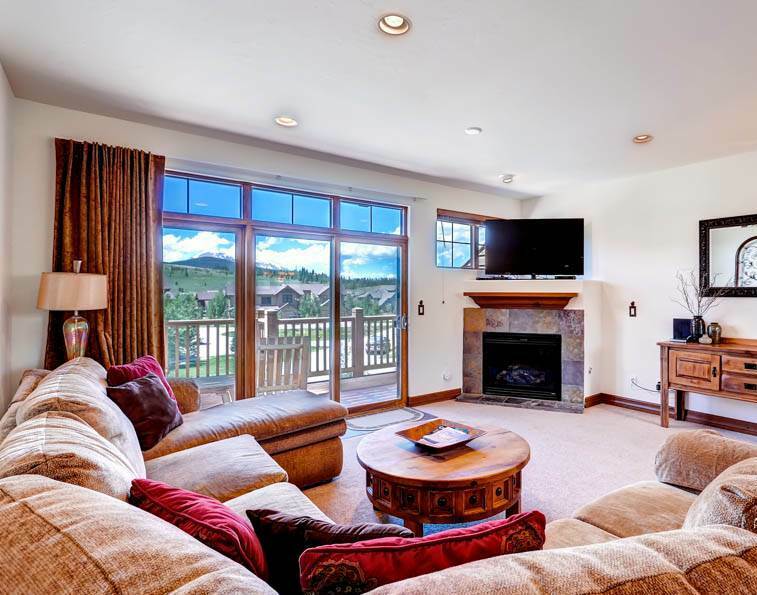 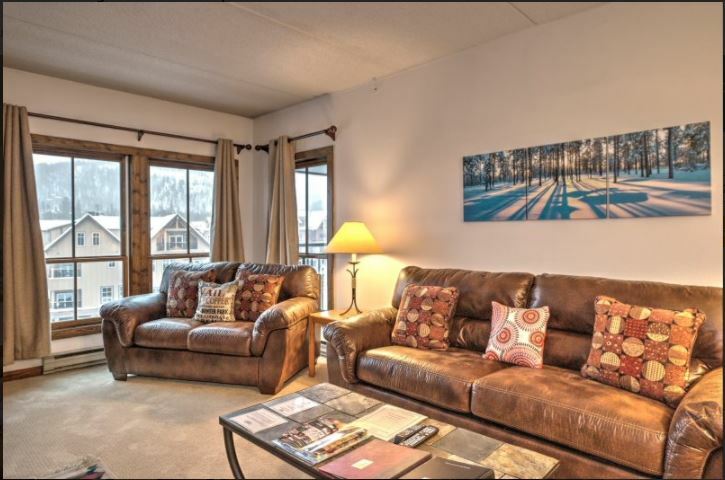 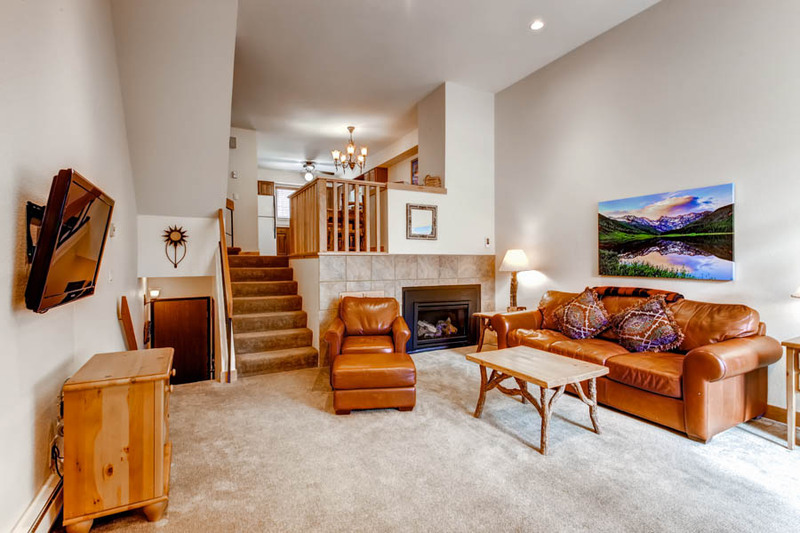 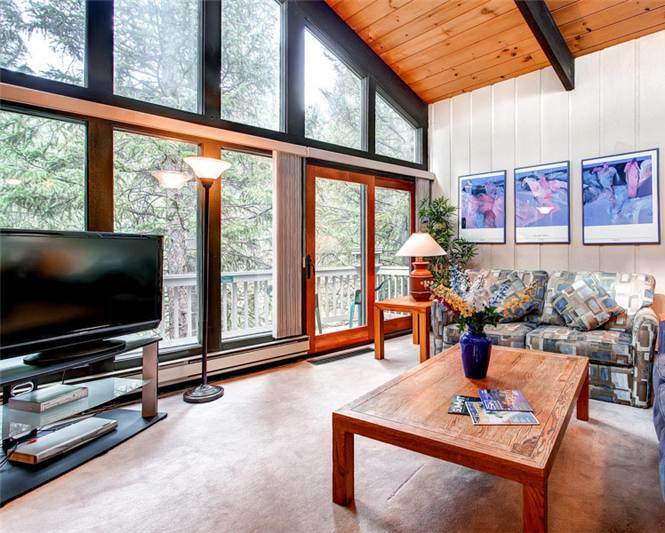 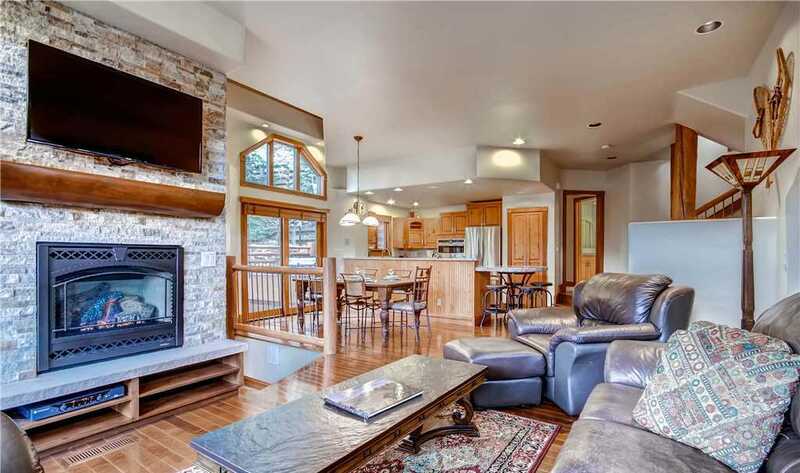 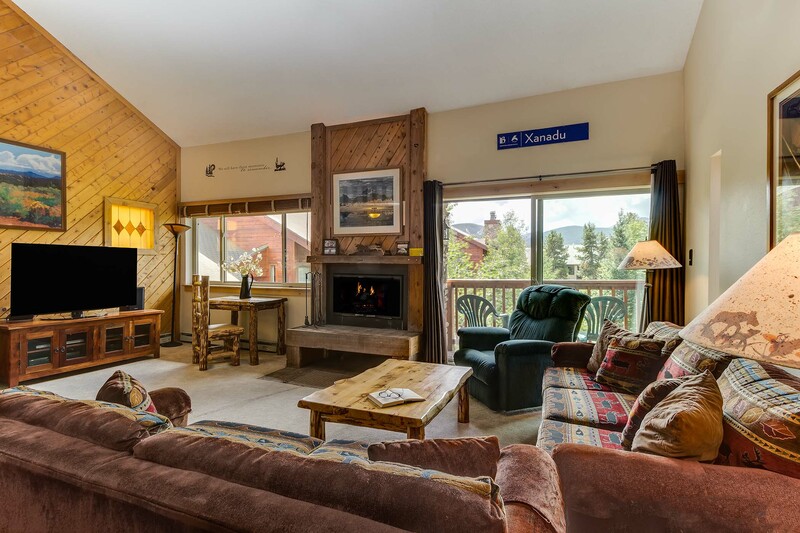 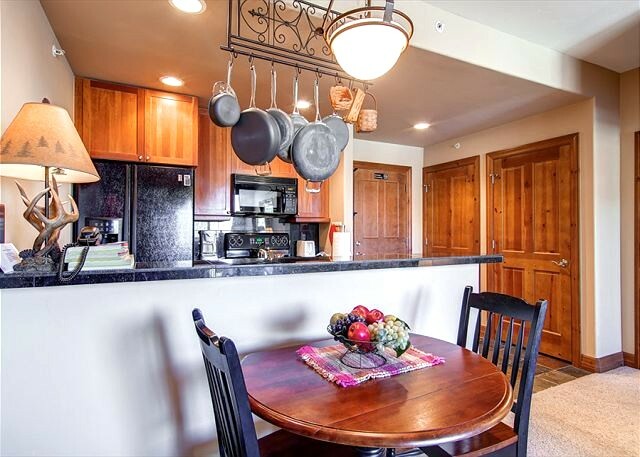 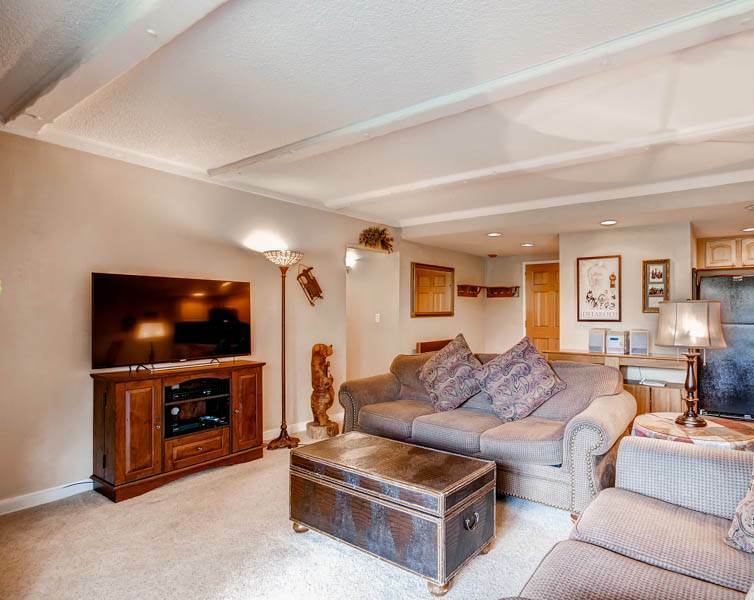 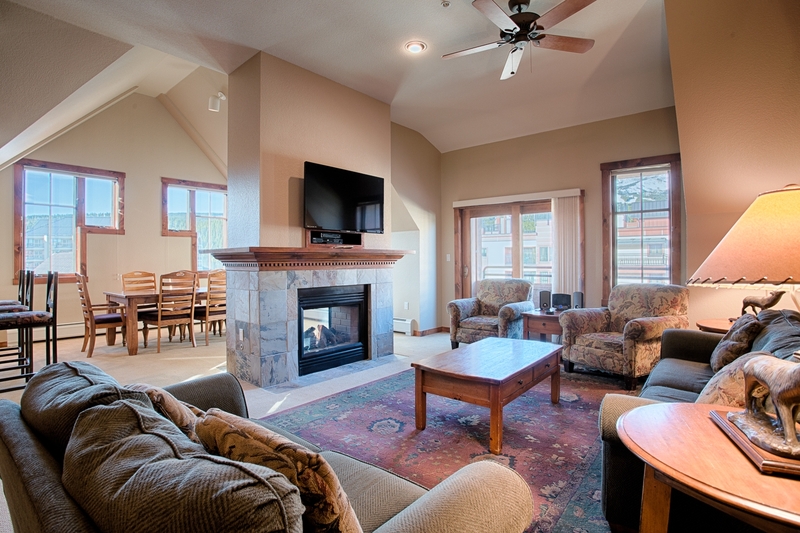 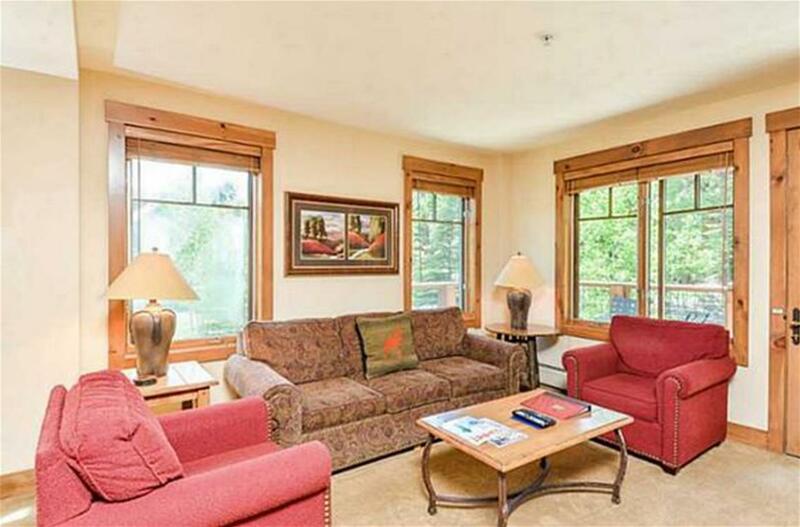 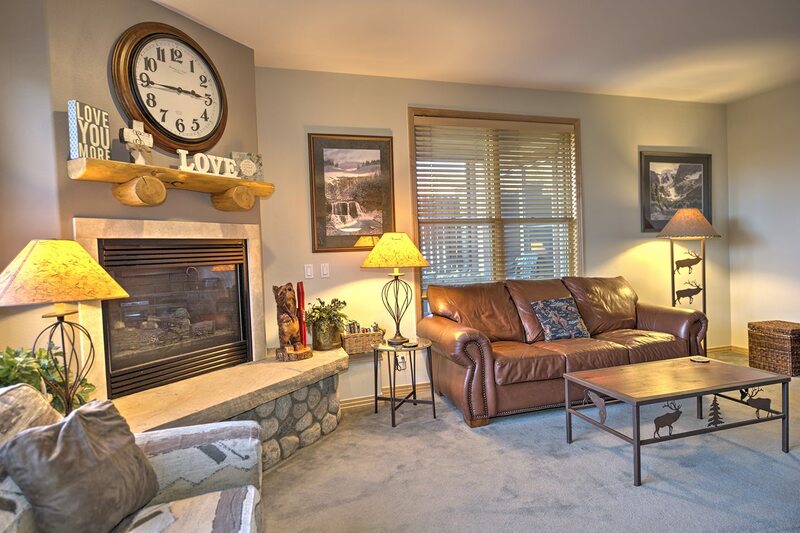 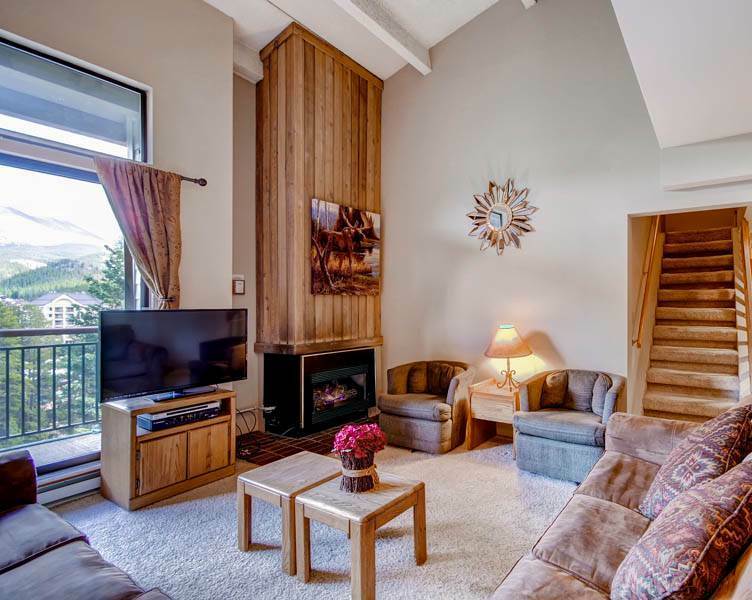 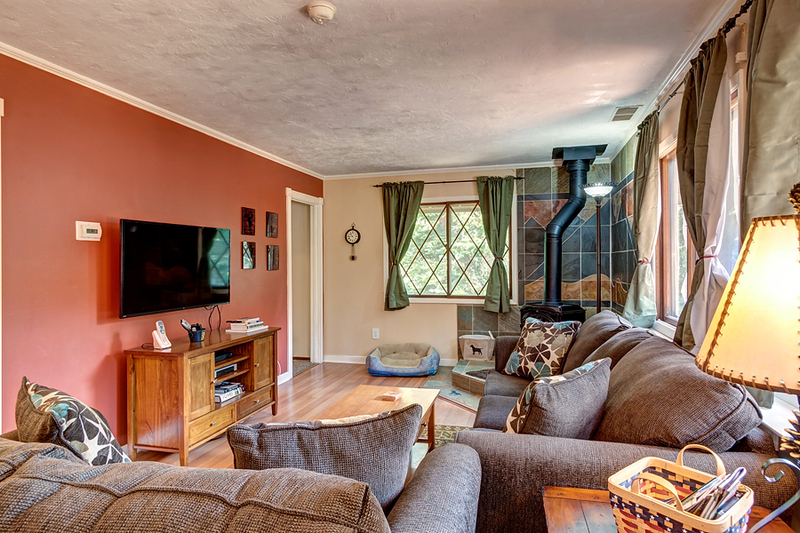 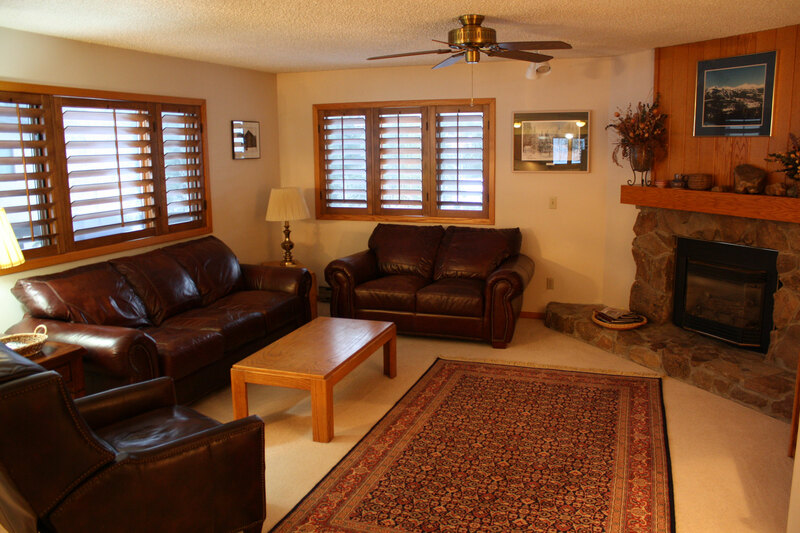 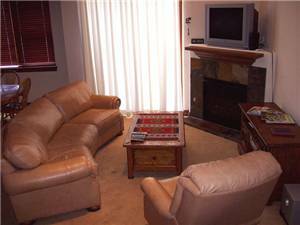 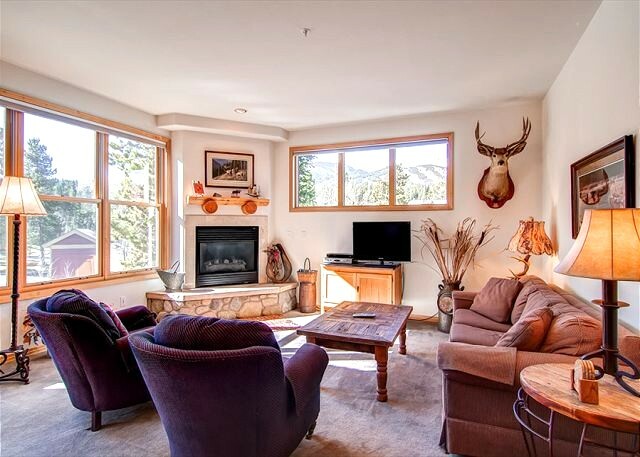 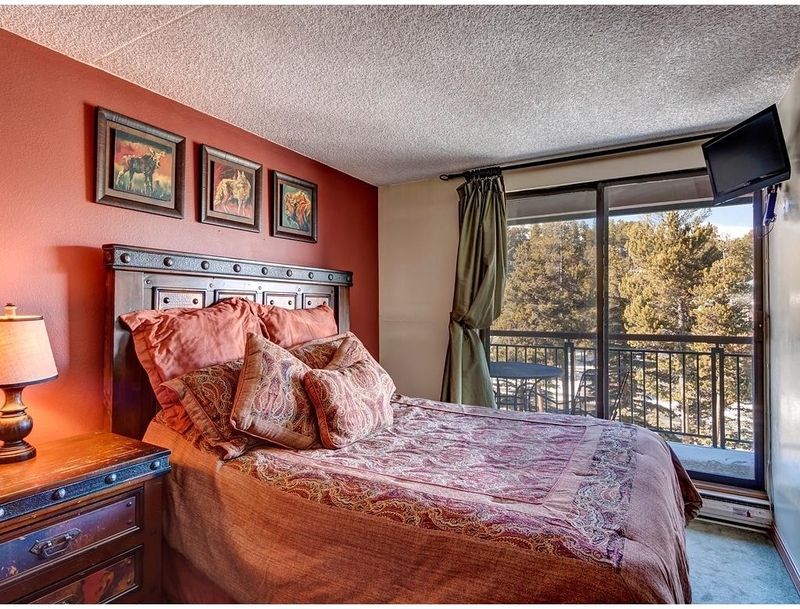 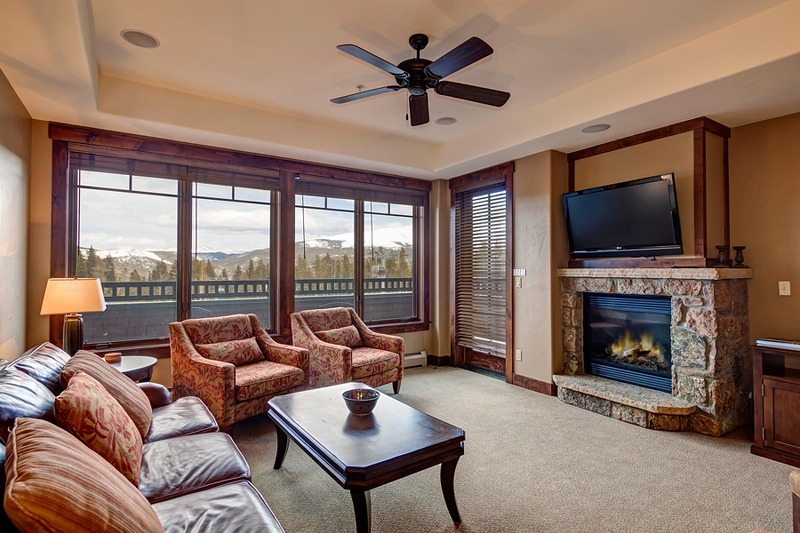 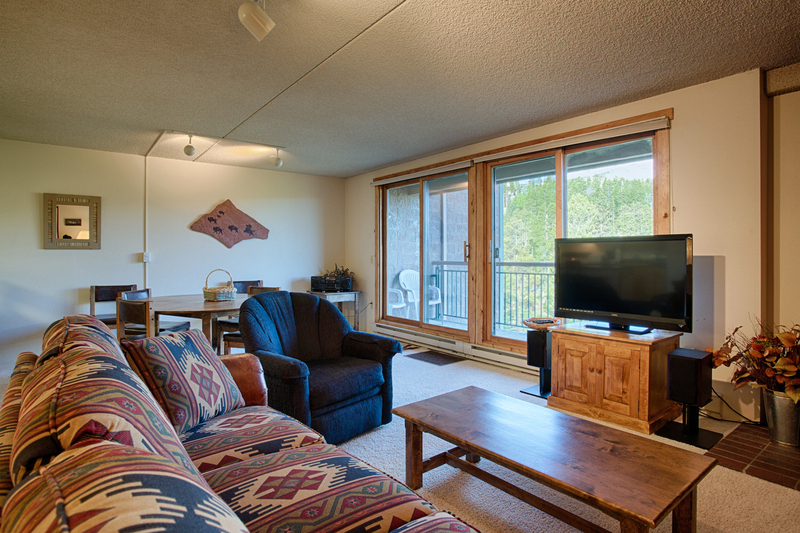 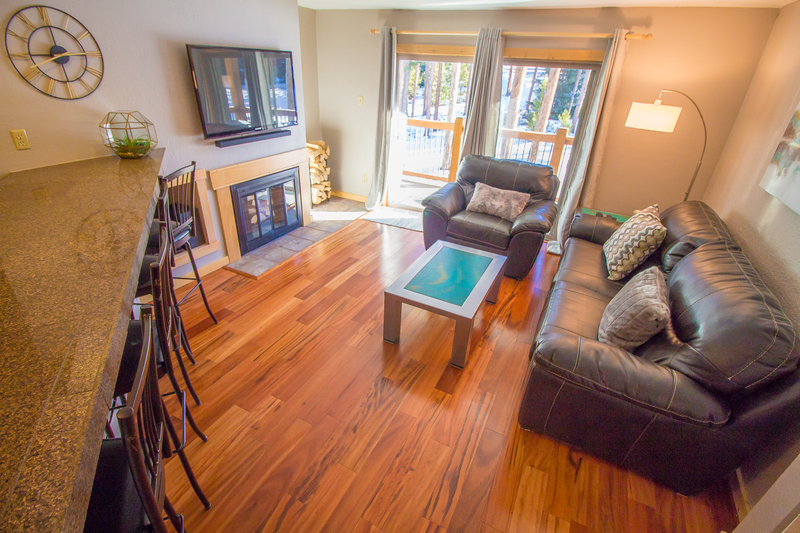 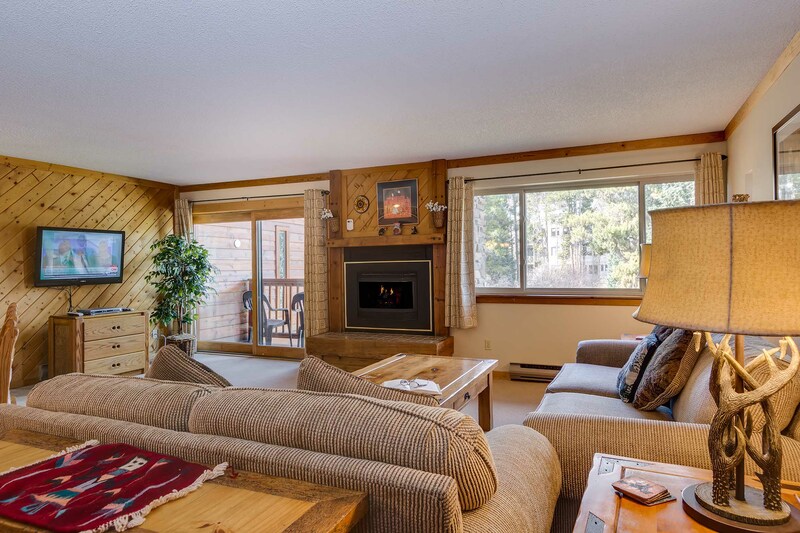 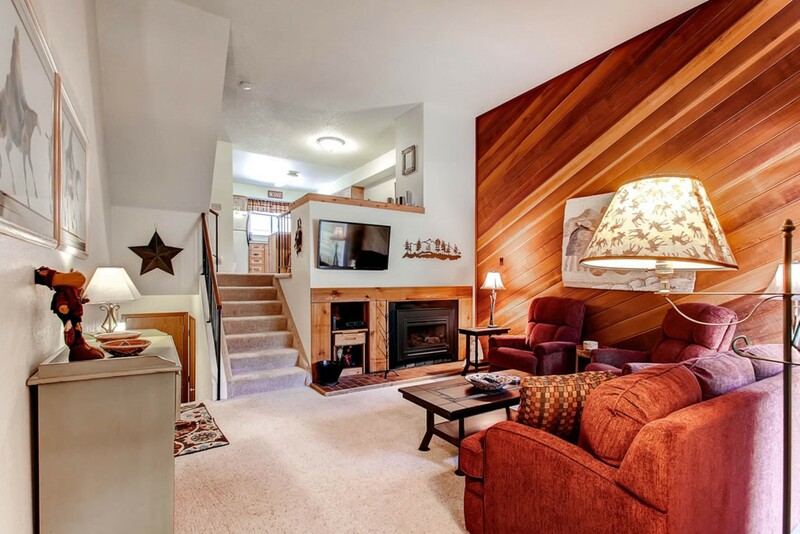 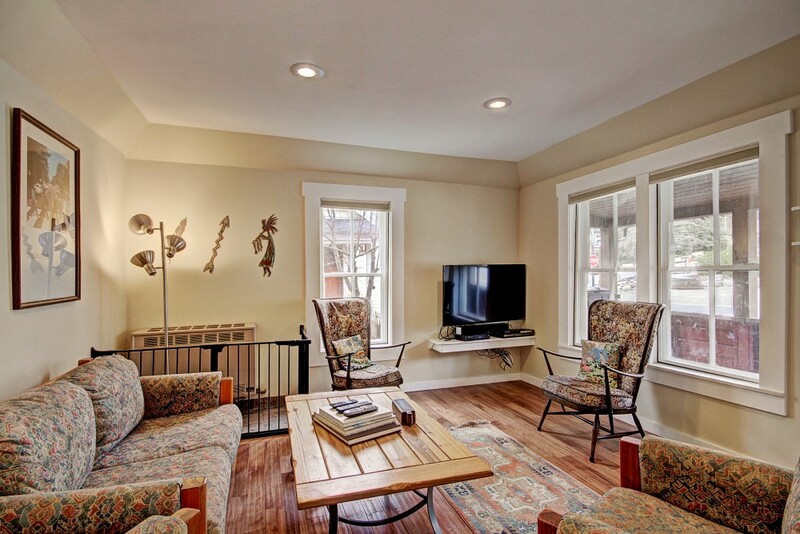 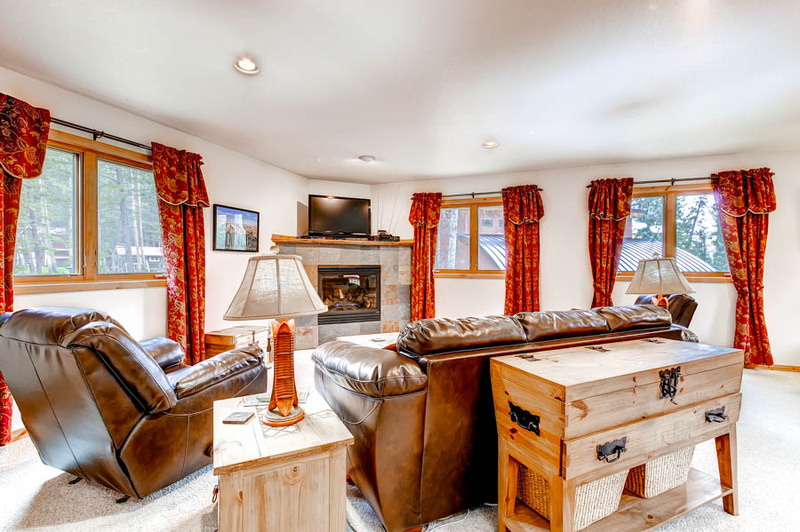 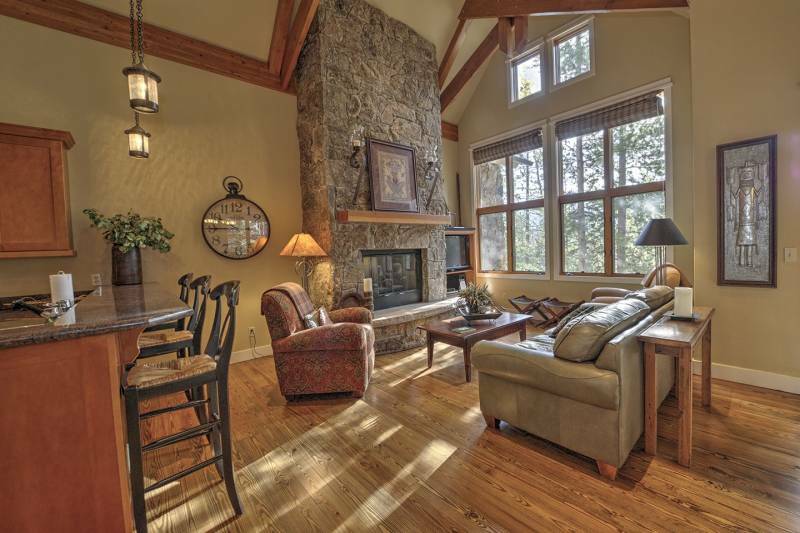 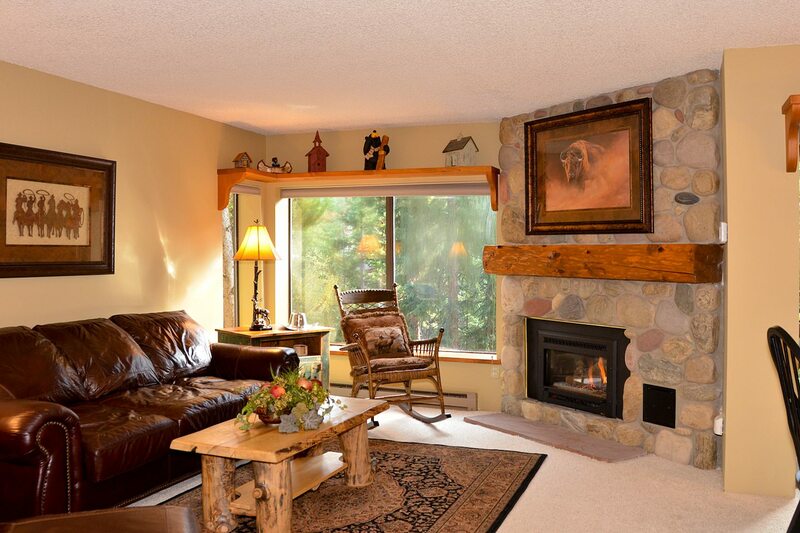 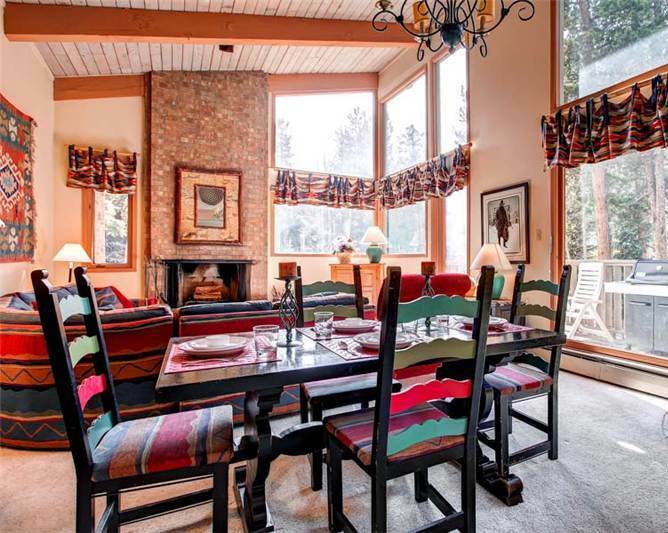 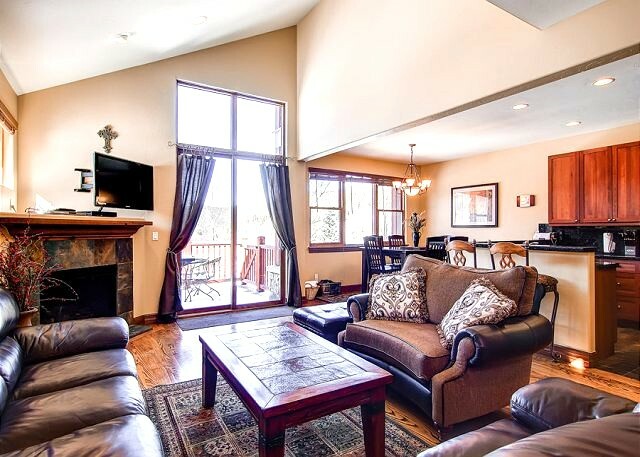 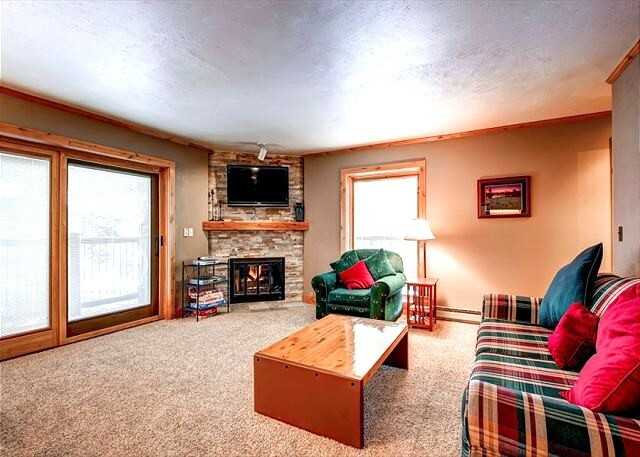 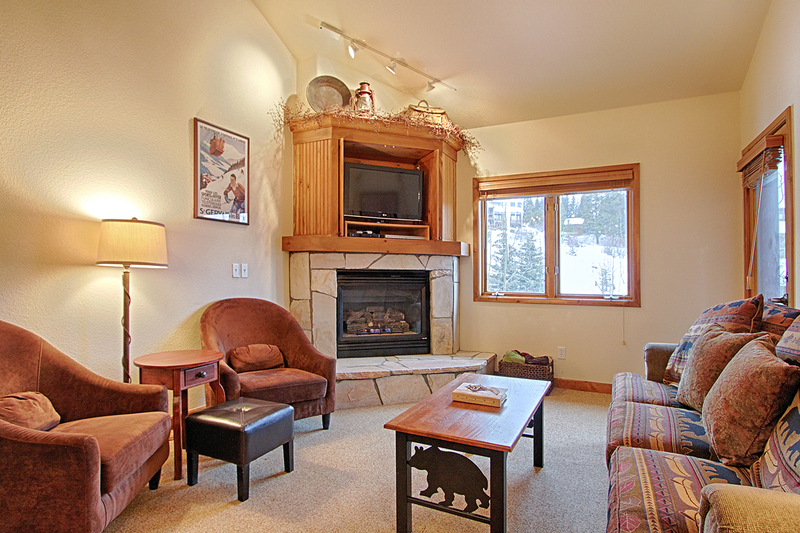 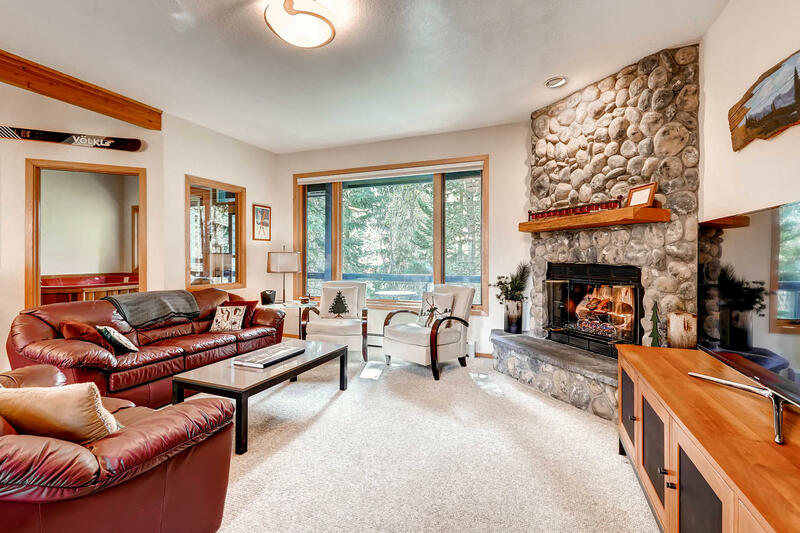 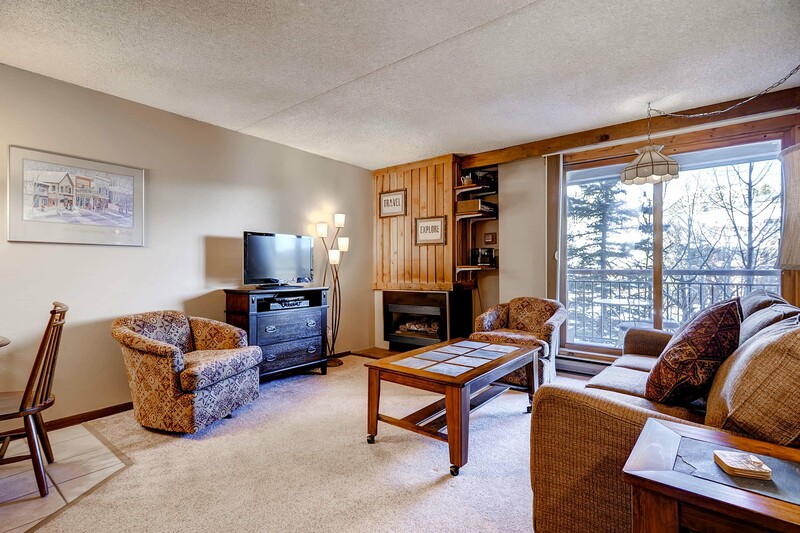 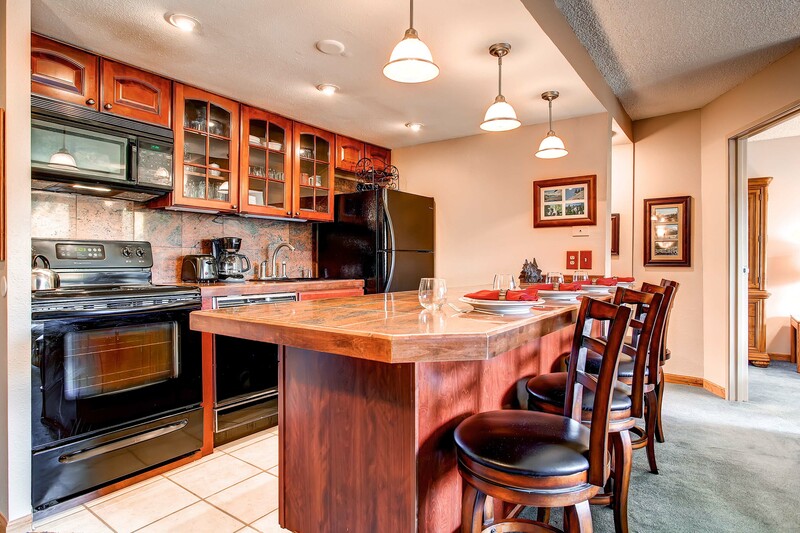 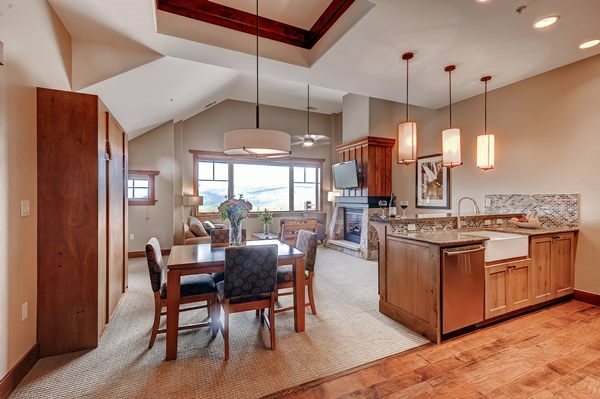 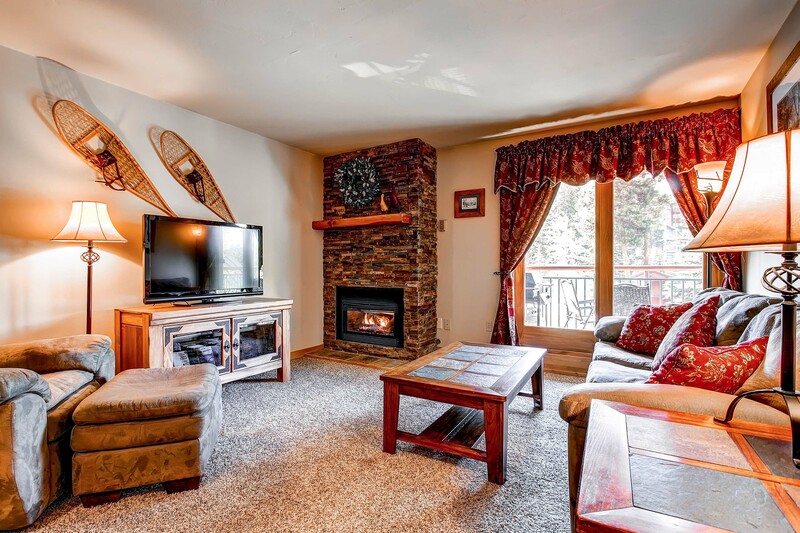 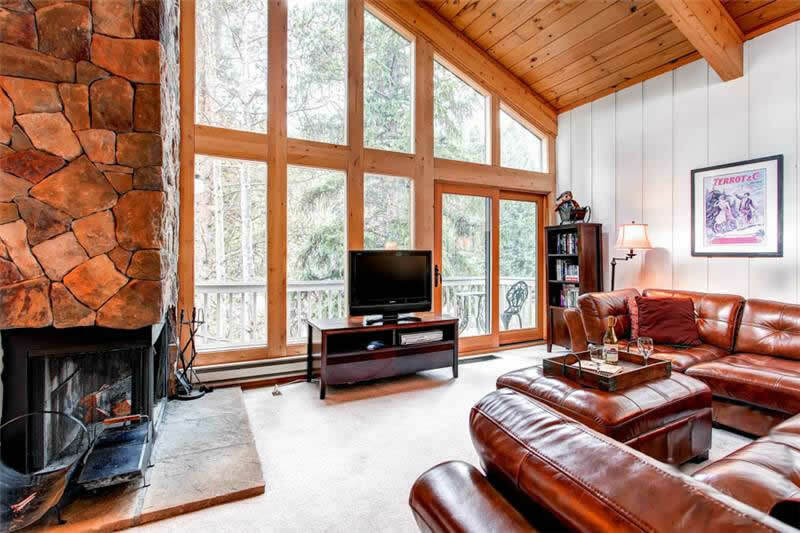 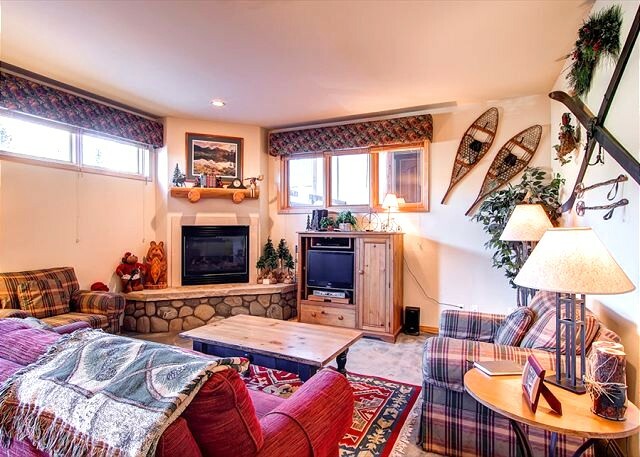 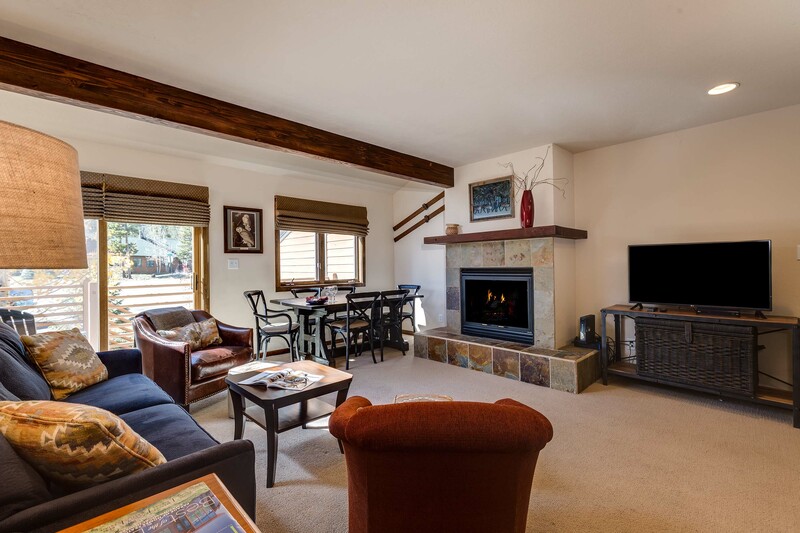 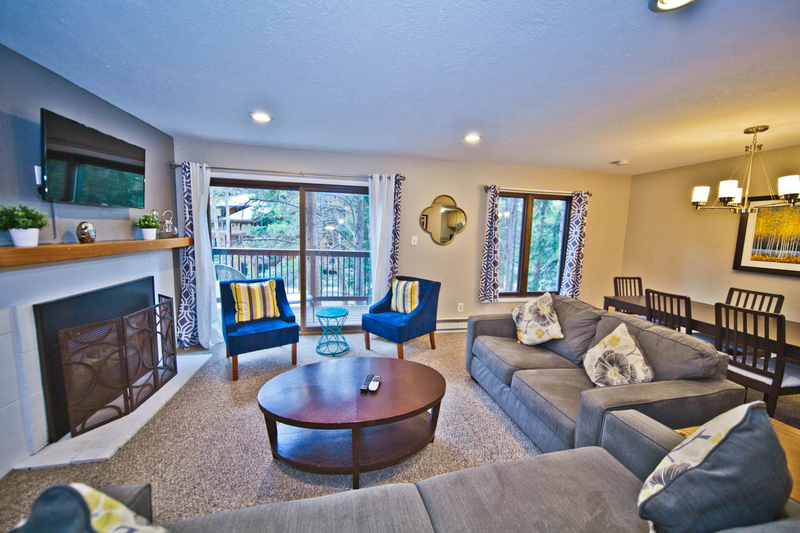 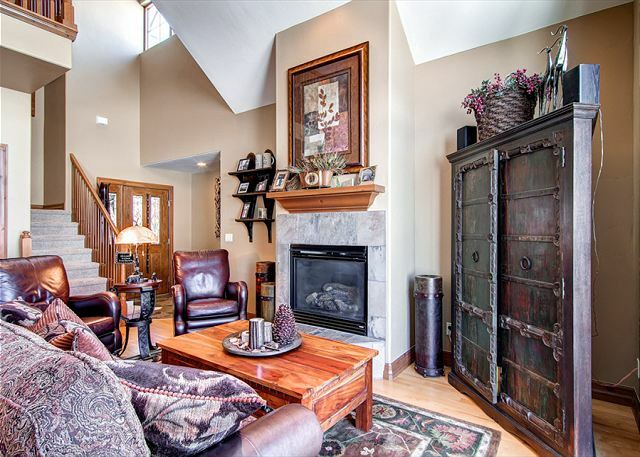 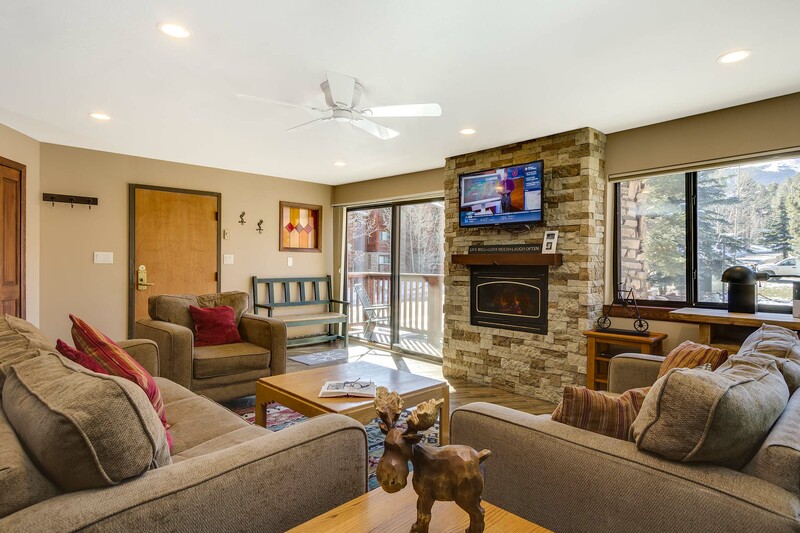 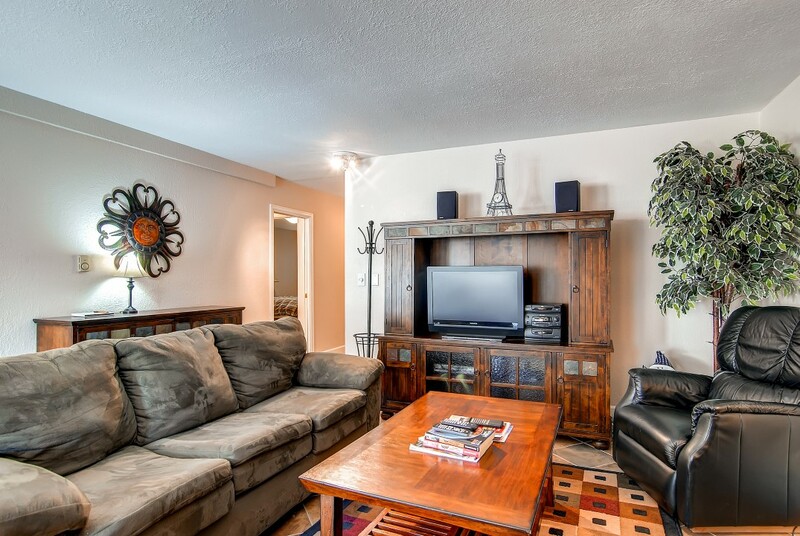 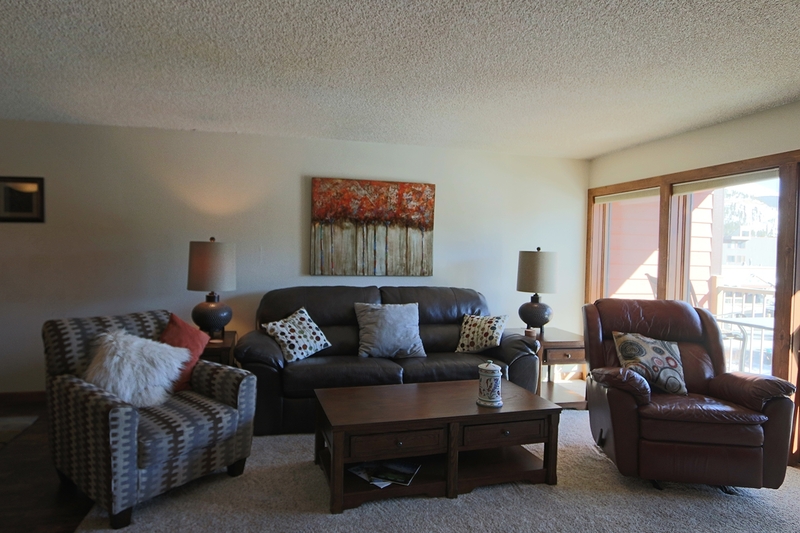 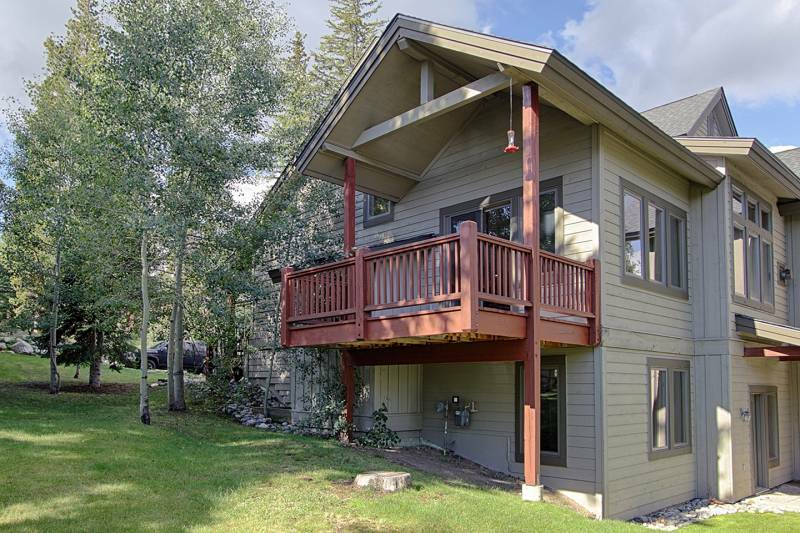 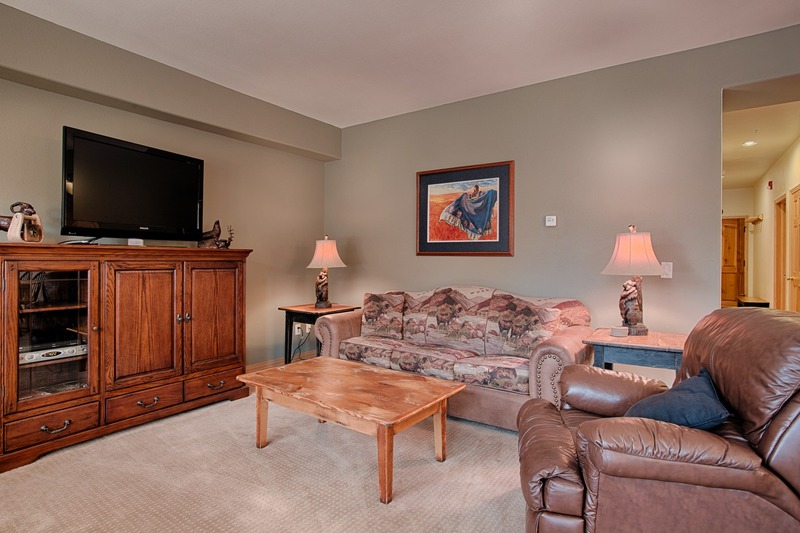 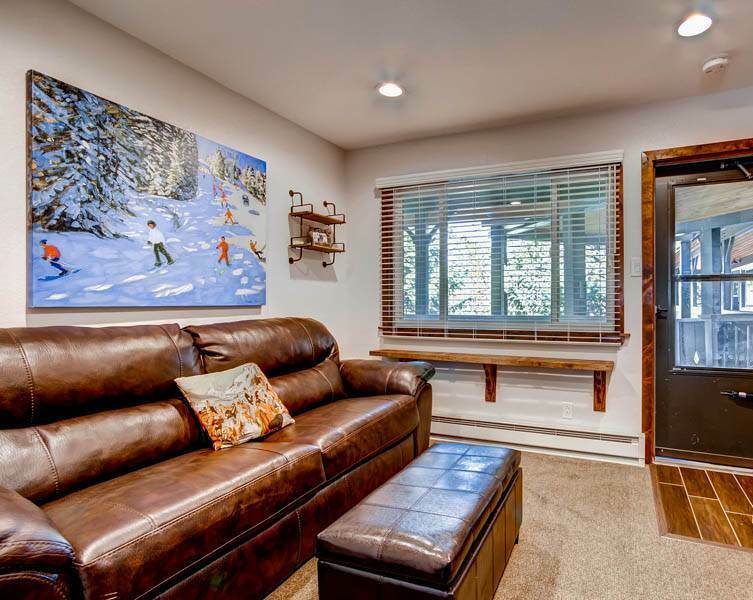 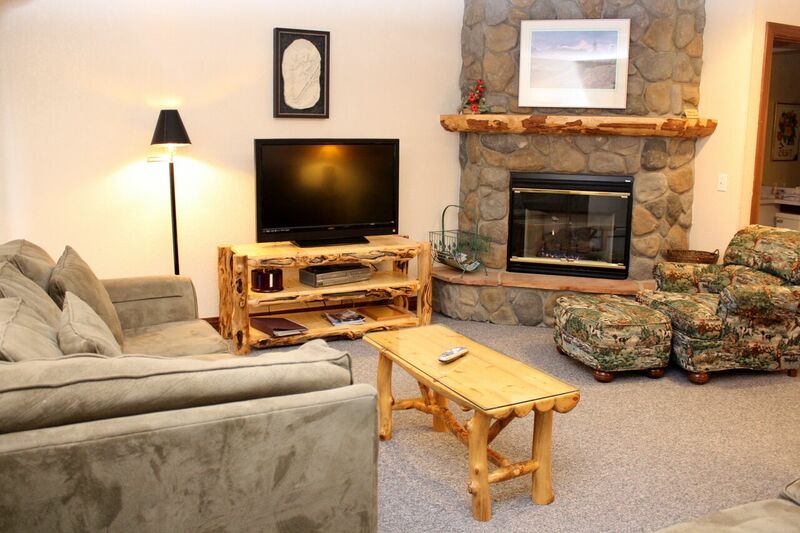 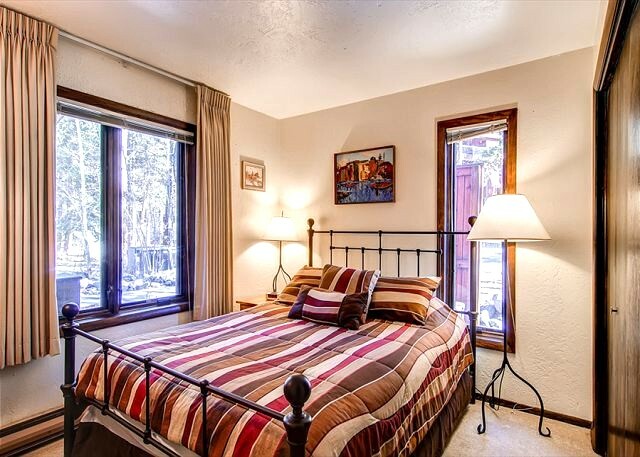 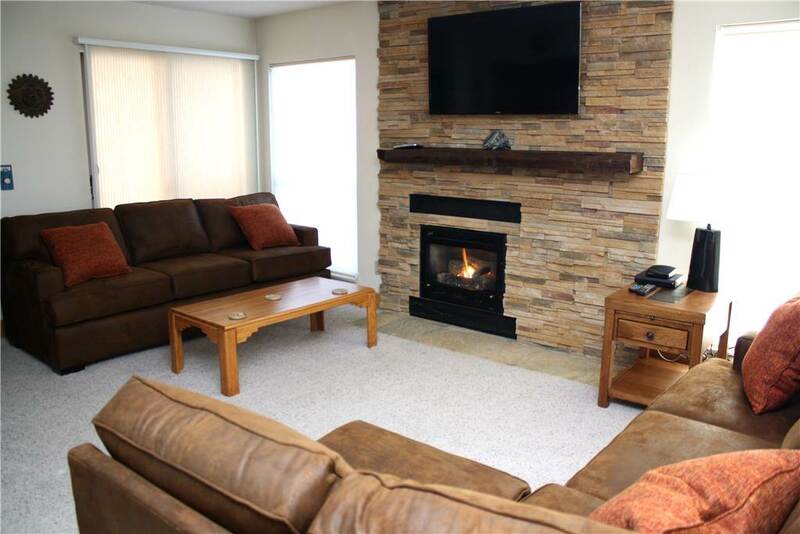 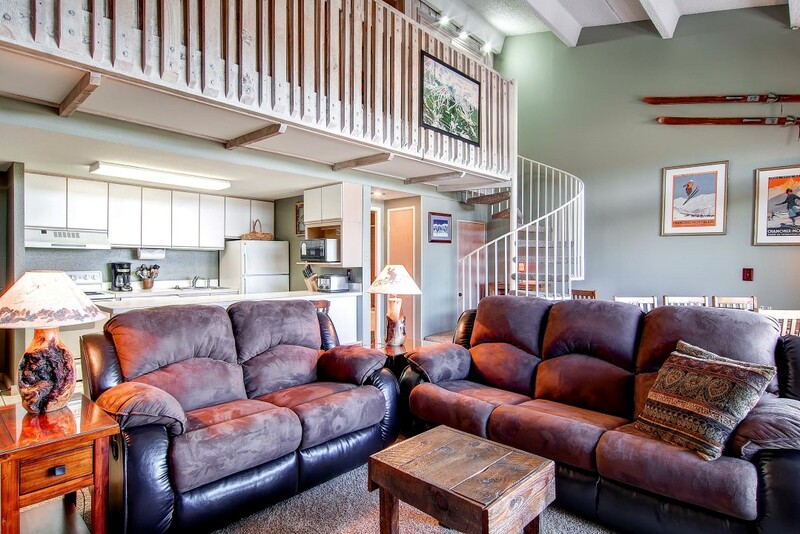 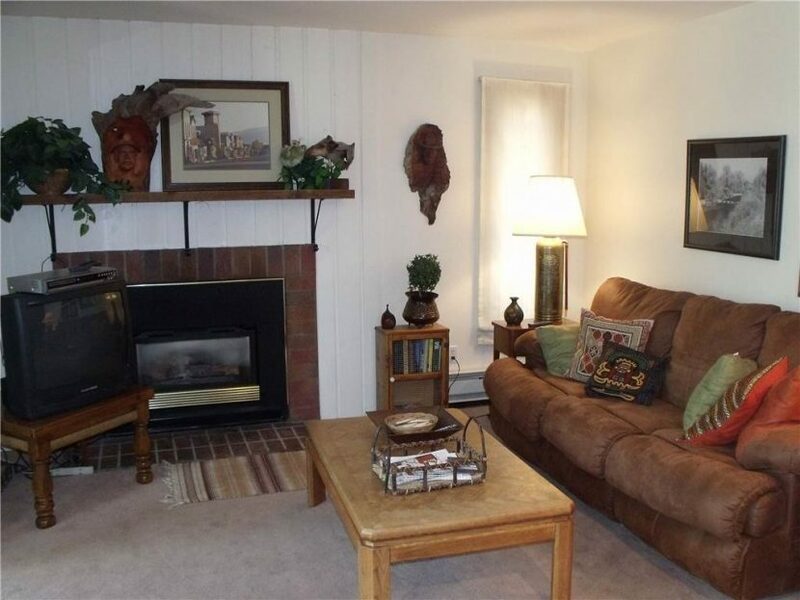 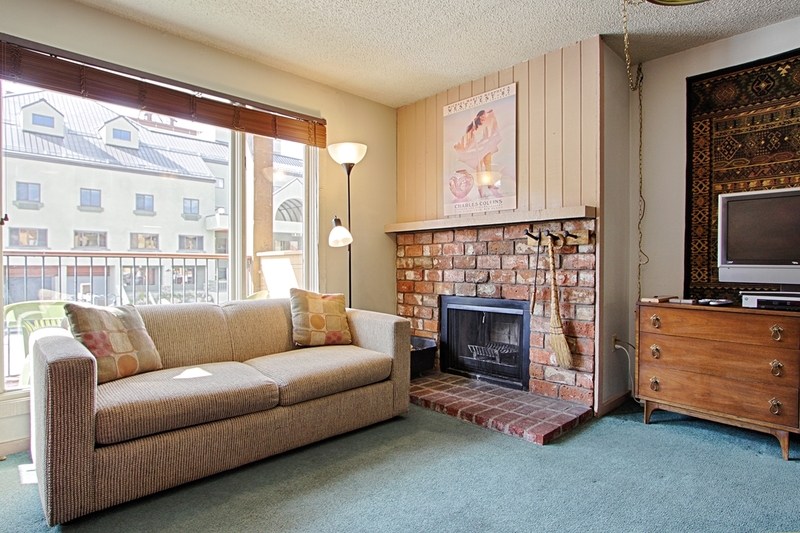 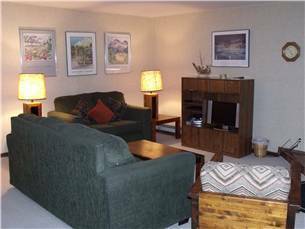 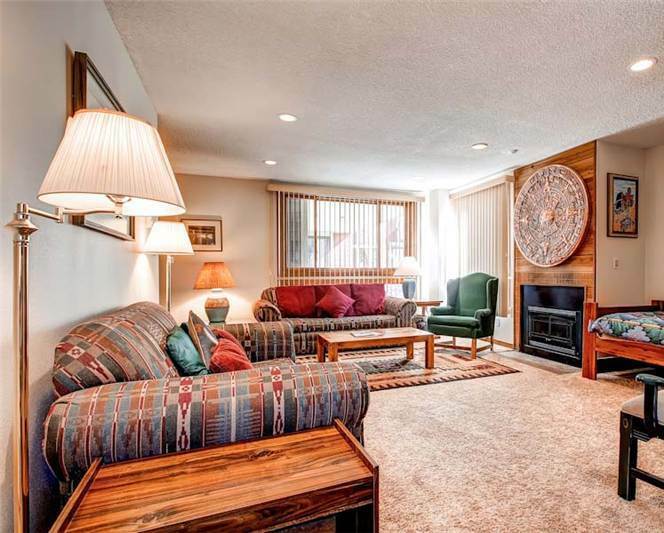 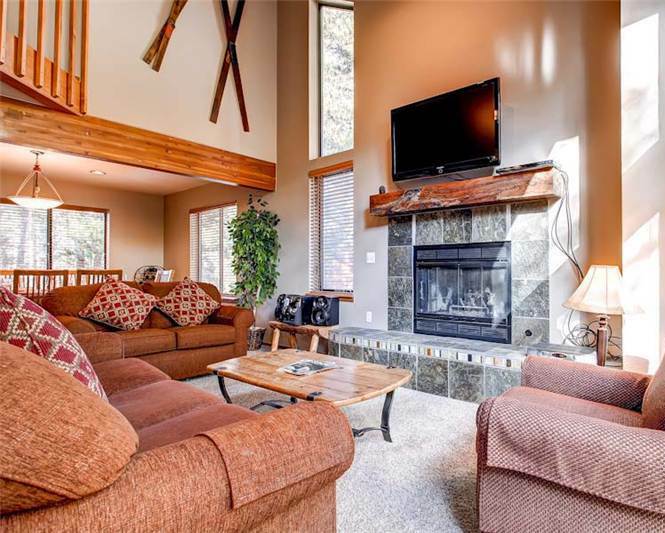 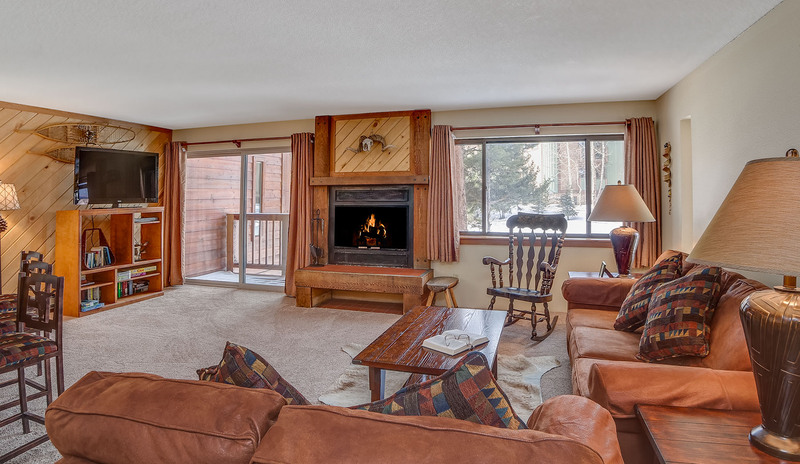 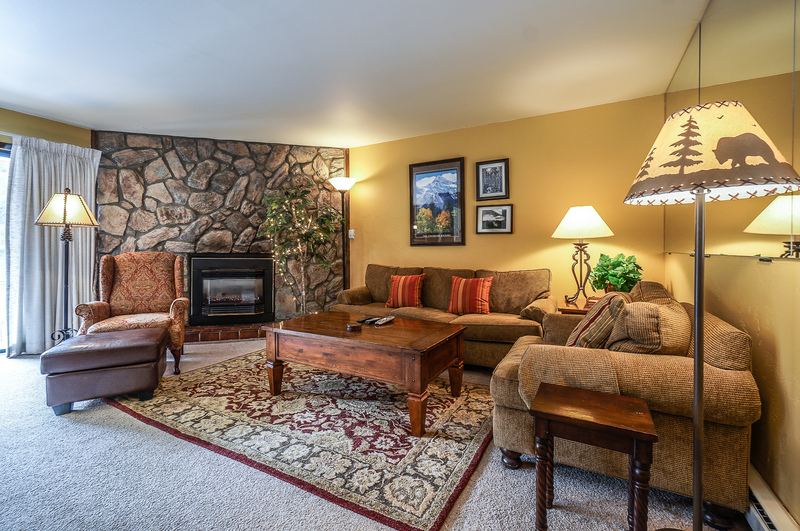 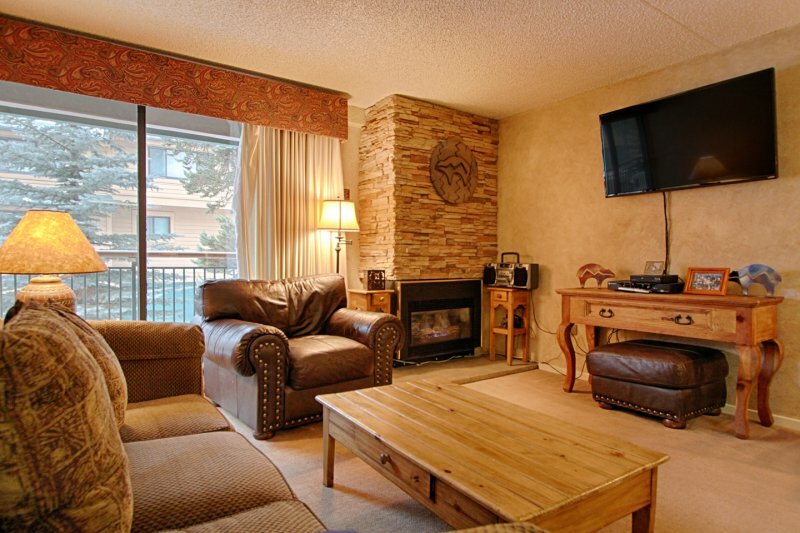 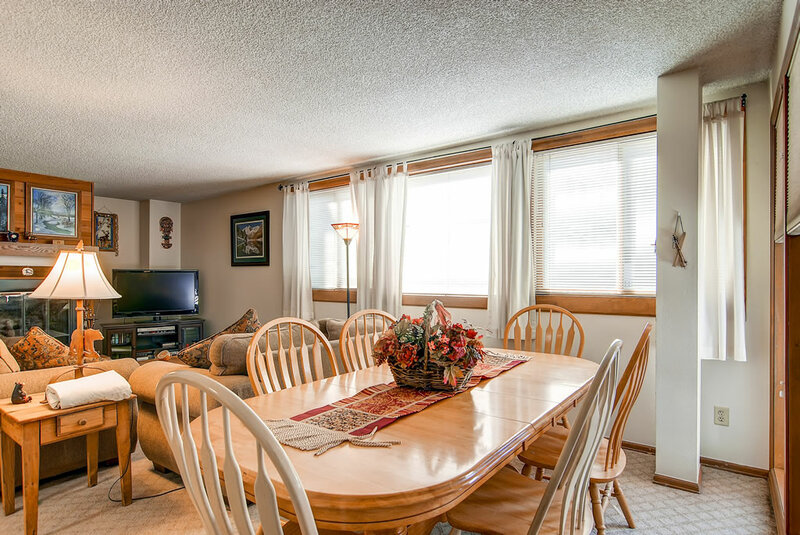 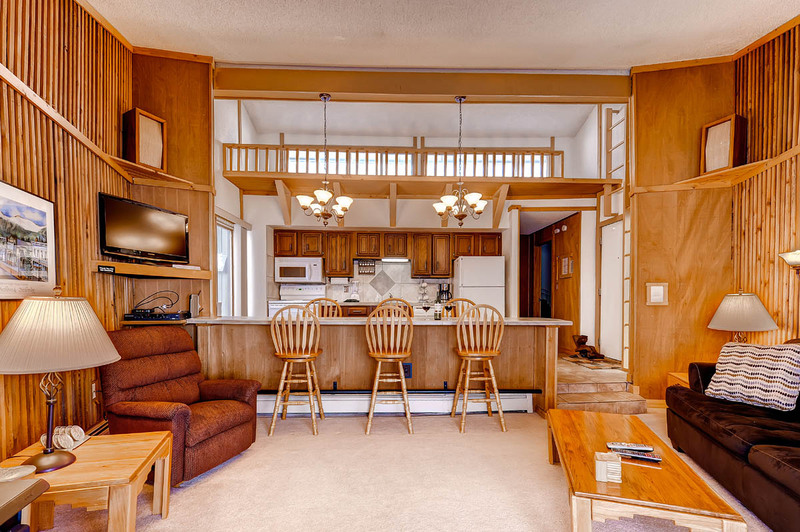 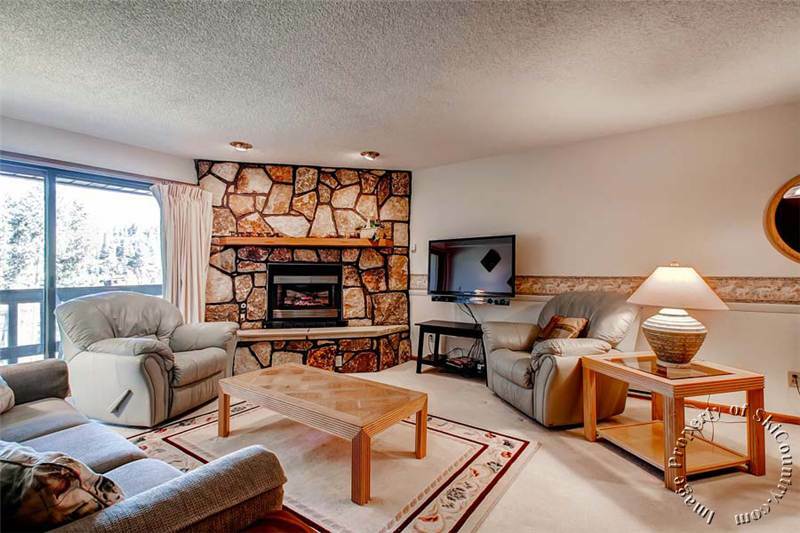 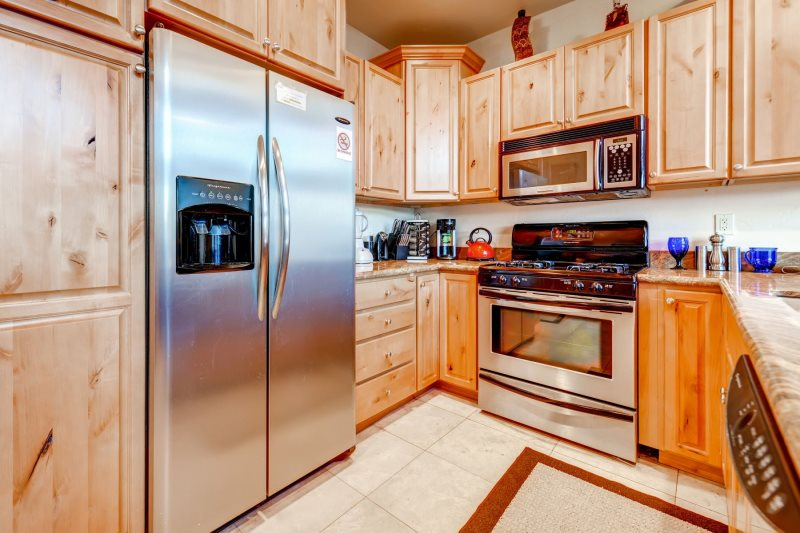 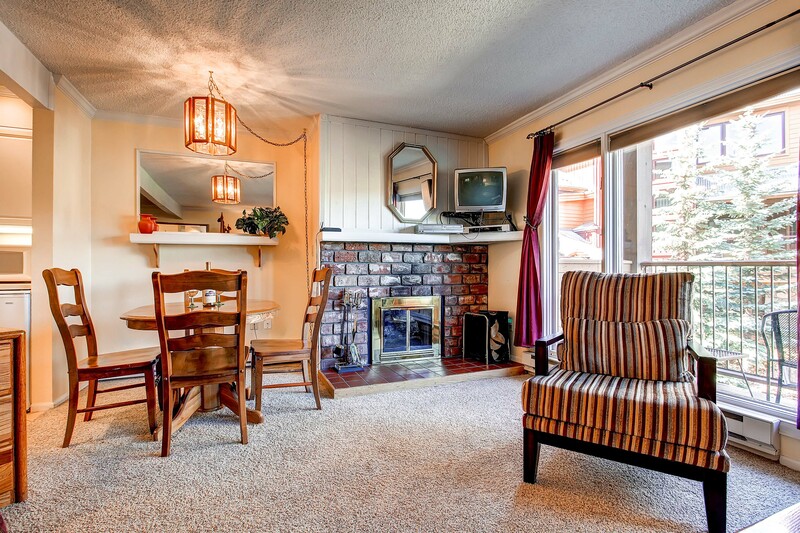 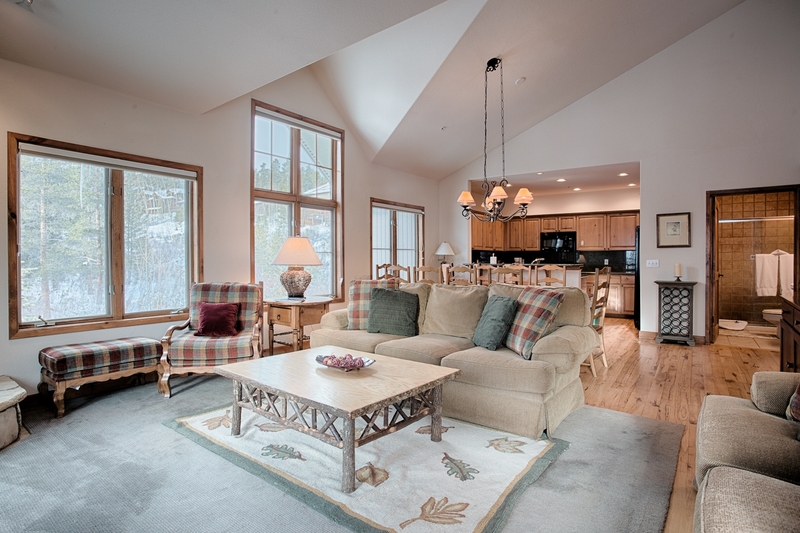 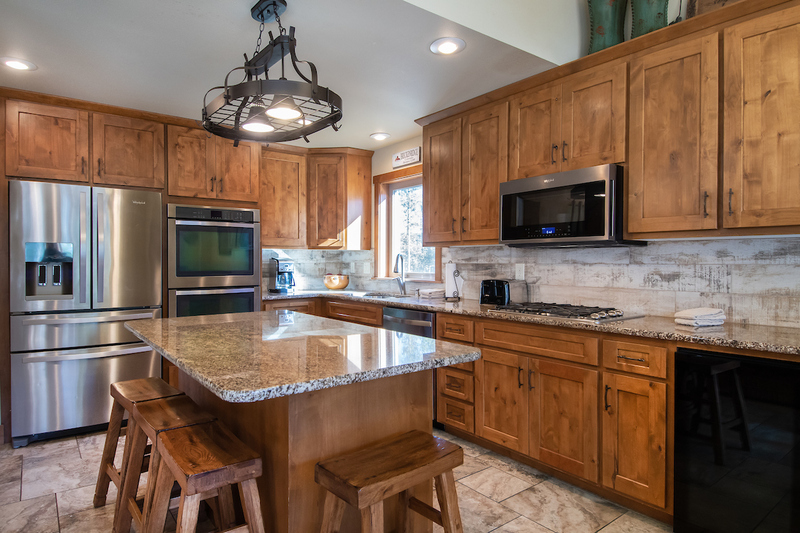 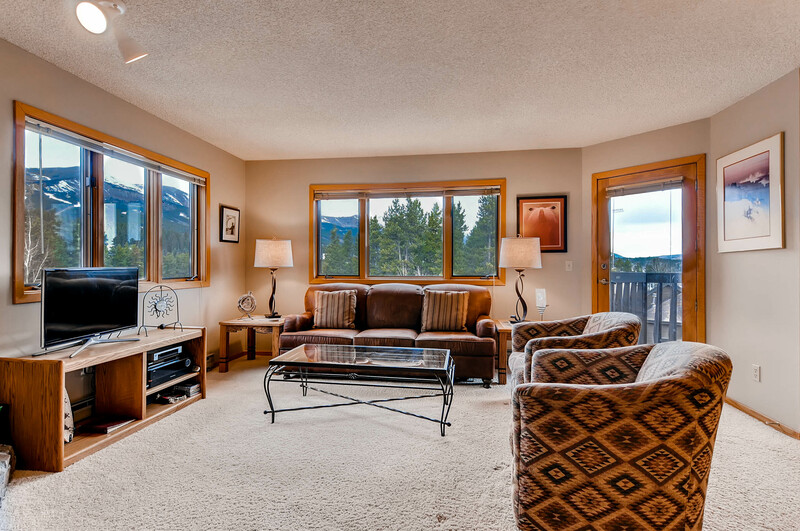 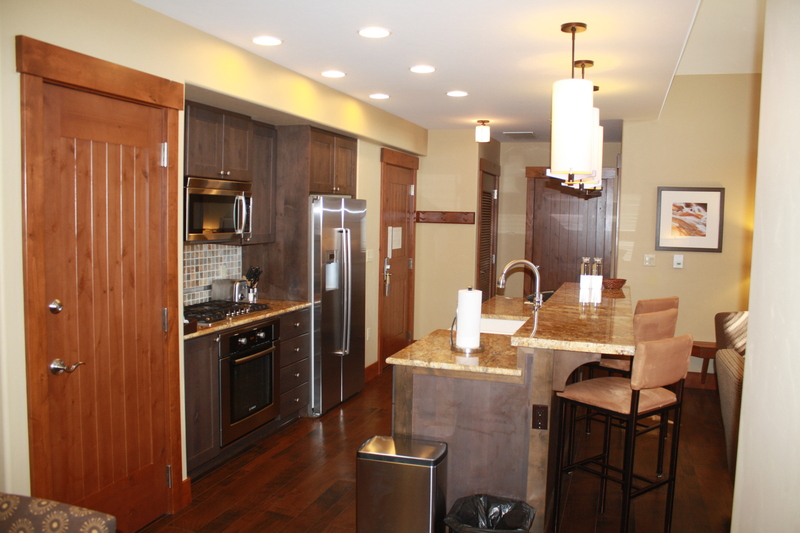 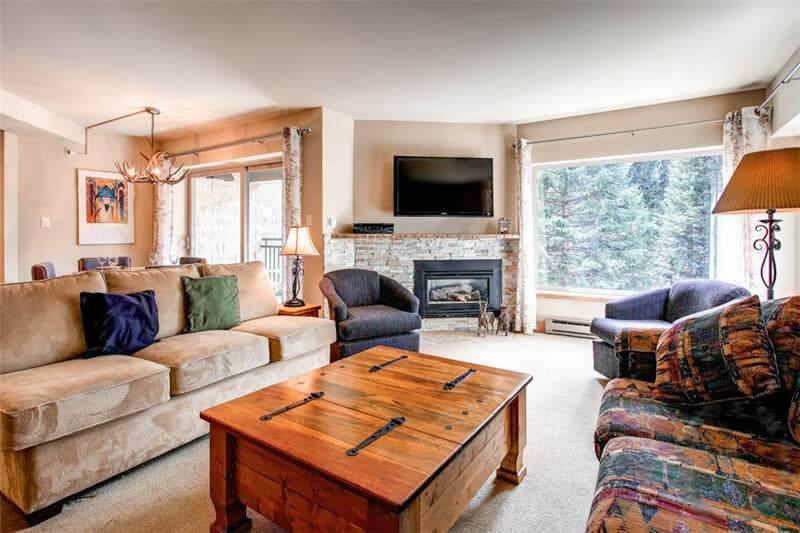 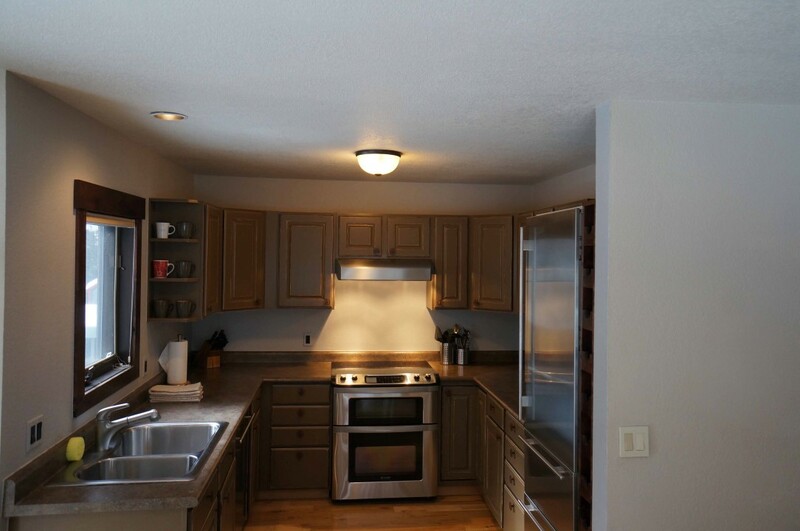 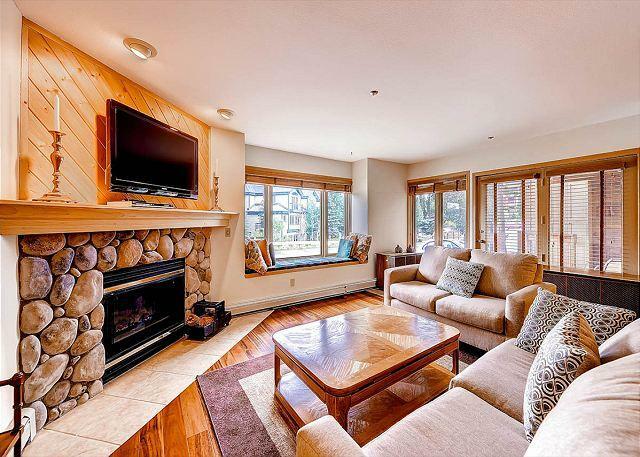 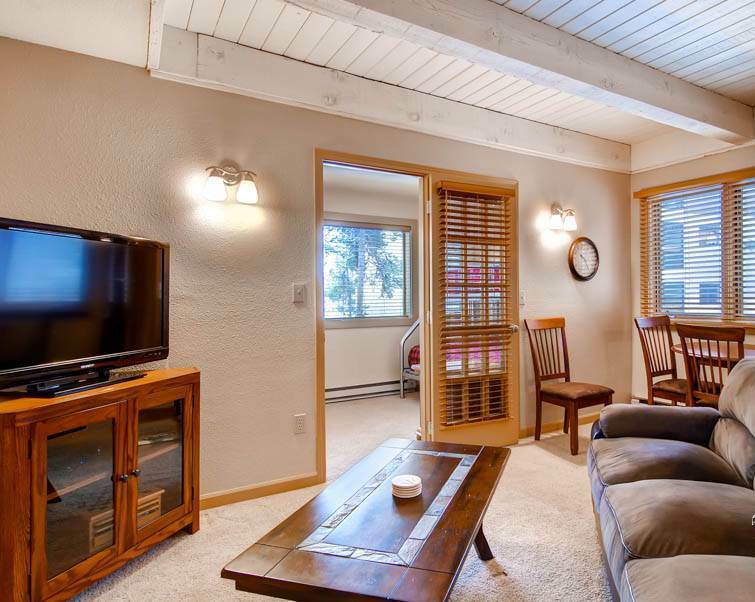 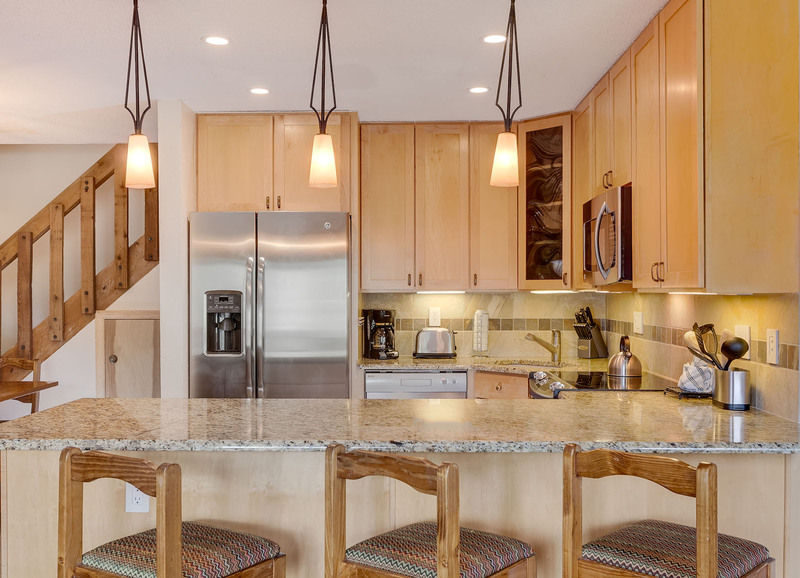 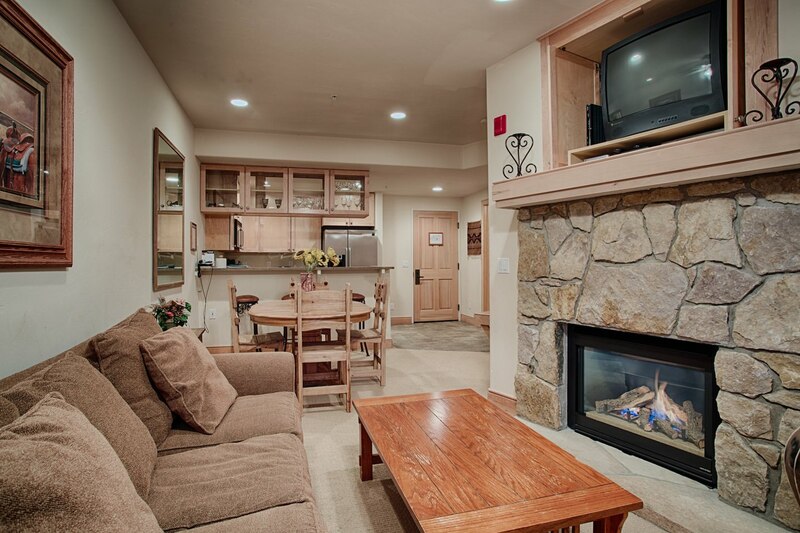 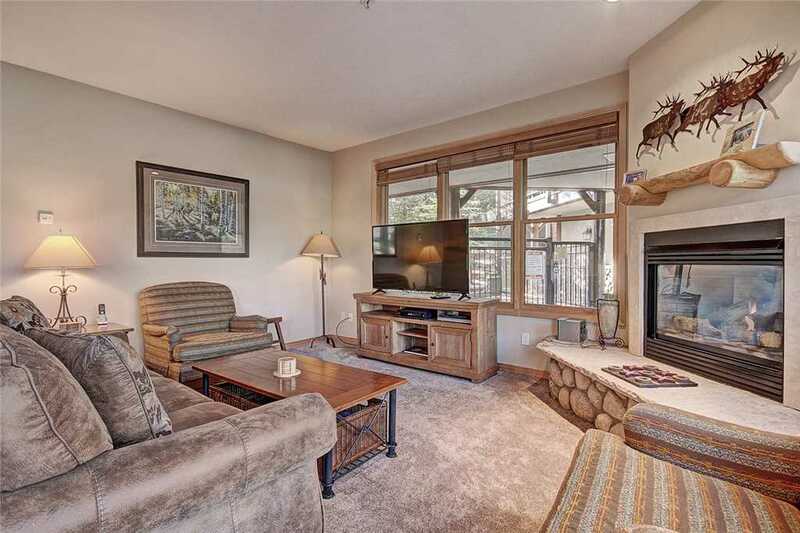 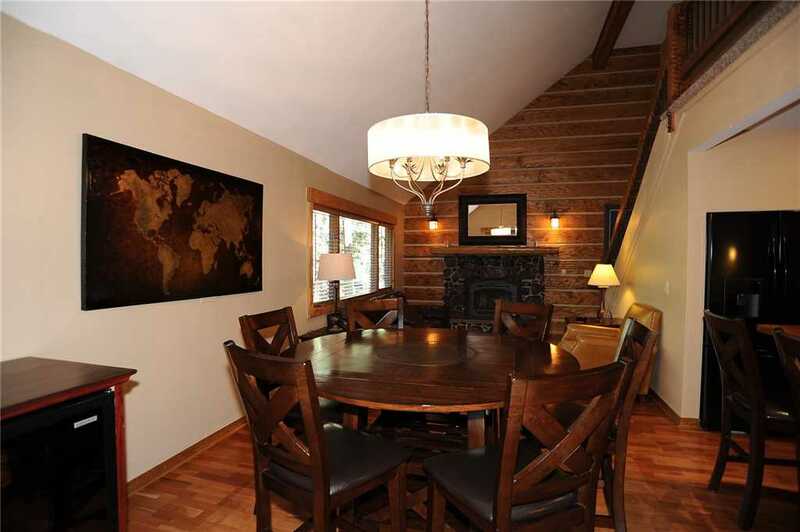 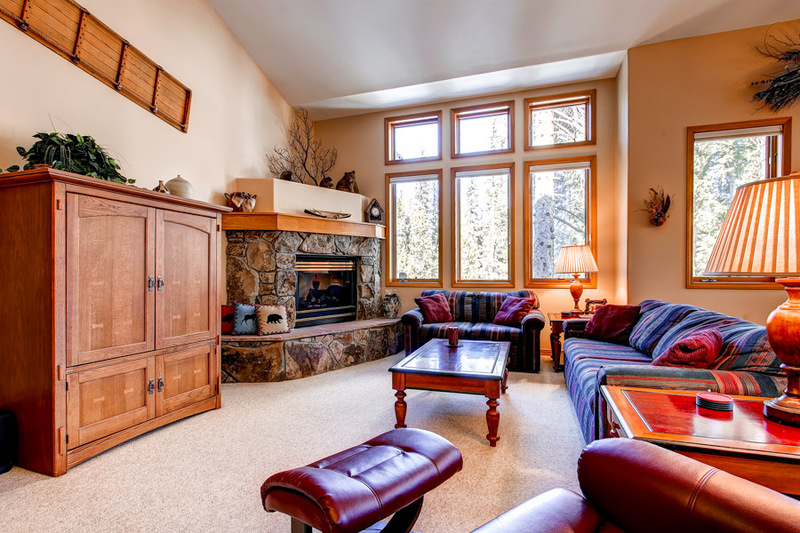 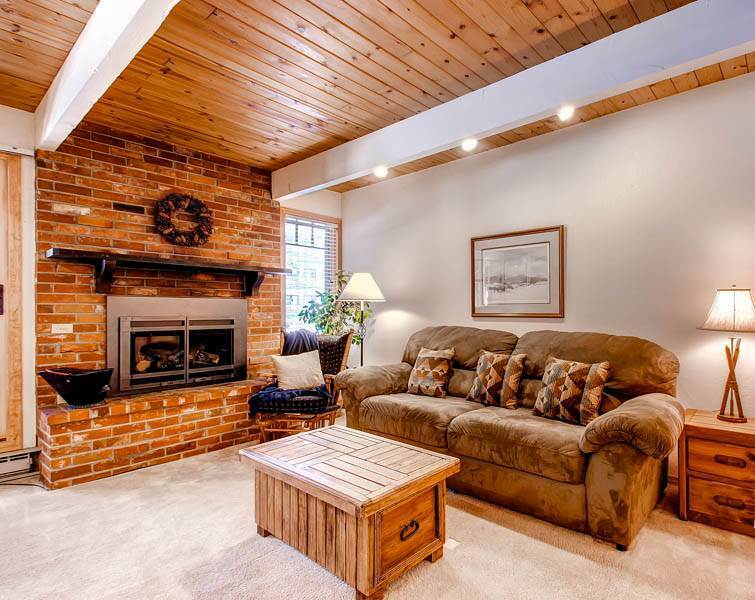 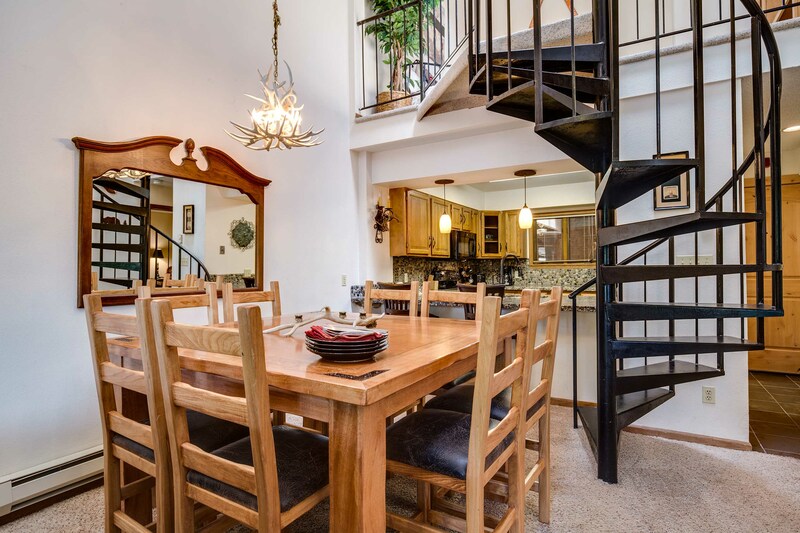 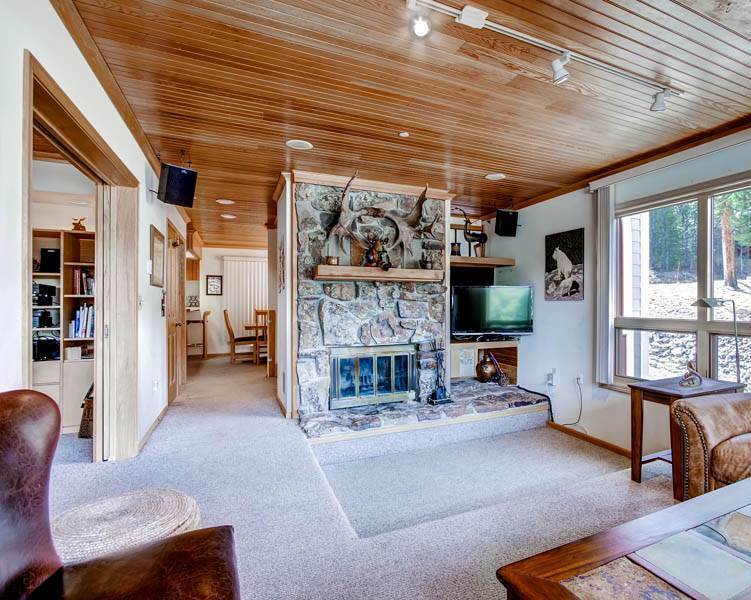 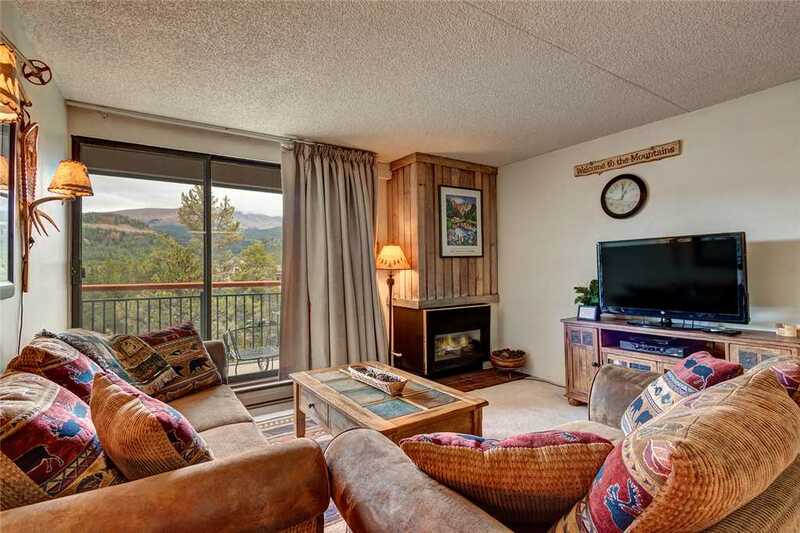 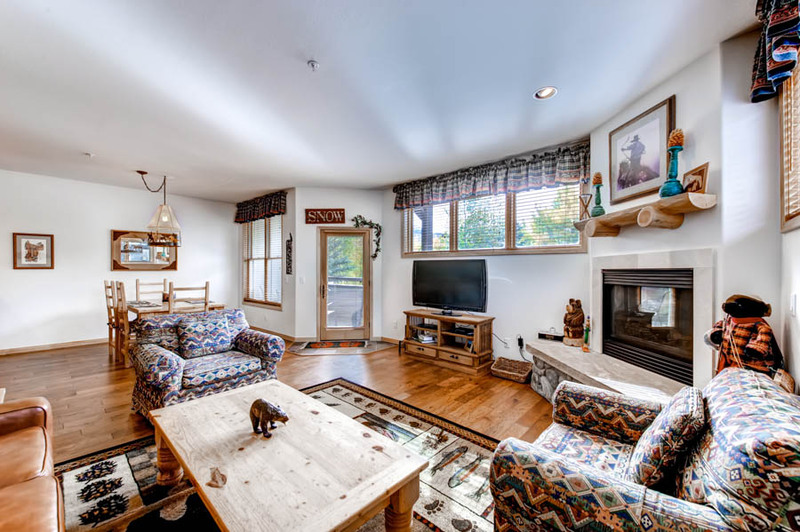 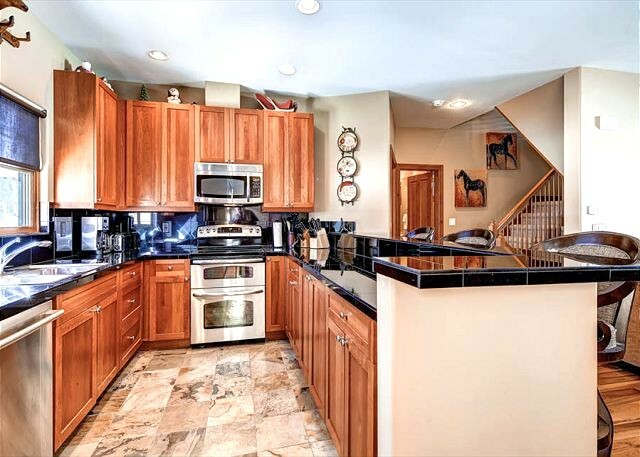 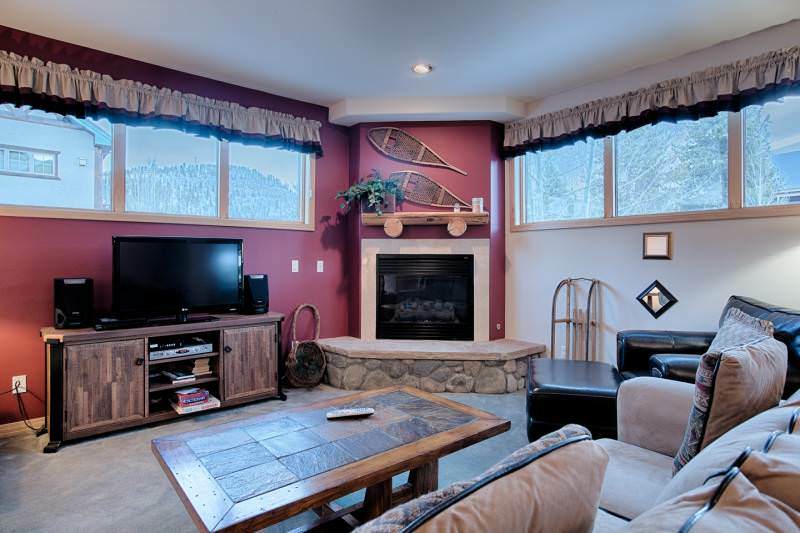 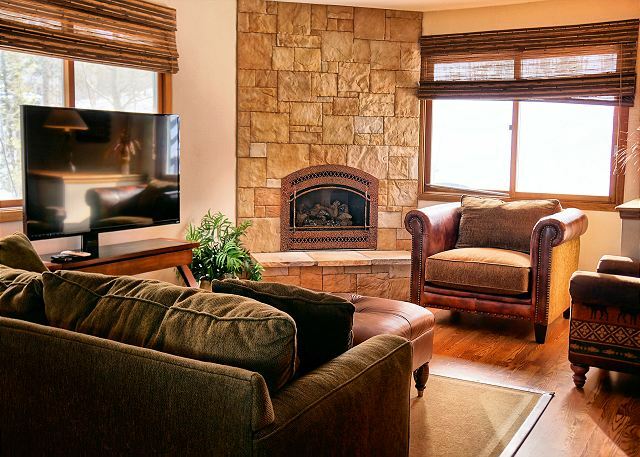 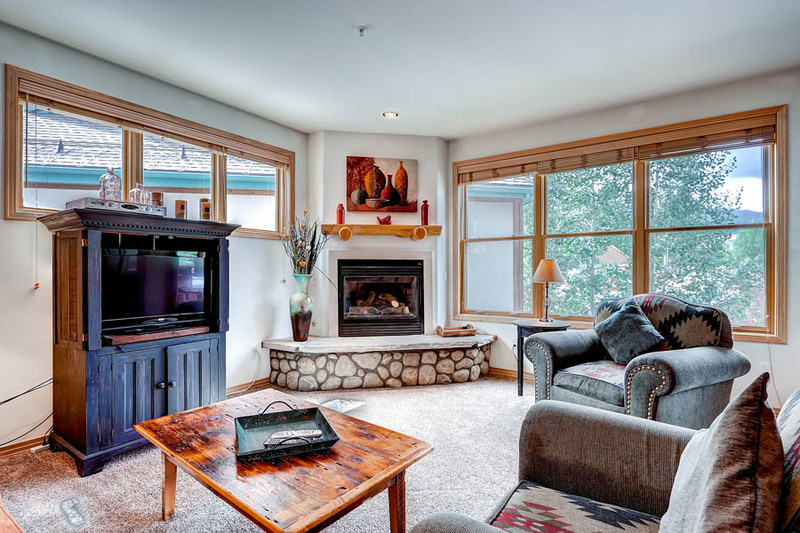 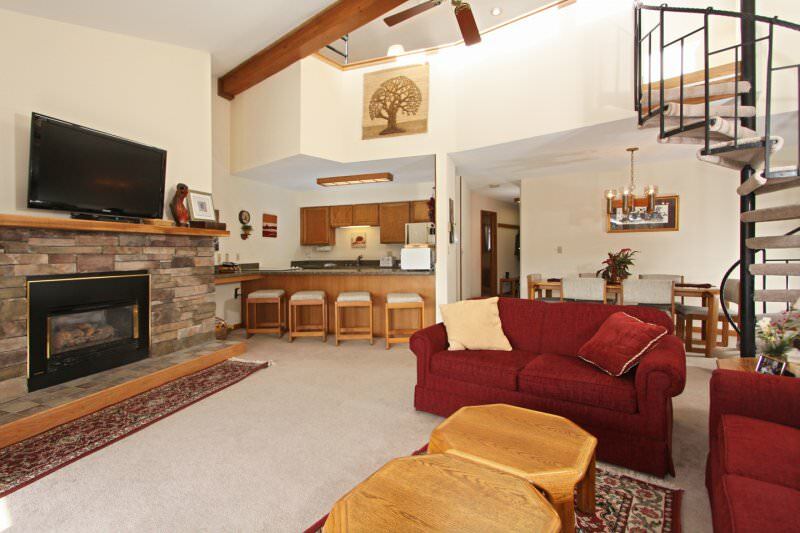 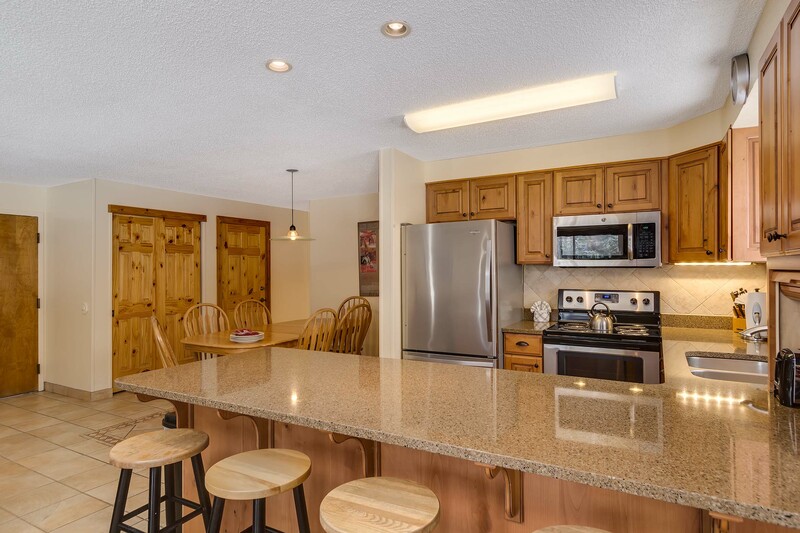 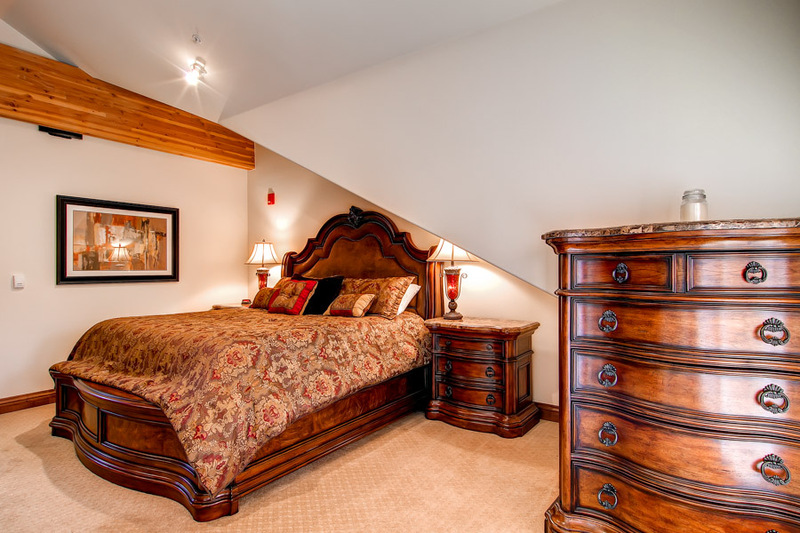 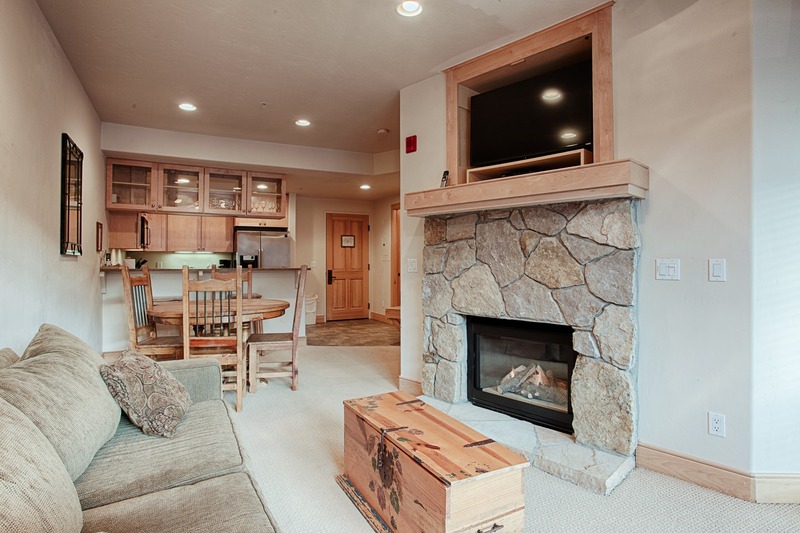 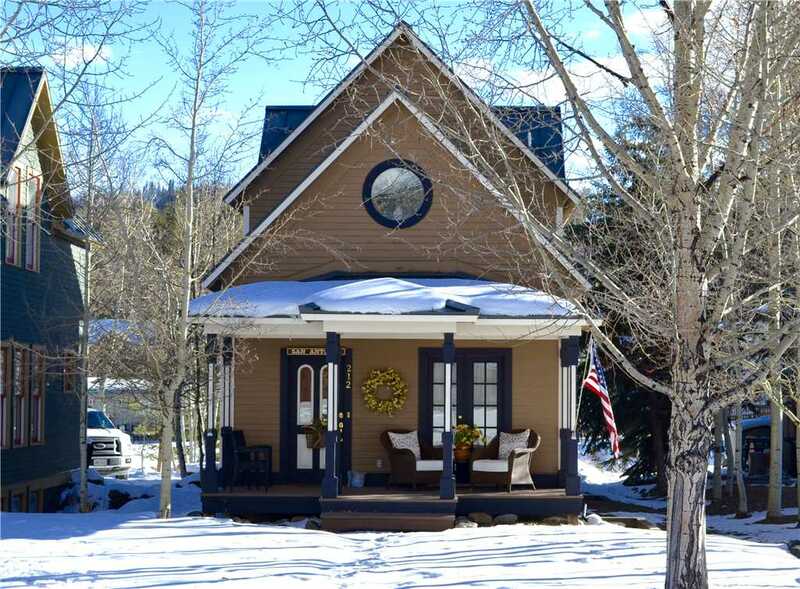 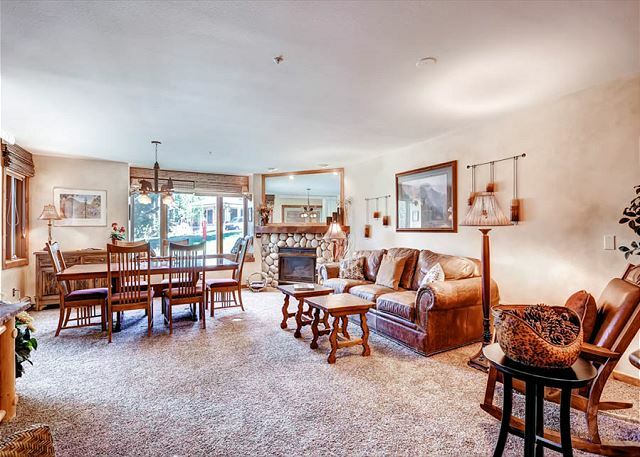 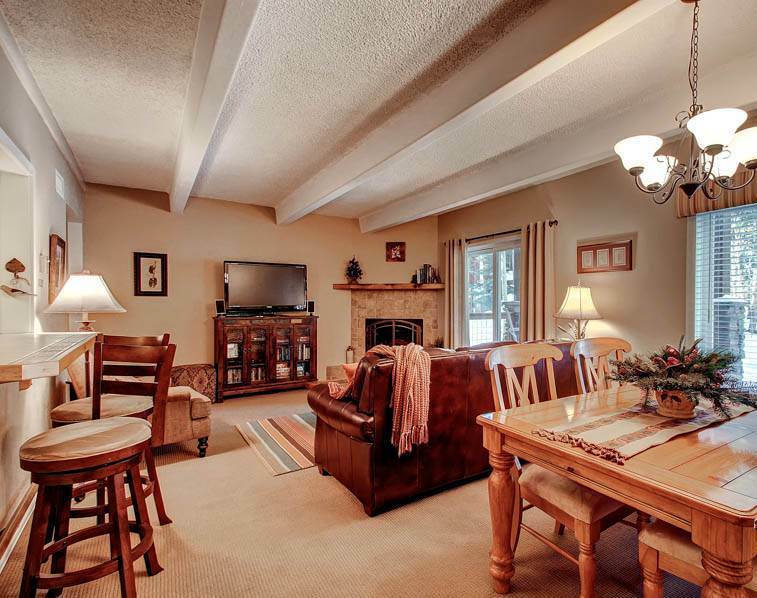 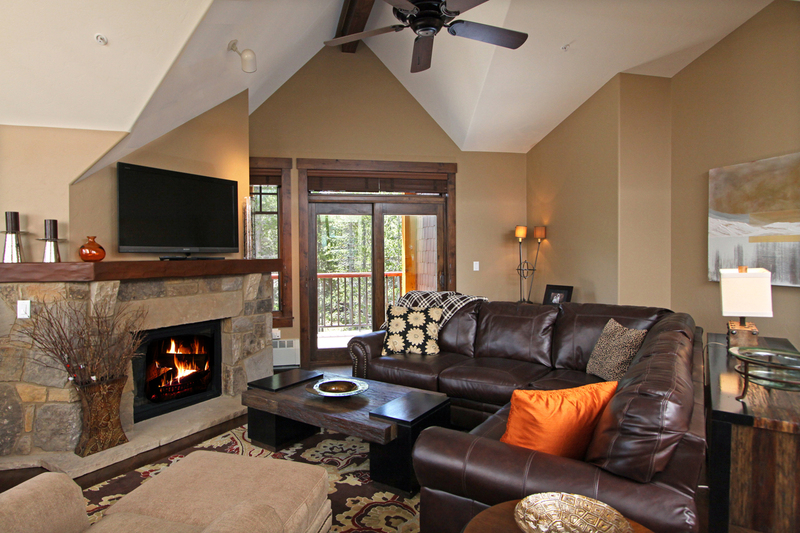 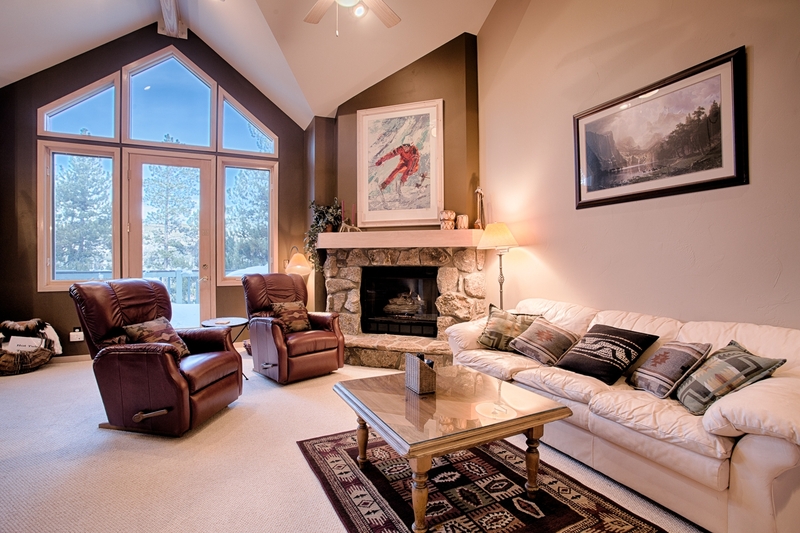 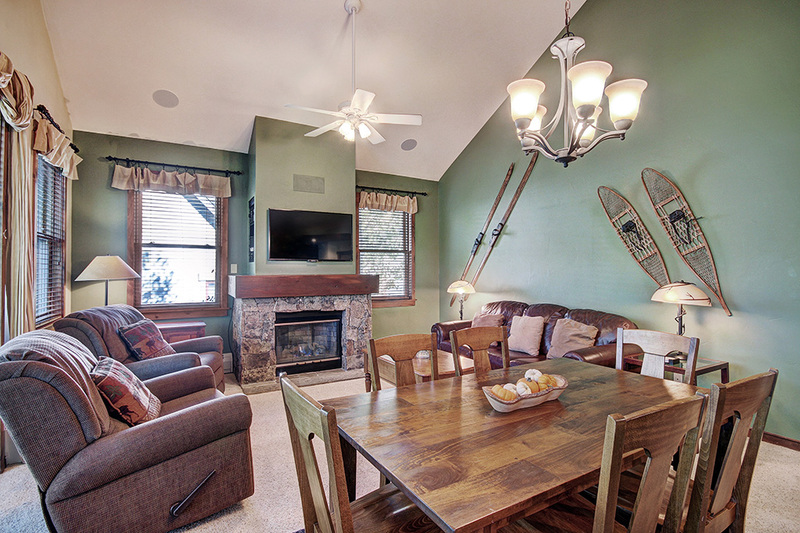 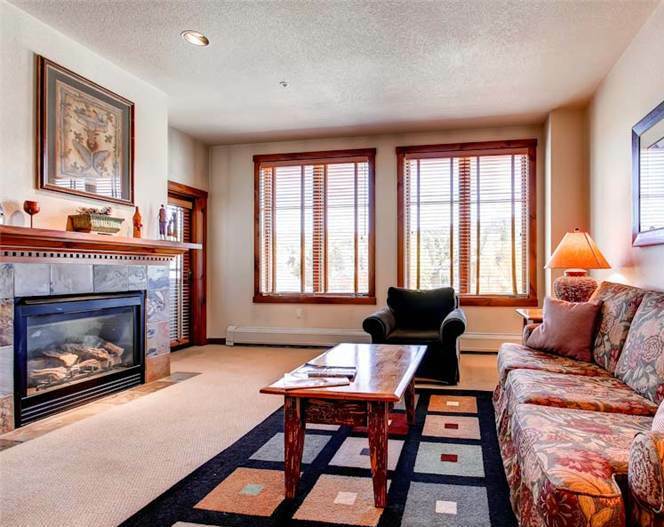 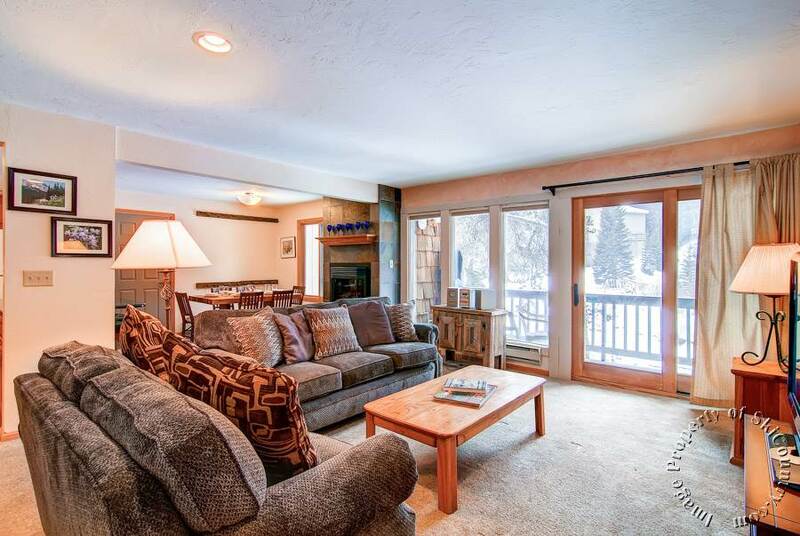 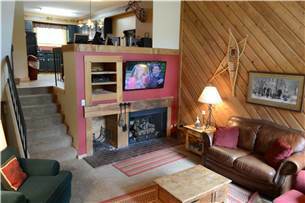 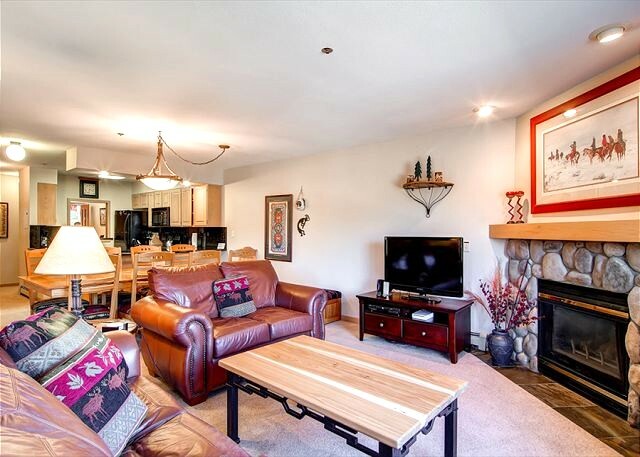 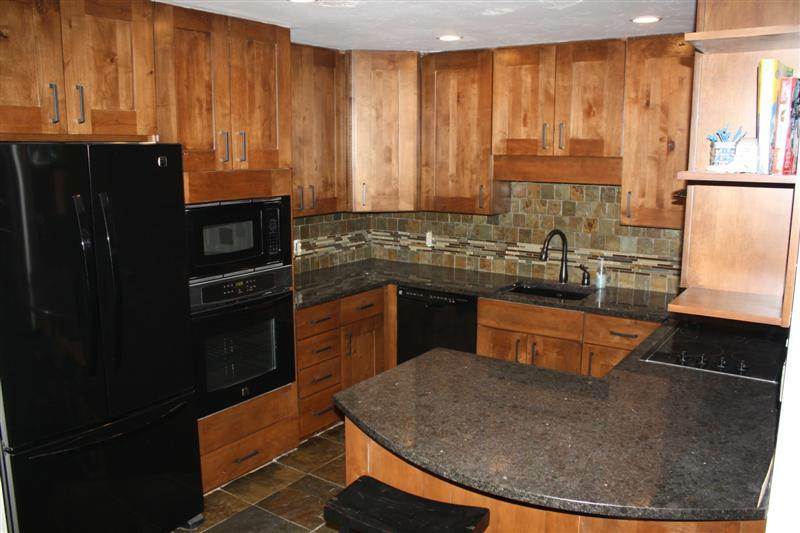 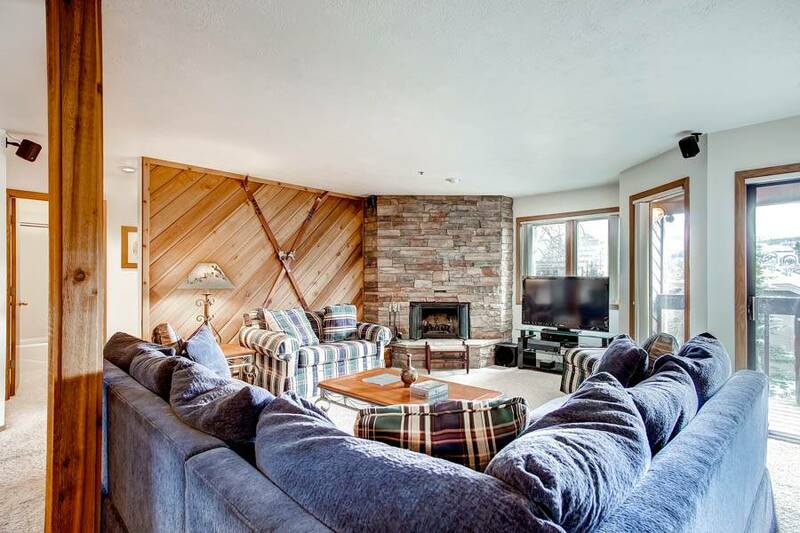 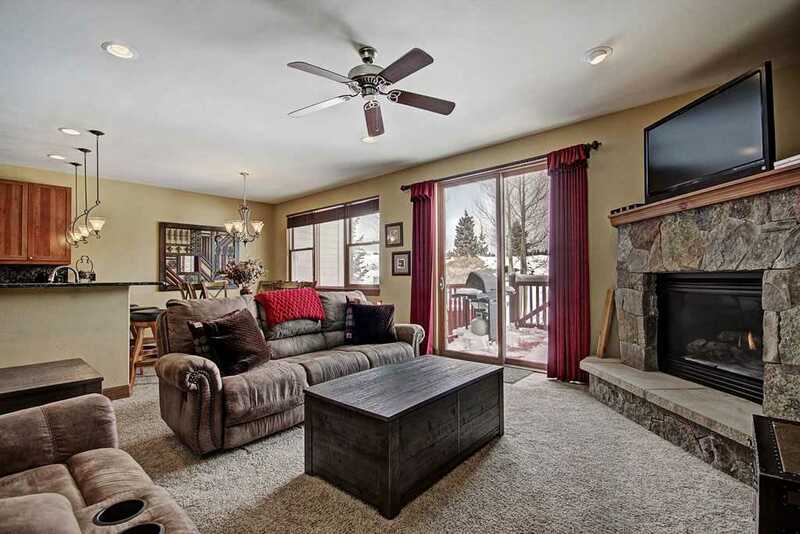 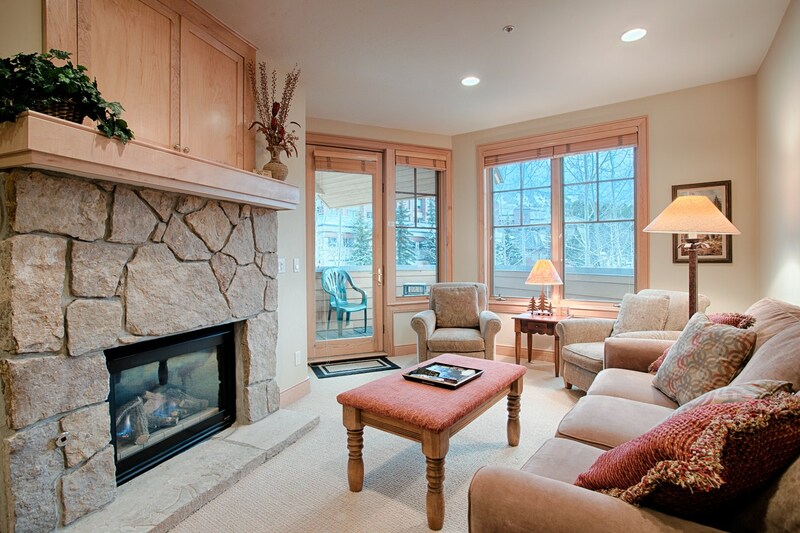 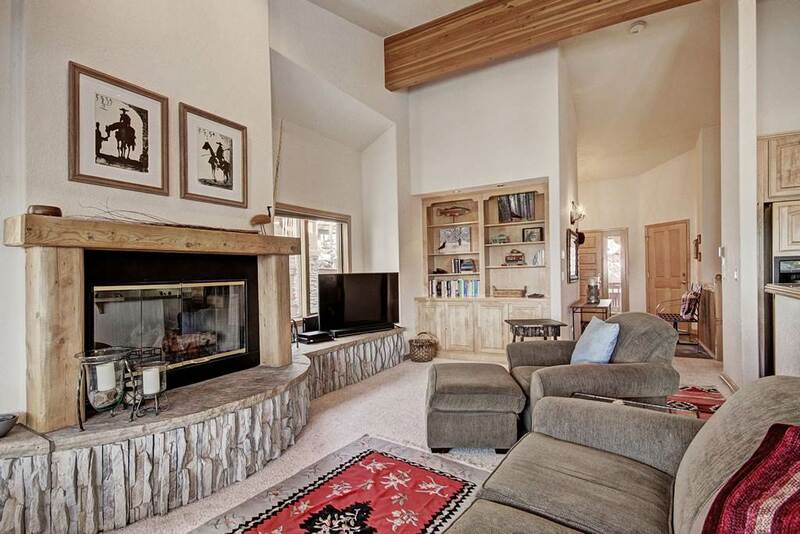 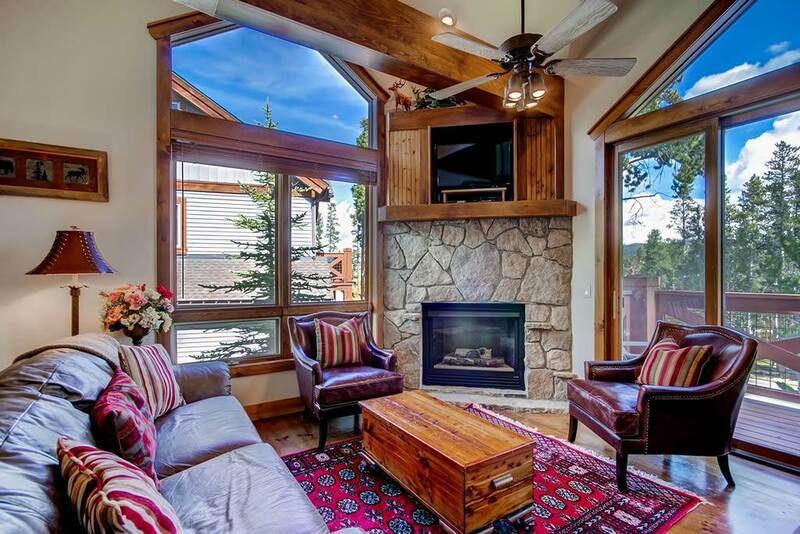 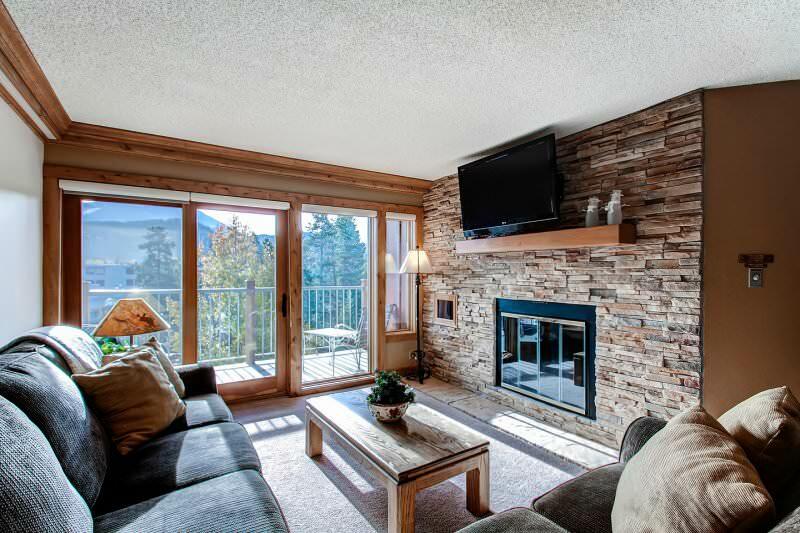 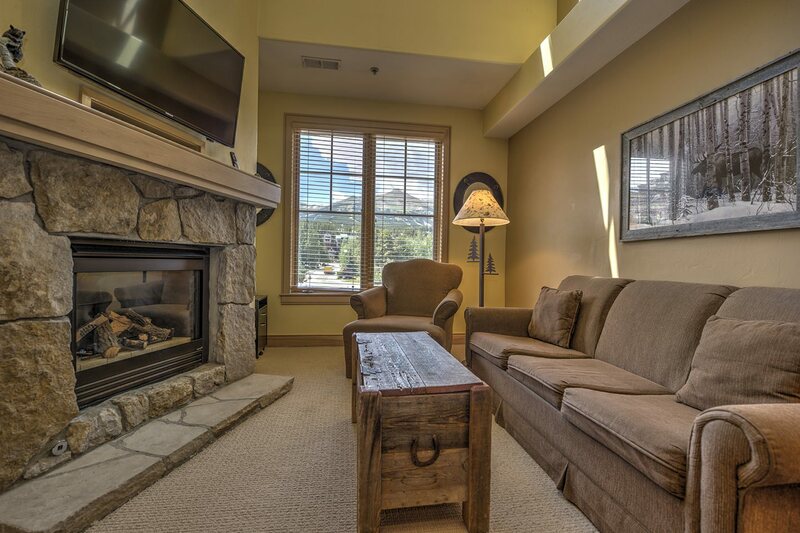 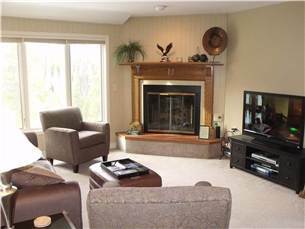 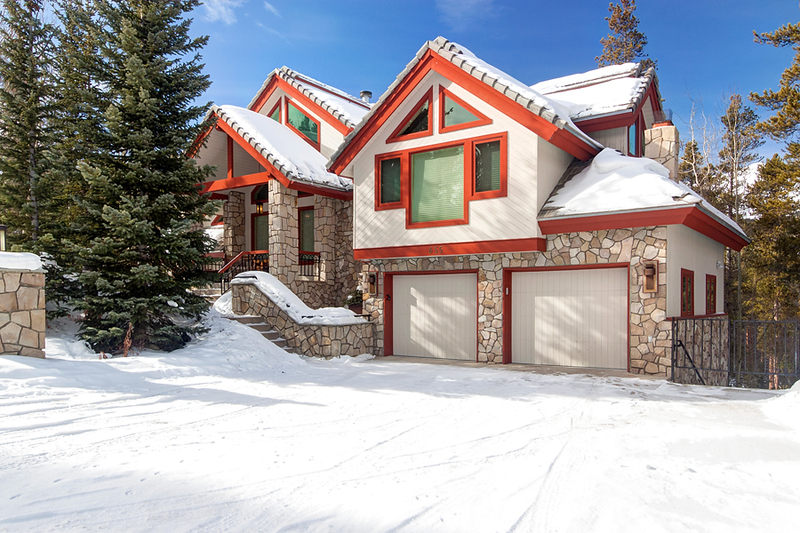 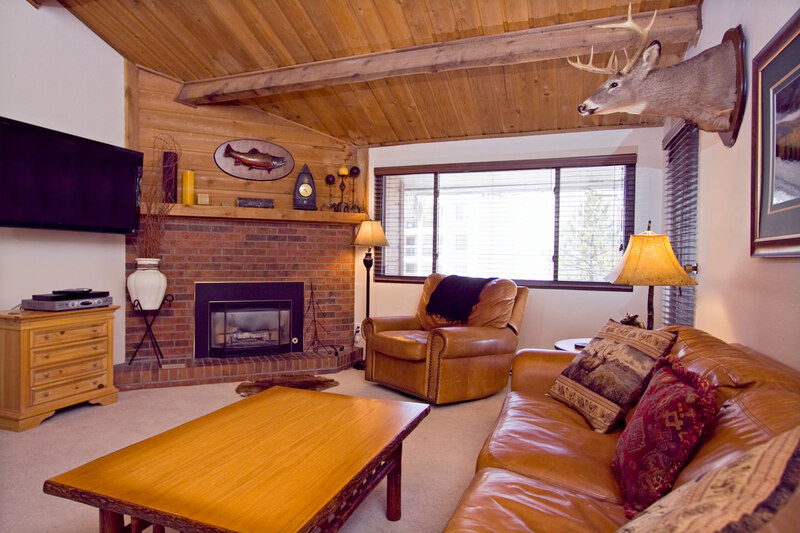 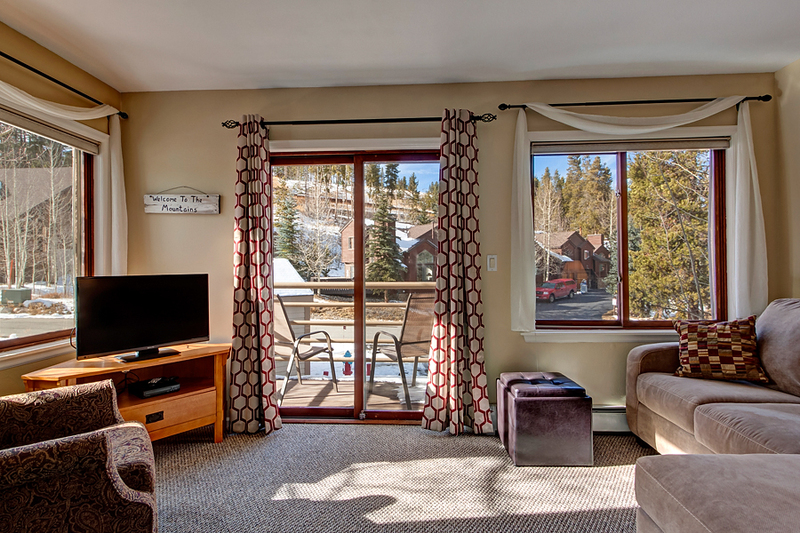 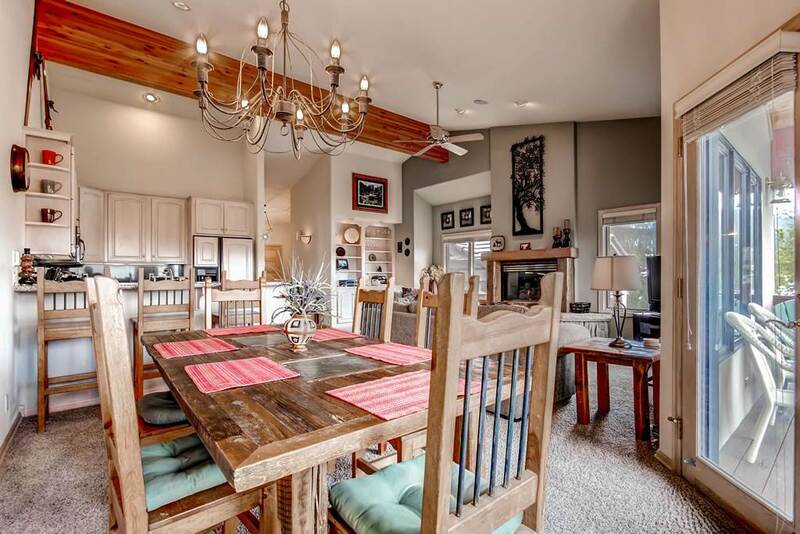 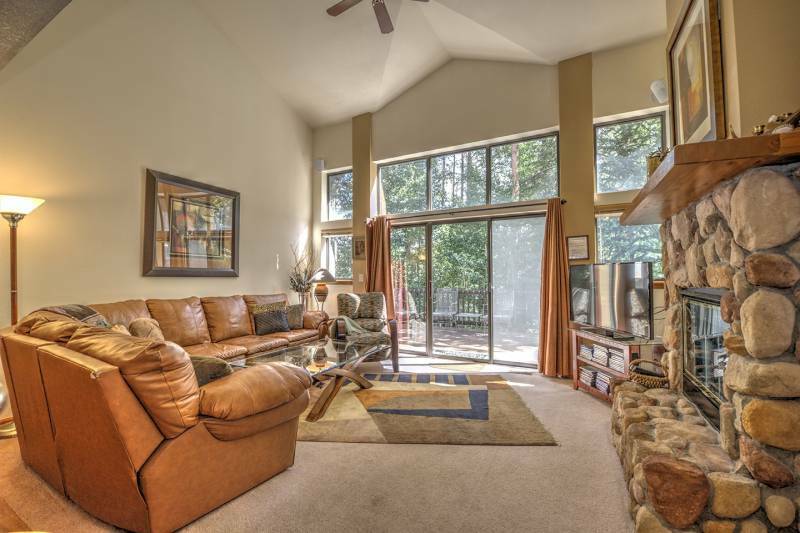 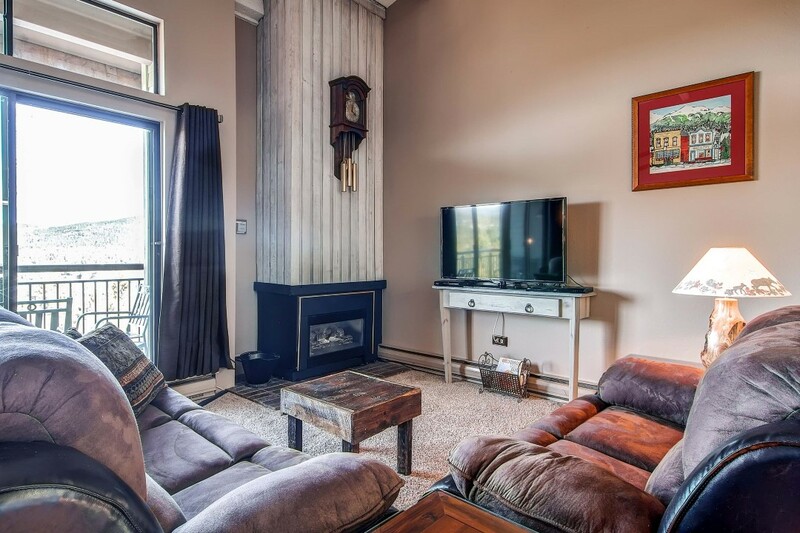 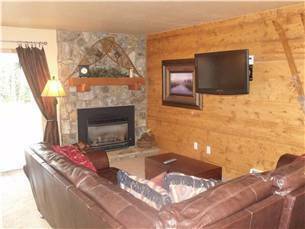 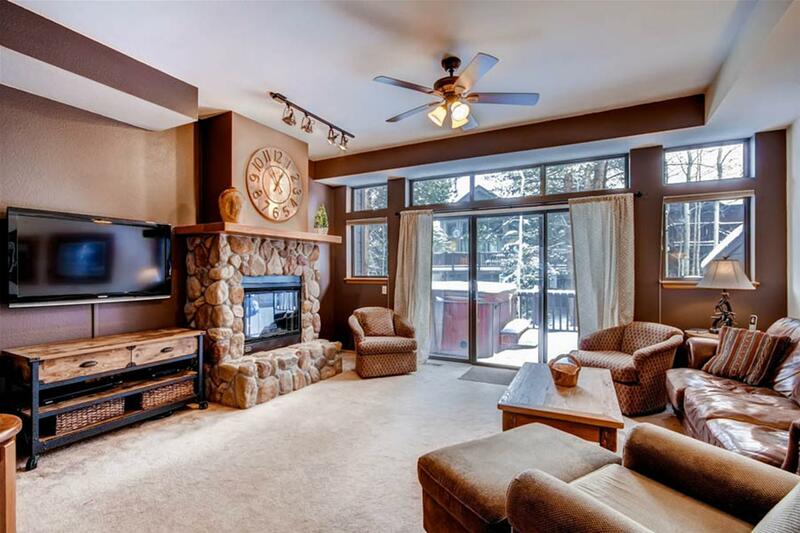 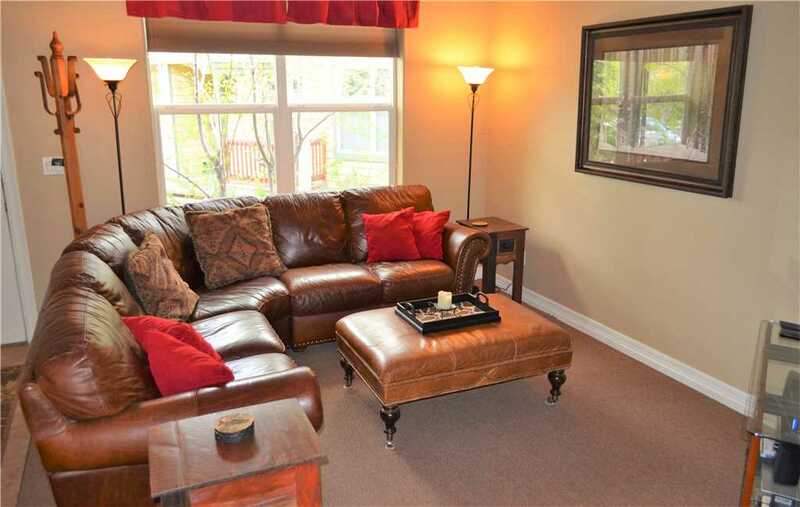 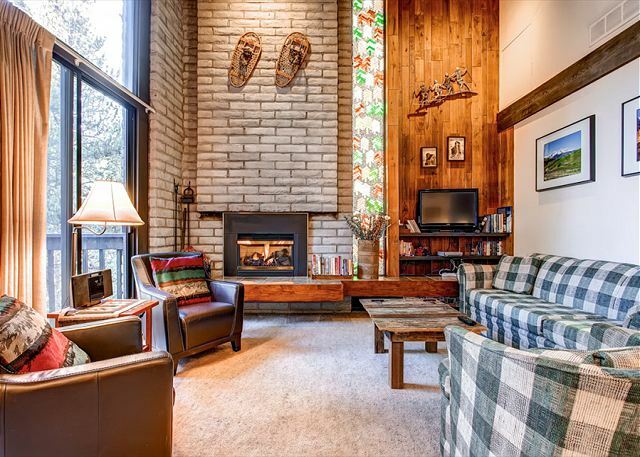 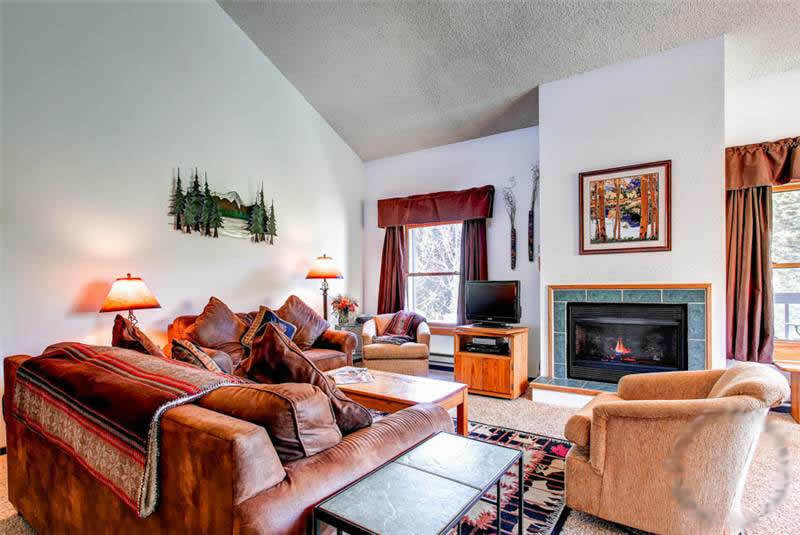 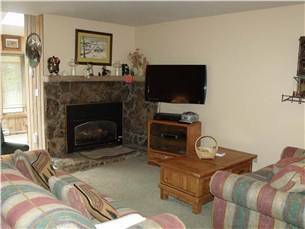 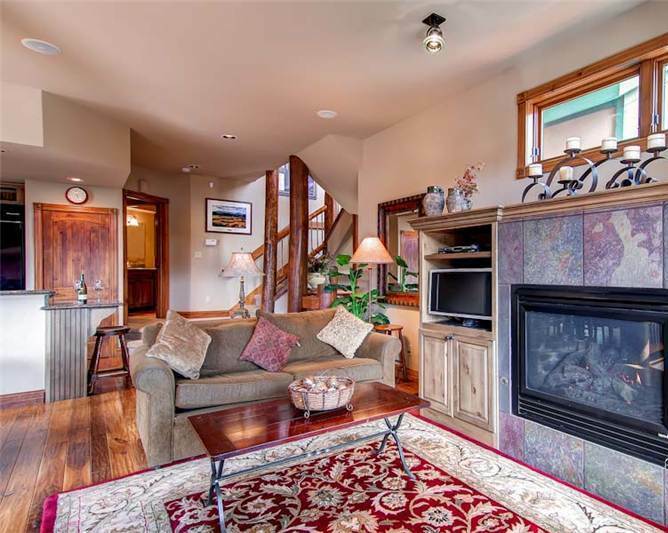 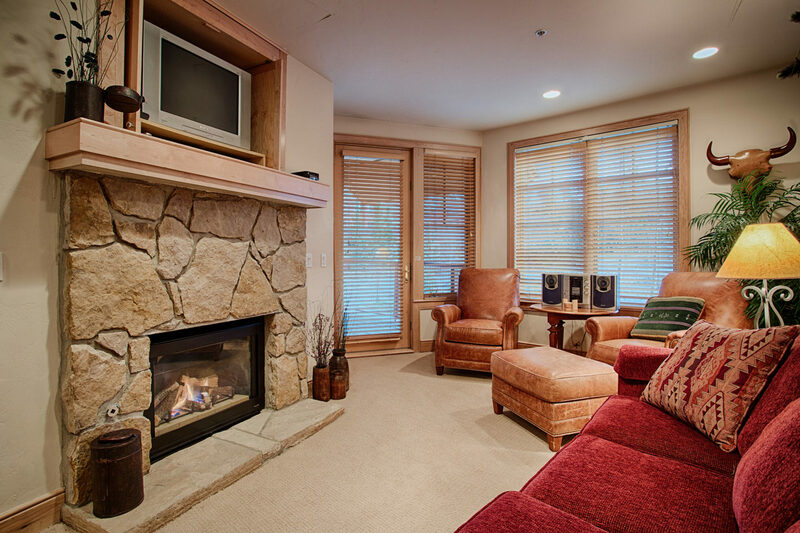 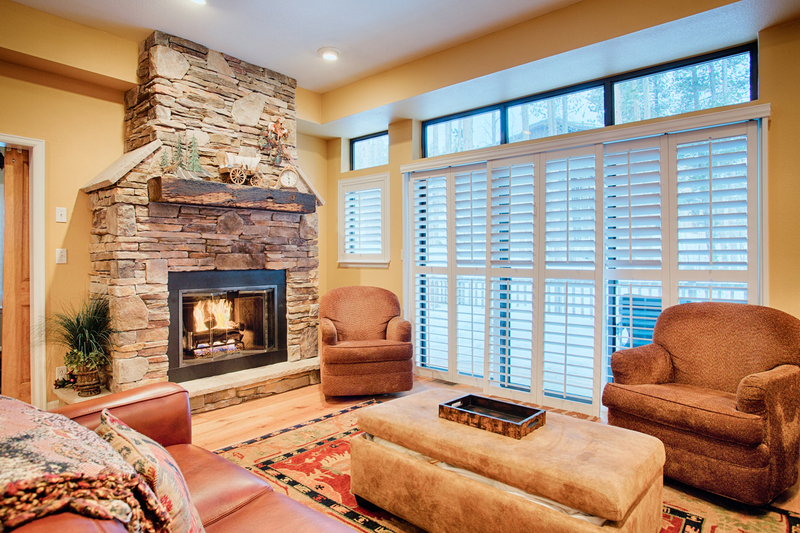 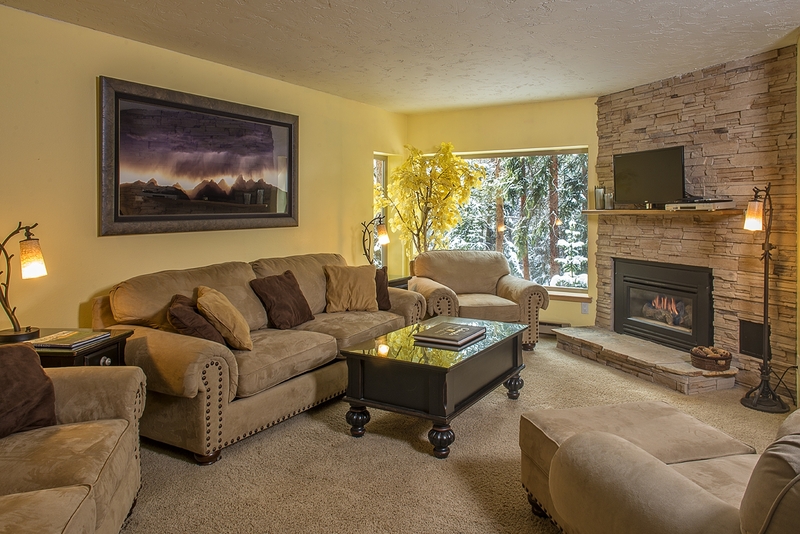 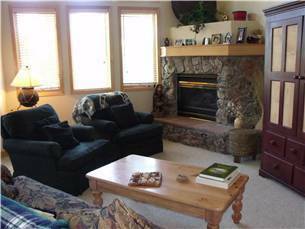 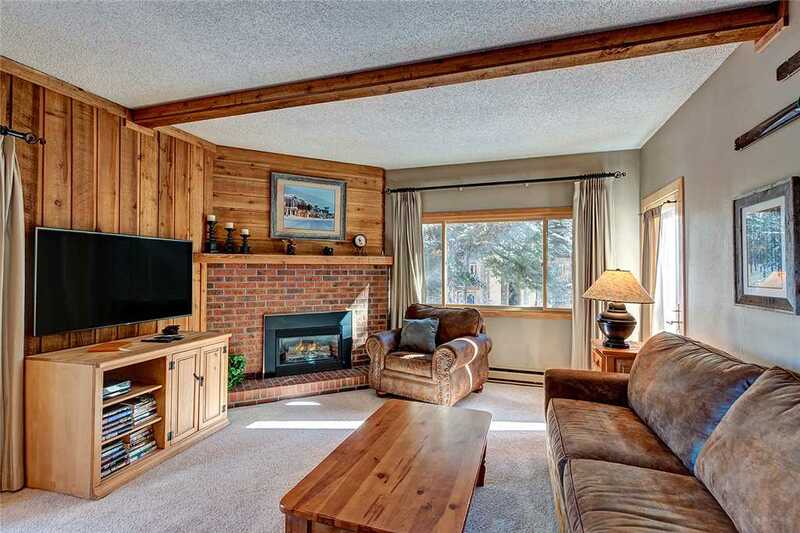 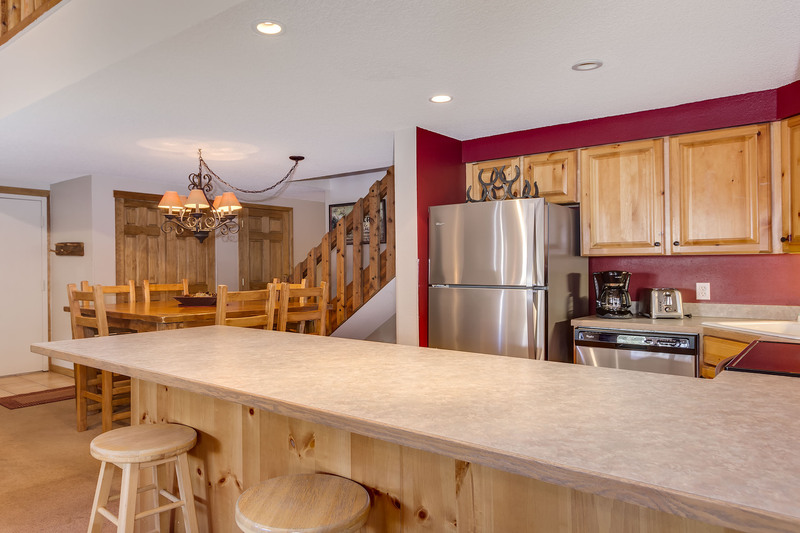 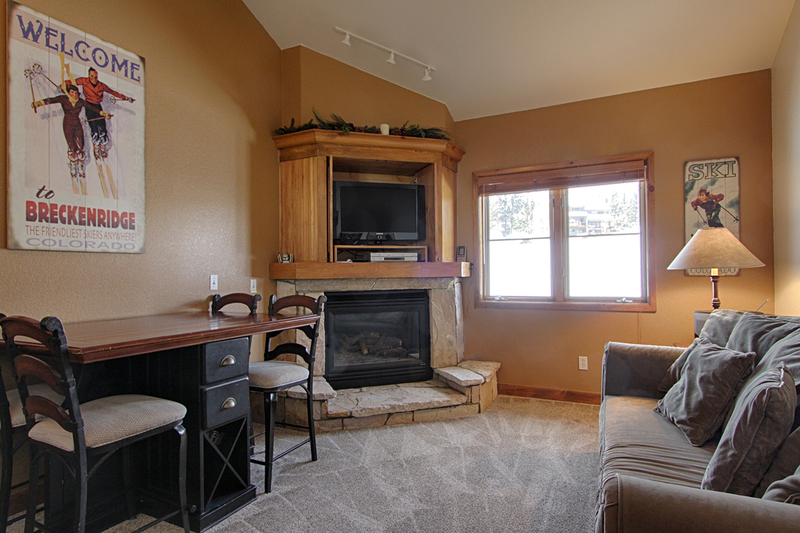 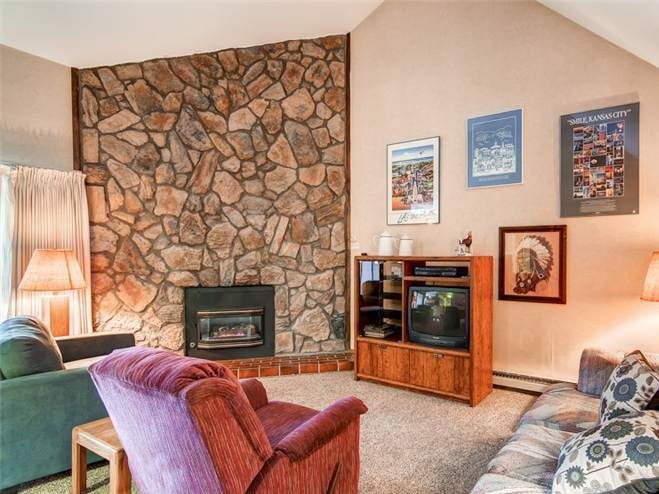 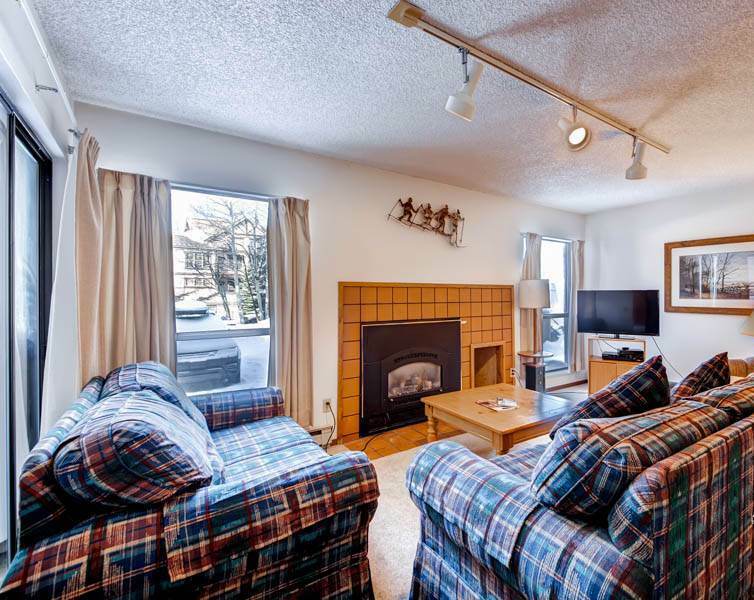 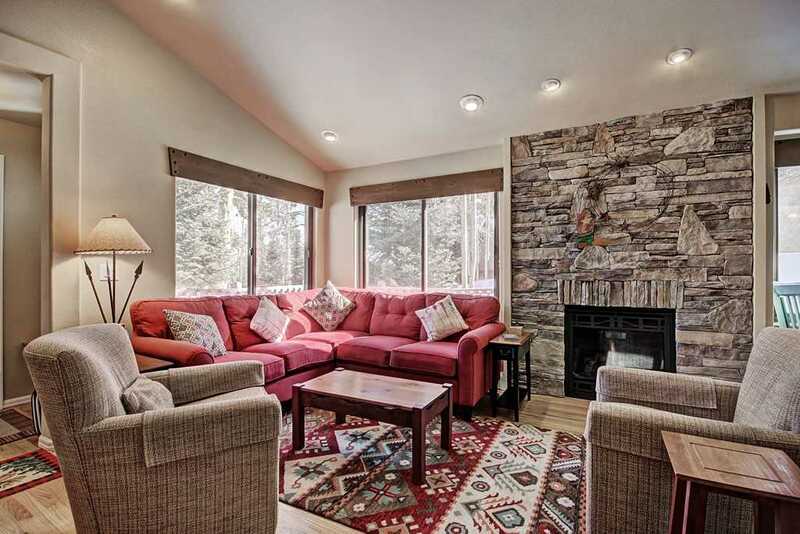 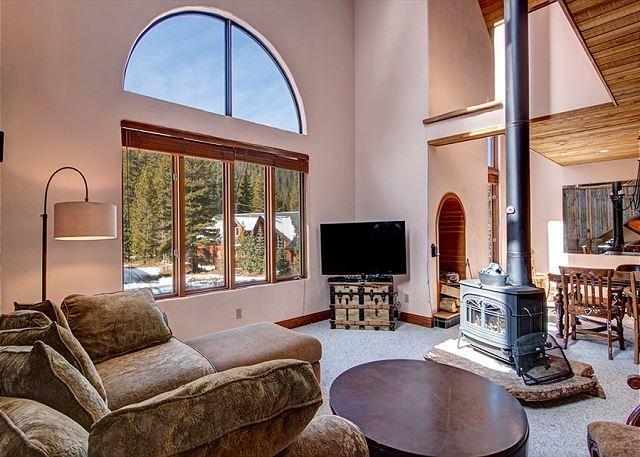 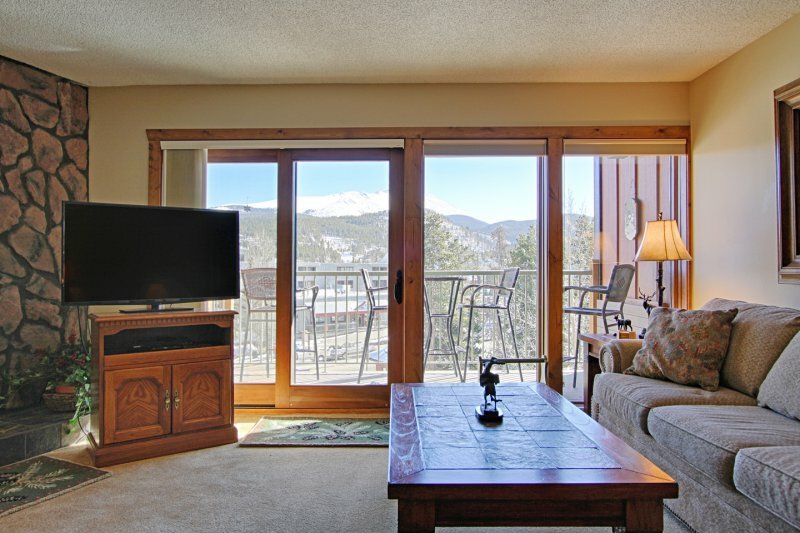 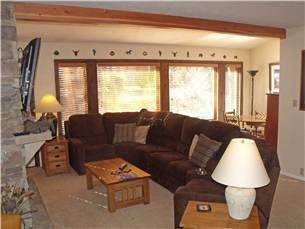 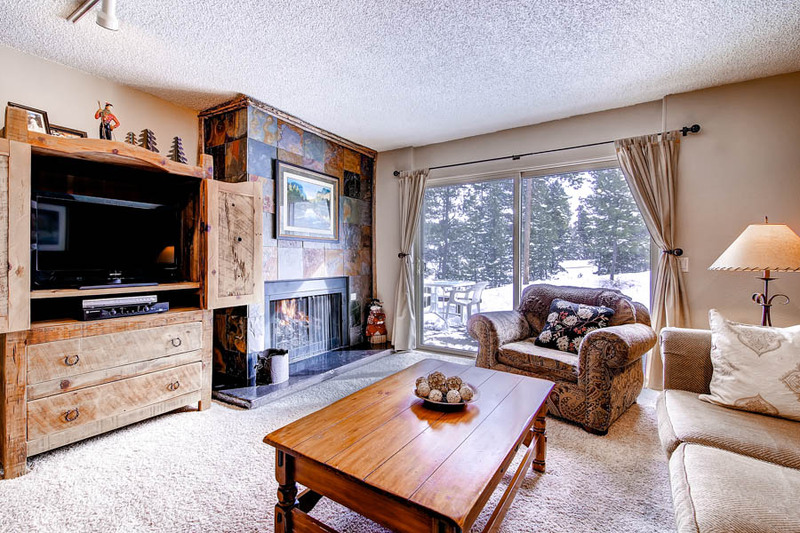 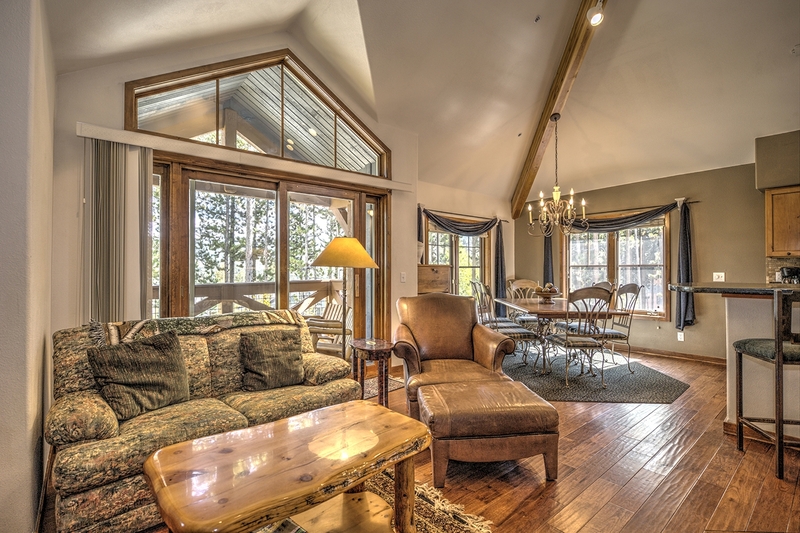 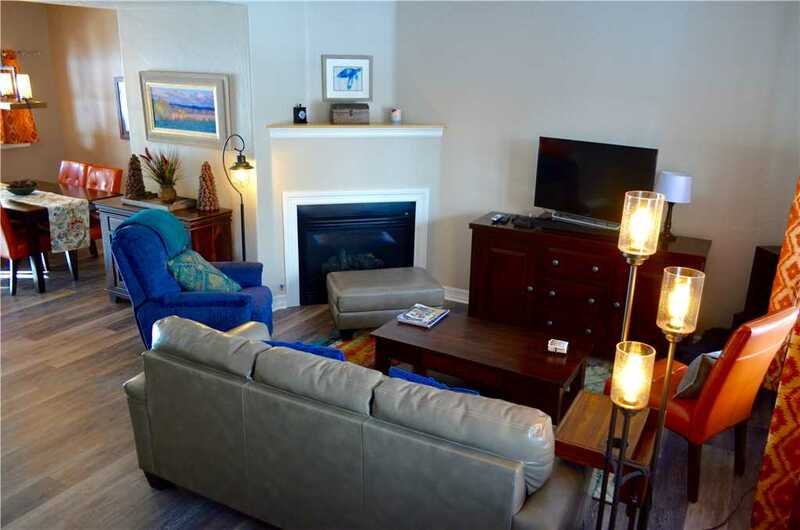 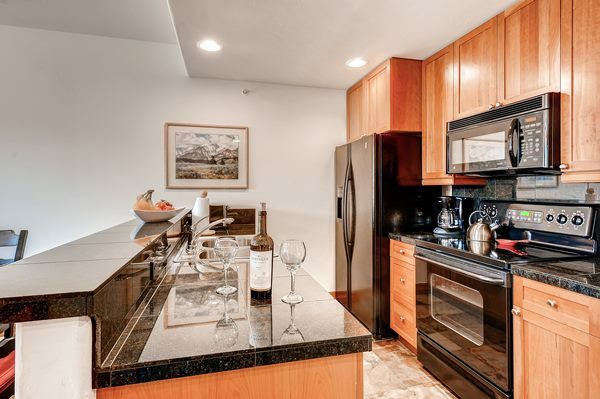 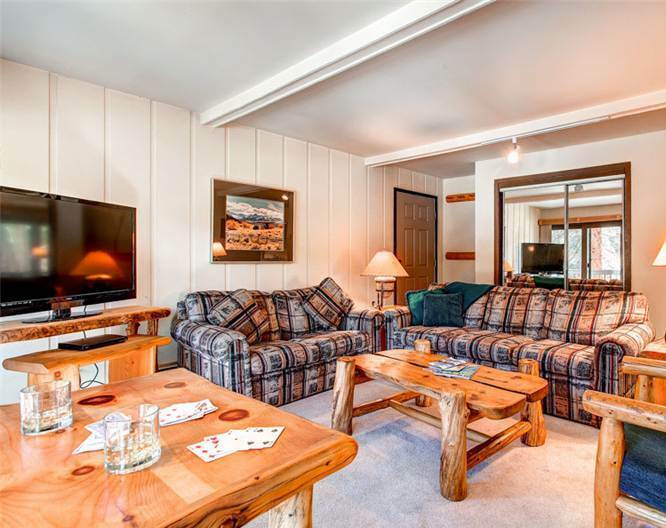 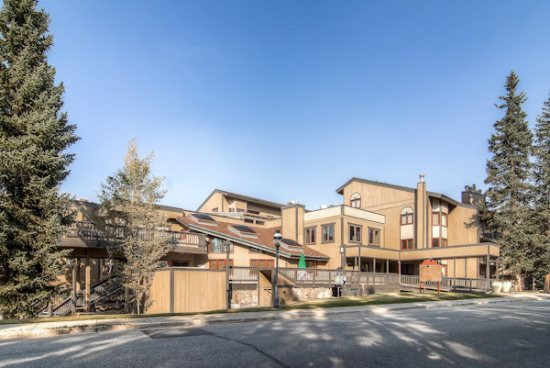 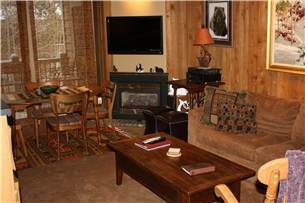 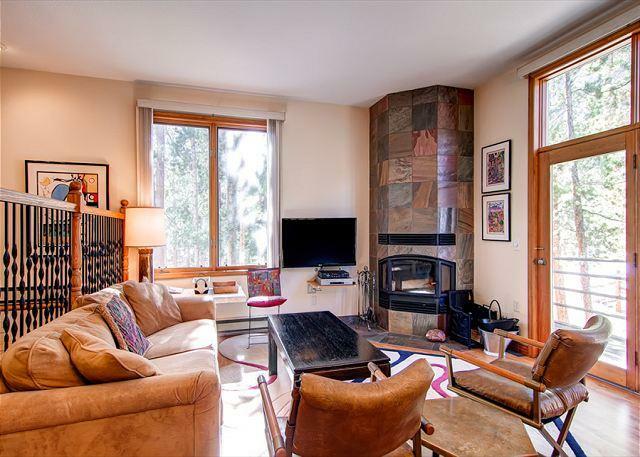 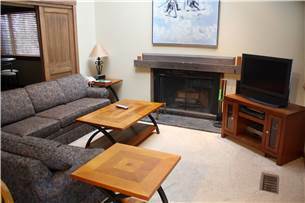 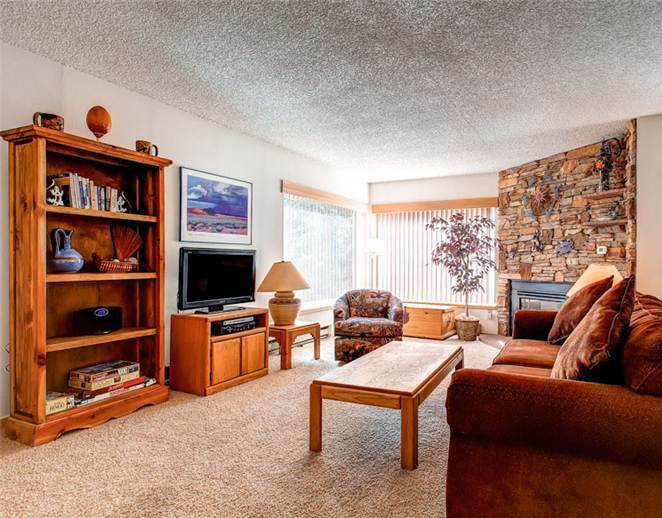 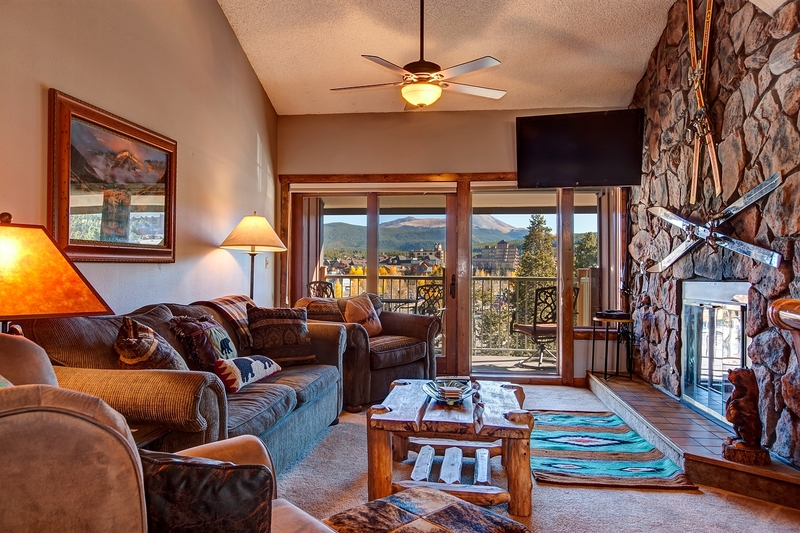 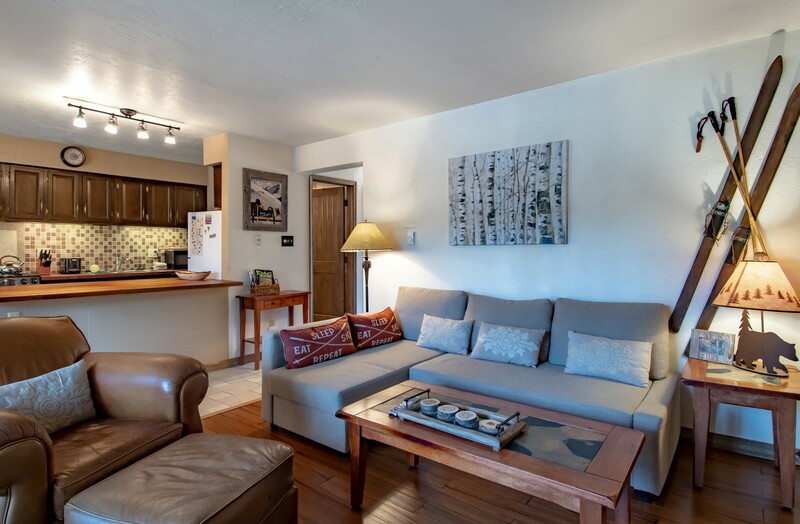 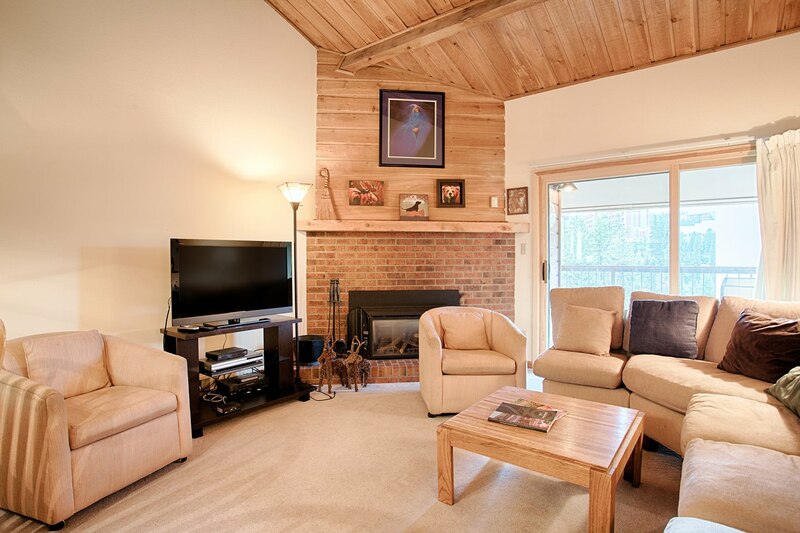 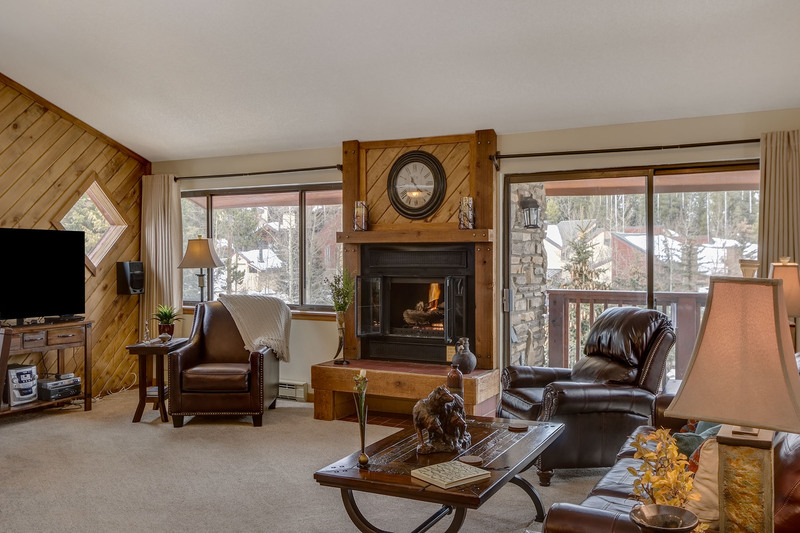 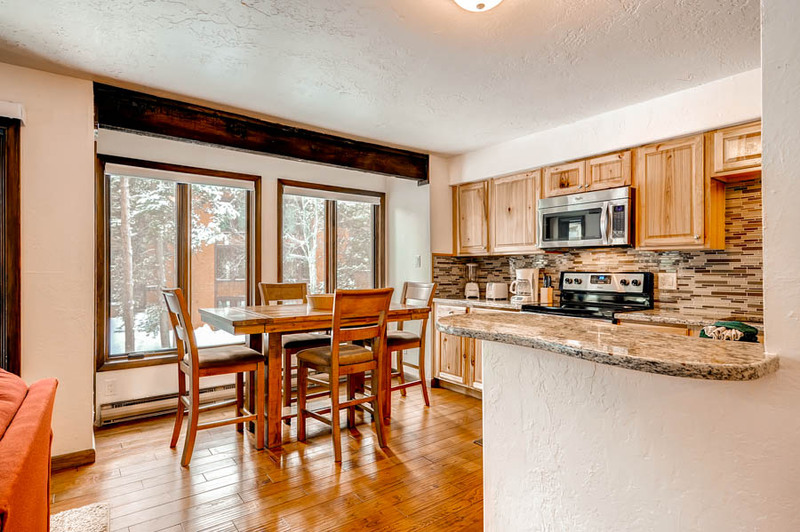 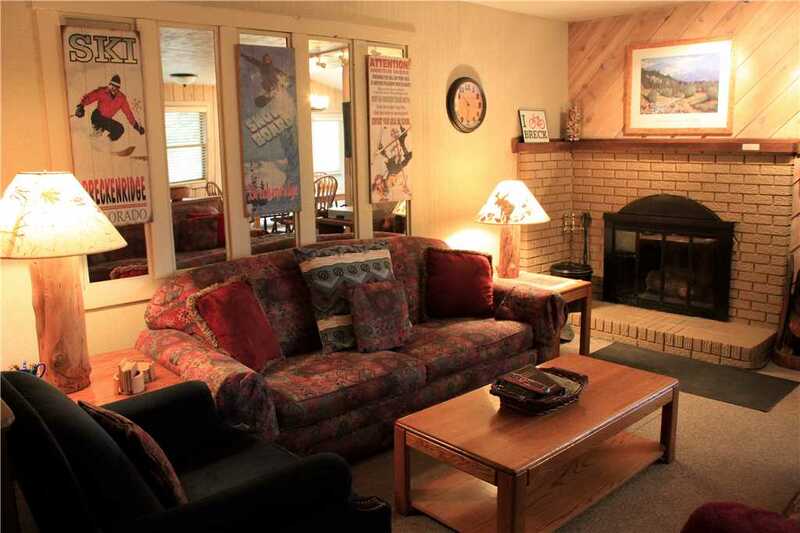 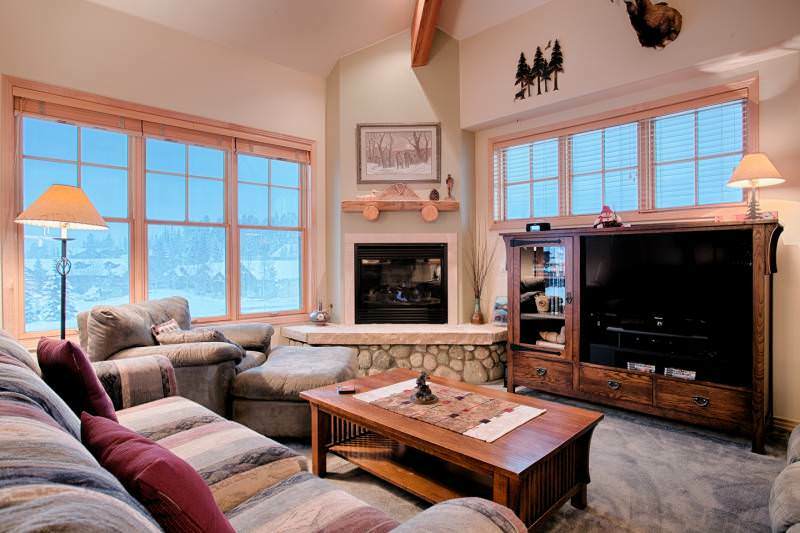 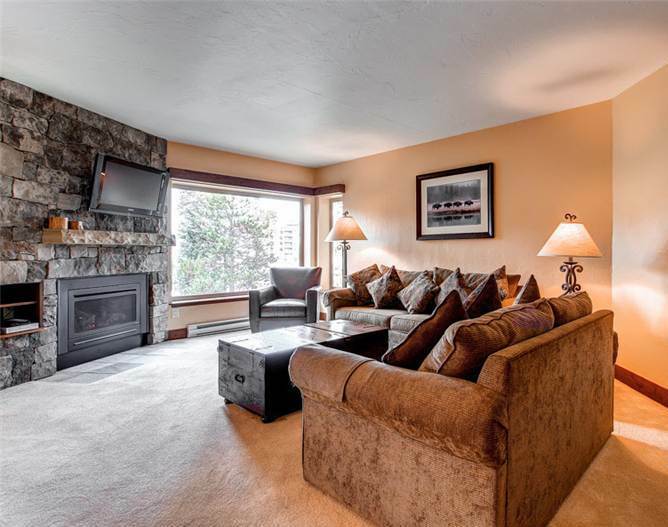 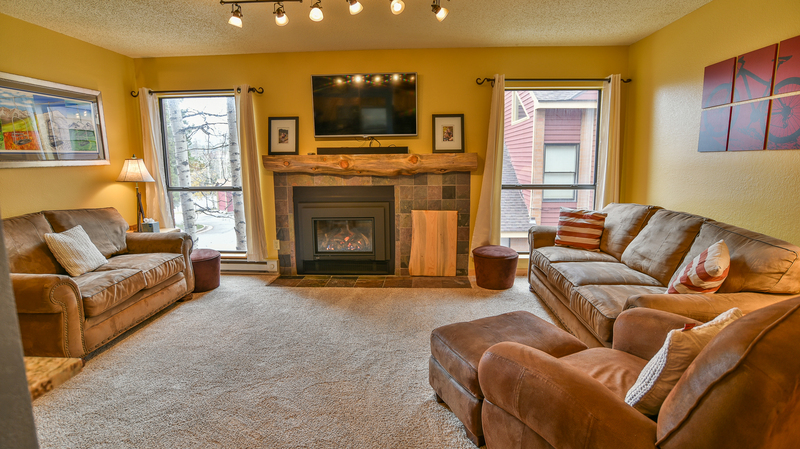 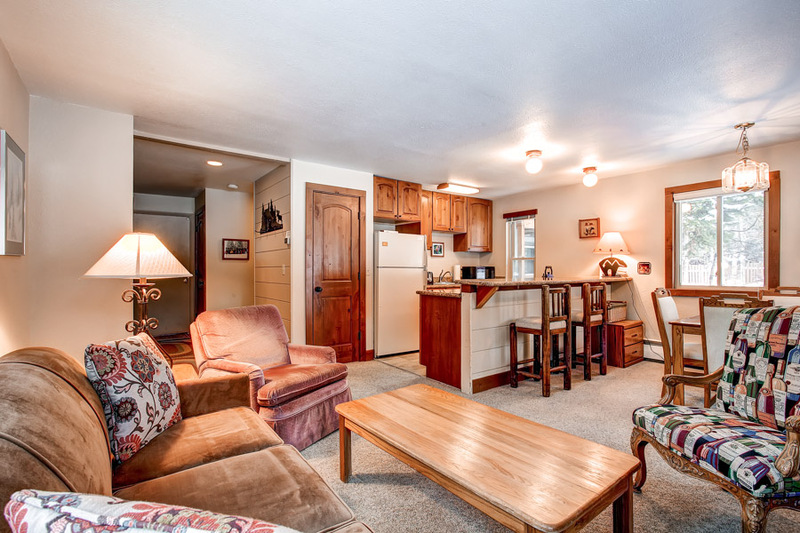 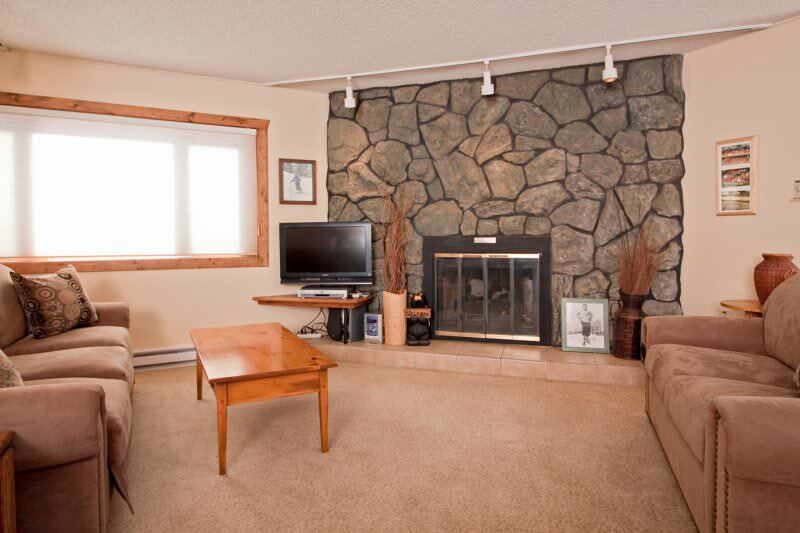 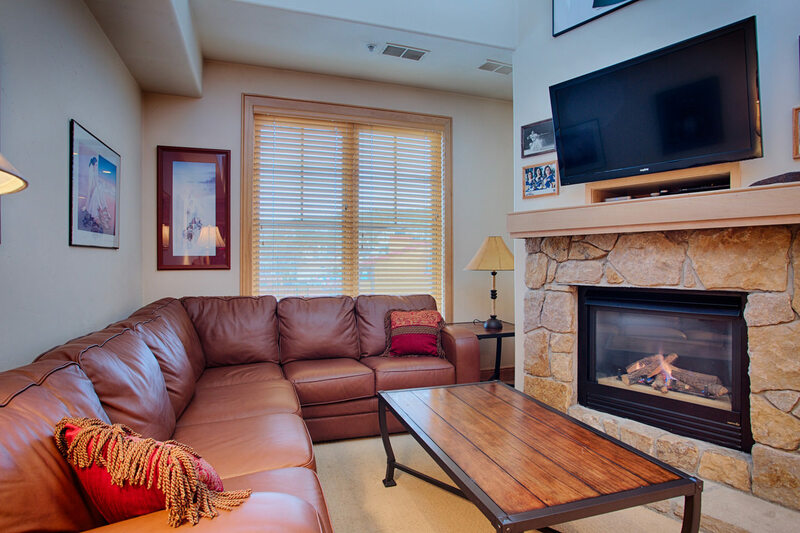 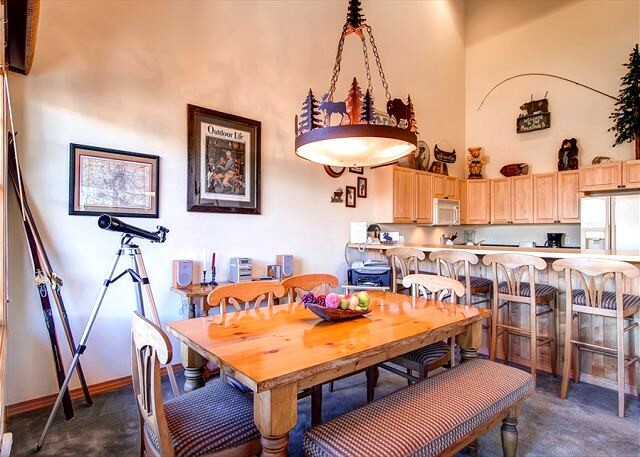 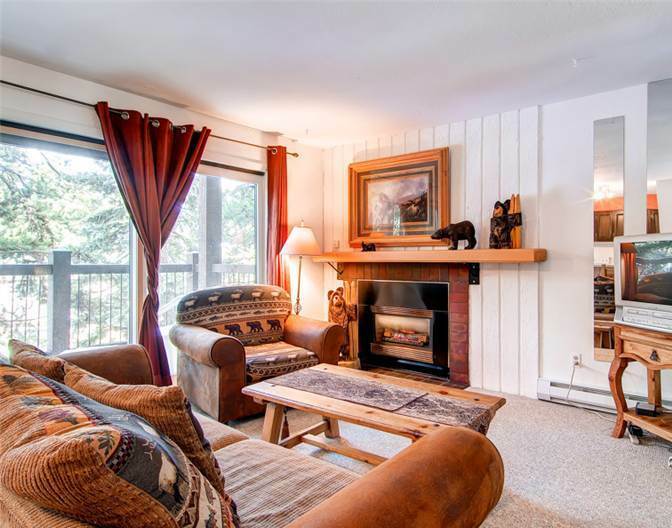 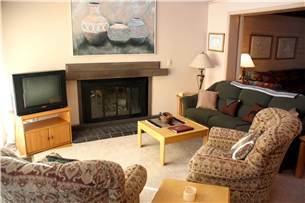 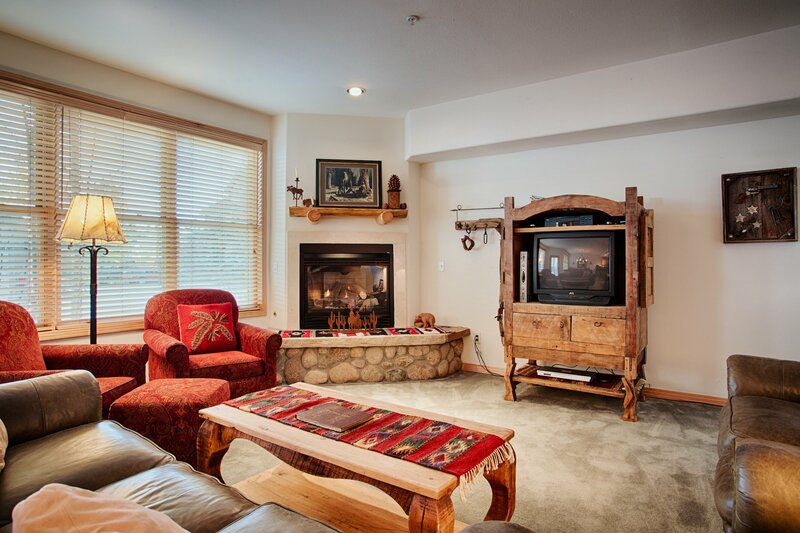 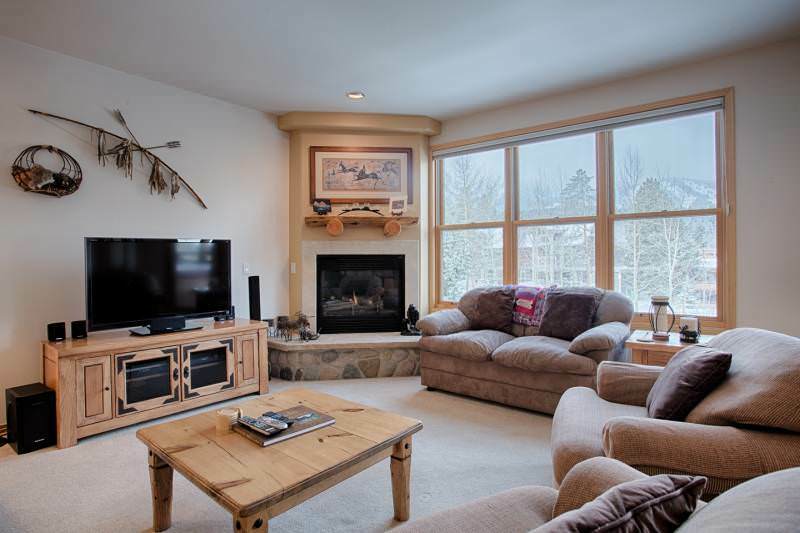 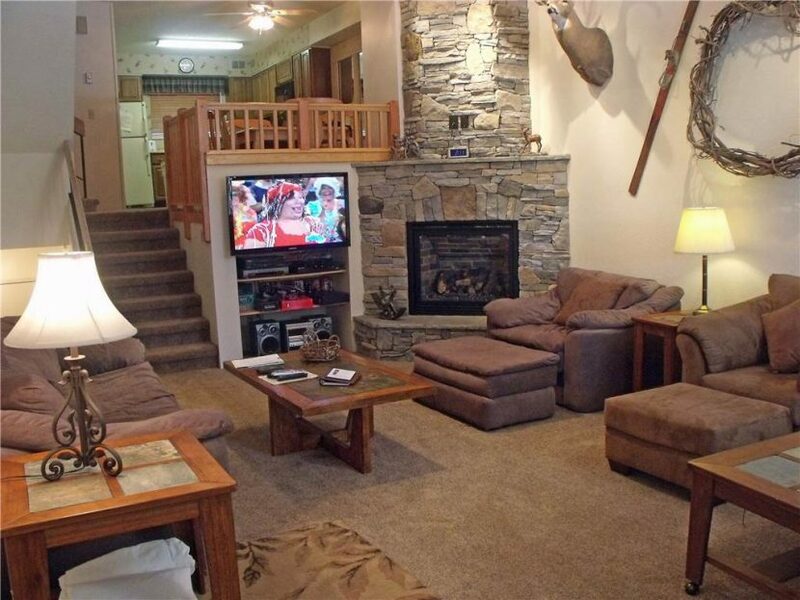 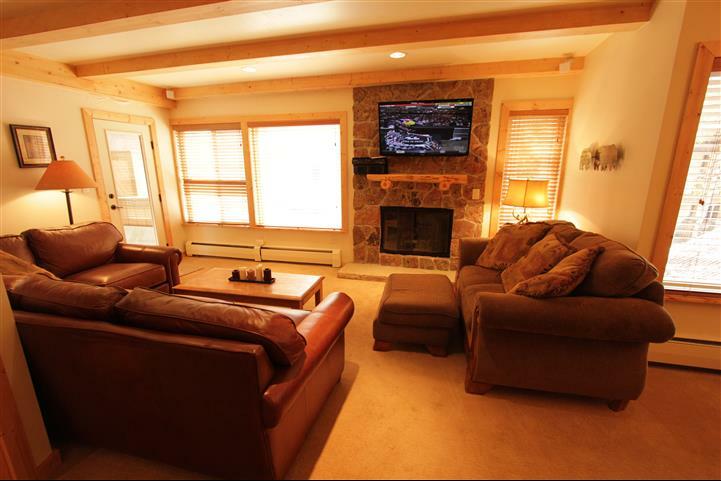 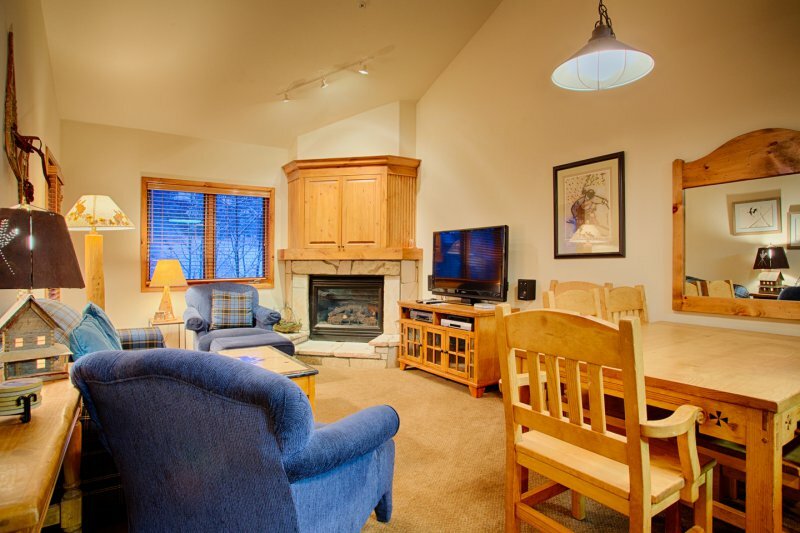 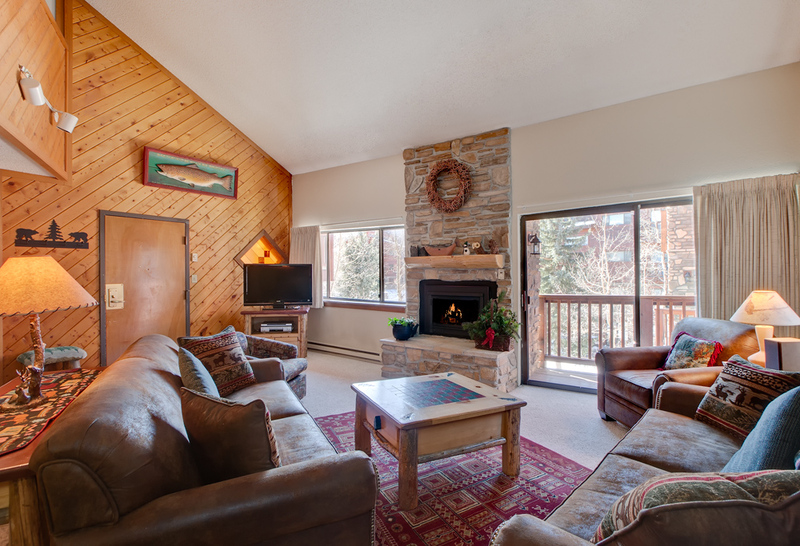 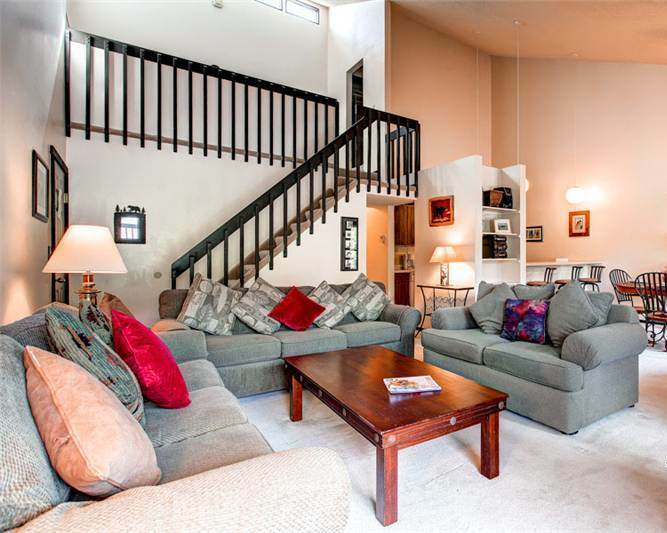 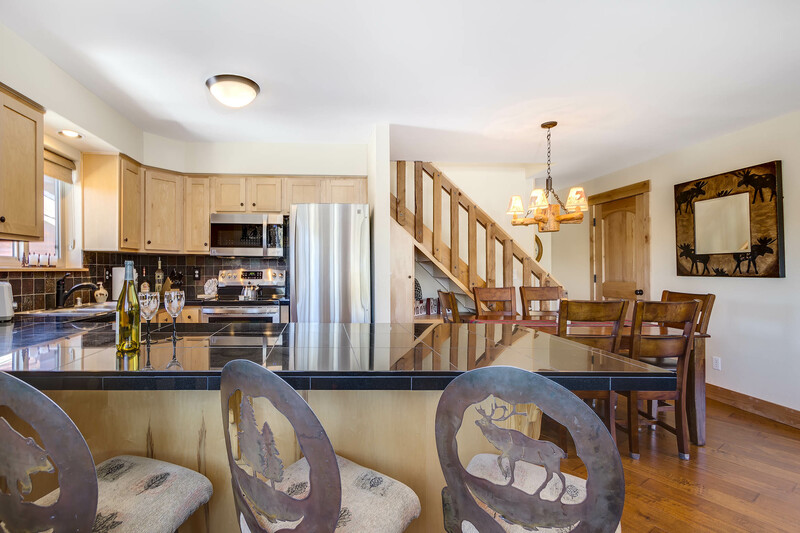 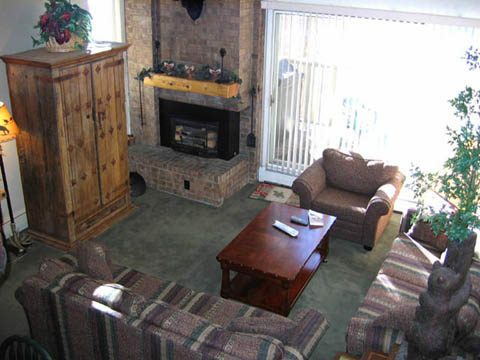 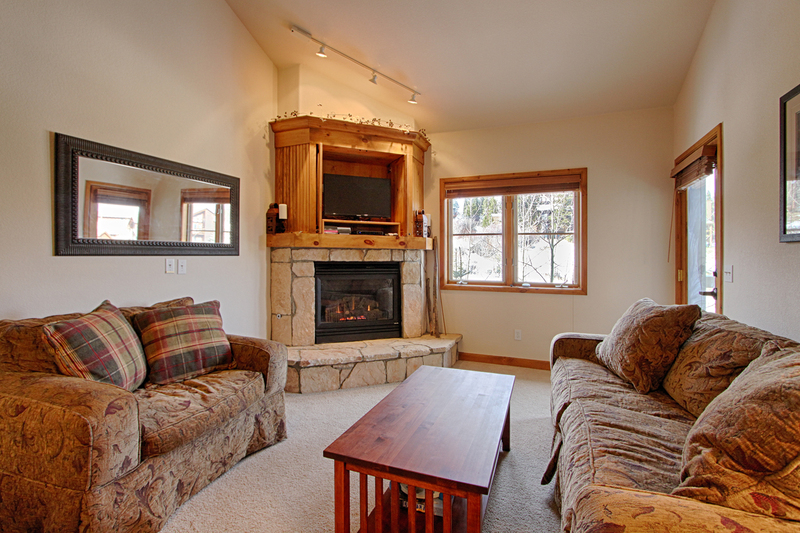 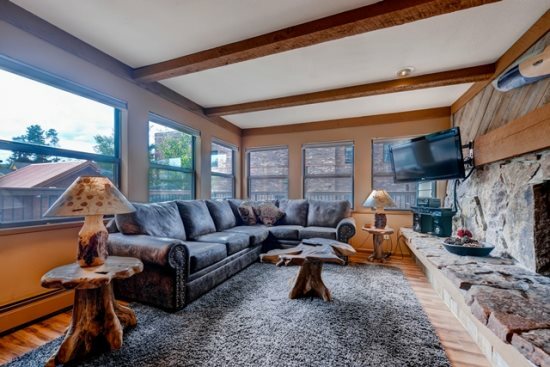 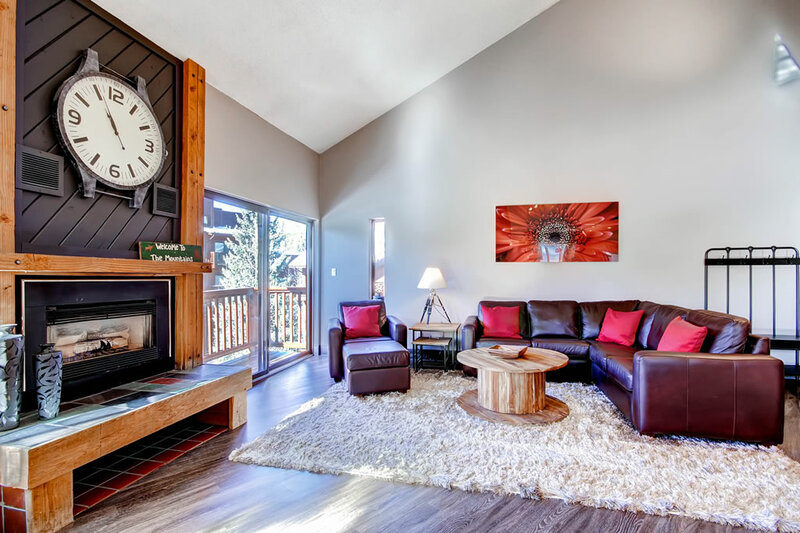 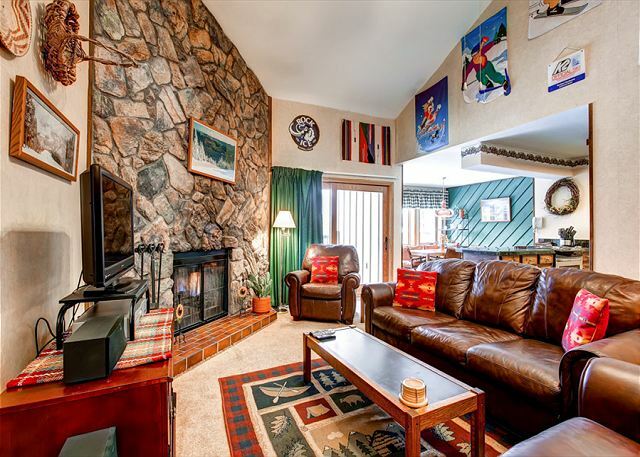 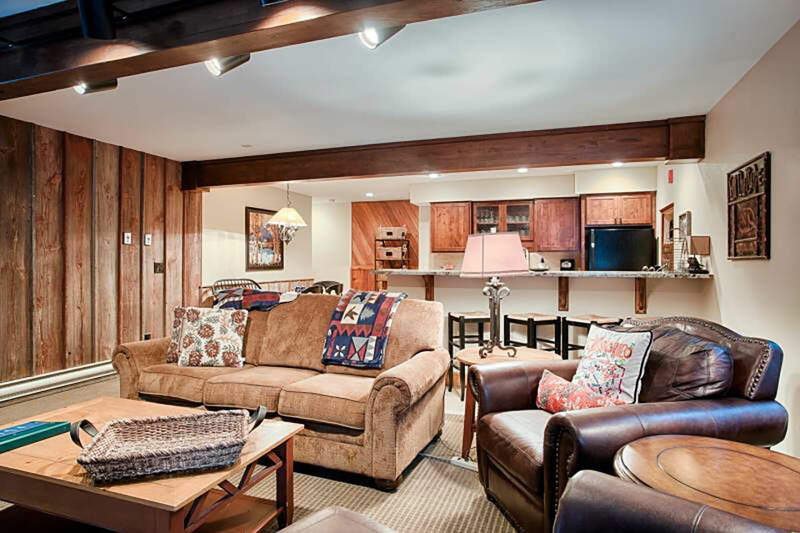 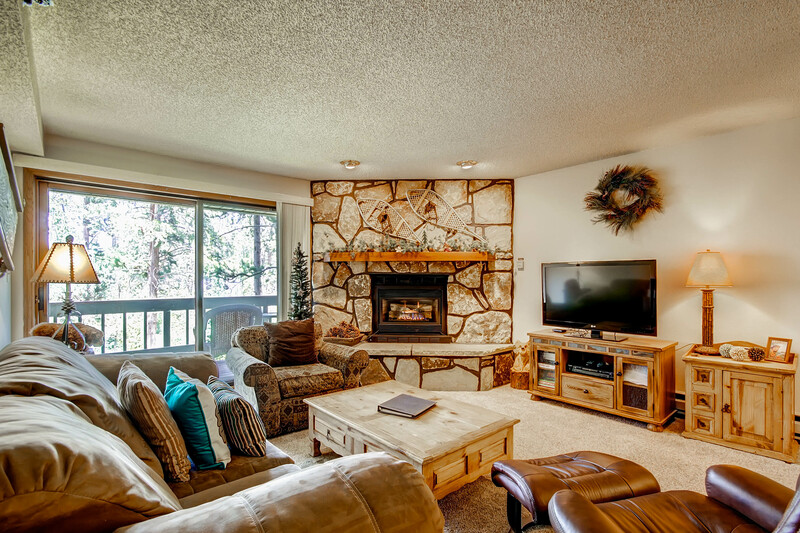 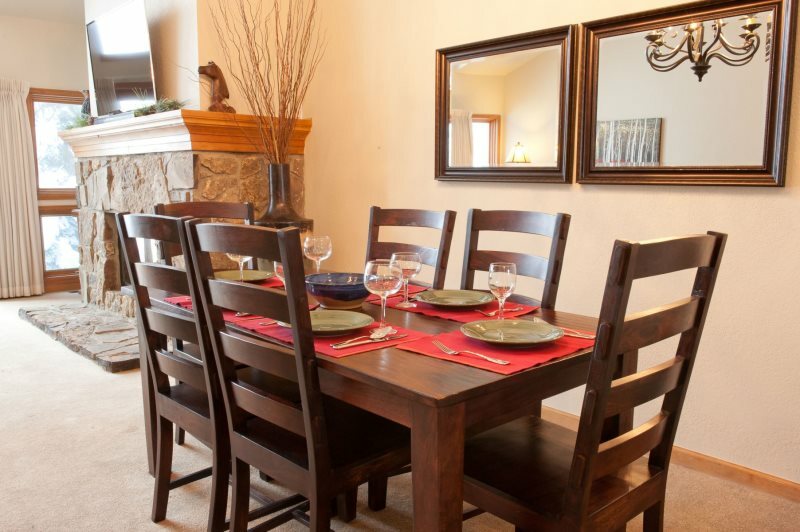 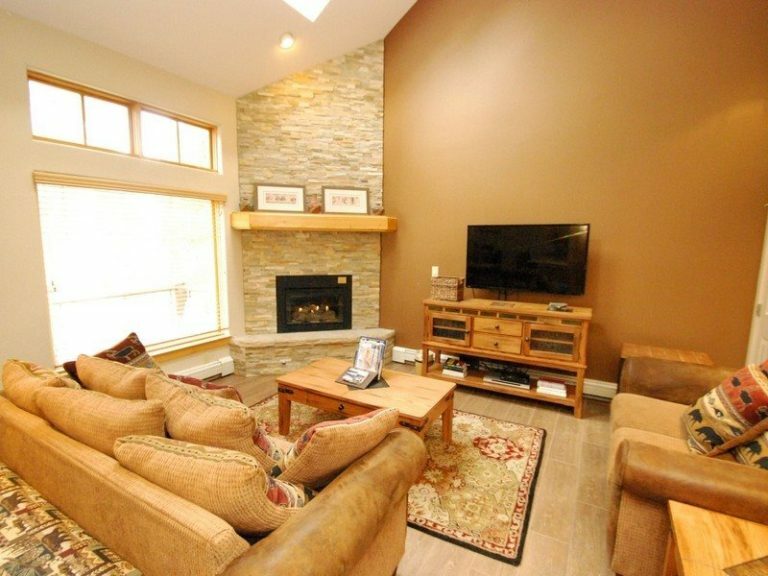 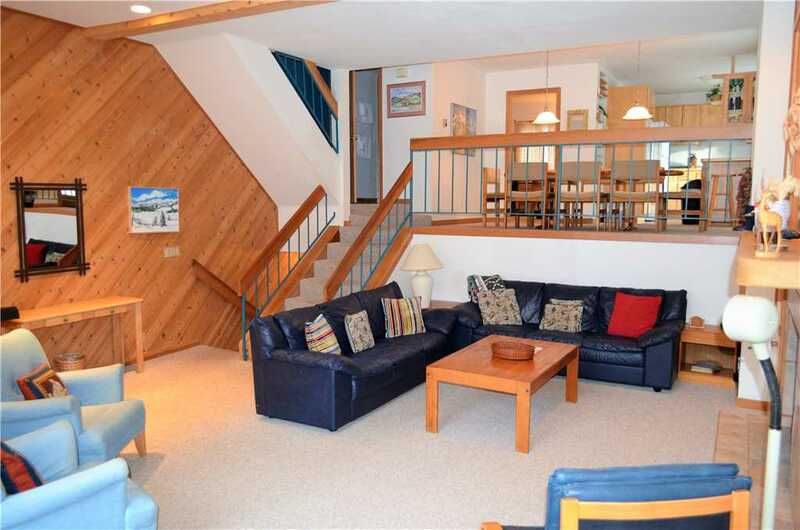 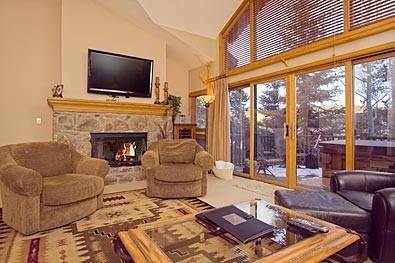 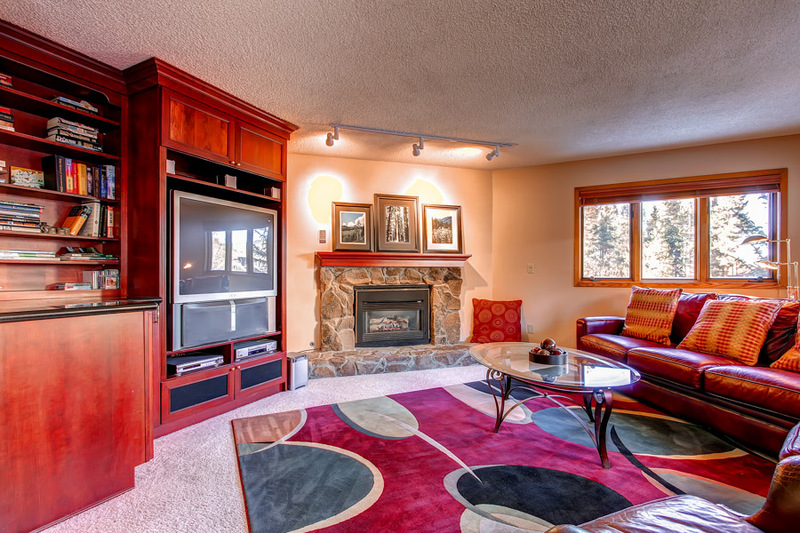 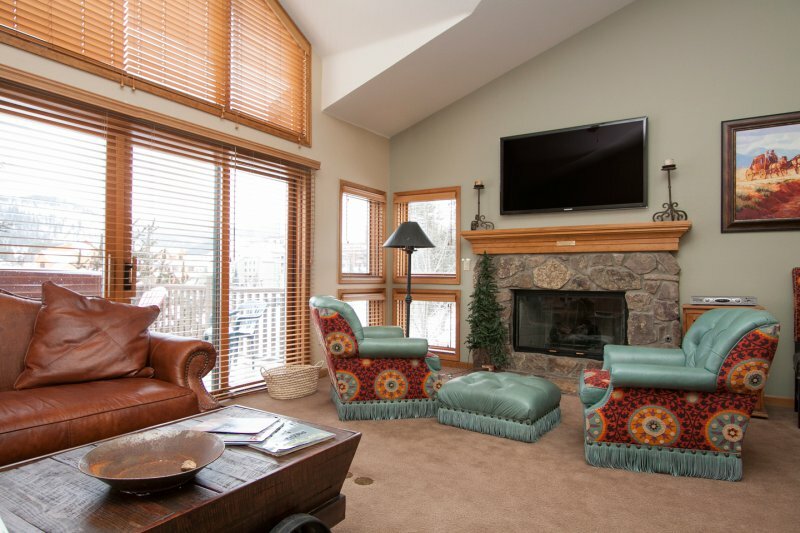 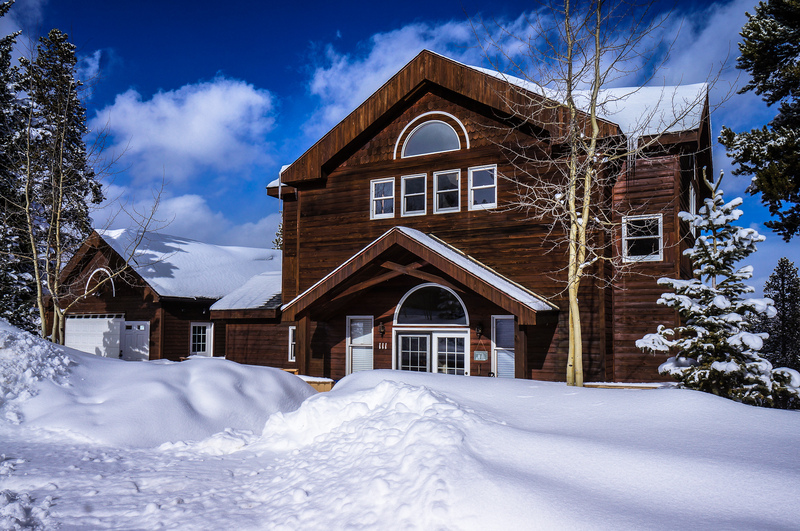 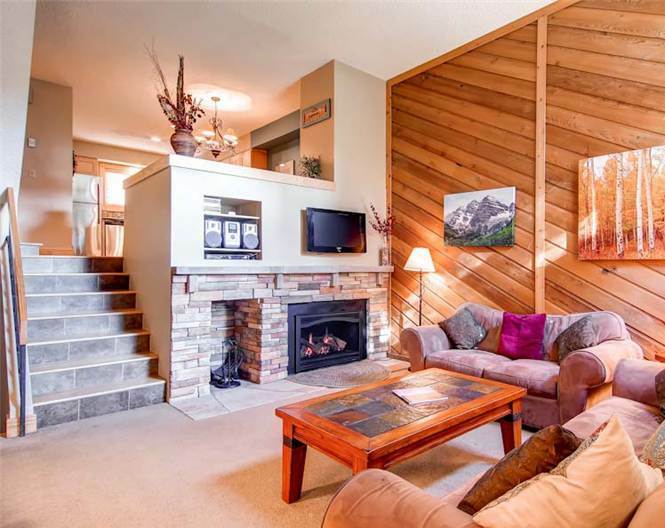 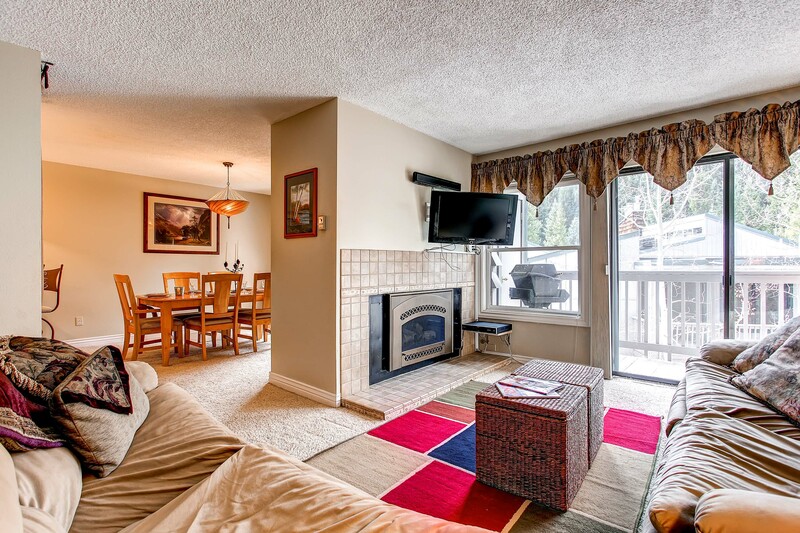 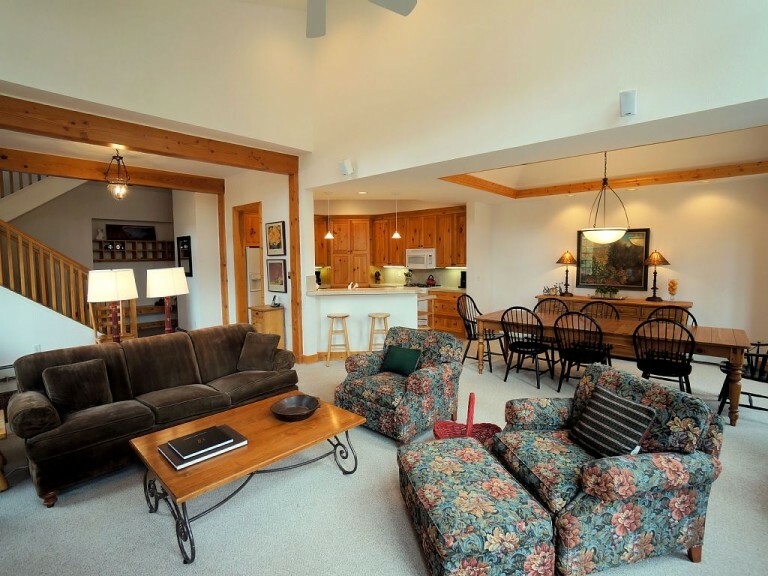 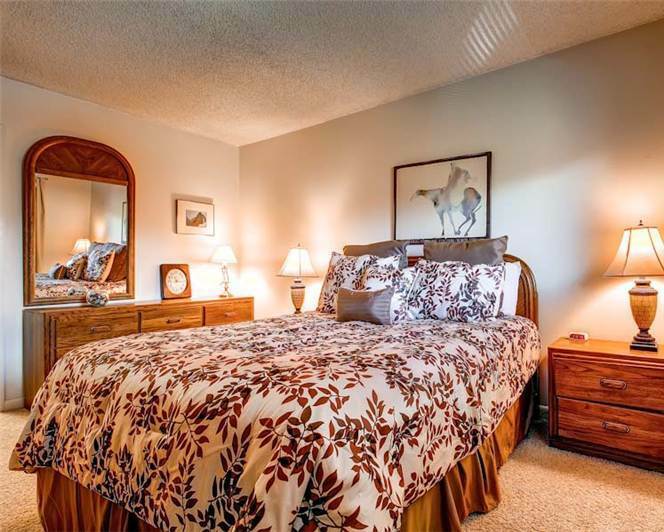 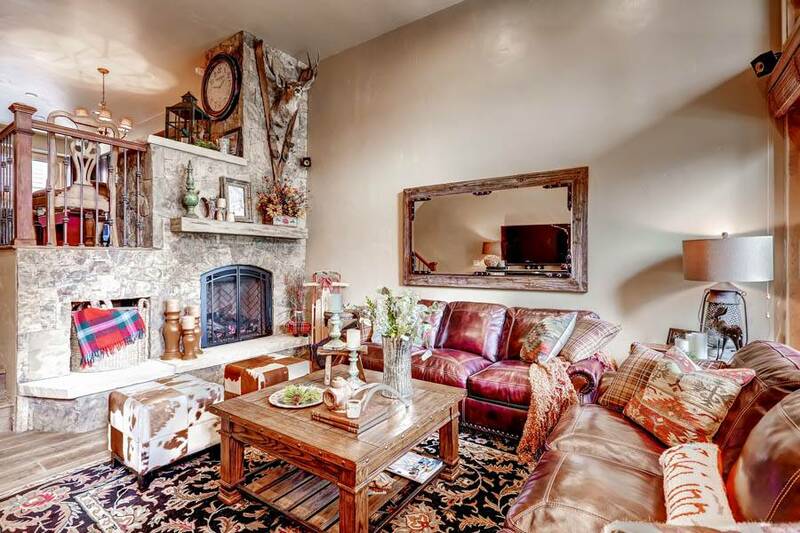 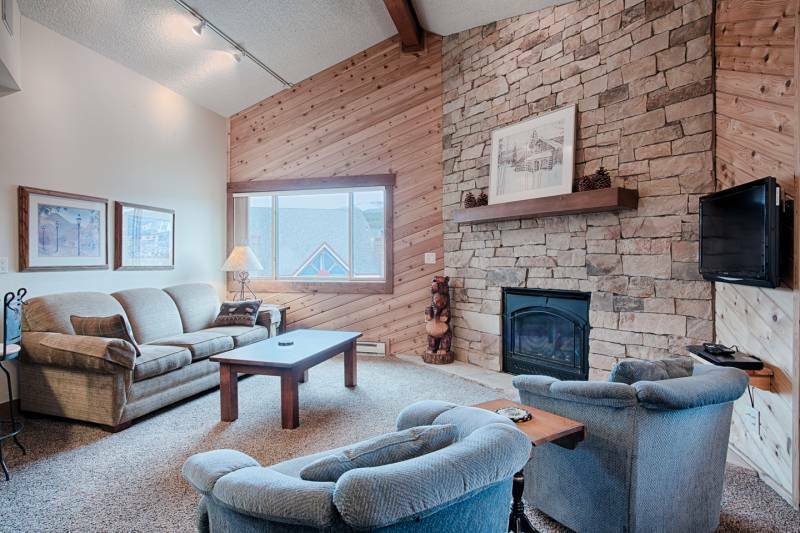 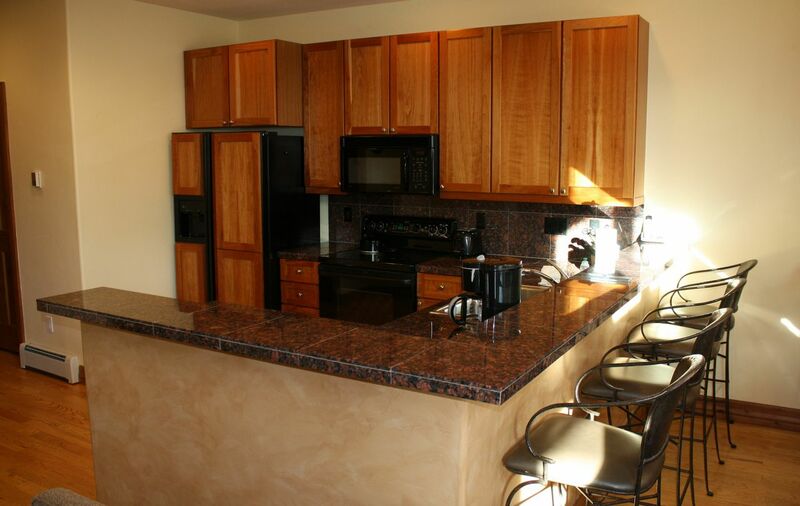 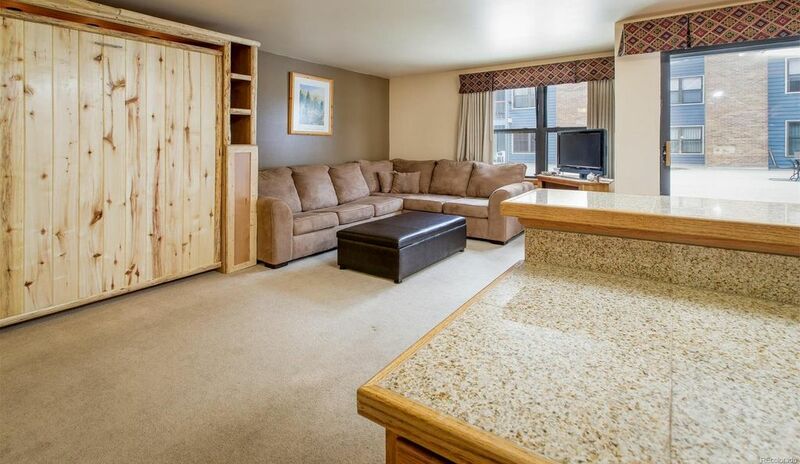 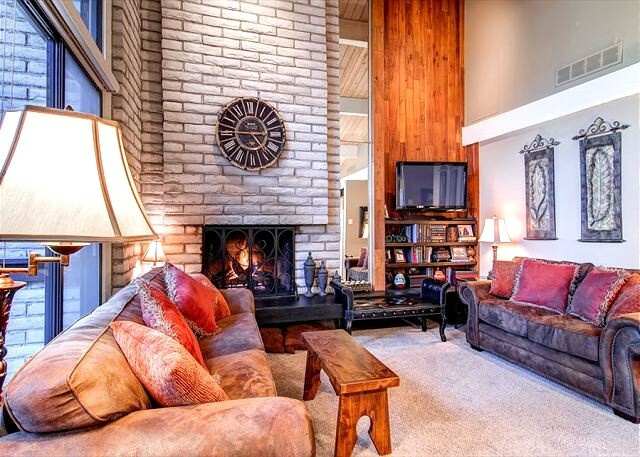 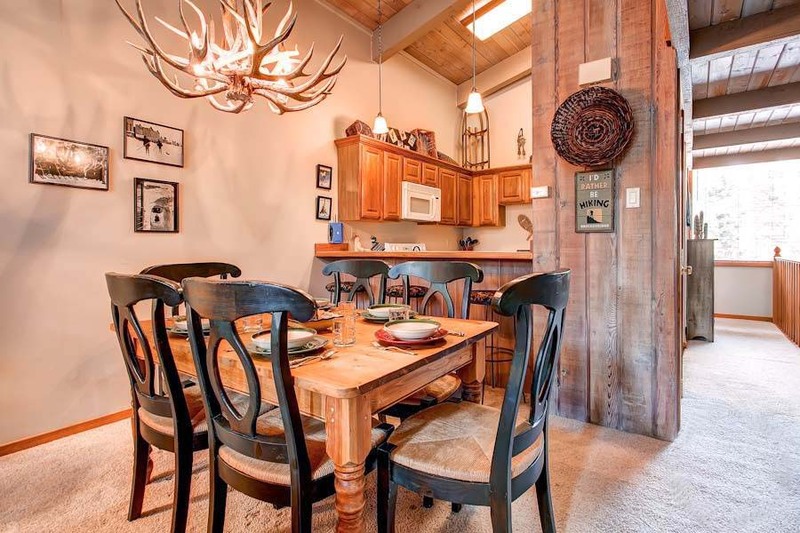 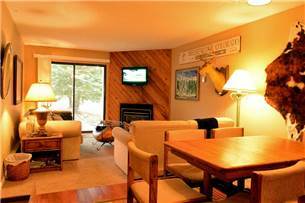 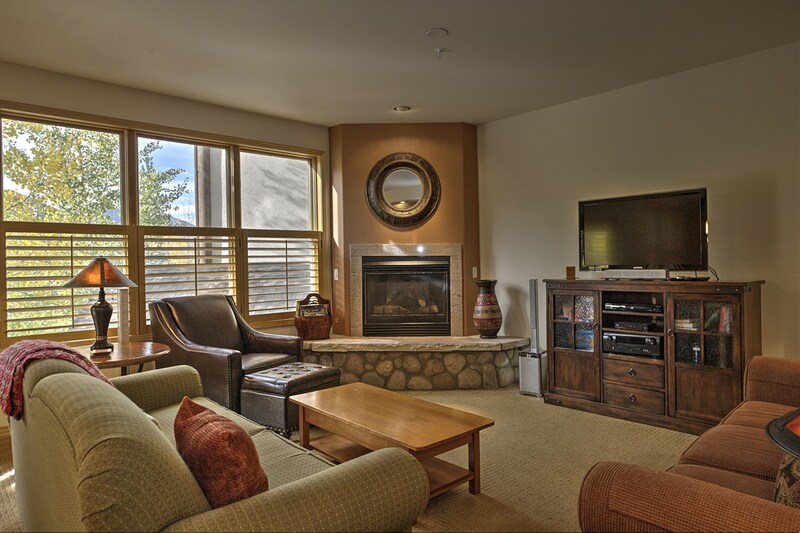 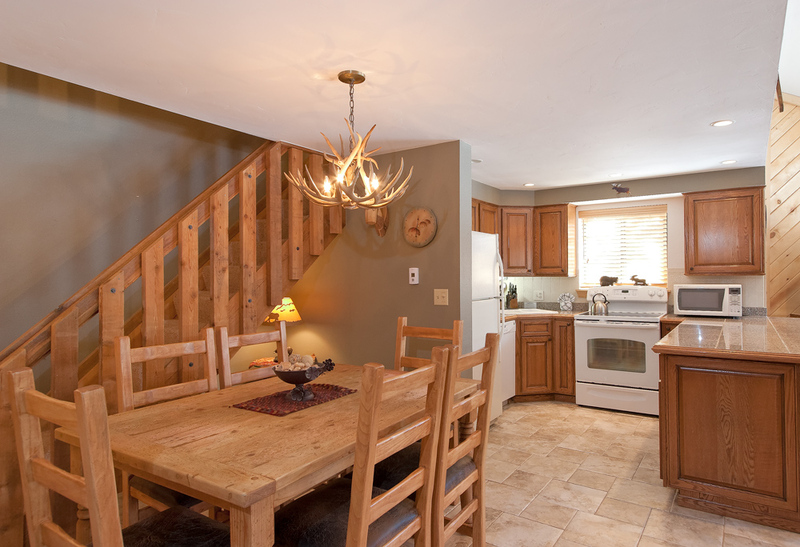 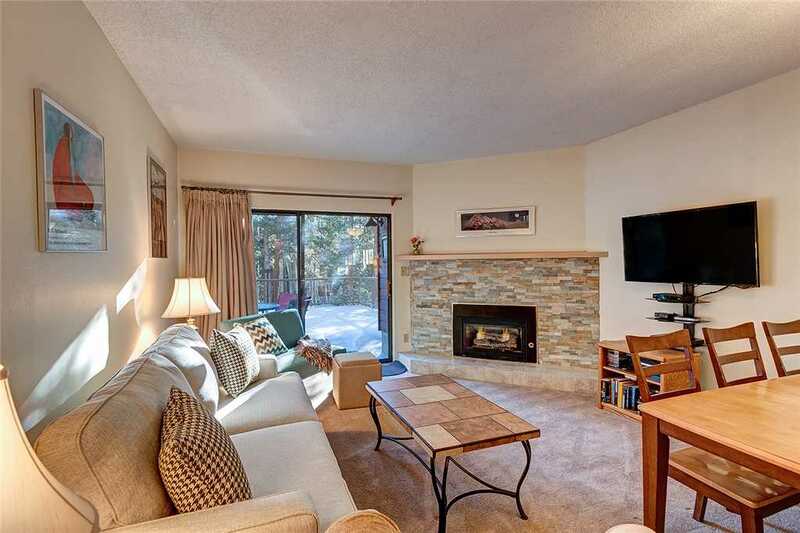 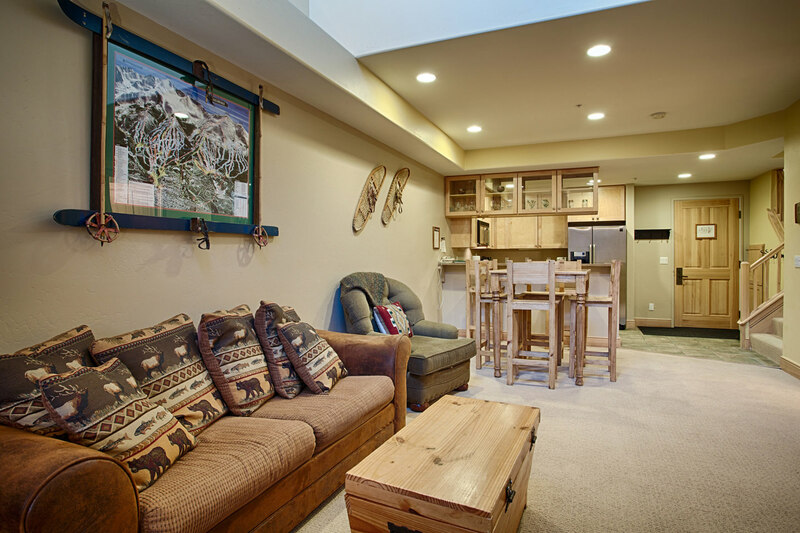 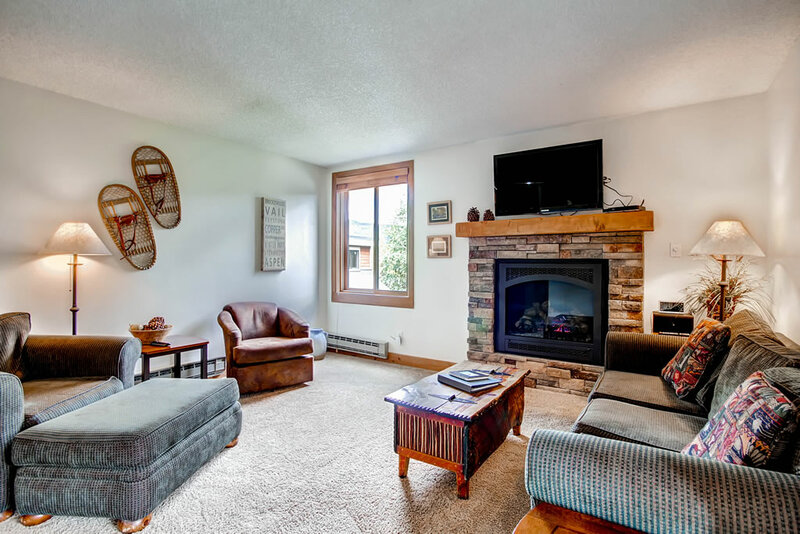 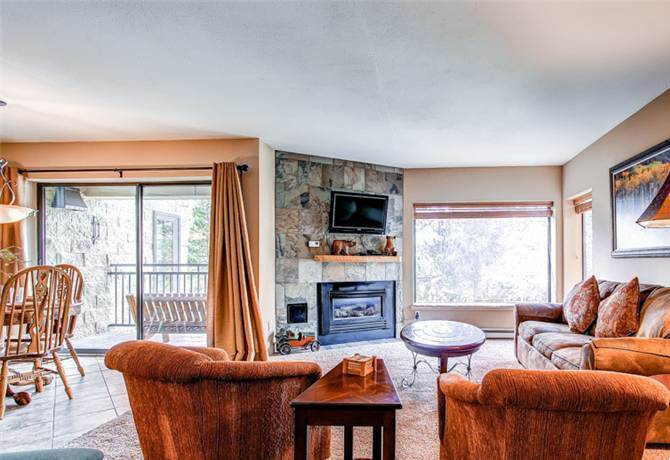 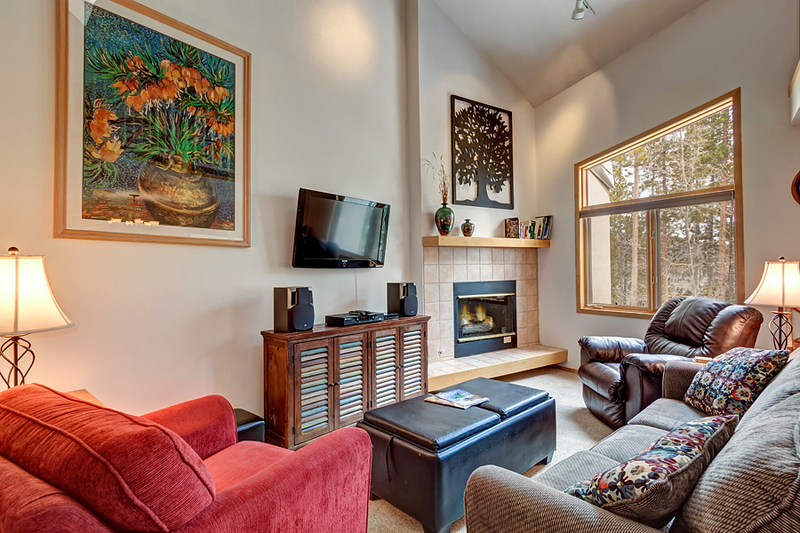 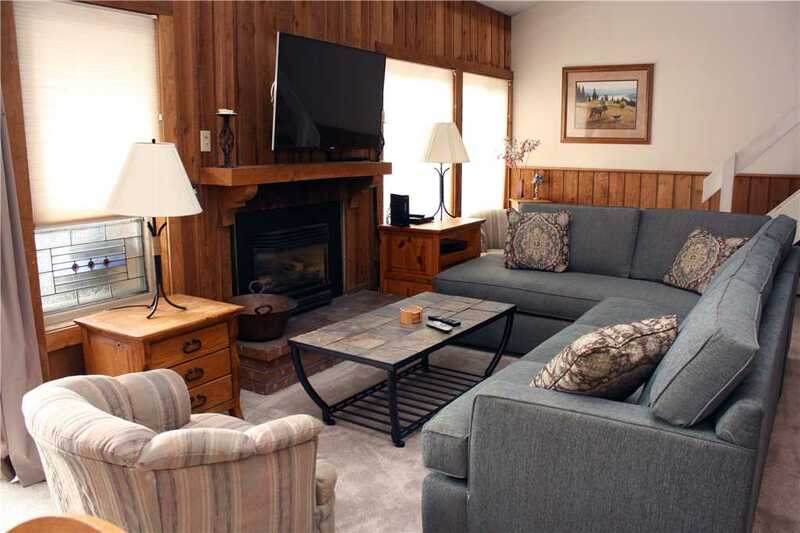 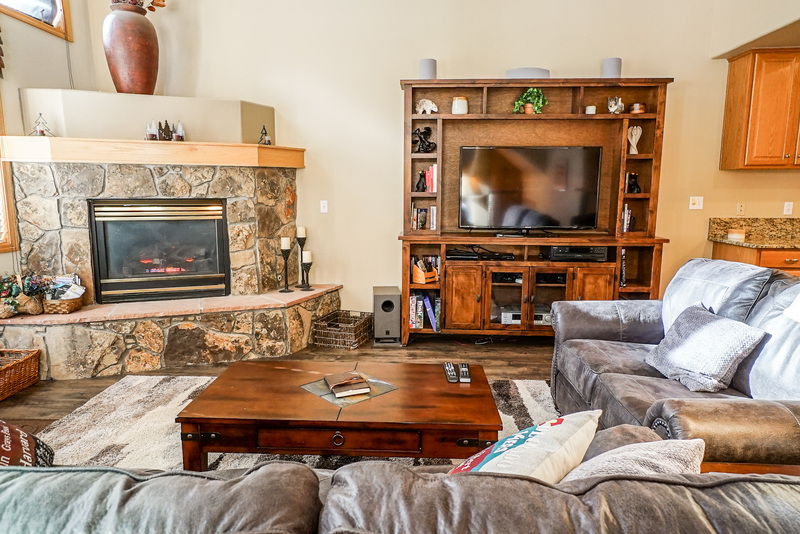 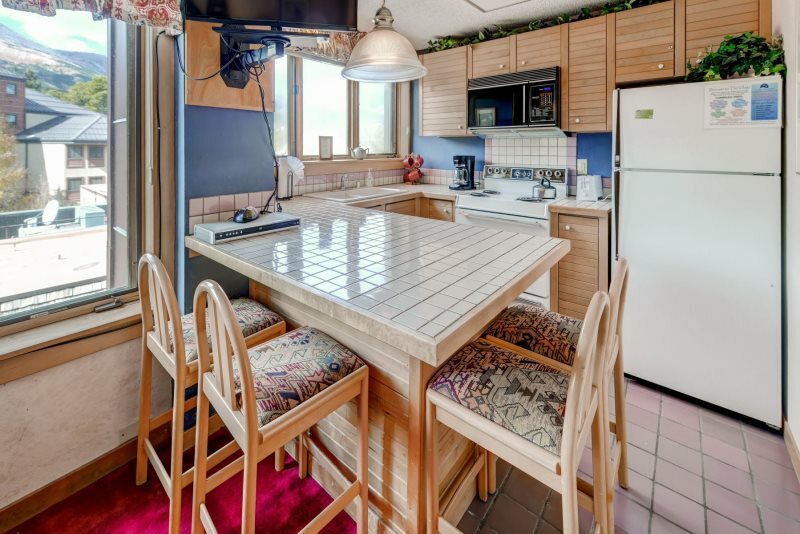 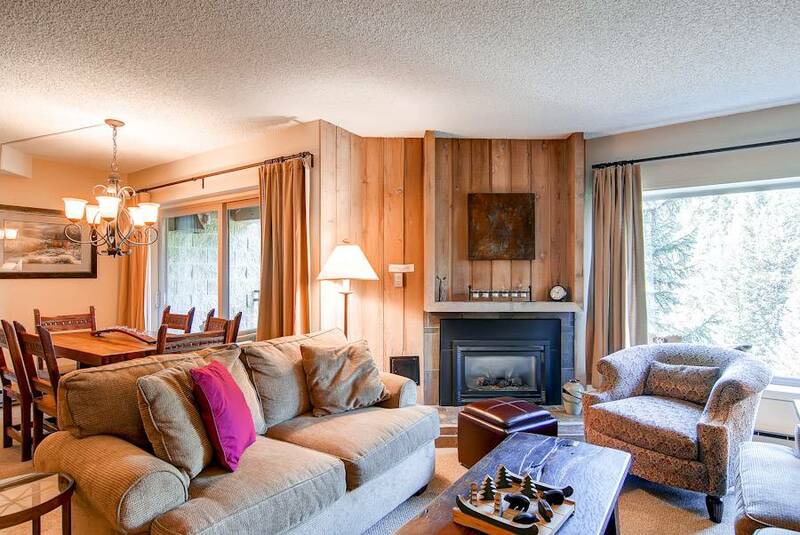 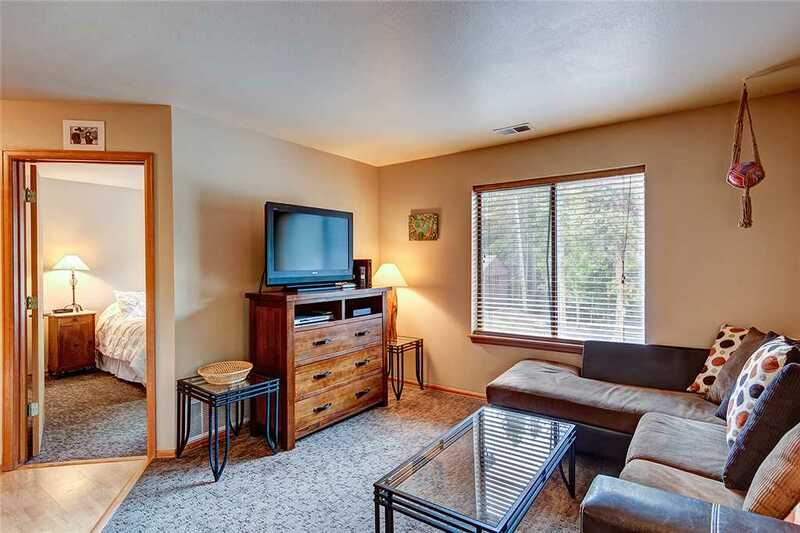 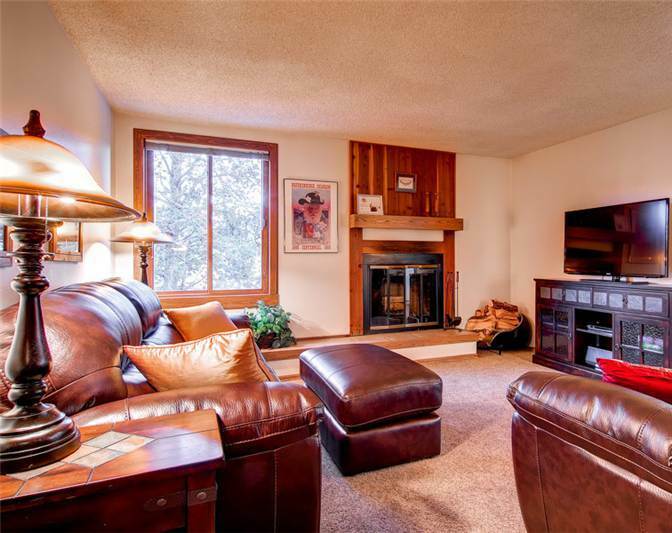 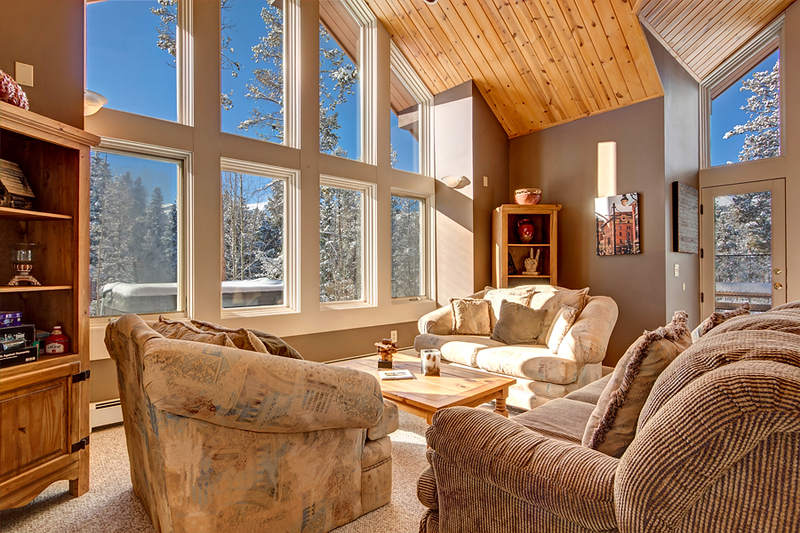 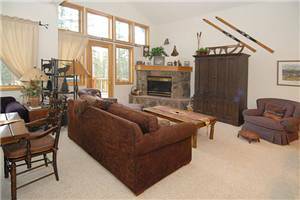 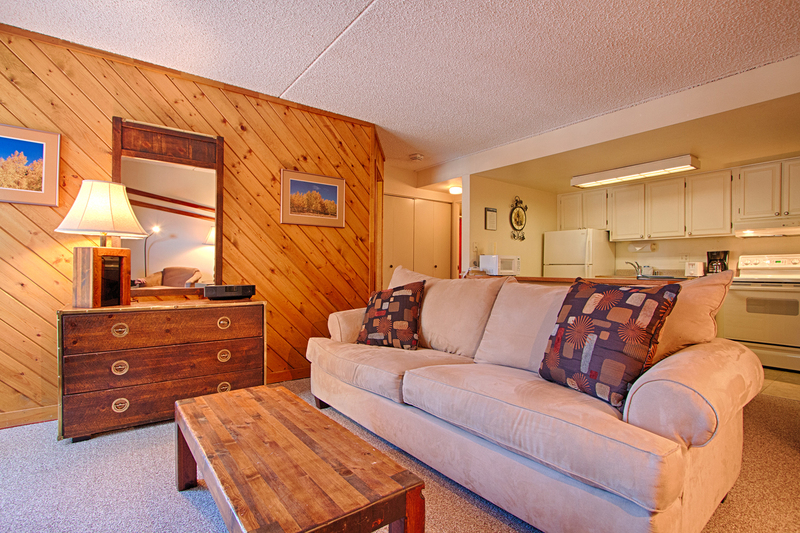 This spacious multilevel townhome is located within walking distance to the Quicksilver chairlift and ski school at Peak 9. 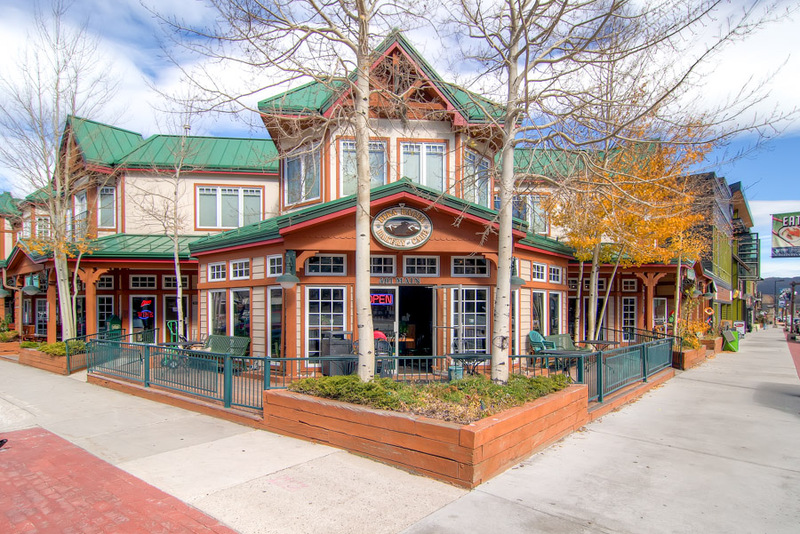 It’s also just a couple of blocks easy walk to Main Street. 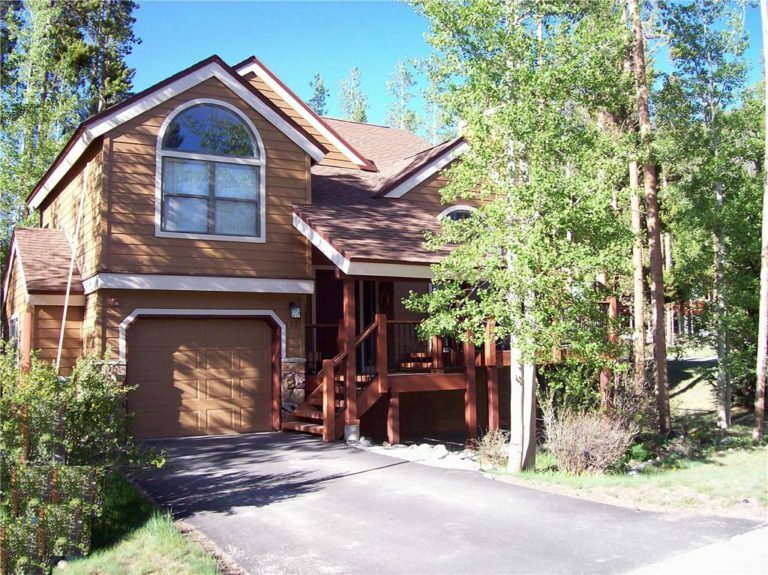 It backs up to the Blue River which provides a beautiful view. 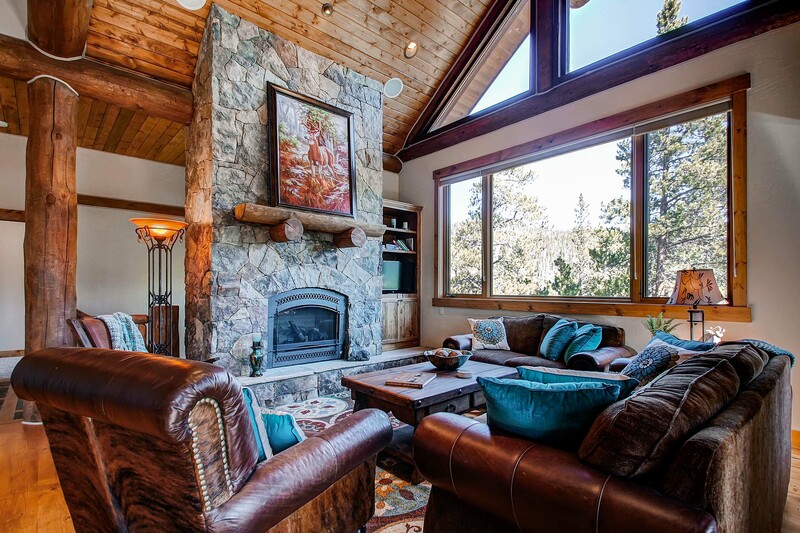 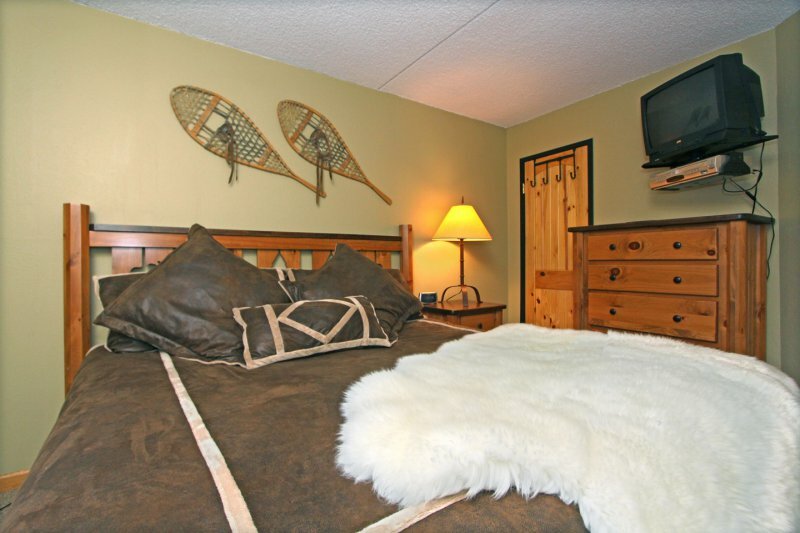 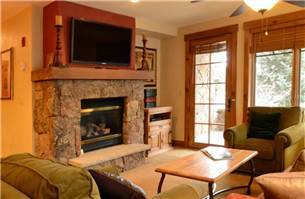 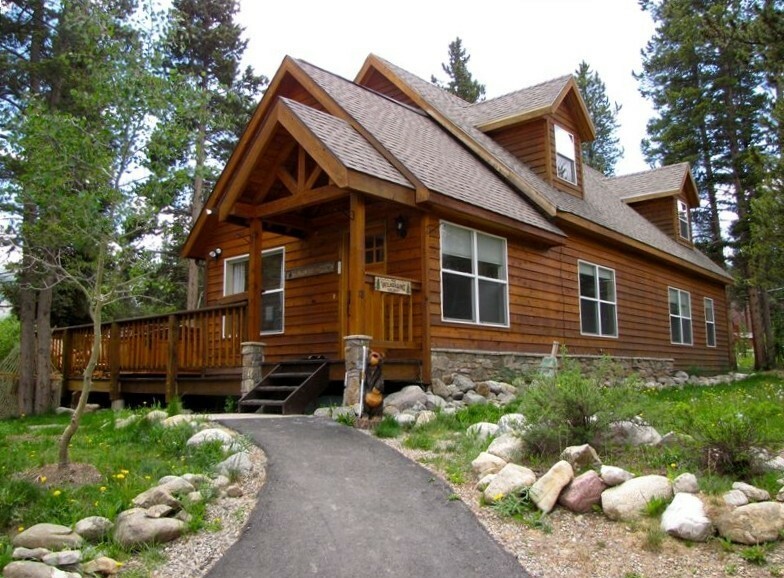 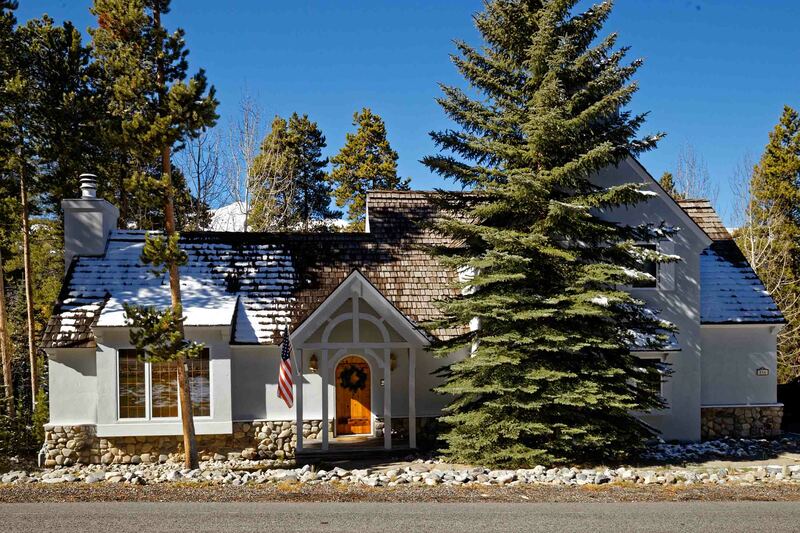 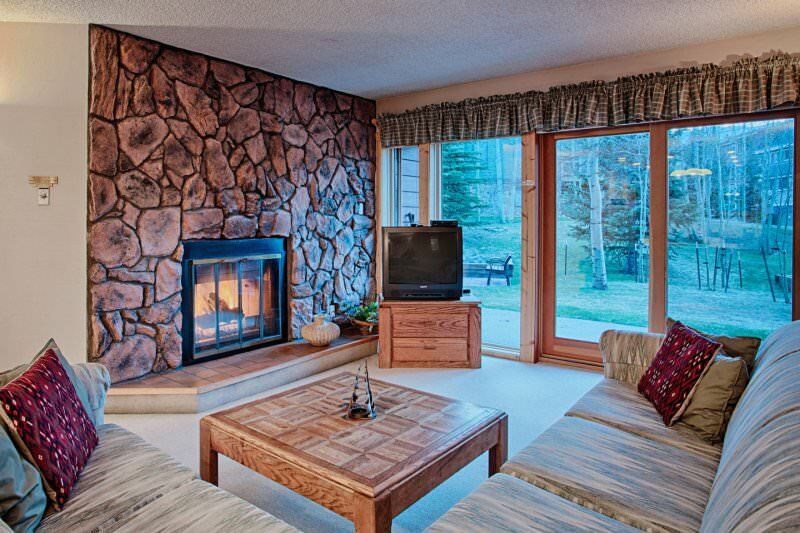 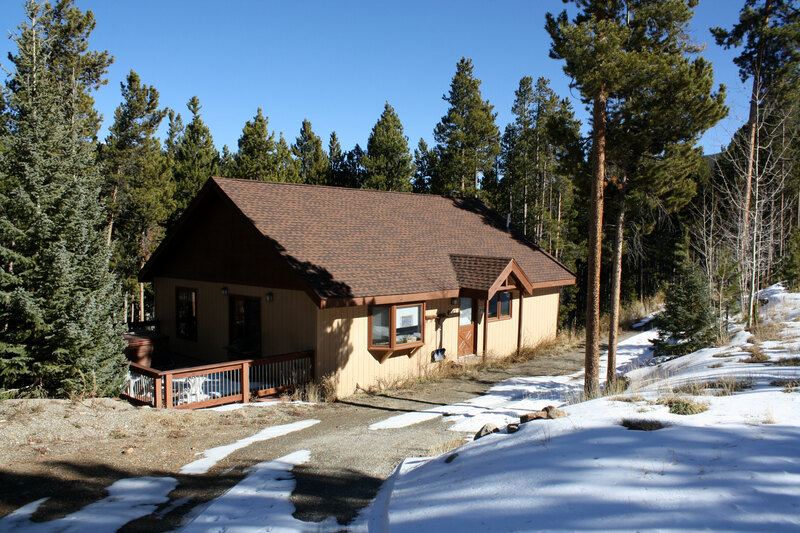 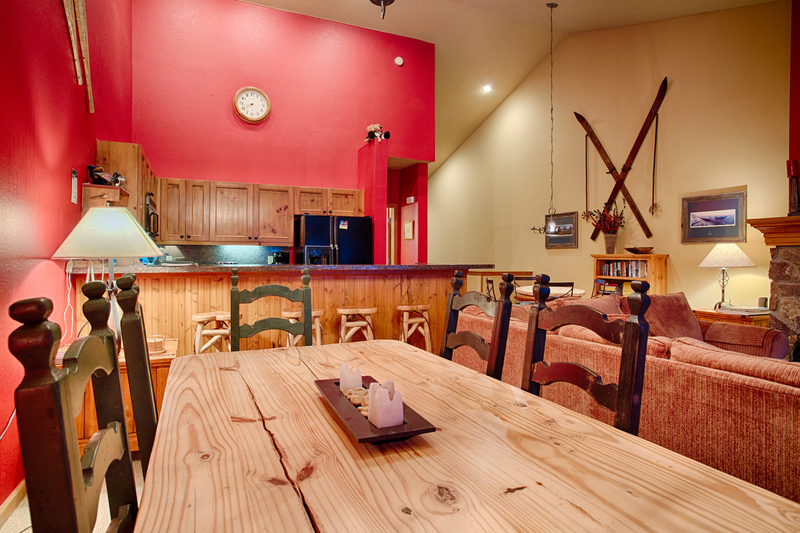 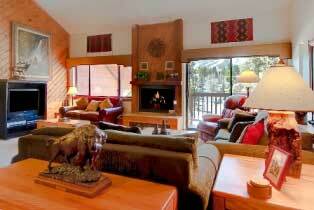 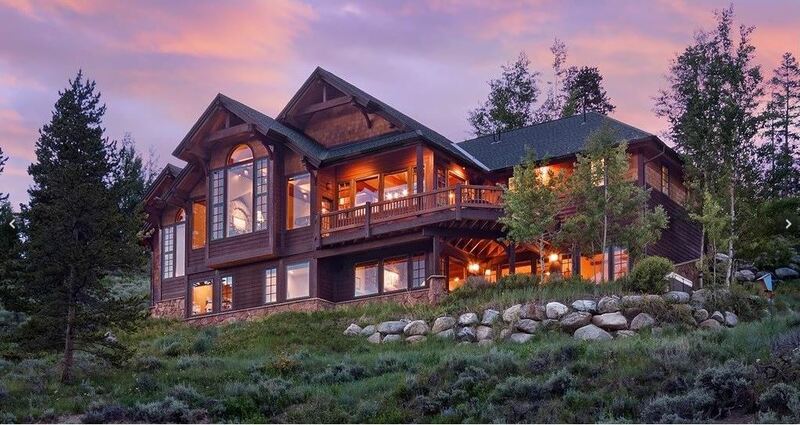 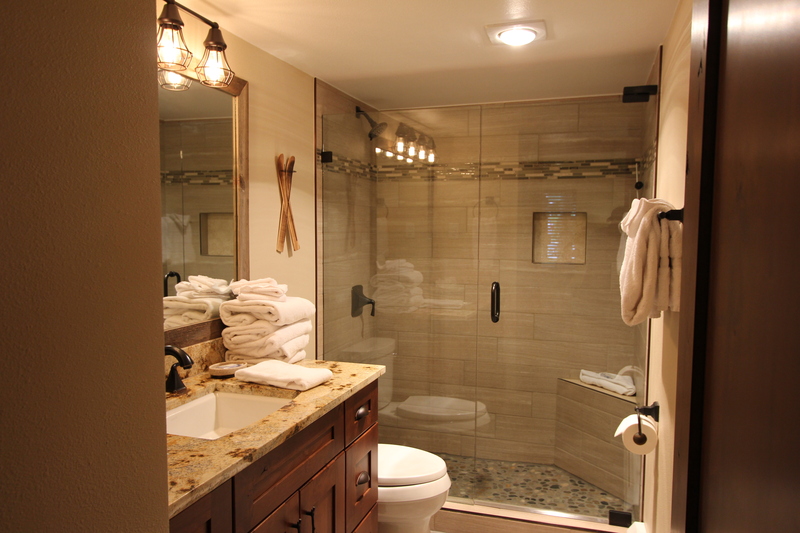 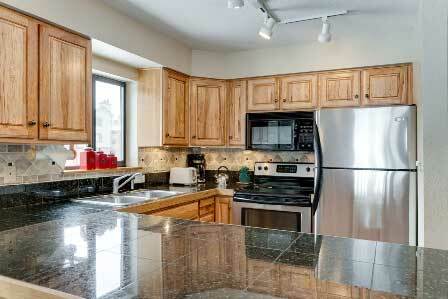 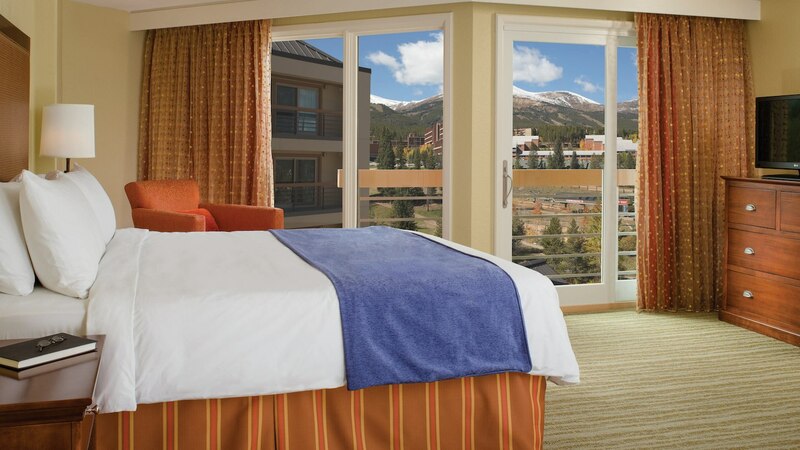 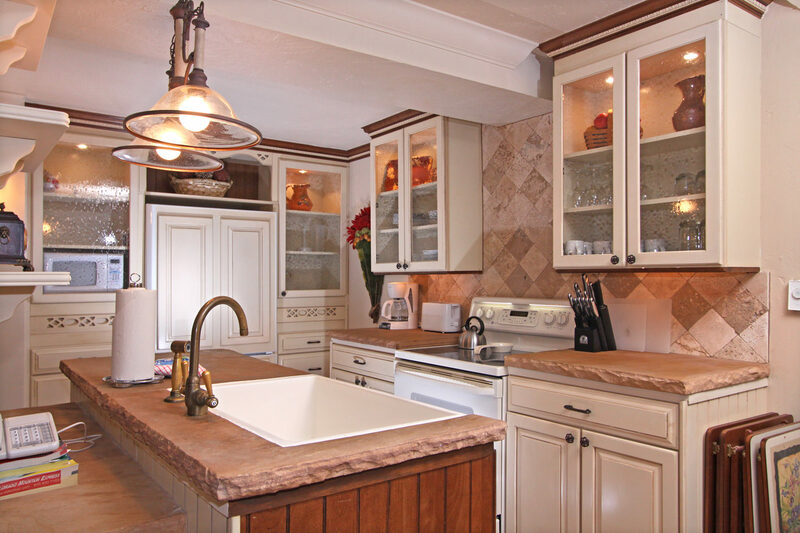 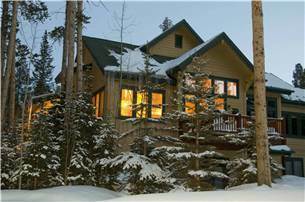 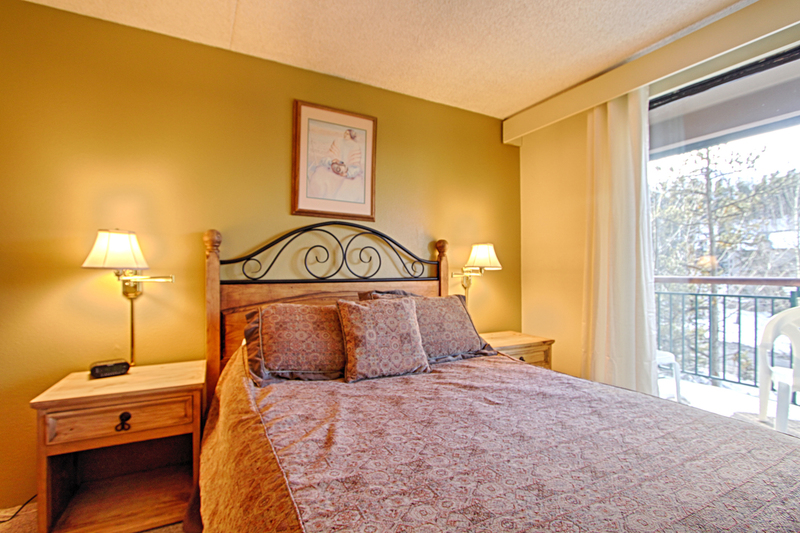 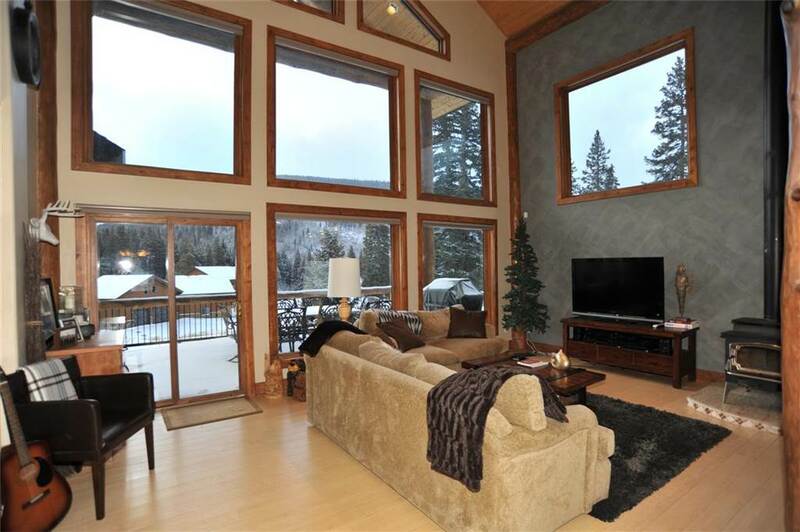 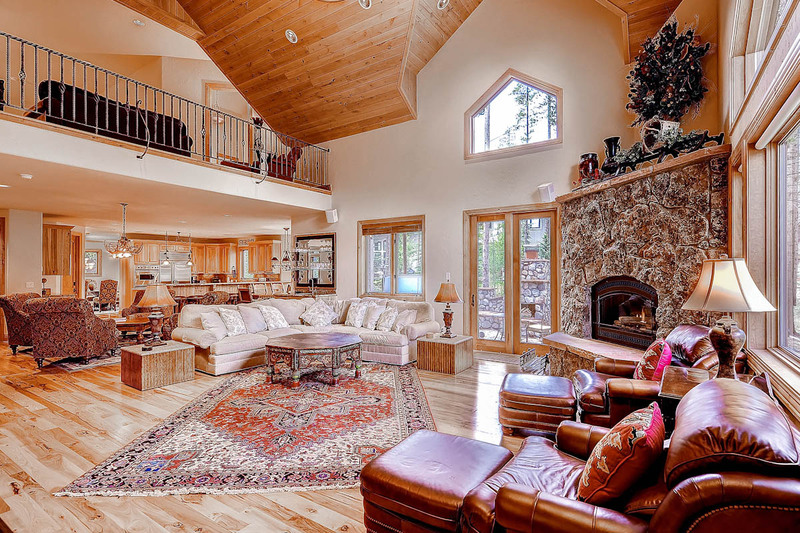 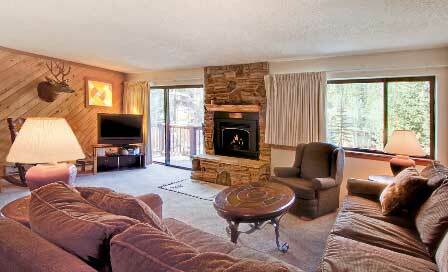 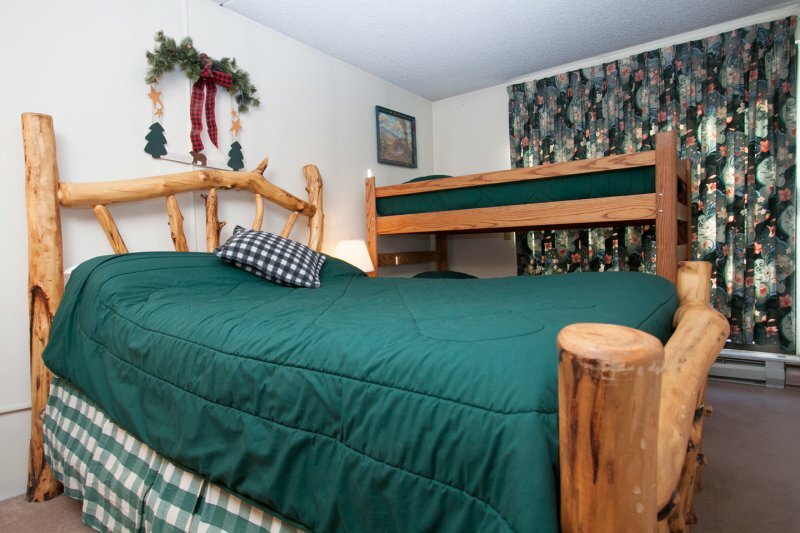 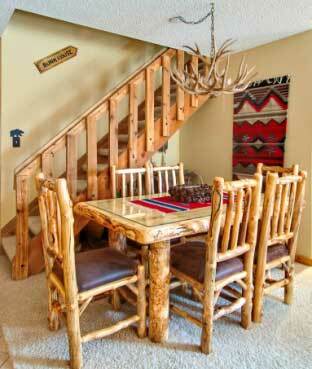 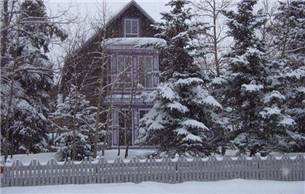 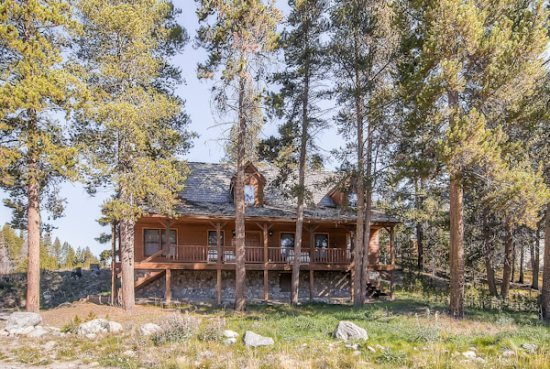 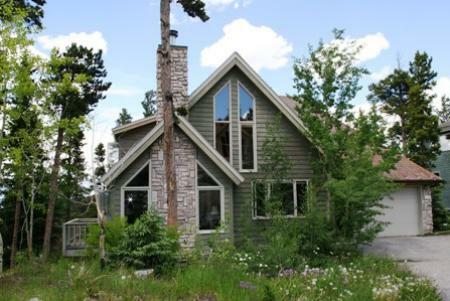 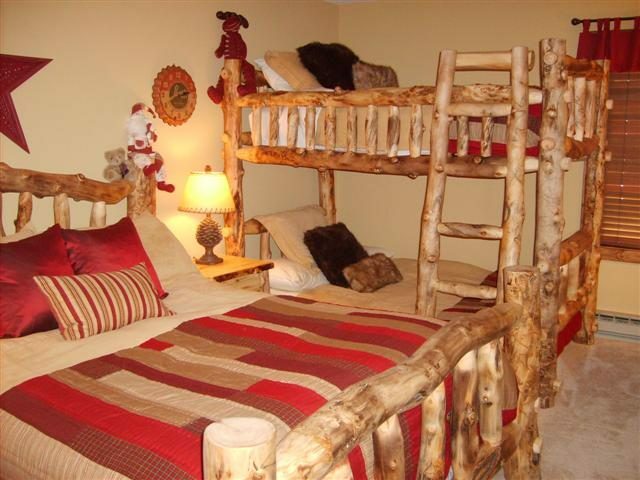 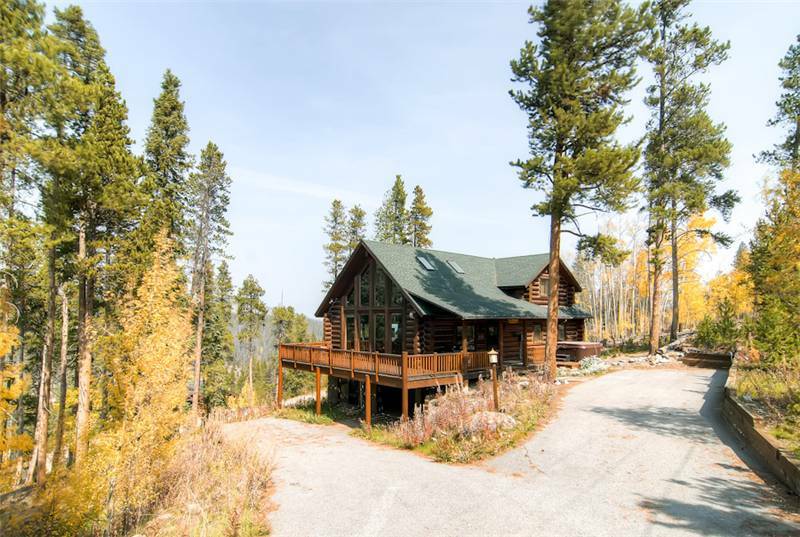 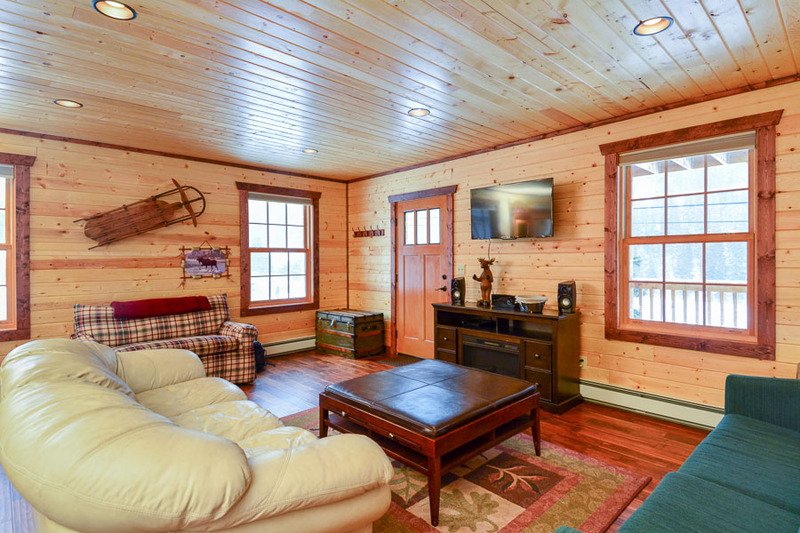 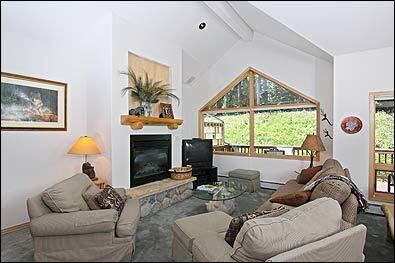 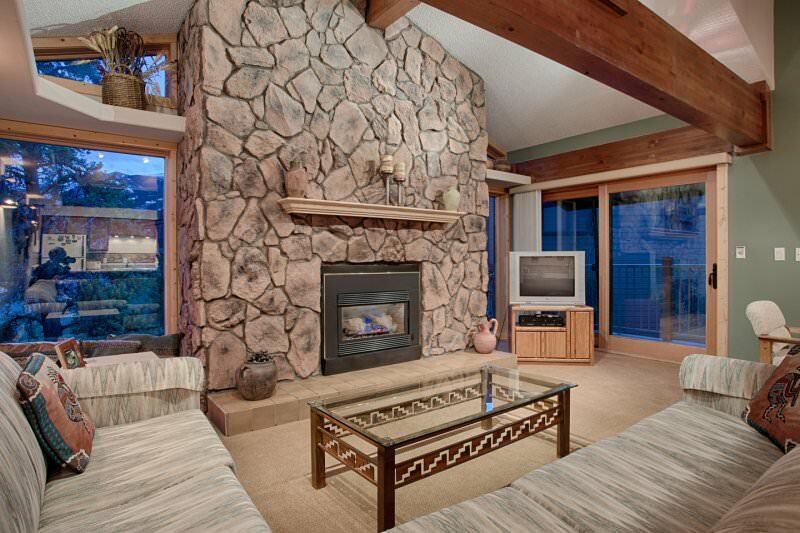 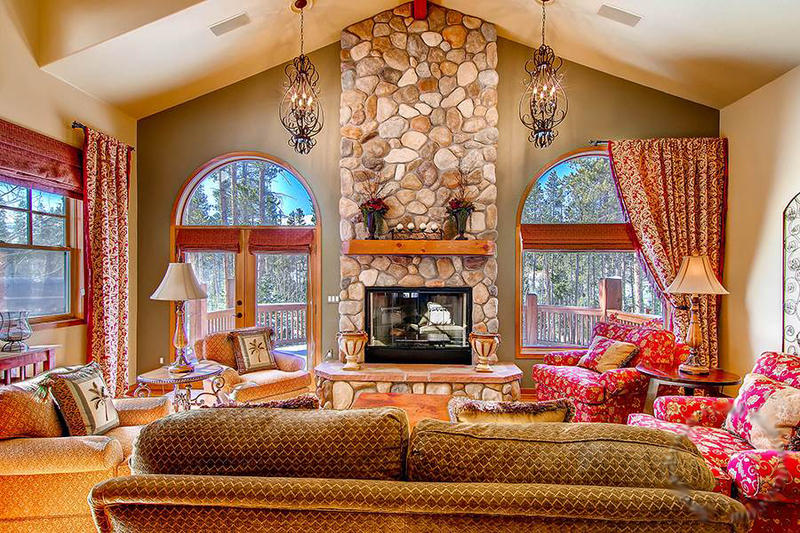 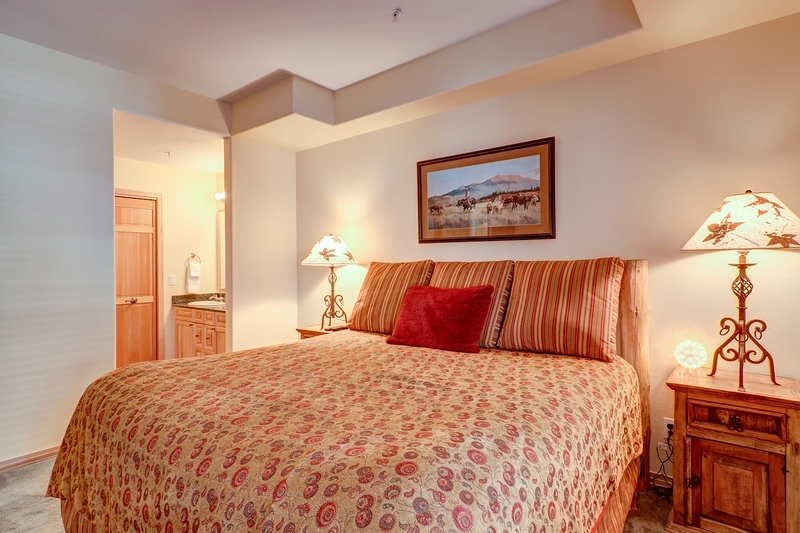 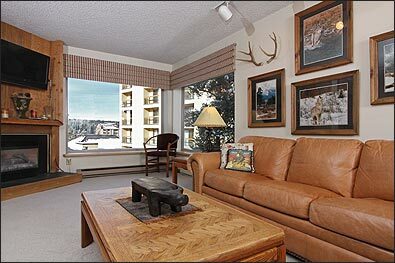 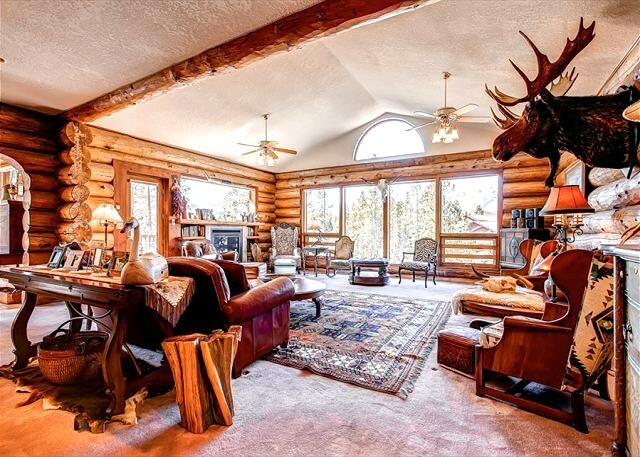 You’ll feel like you’re secluded in the mountains, when you’re actually very close to everything. 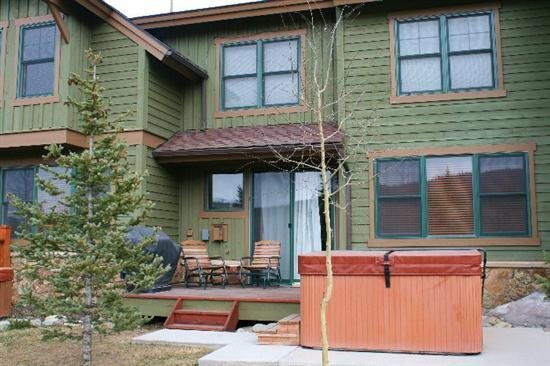 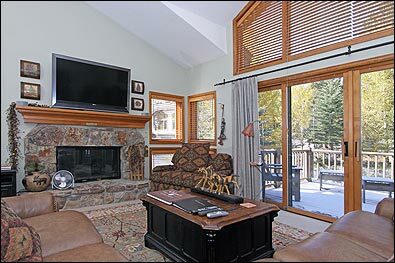 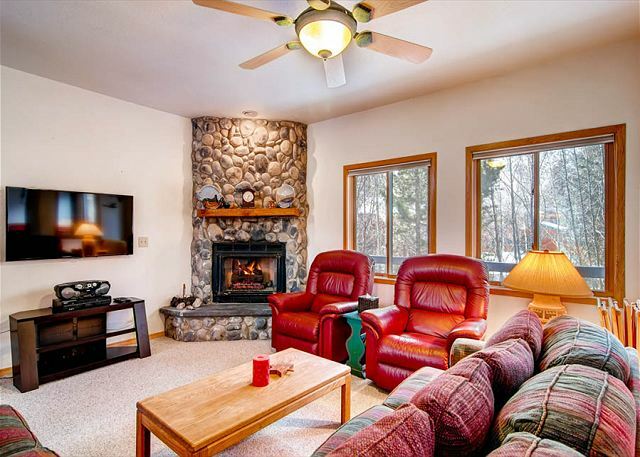 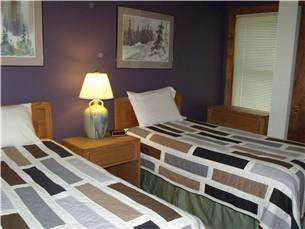 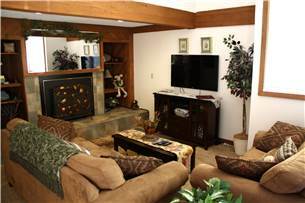 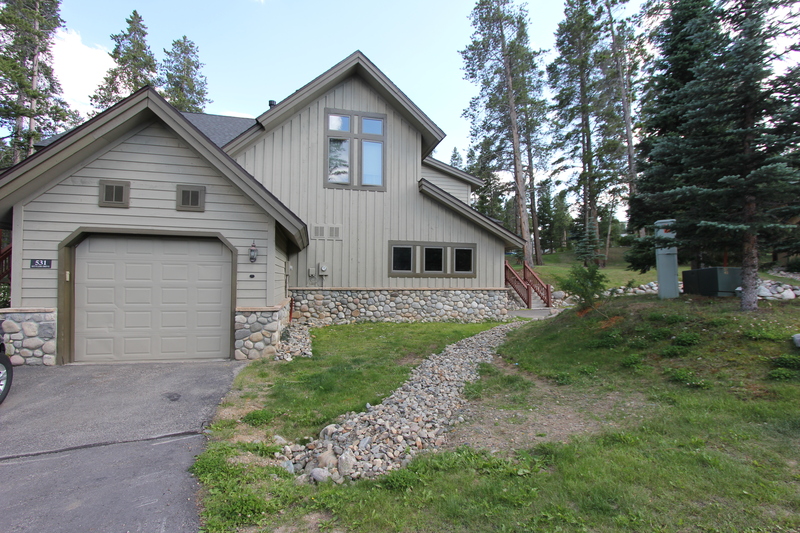 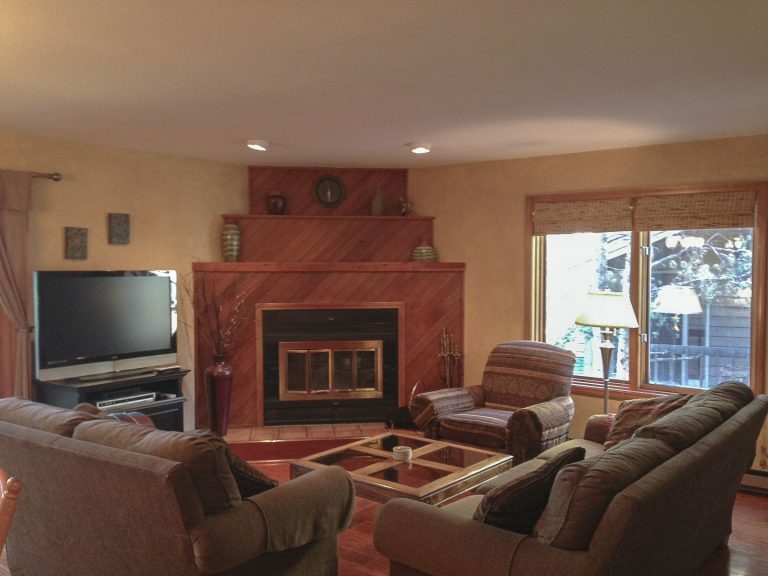 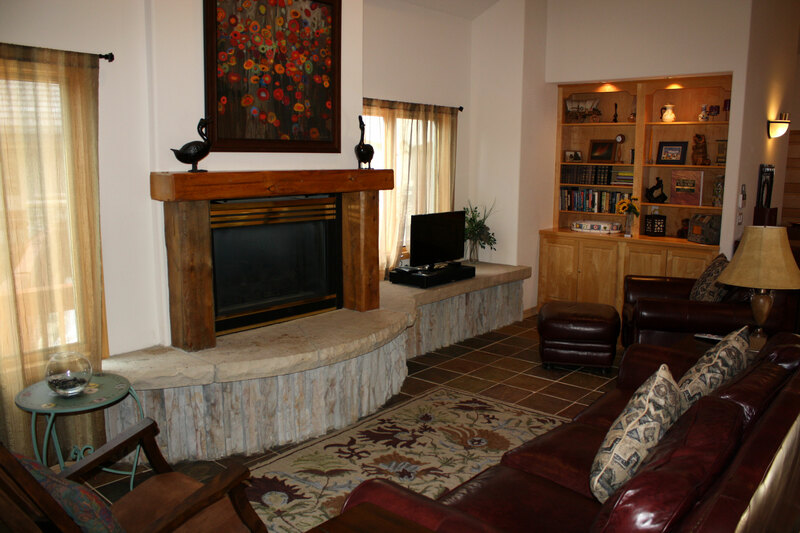 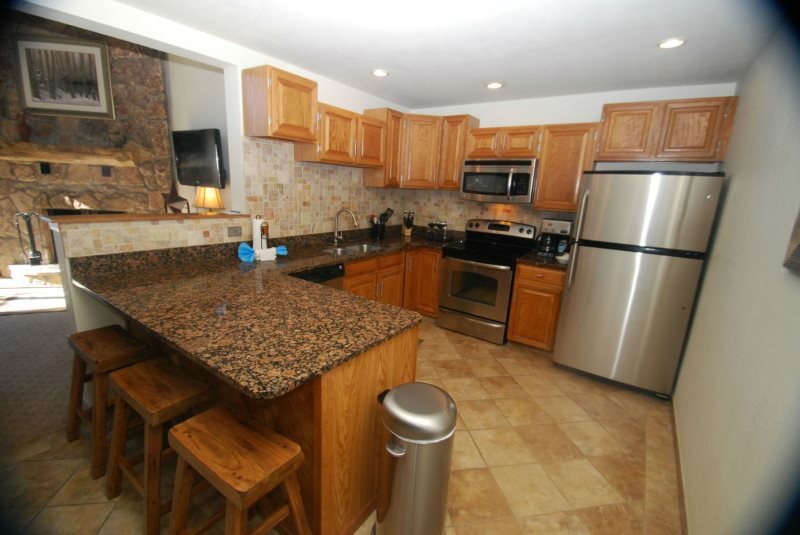 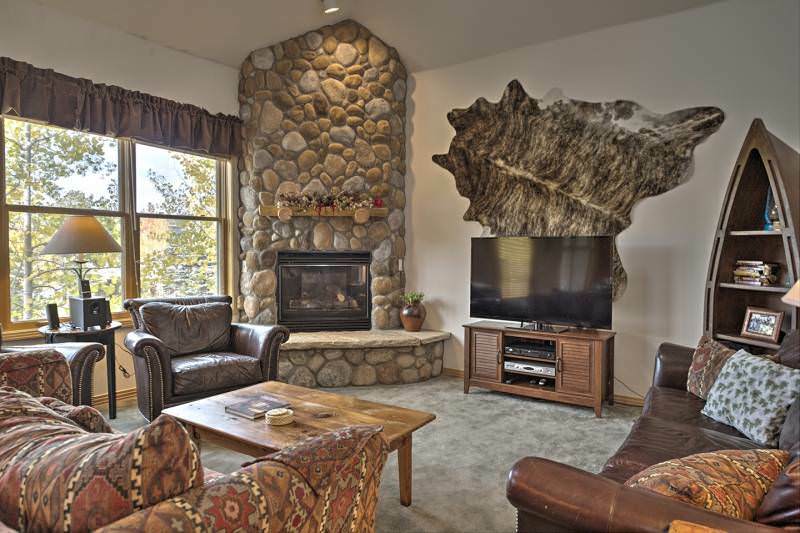 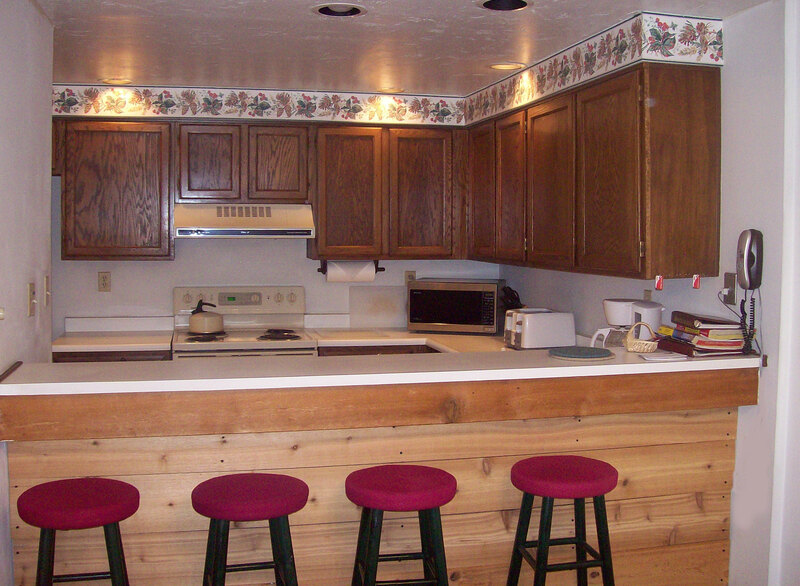 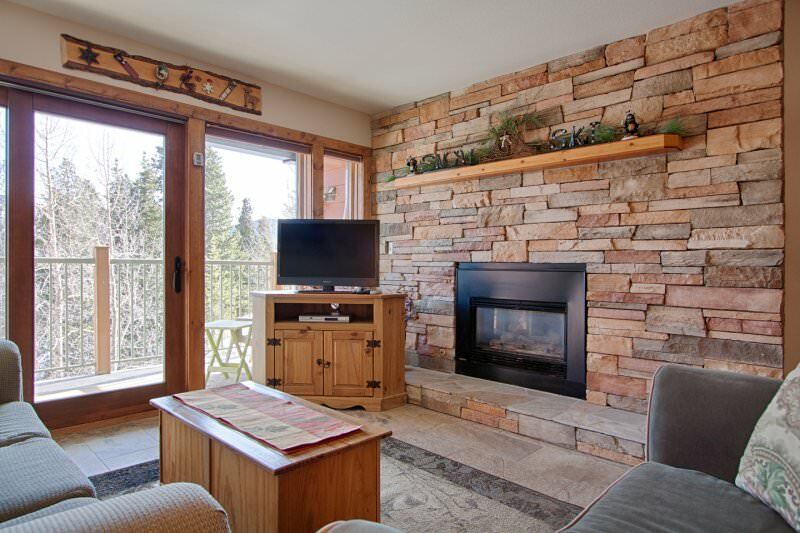 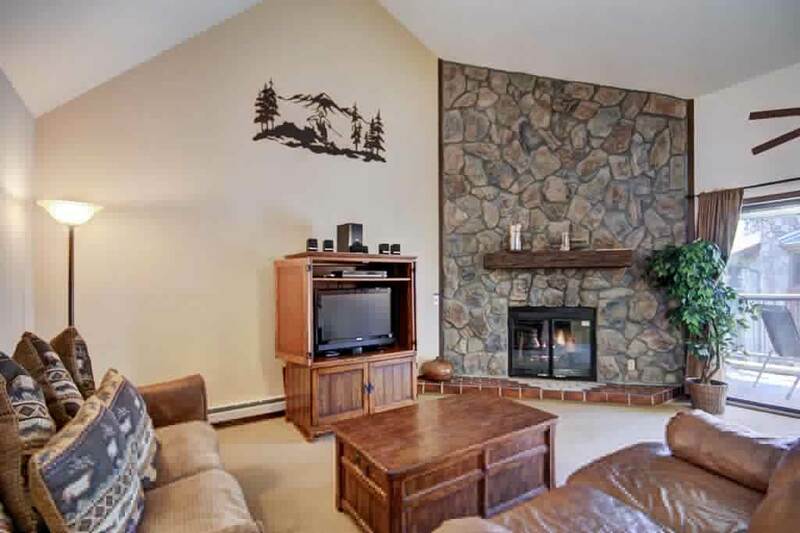 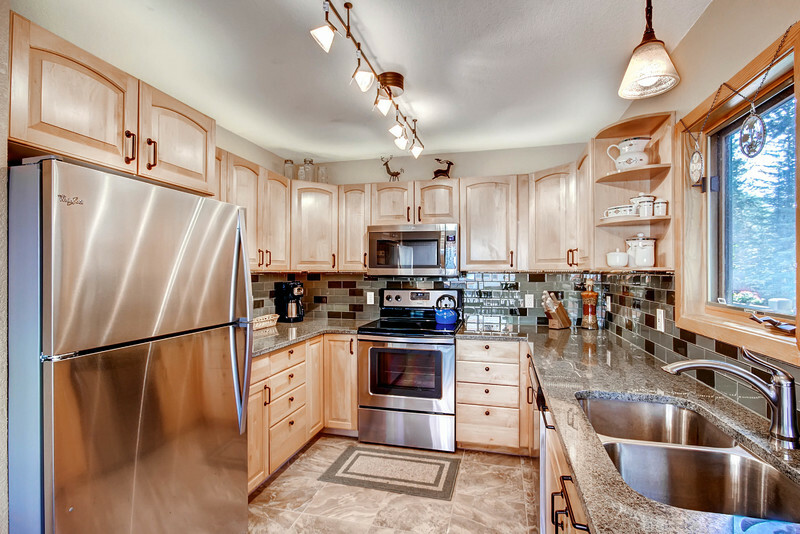 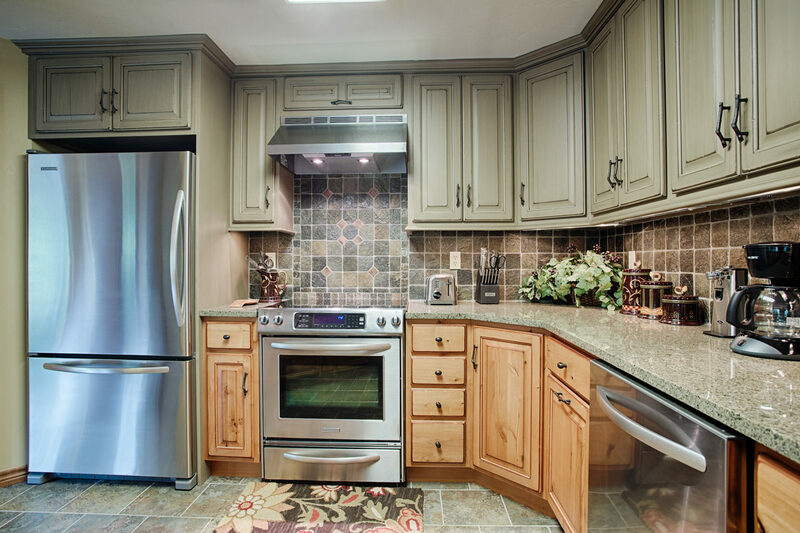 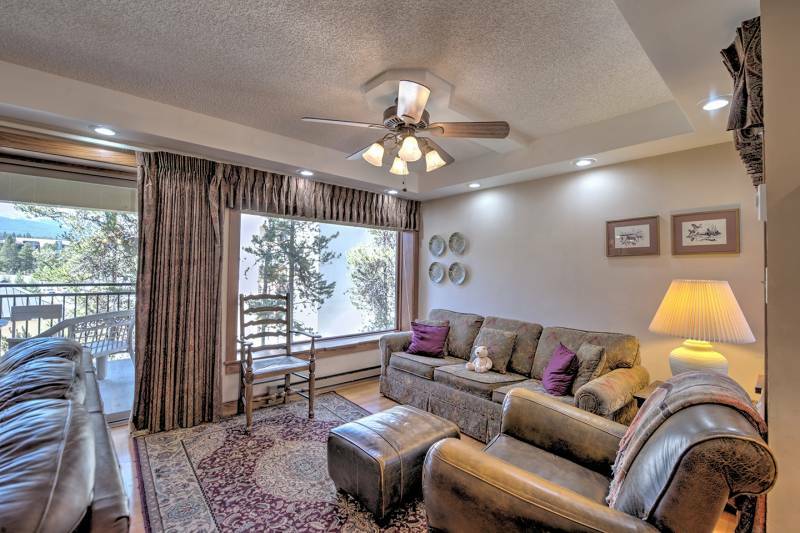 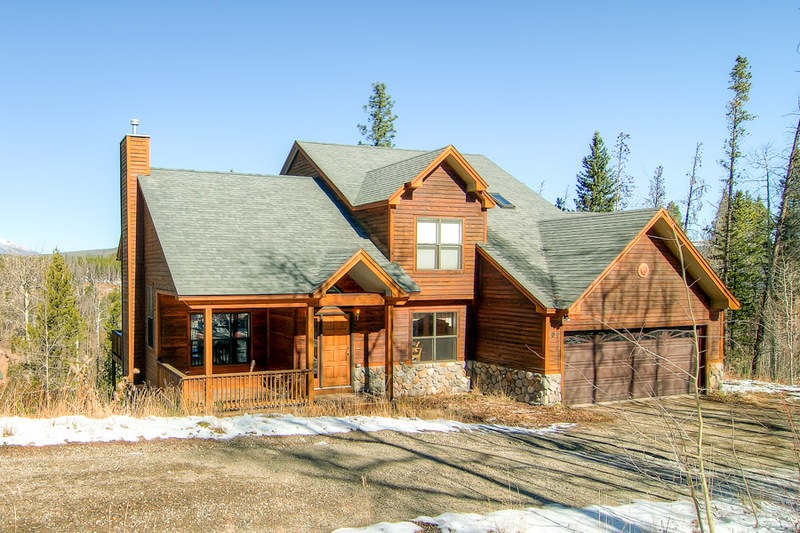 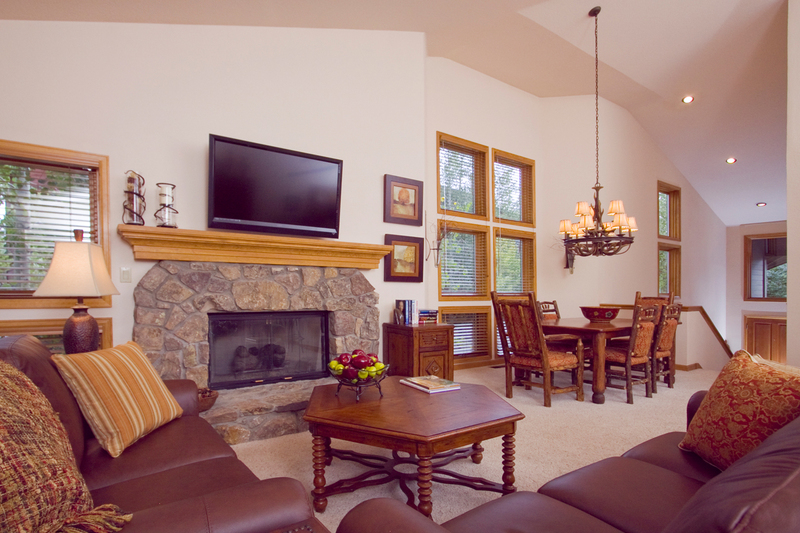 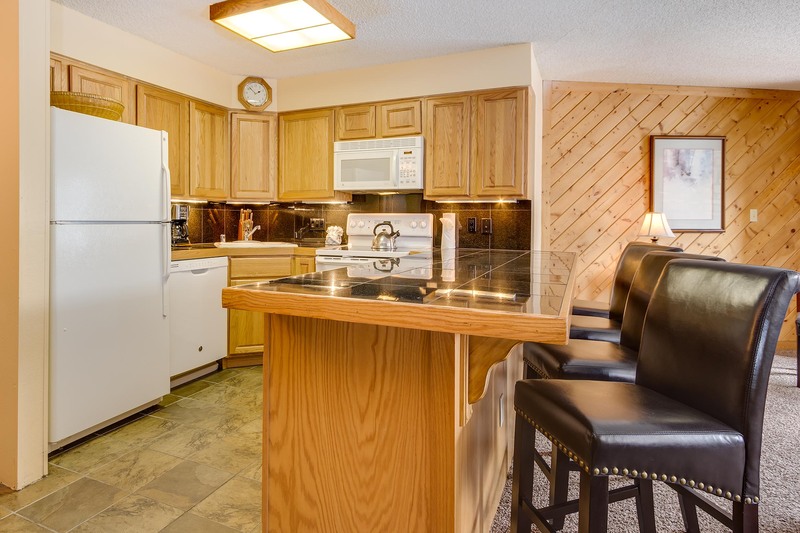 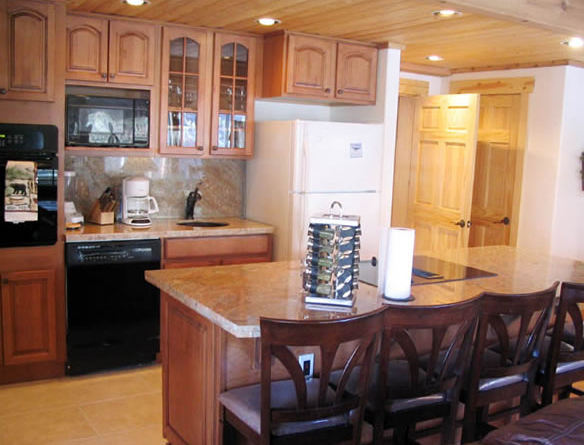 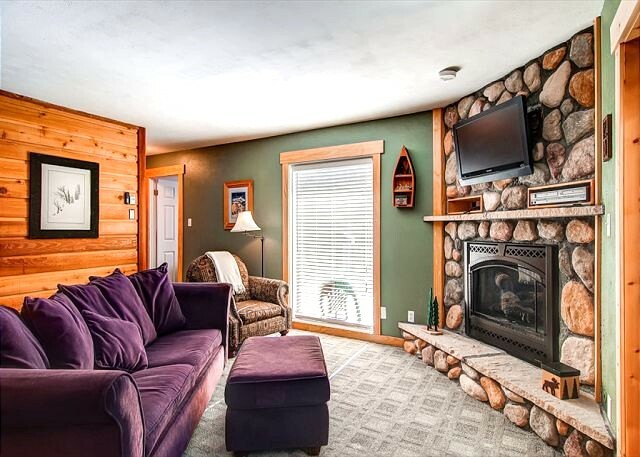 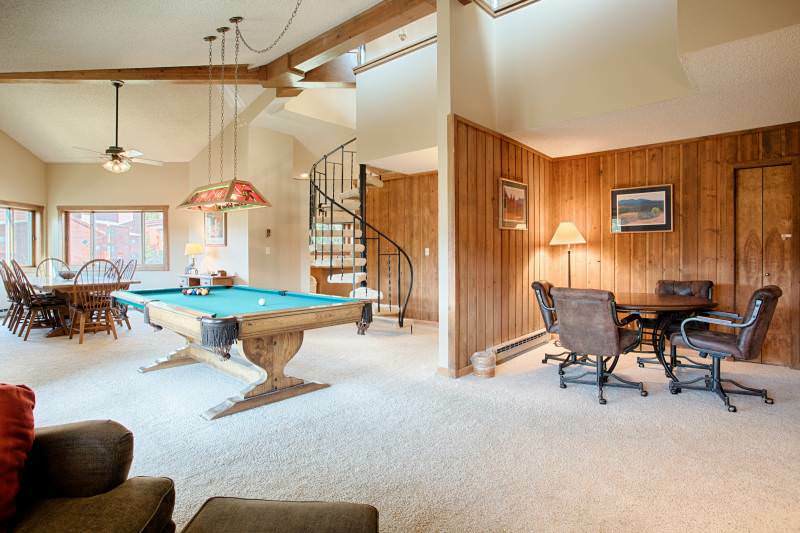 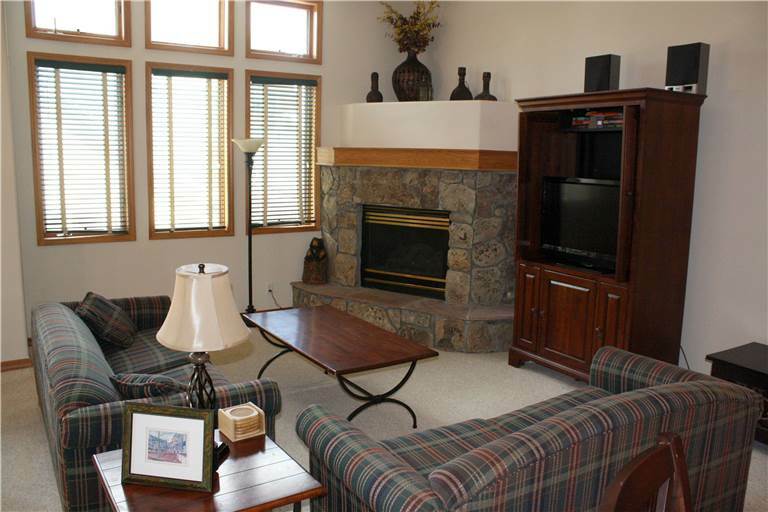 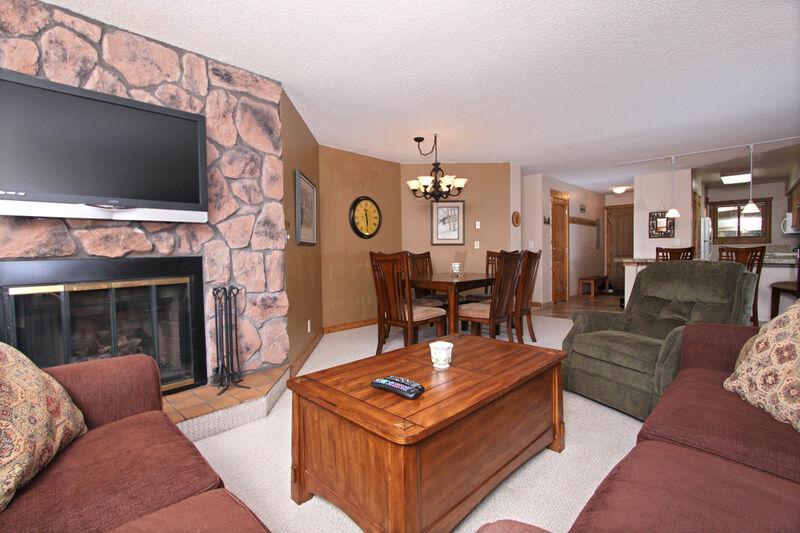 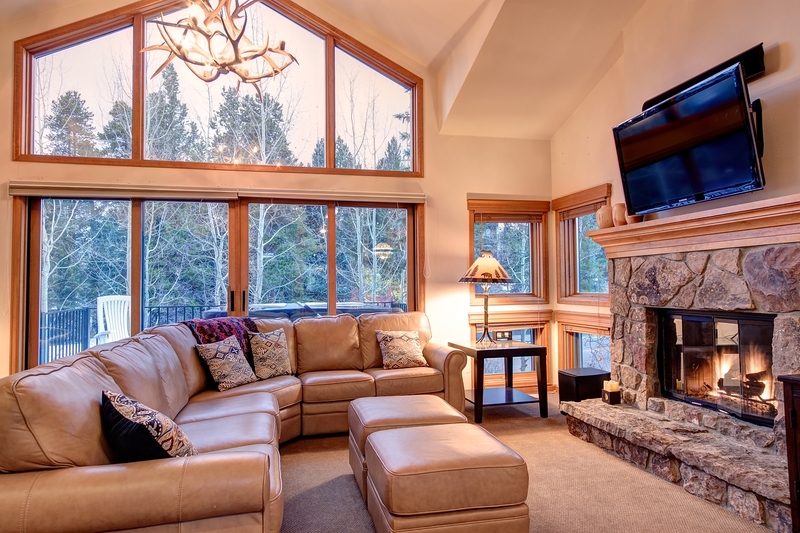 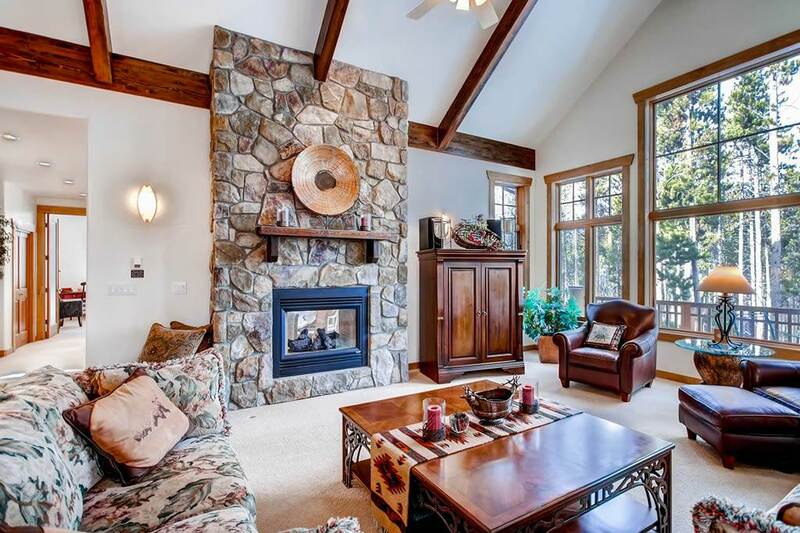 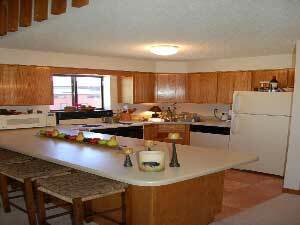 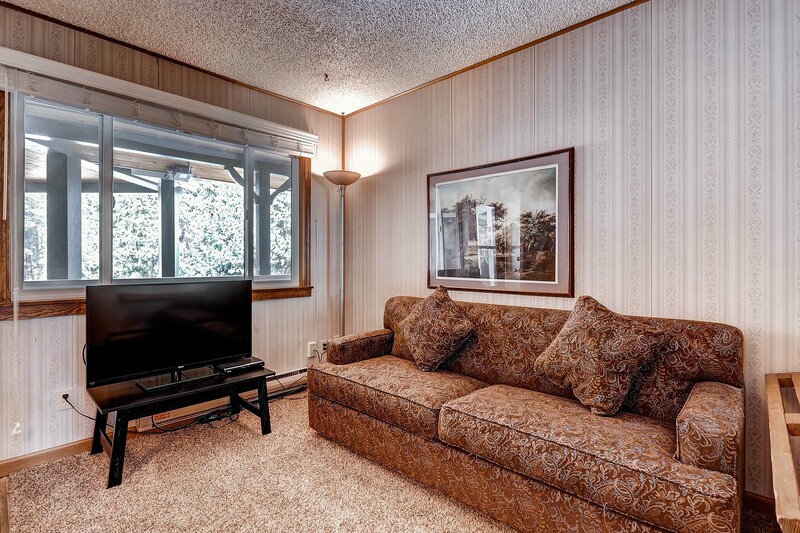 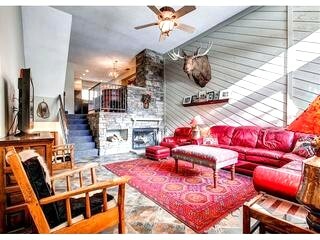 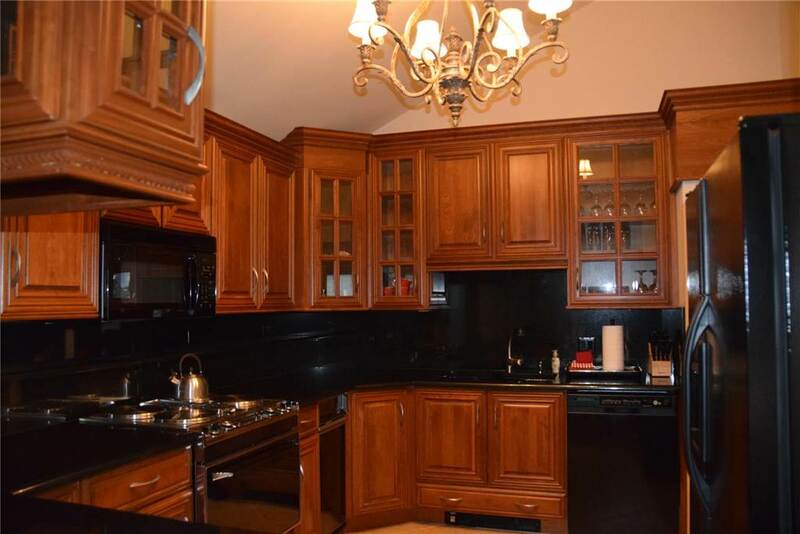 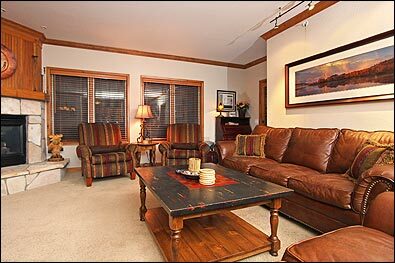 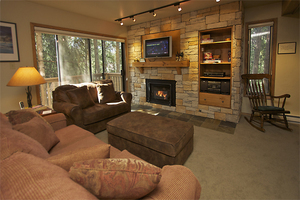 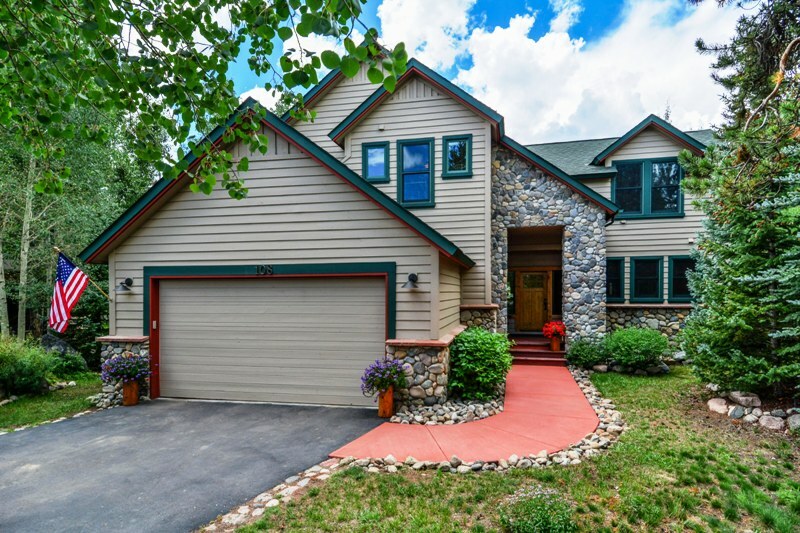 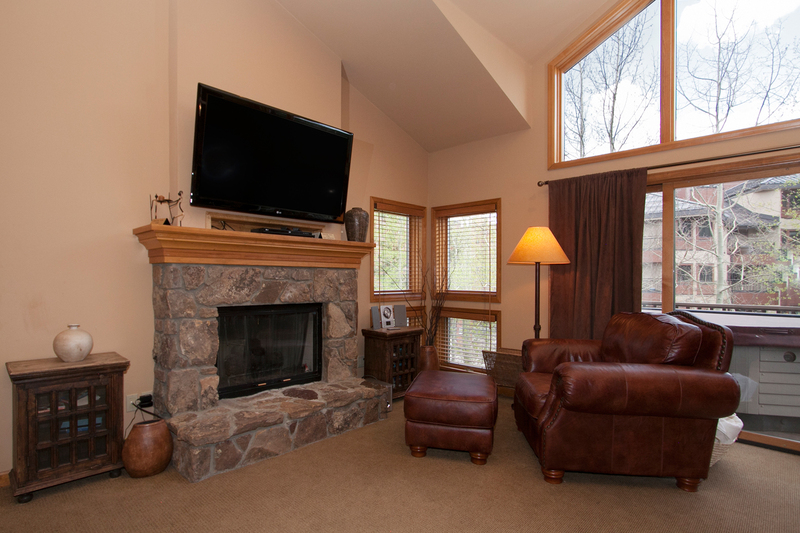 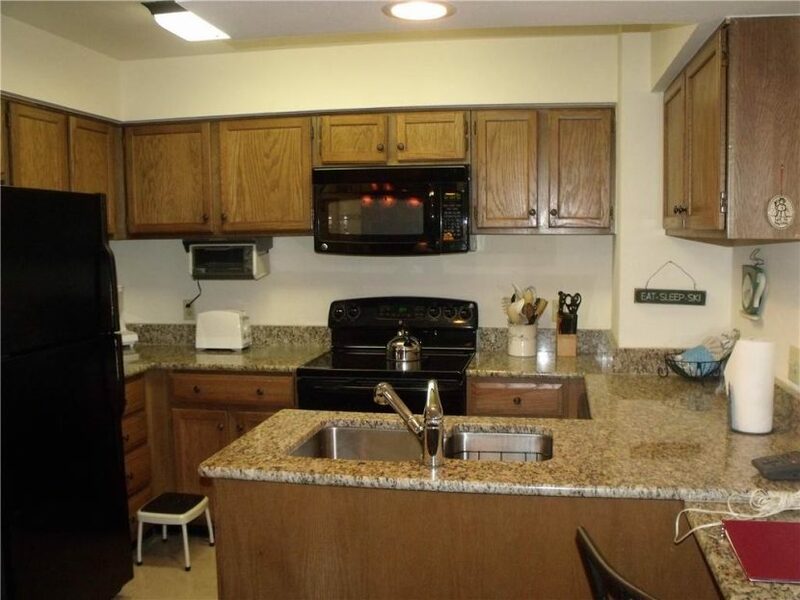 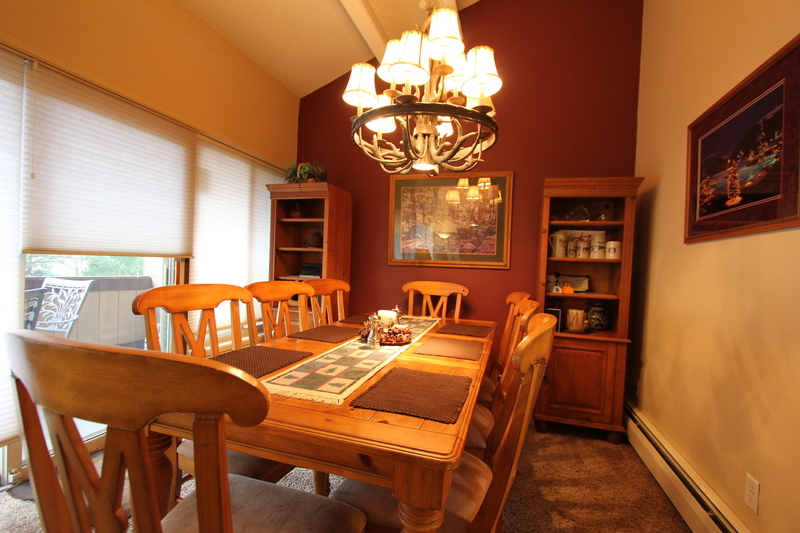 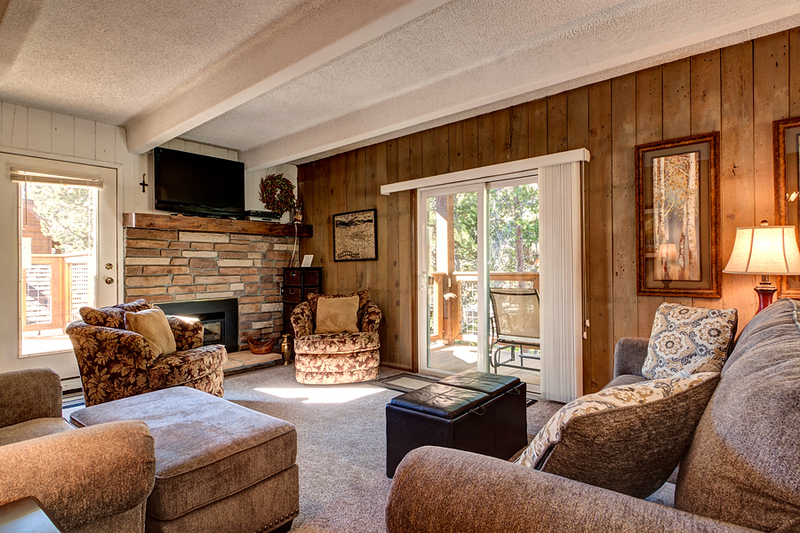 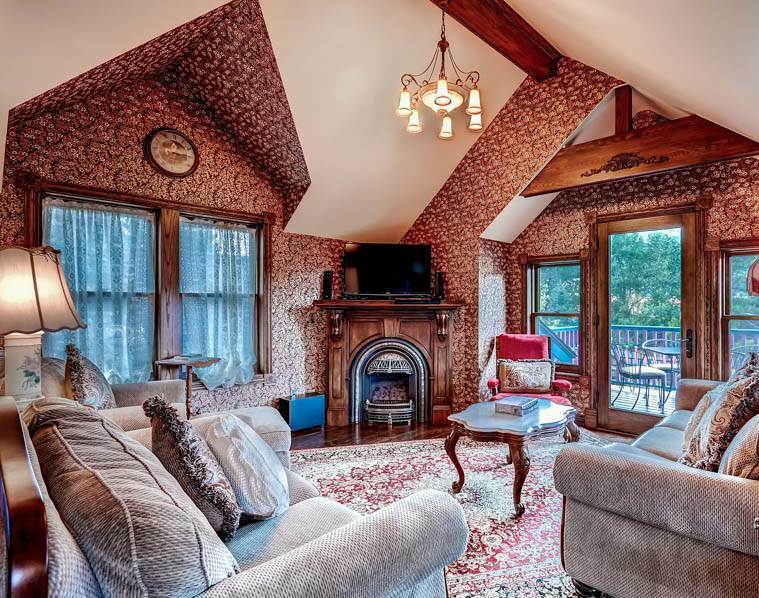 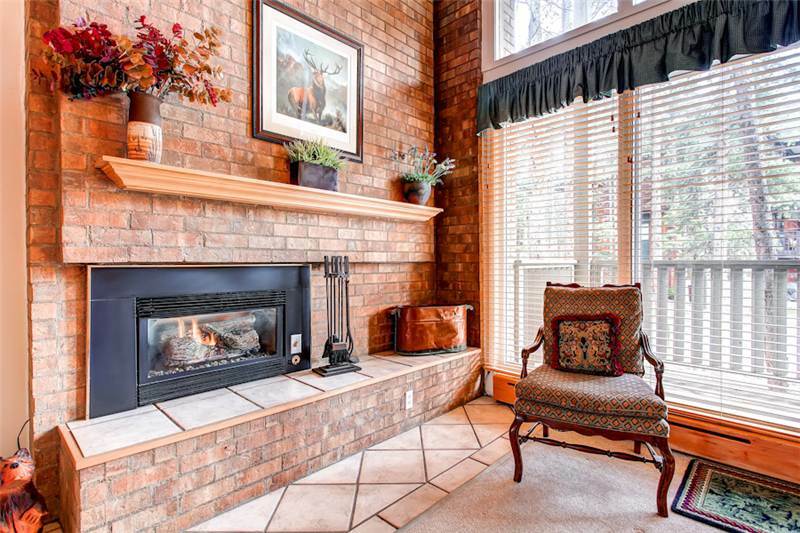 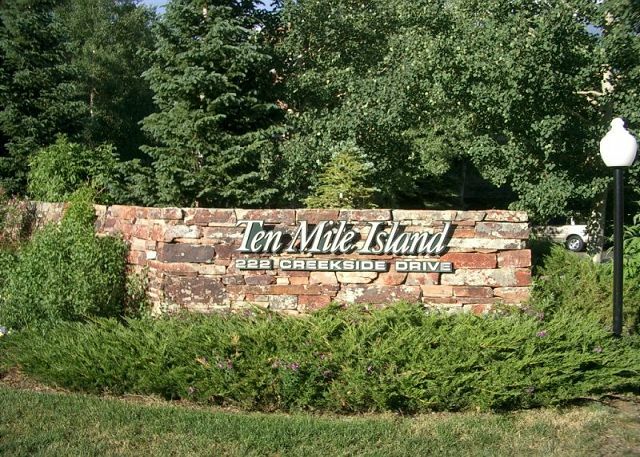 It features a private hot tub, multiple decks with a beautiful forested and river view, two kitchens (upstairs/downstairs) gas fireplaces, private washer/dryer, gas BBQ grill, private garage, private washer/dryer, granite counters wi-fi, multiple TVs and access to the nearby clubhouse with an outdoor heated pool and 2-indoor/2-outdoor hot tubs.